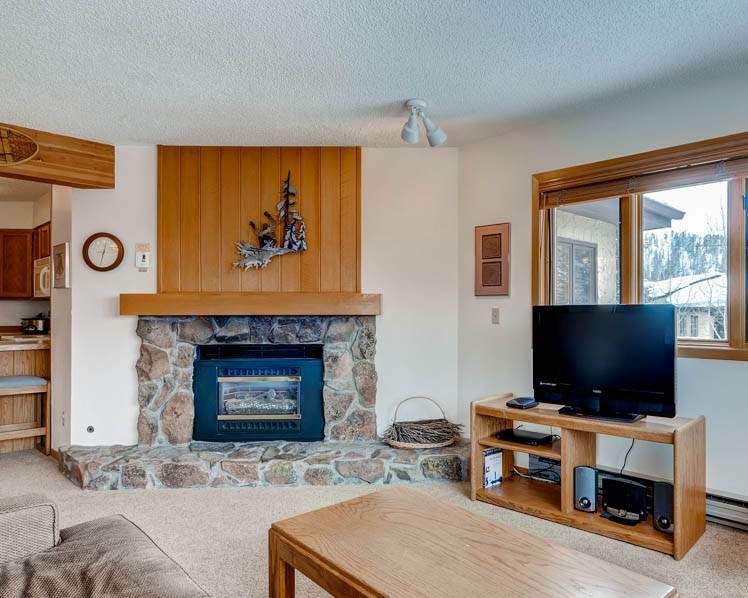 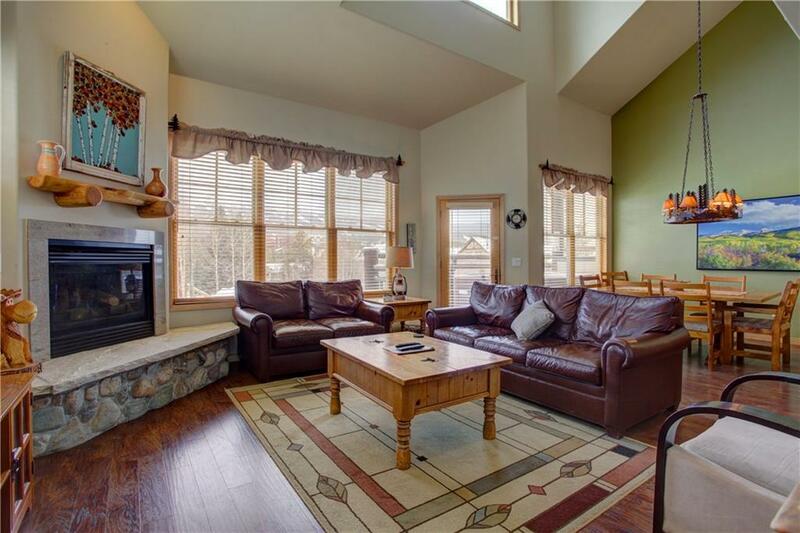 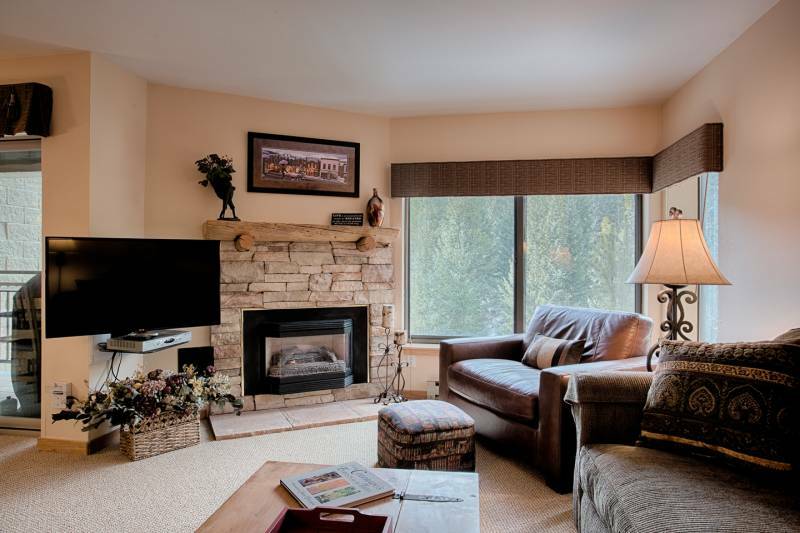 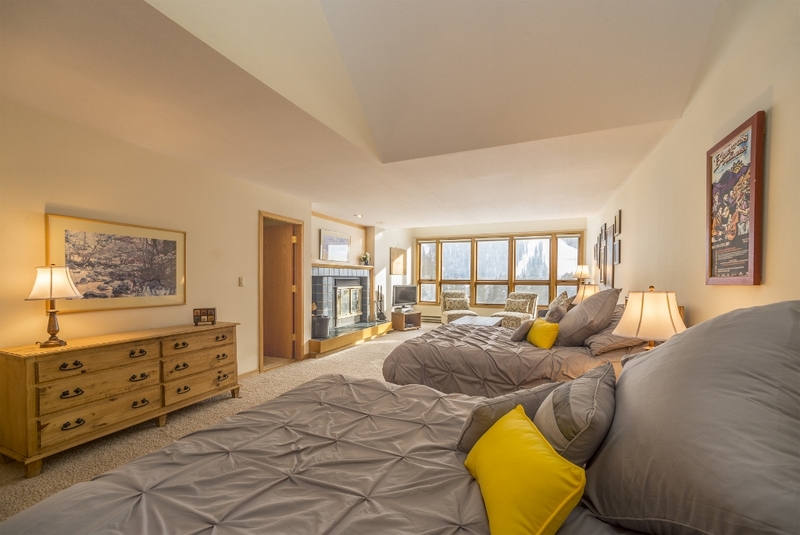 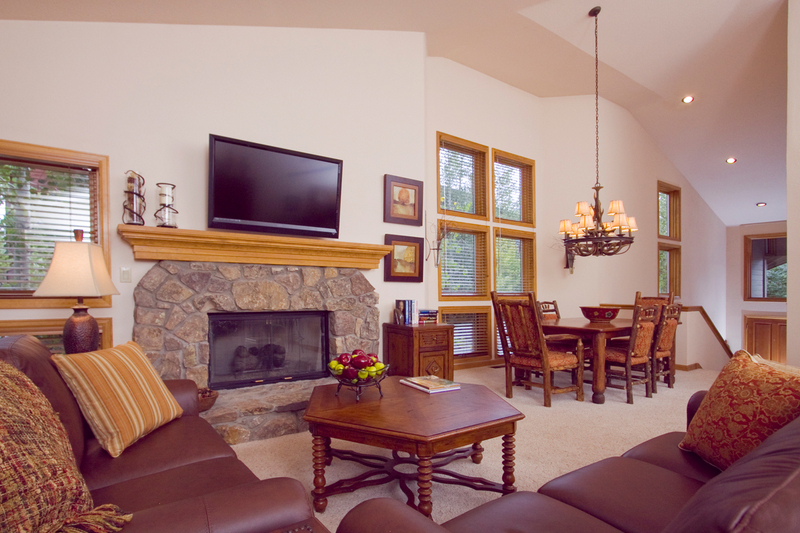 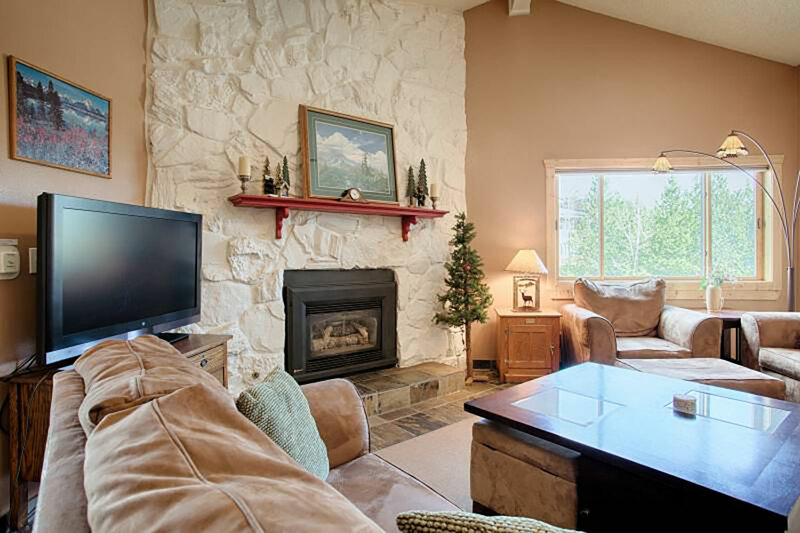 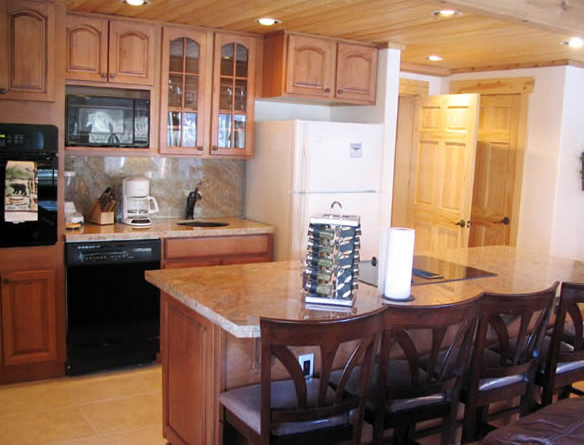 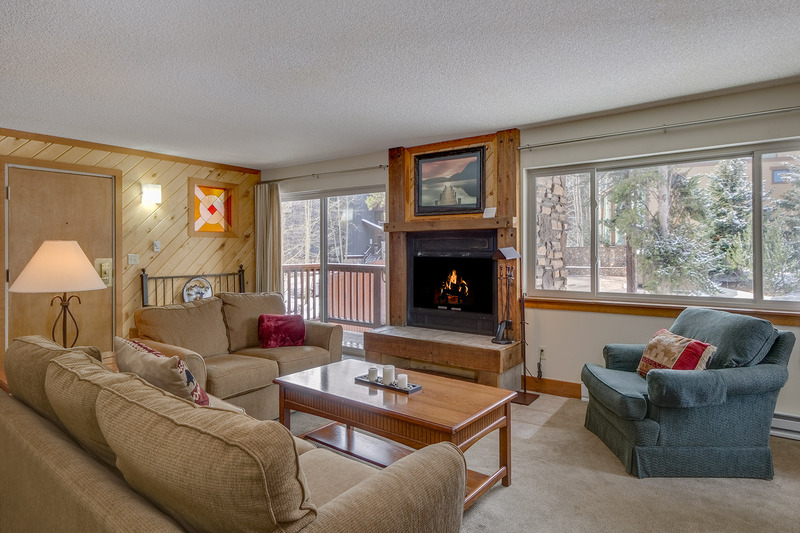 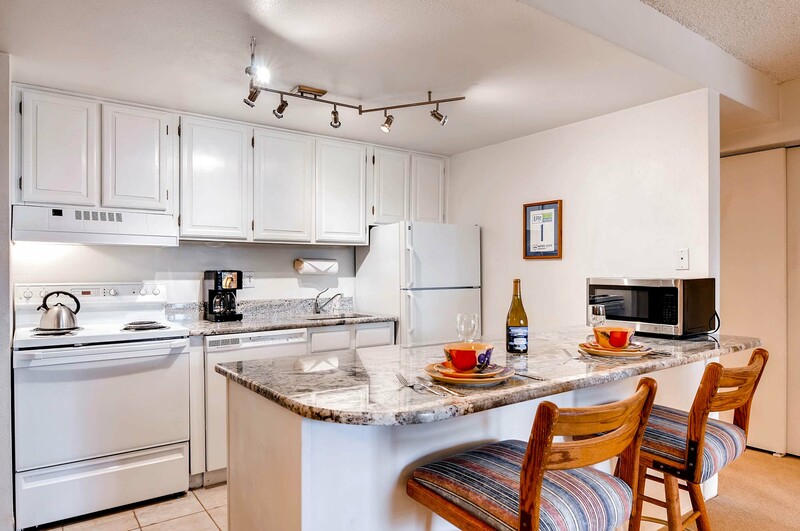 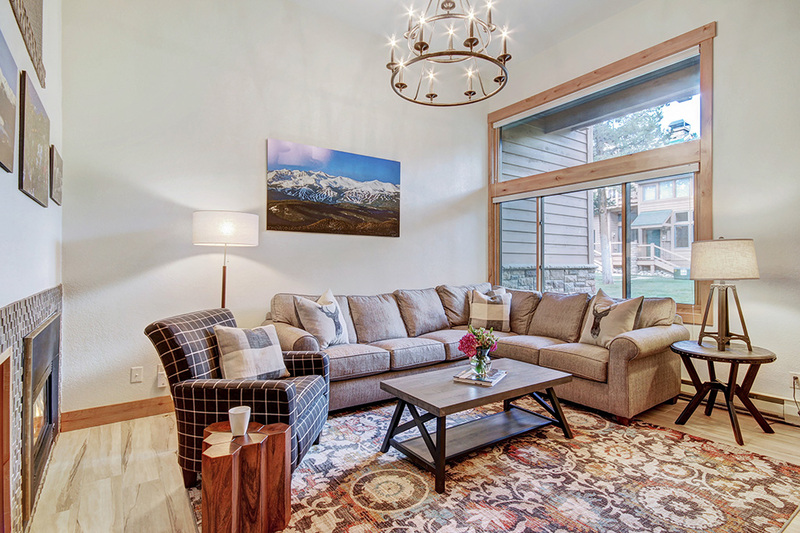 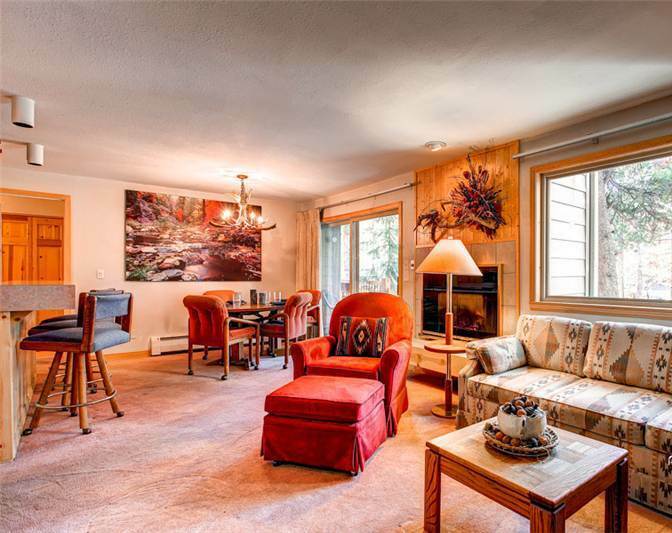 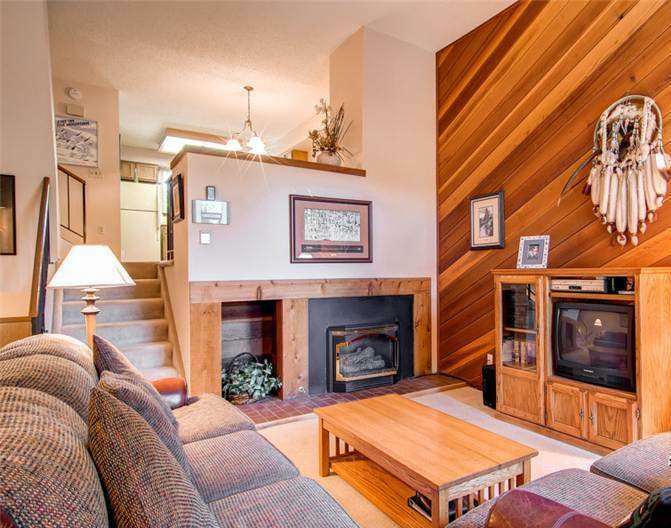 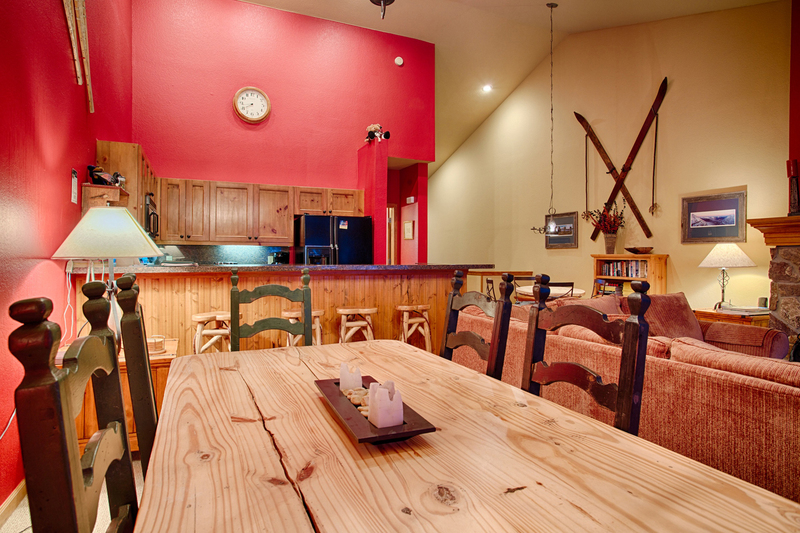 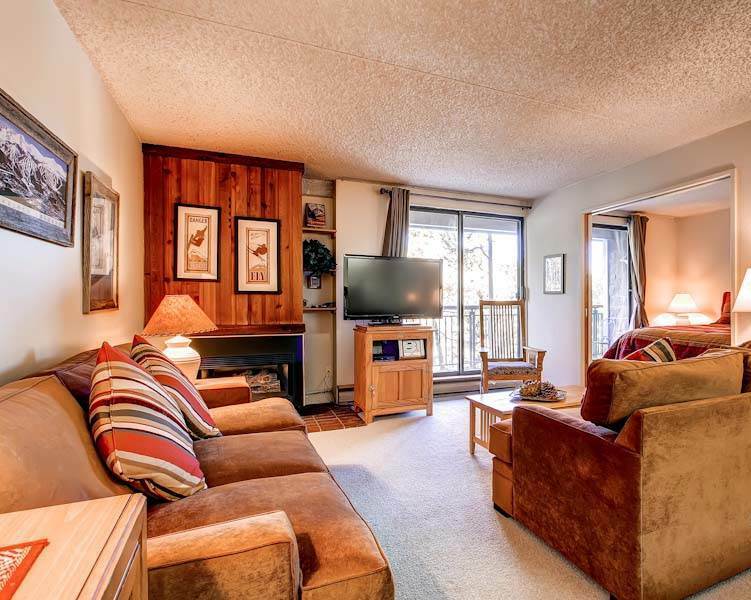 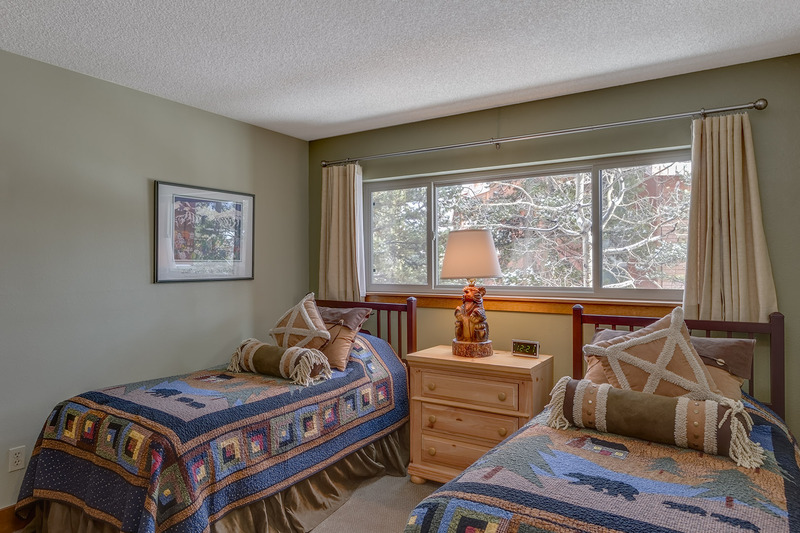 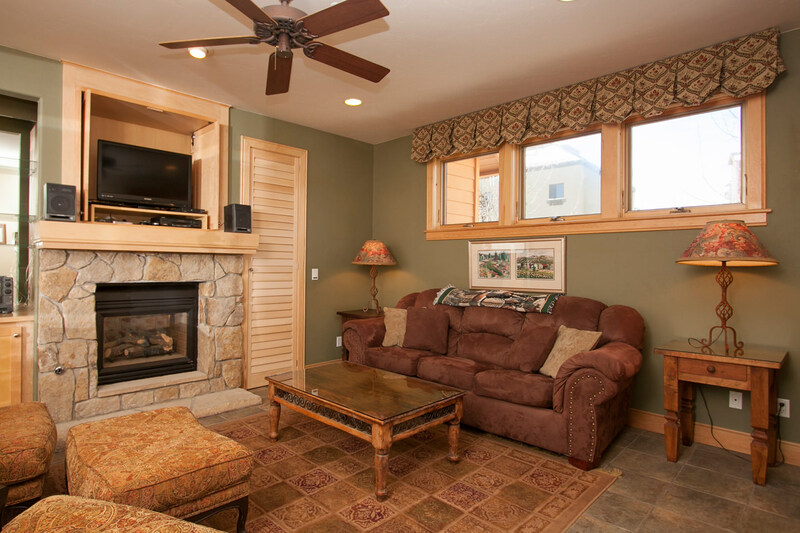 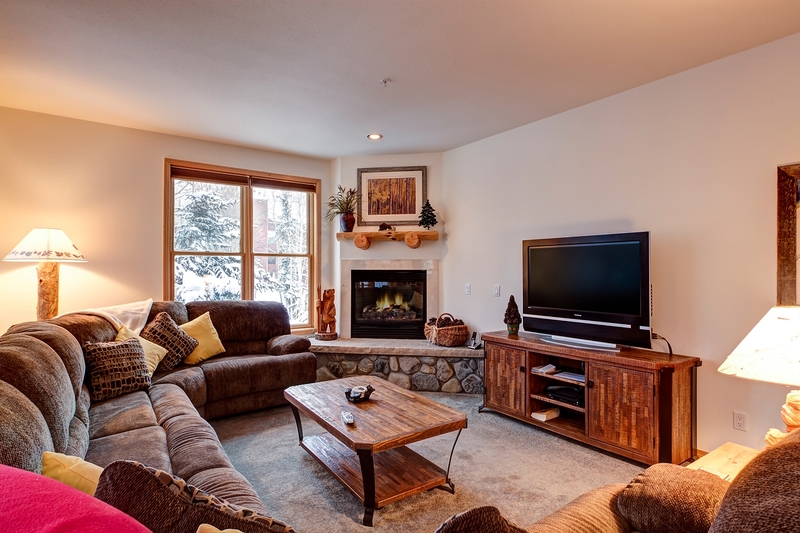 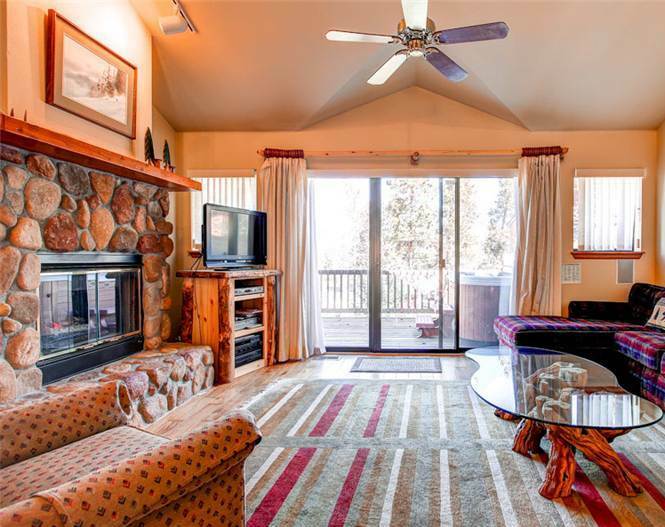 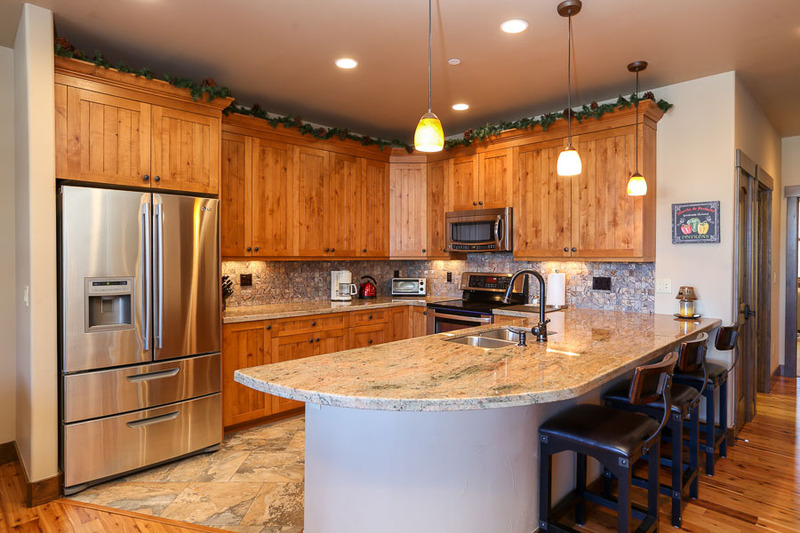 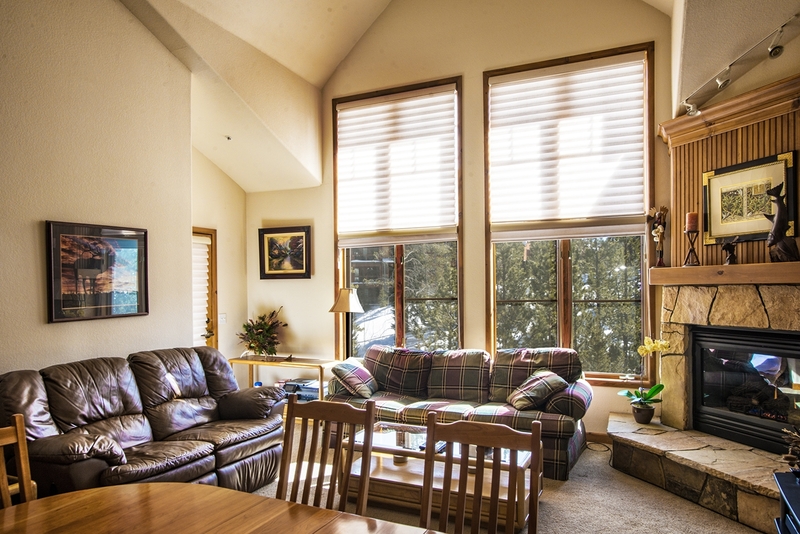 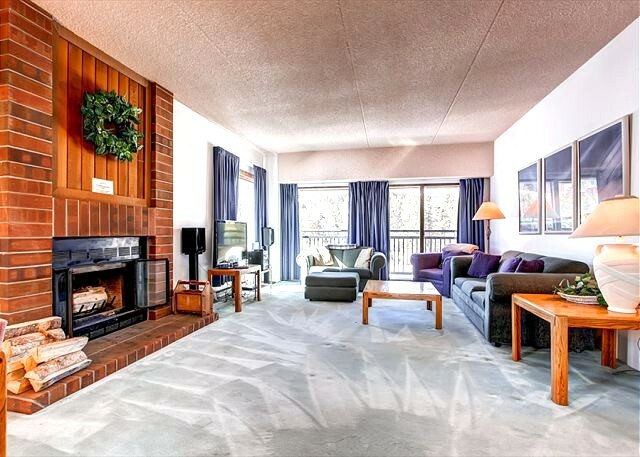 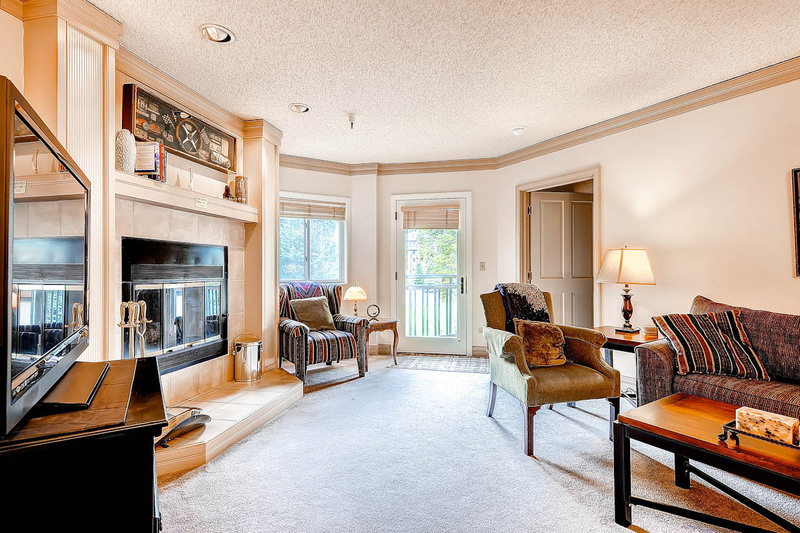 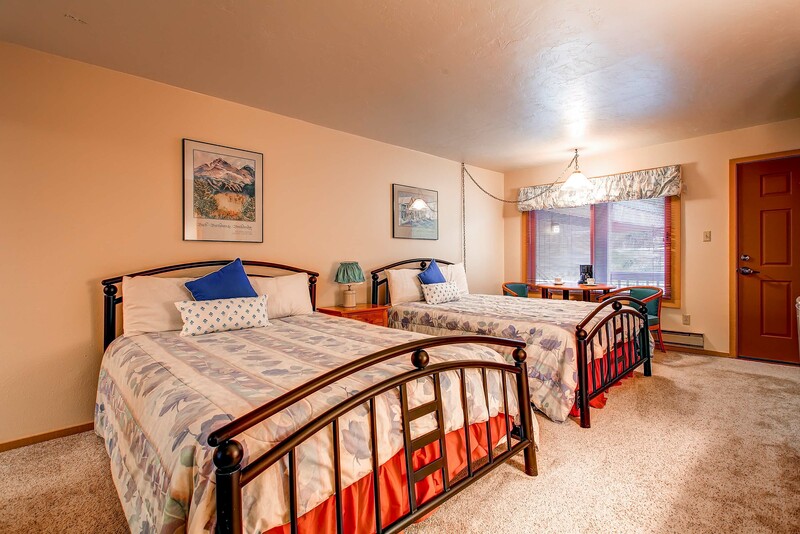 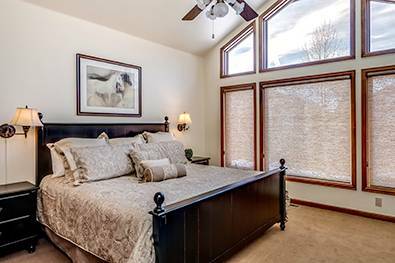 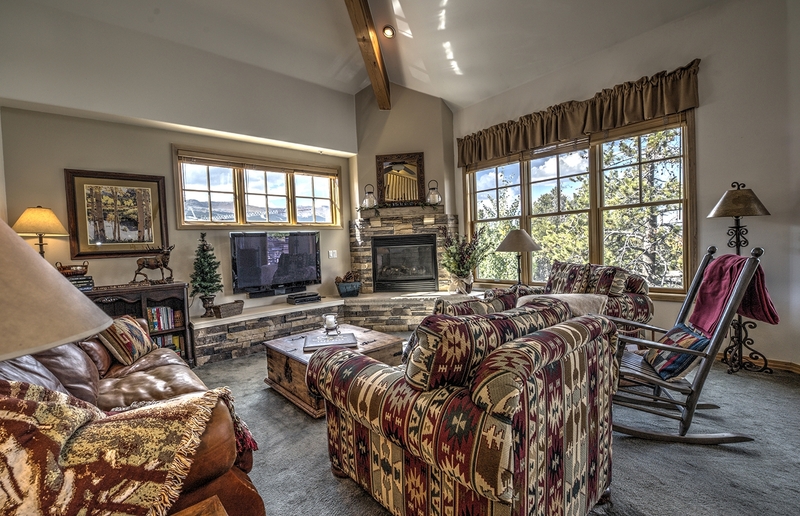 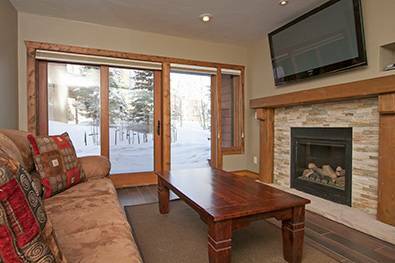 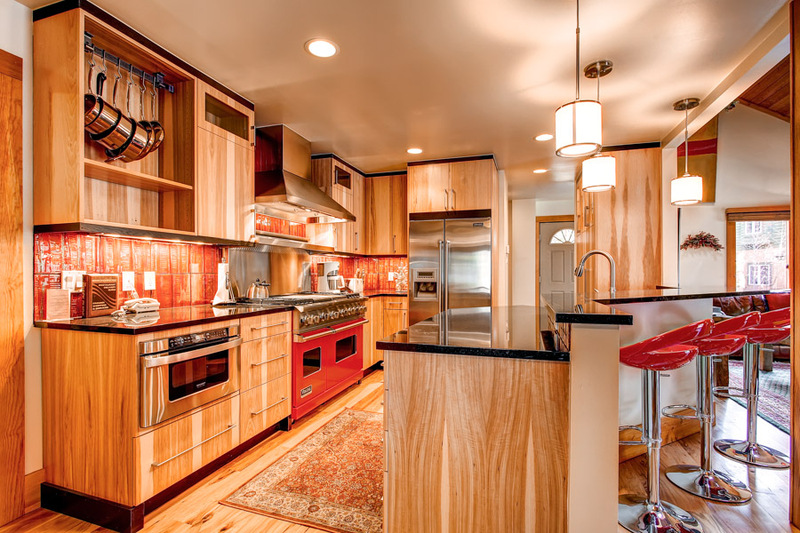 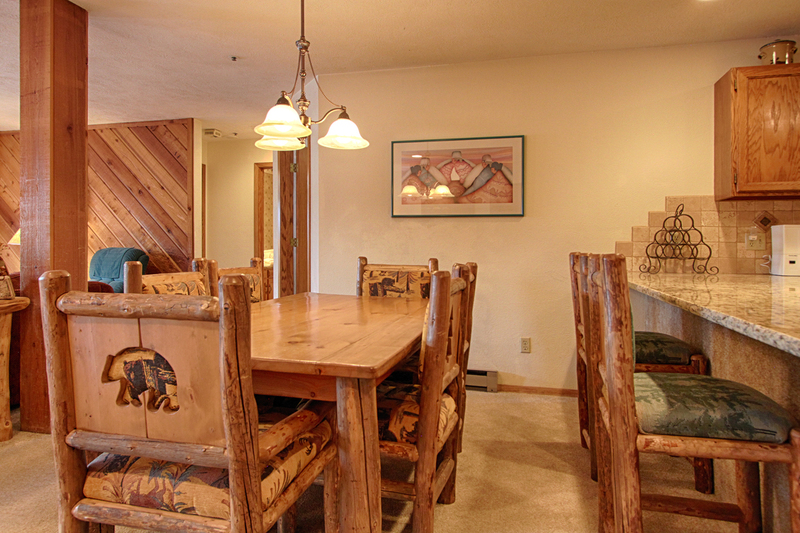 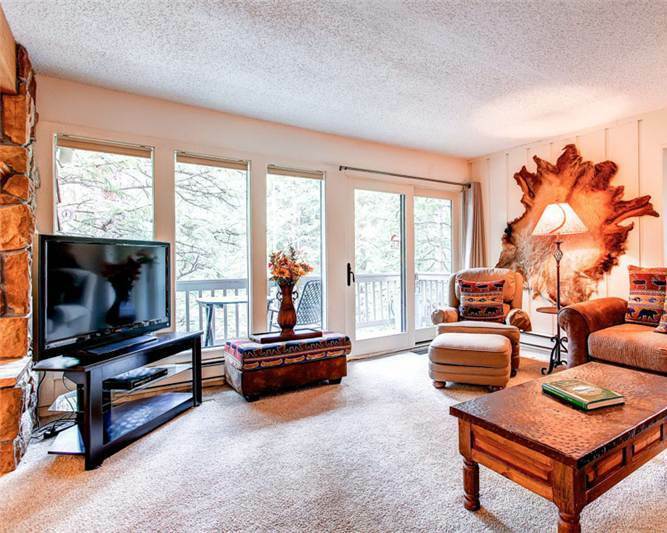 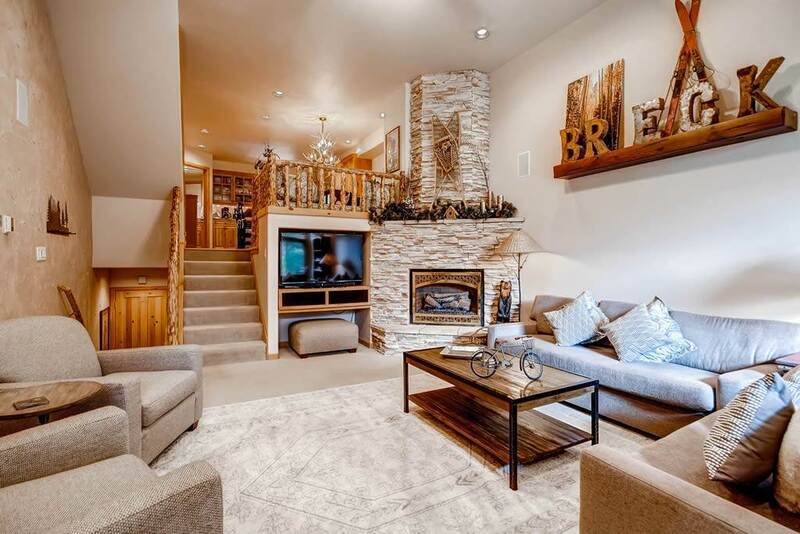 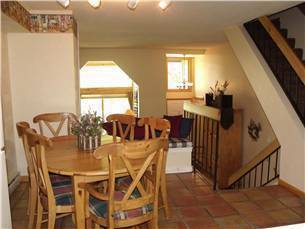 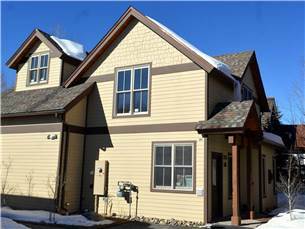 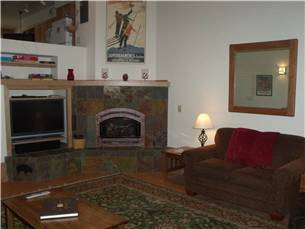 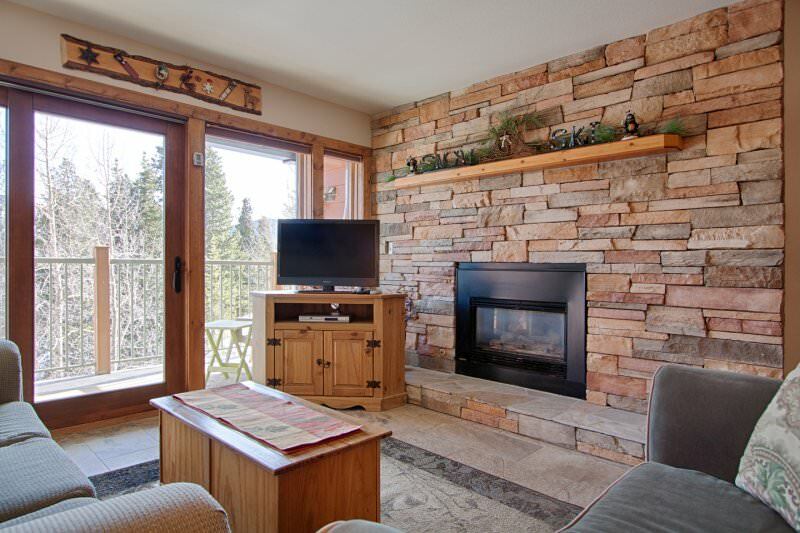 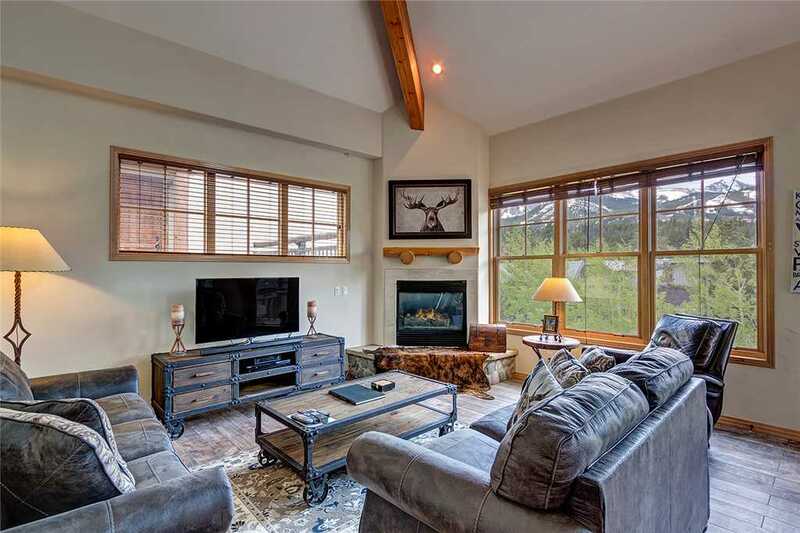 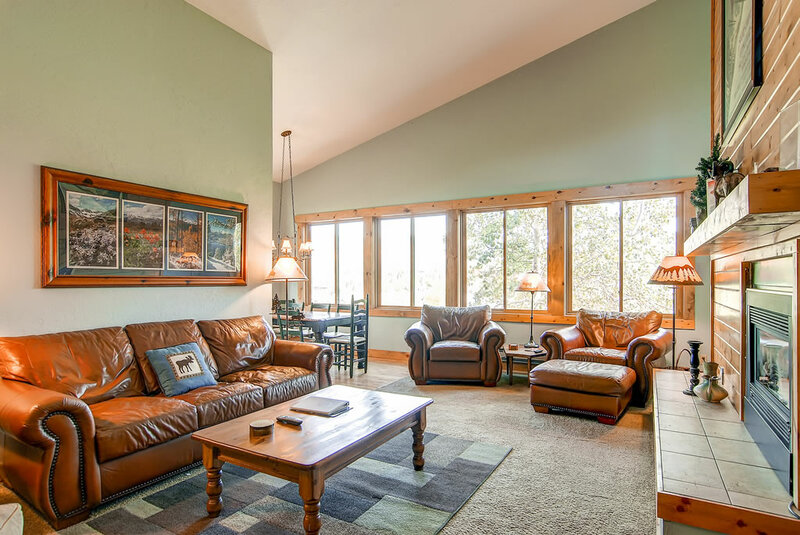 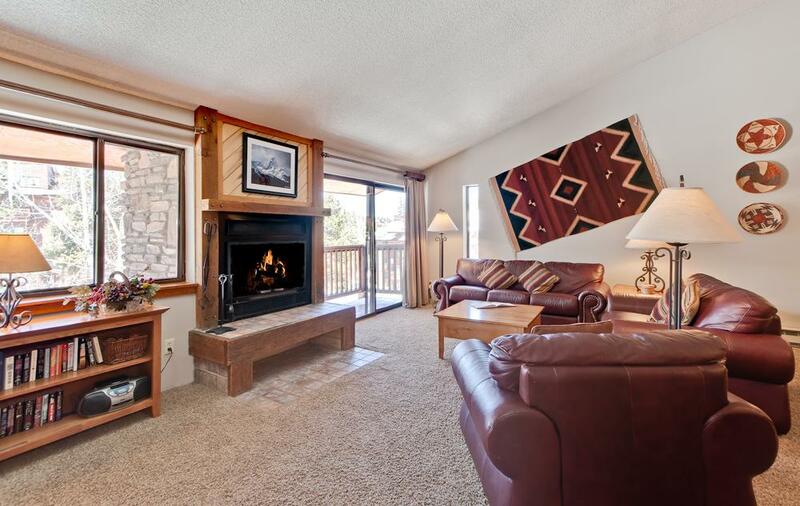 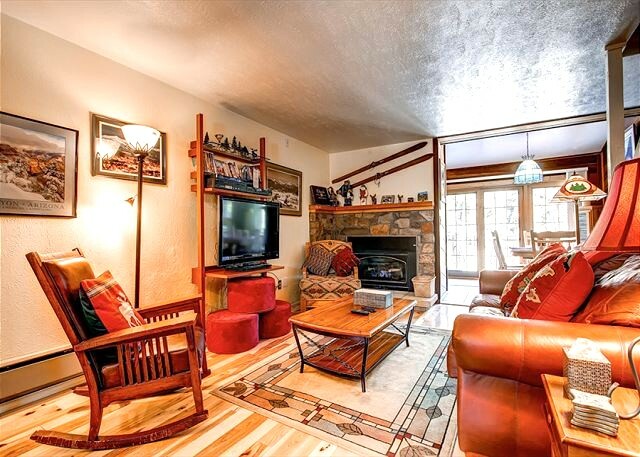 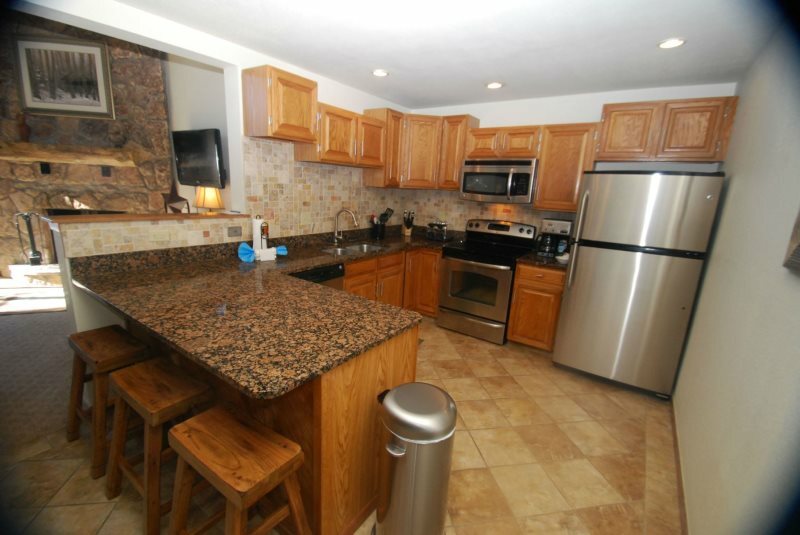 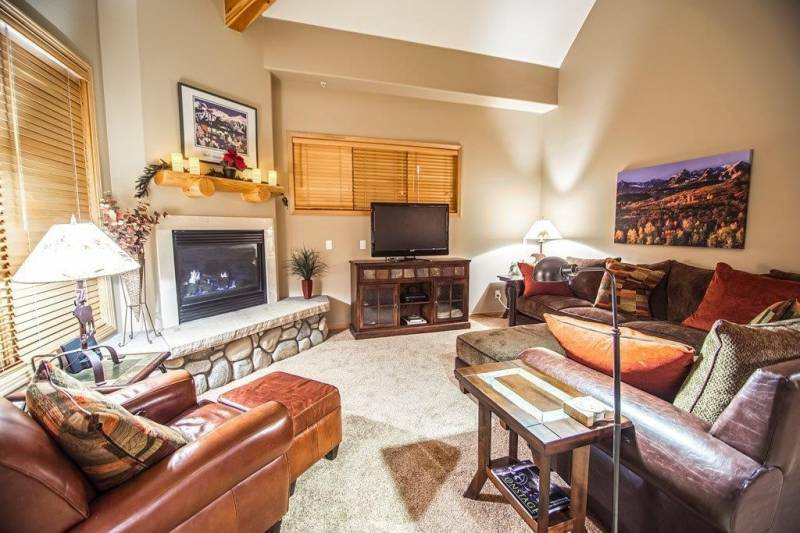 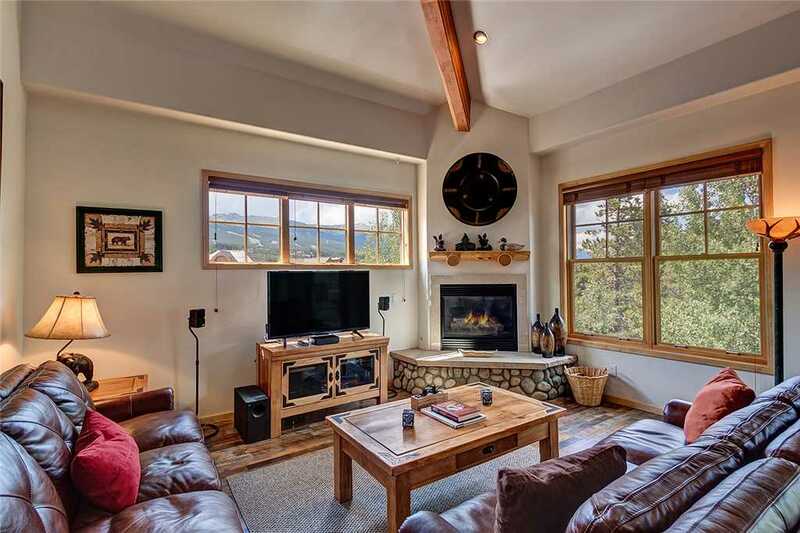 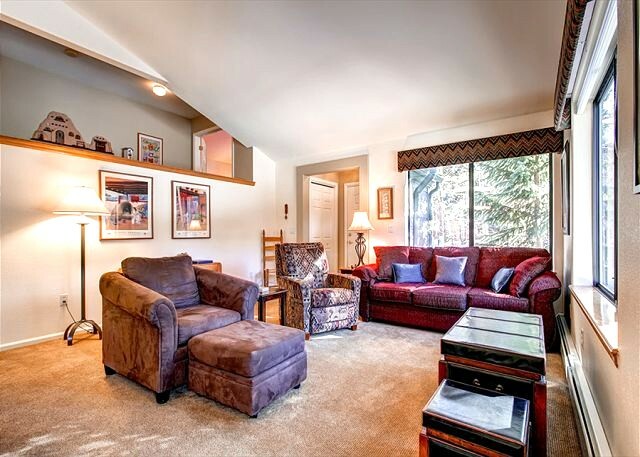 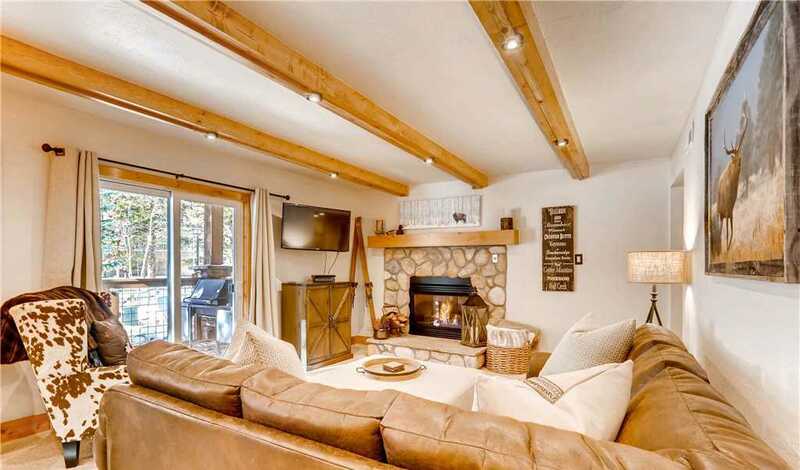 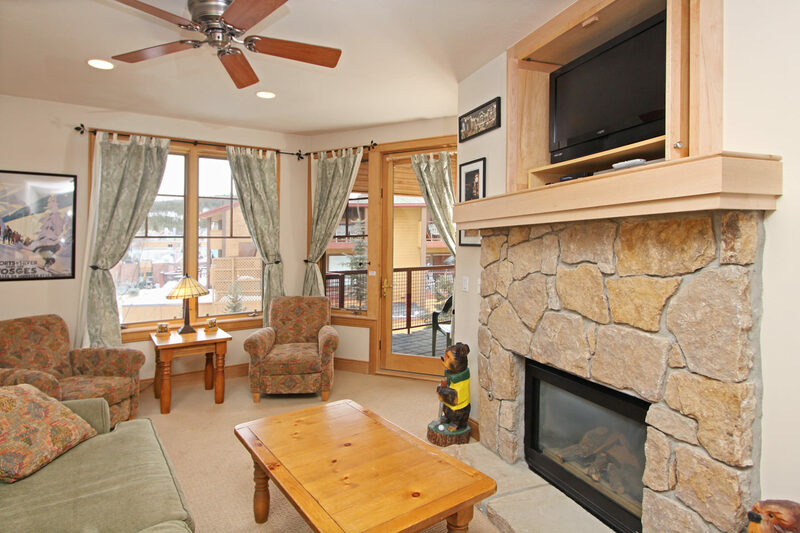 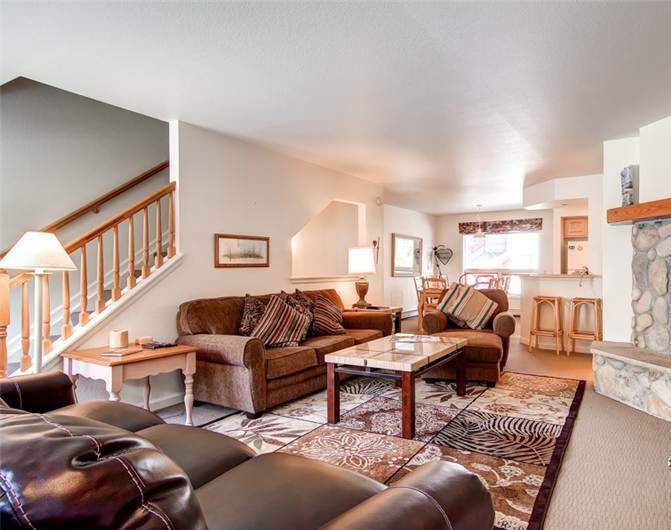 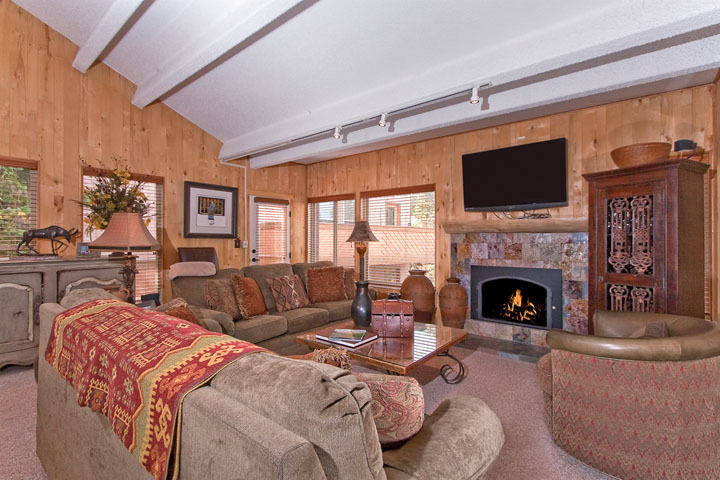 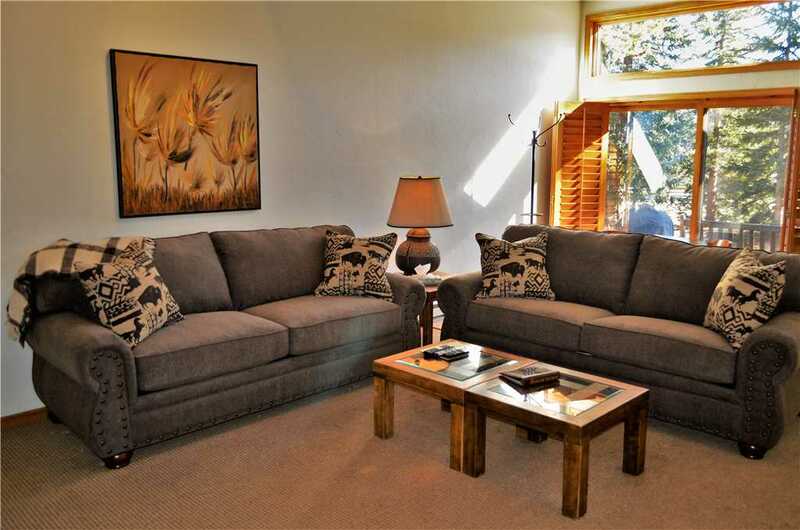 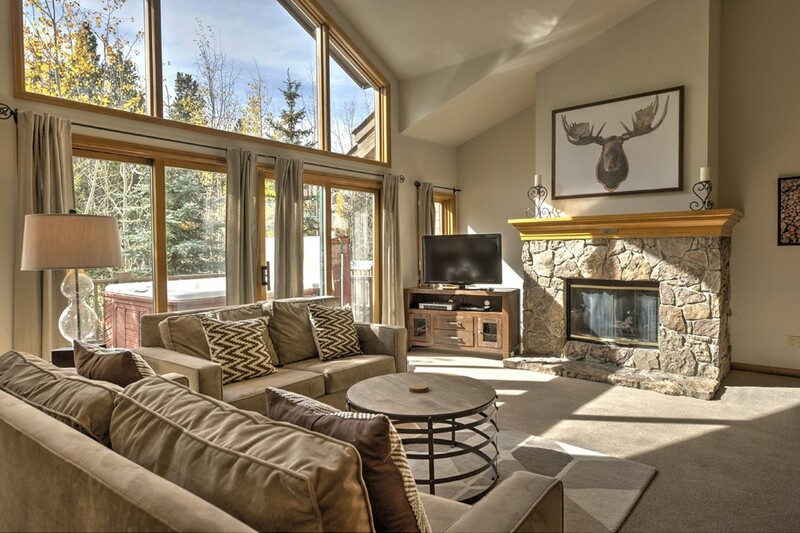 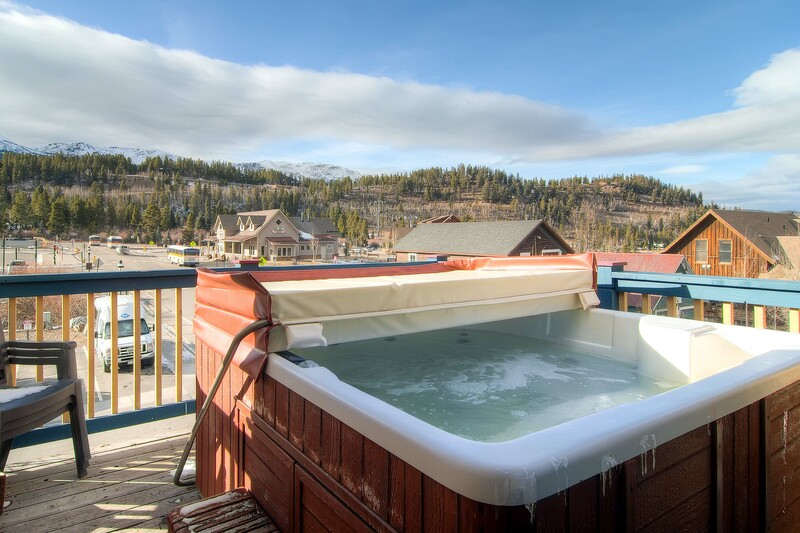 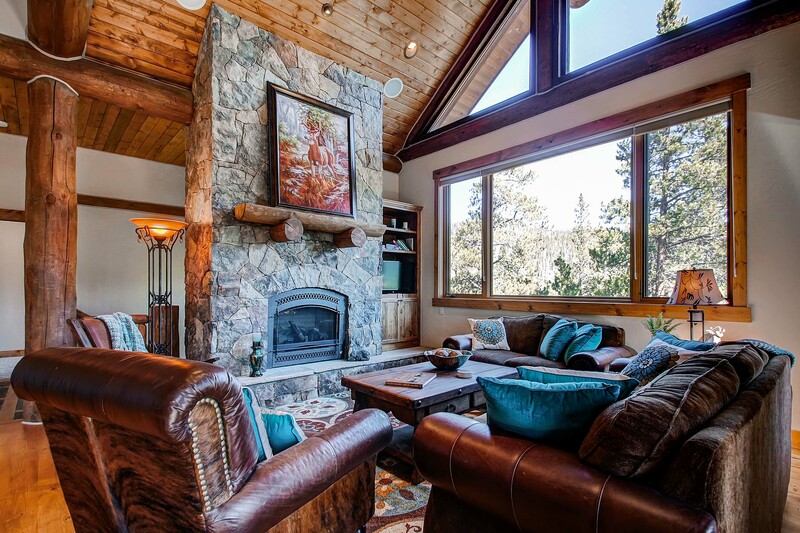 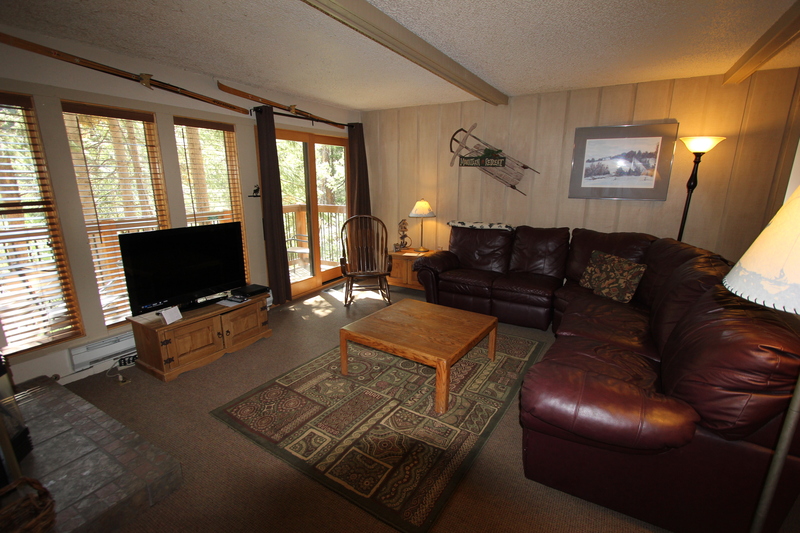 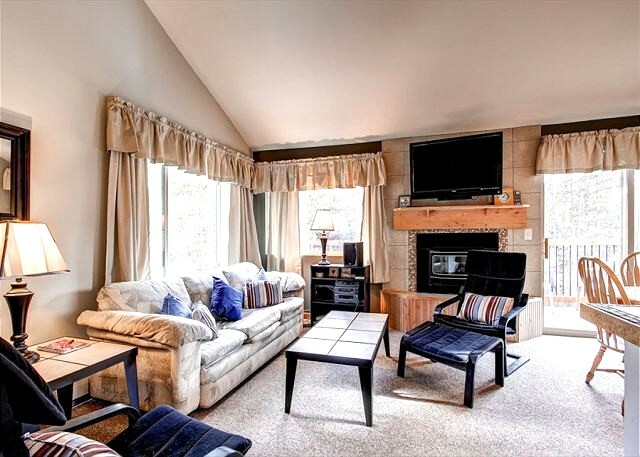 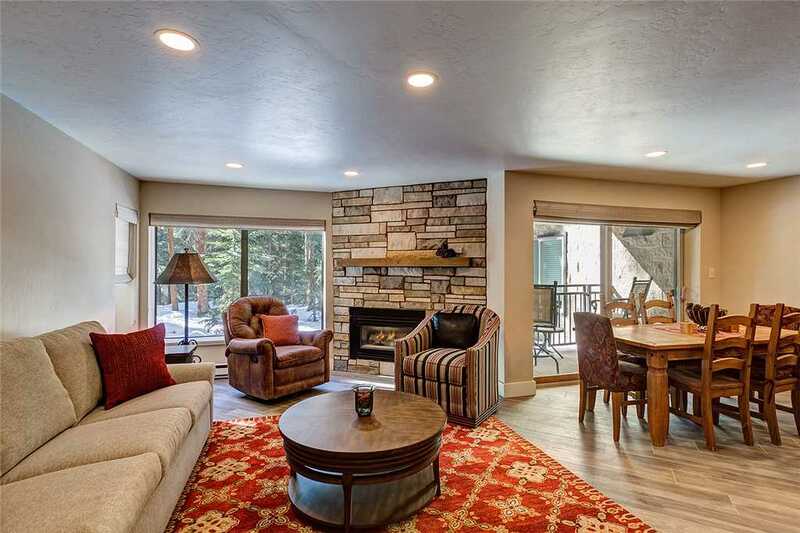 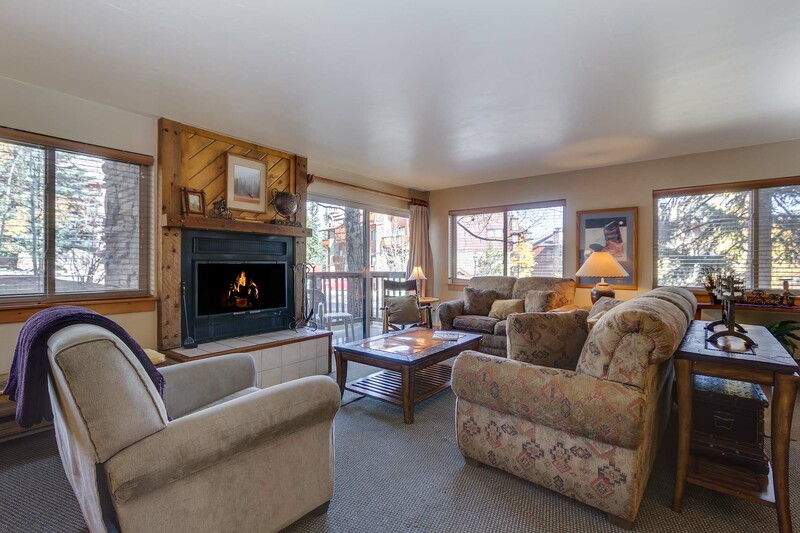 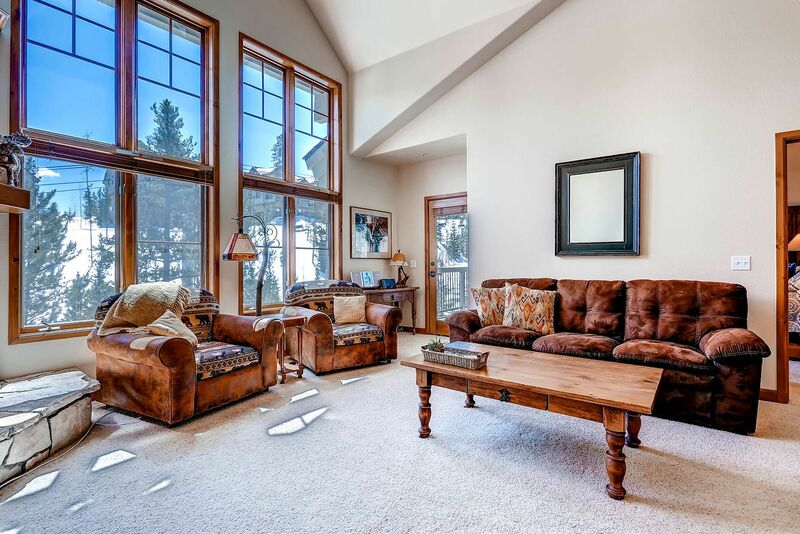 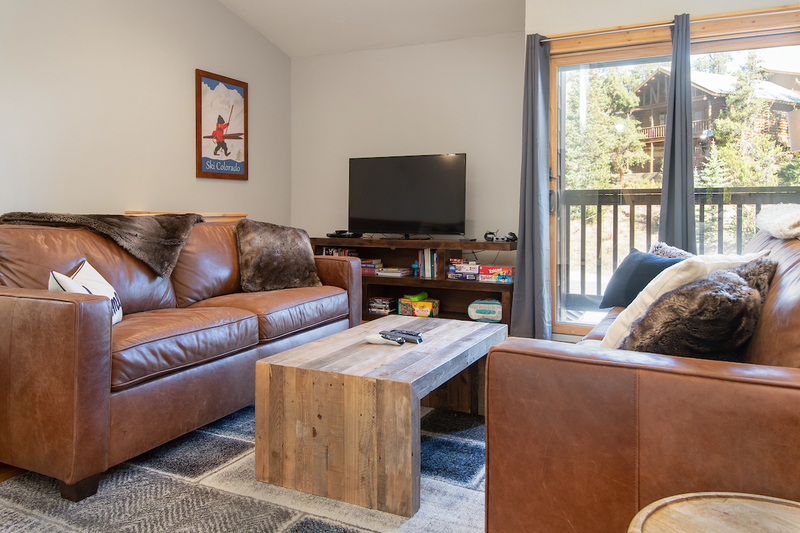 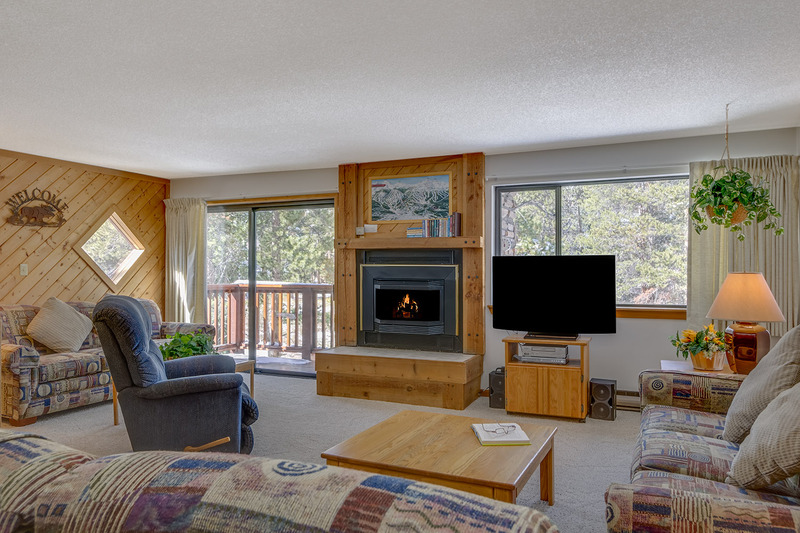 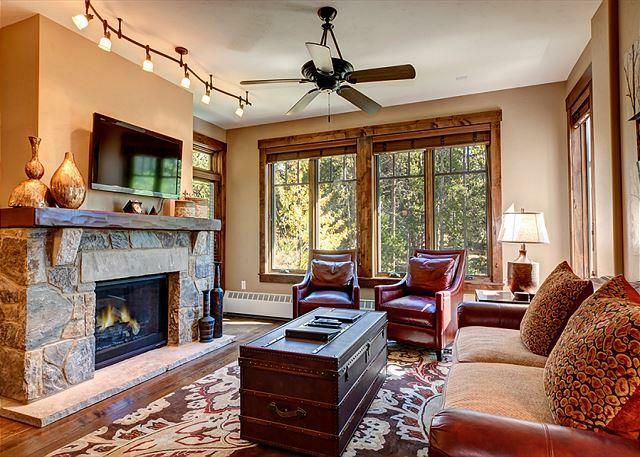 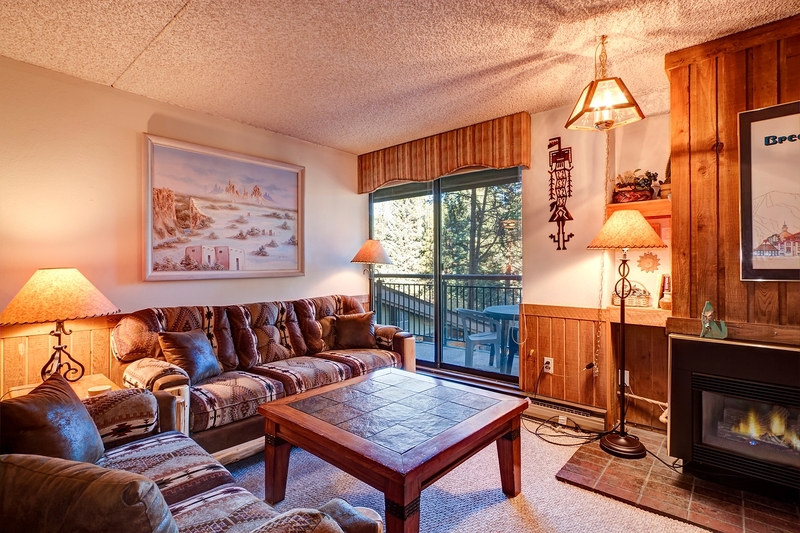 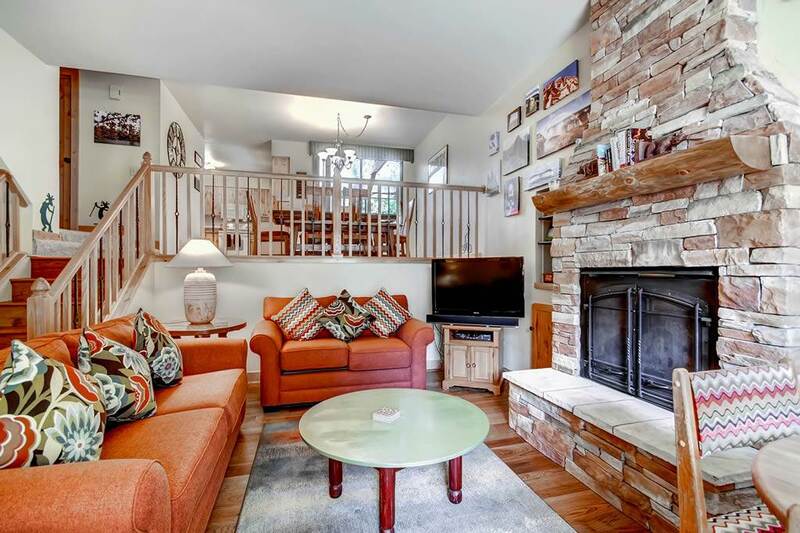 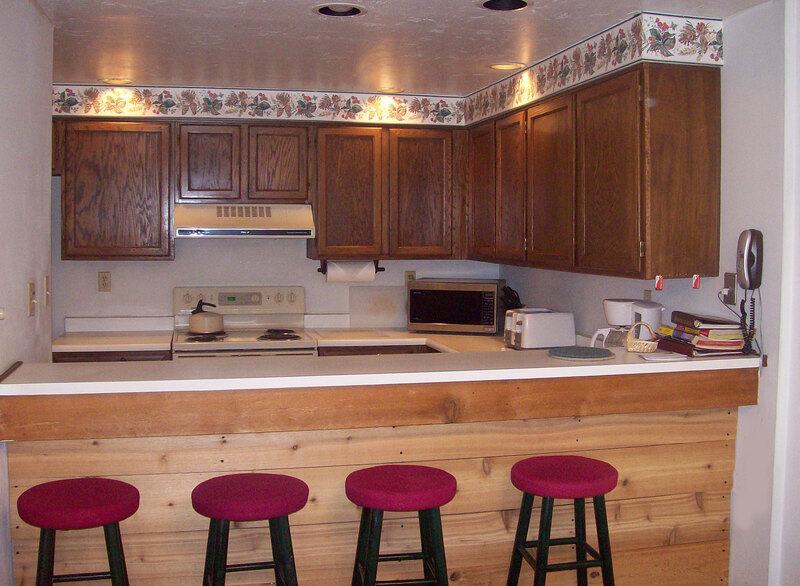 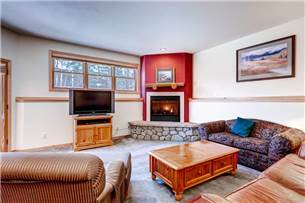 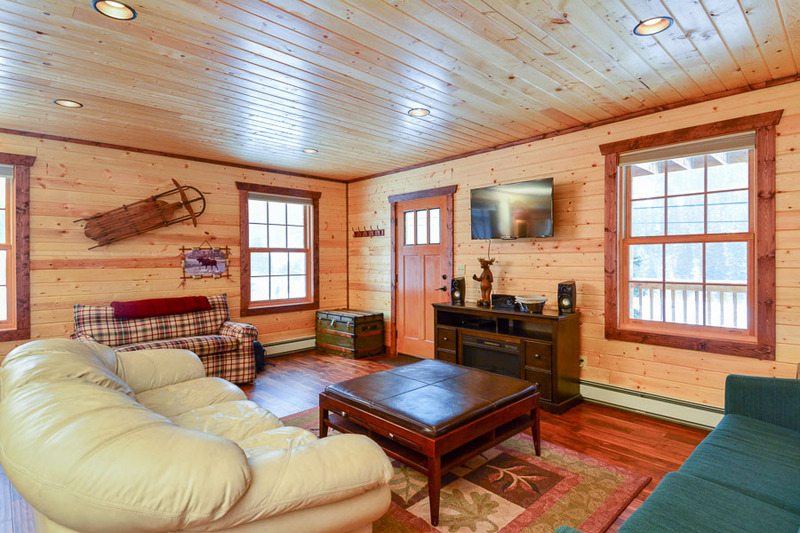 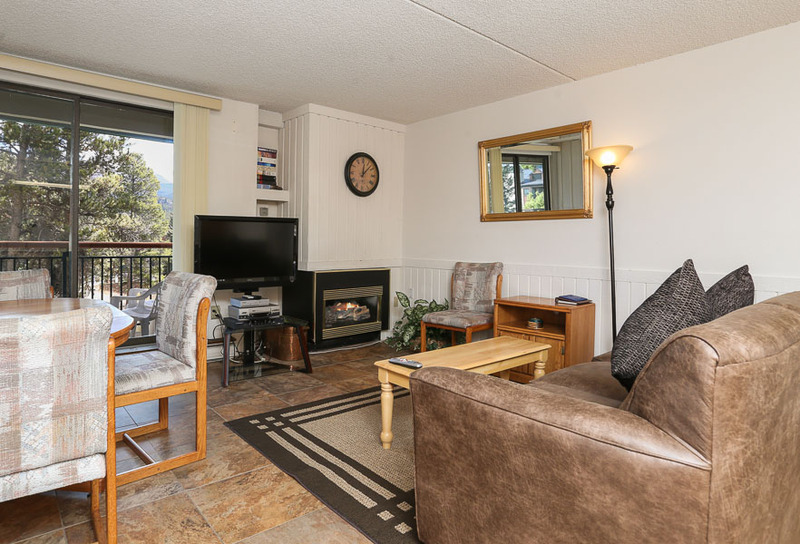 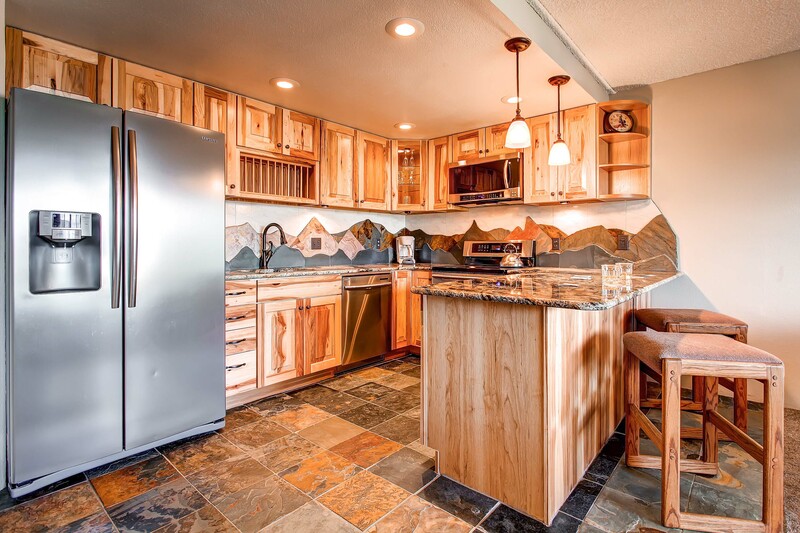 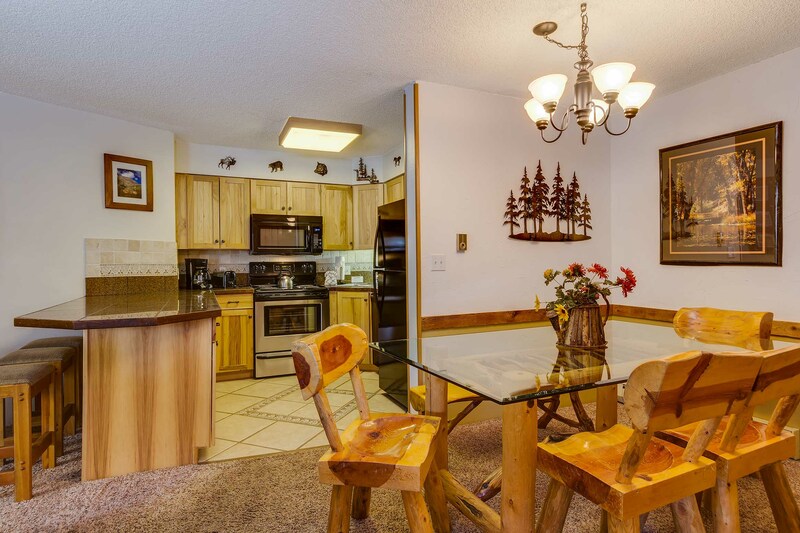 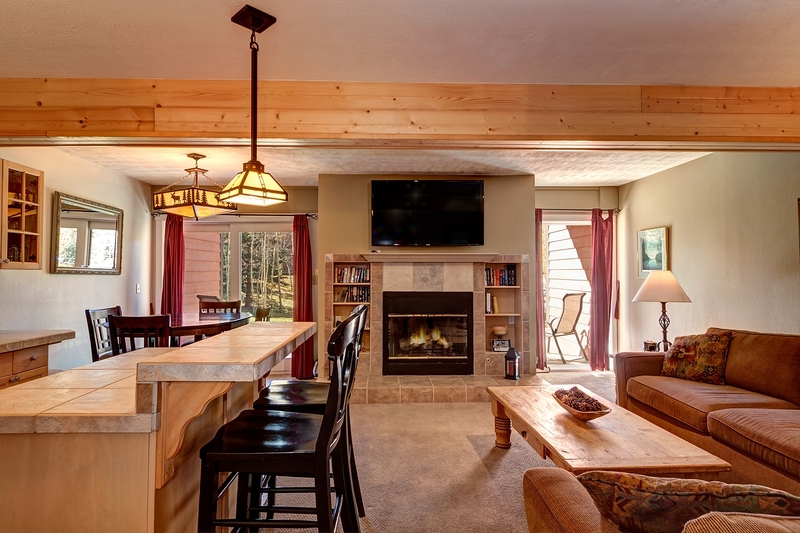 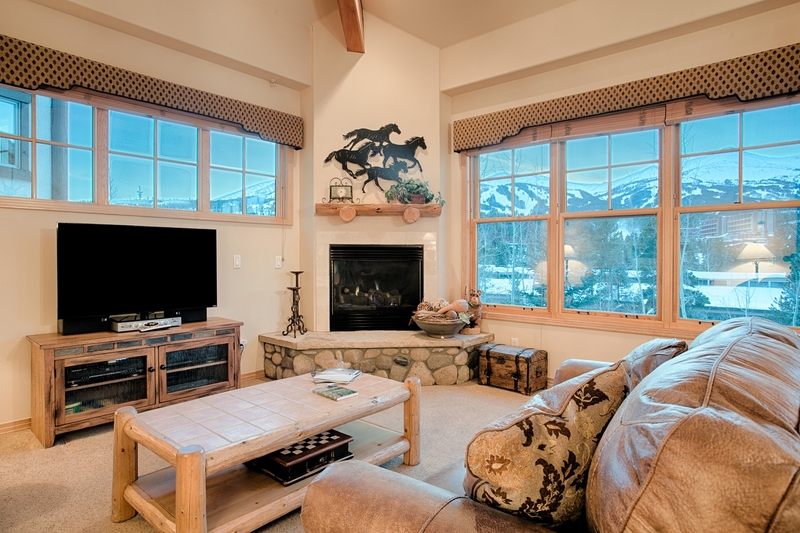 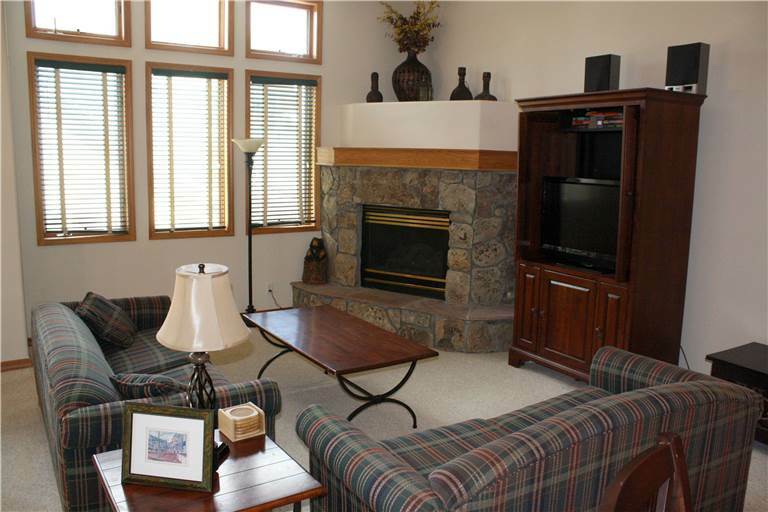 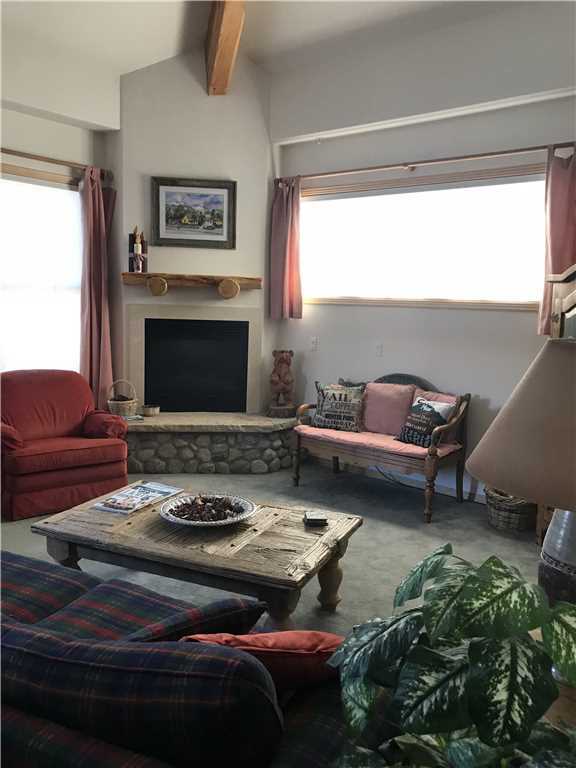 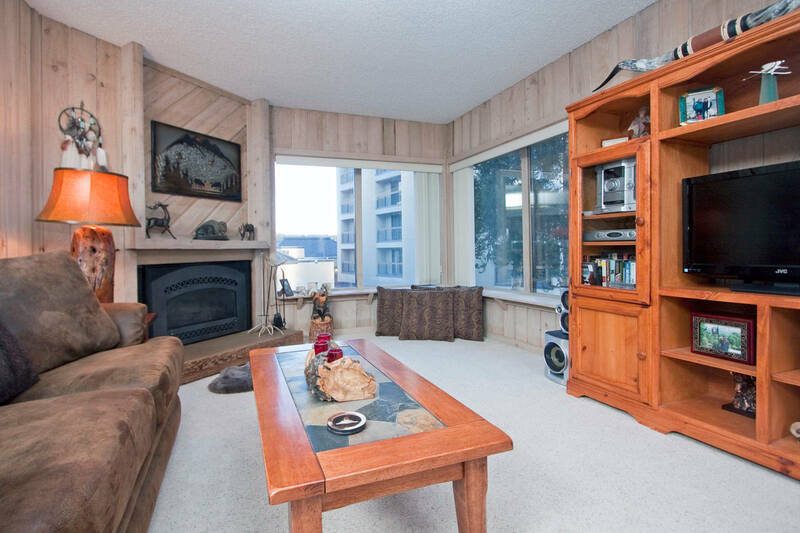 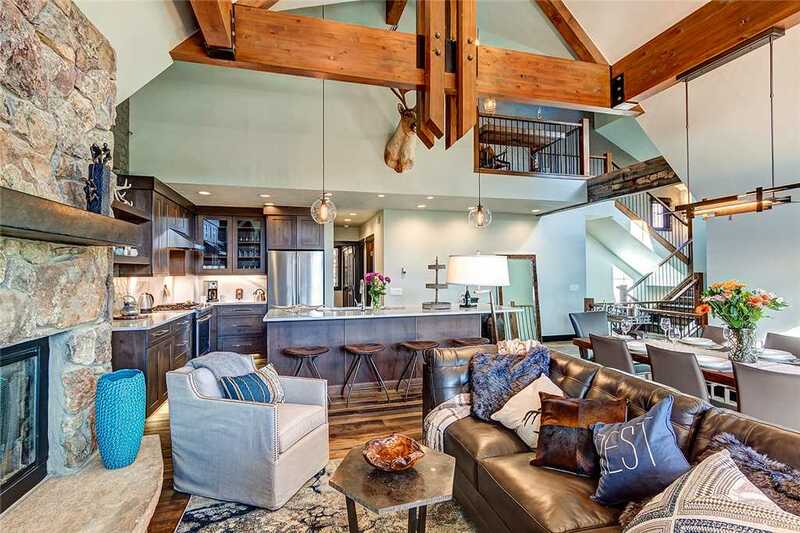 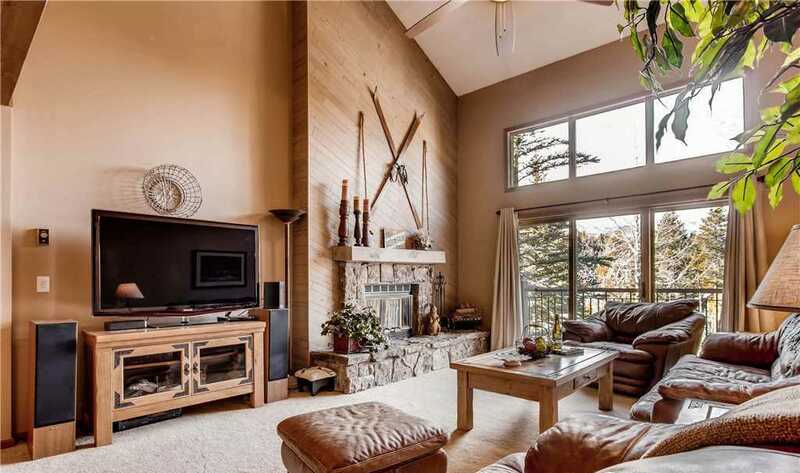 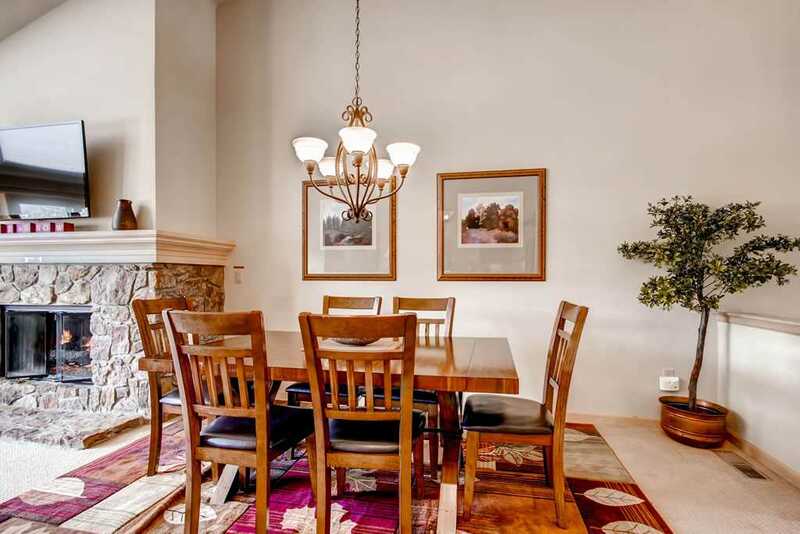 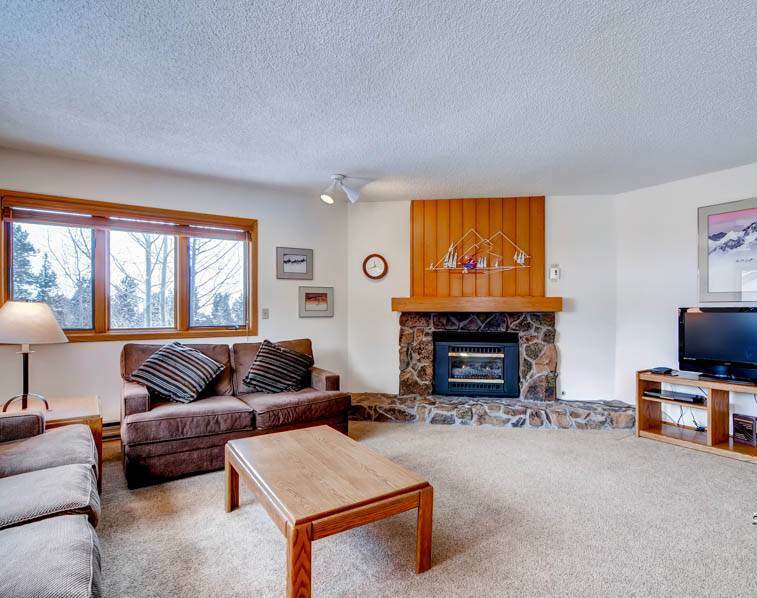 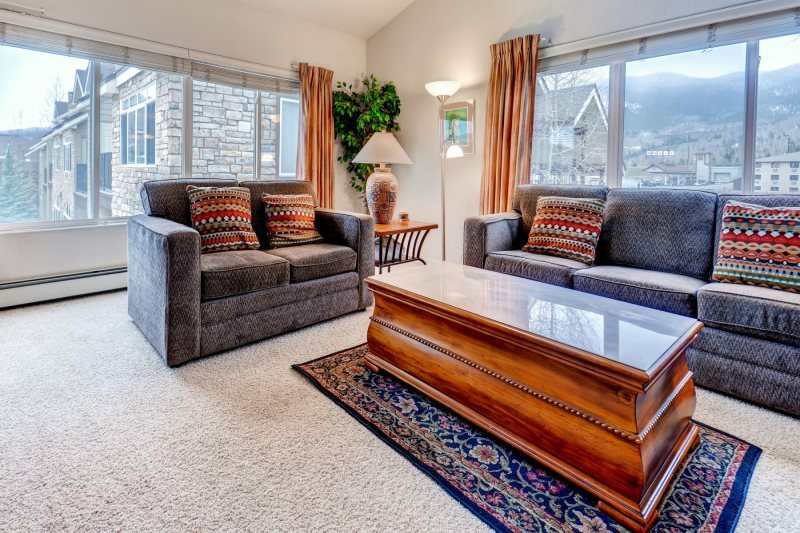 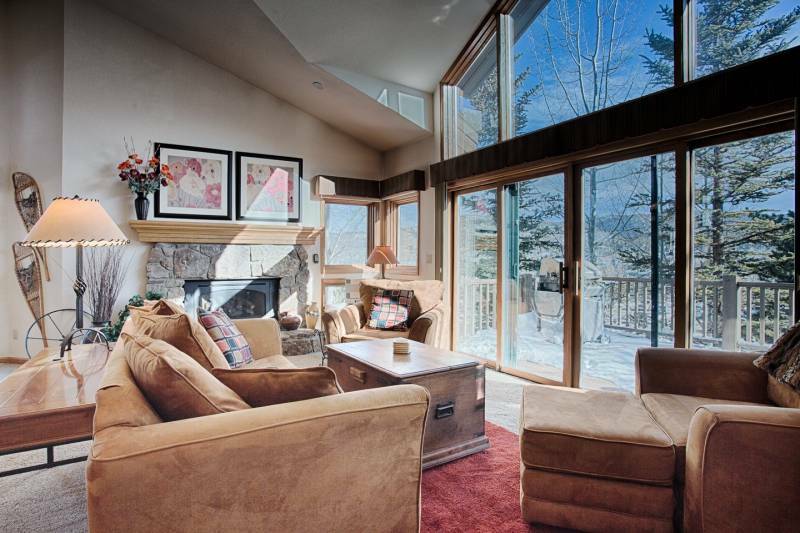 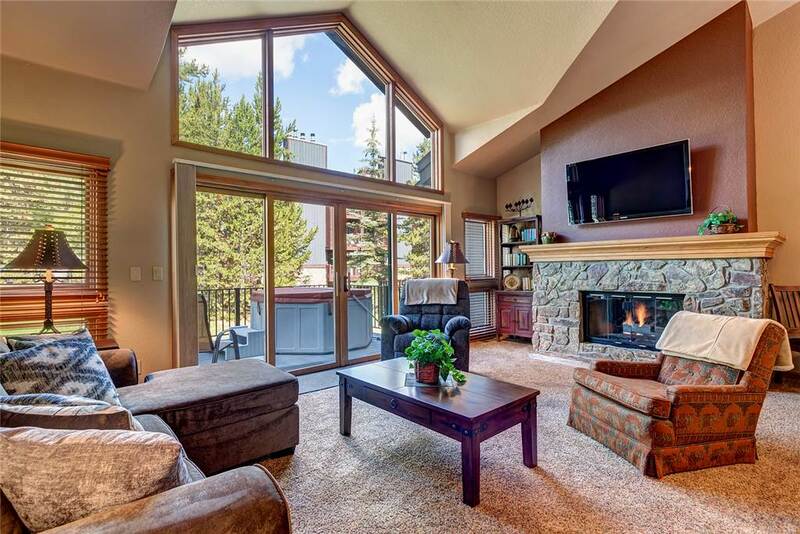 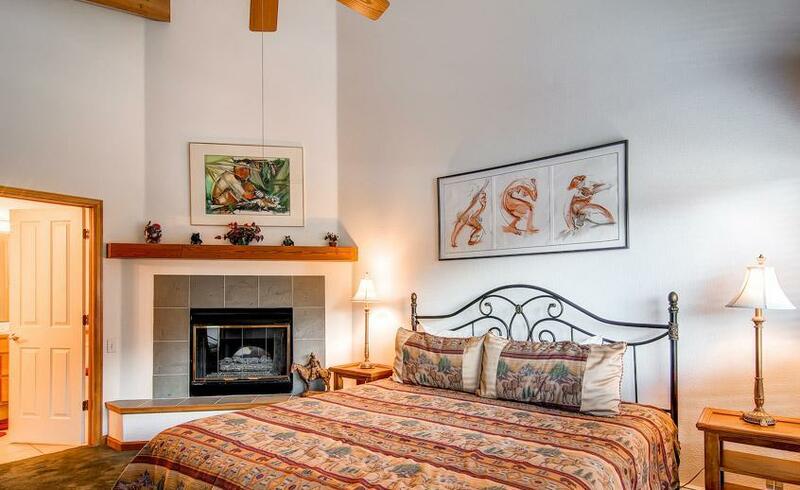 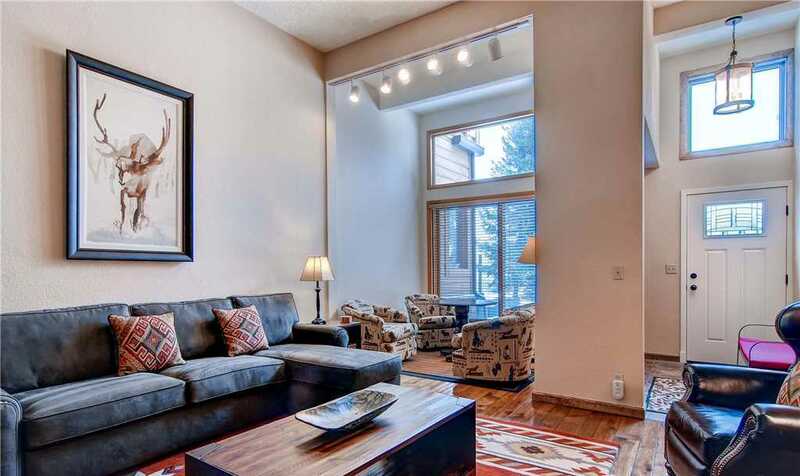 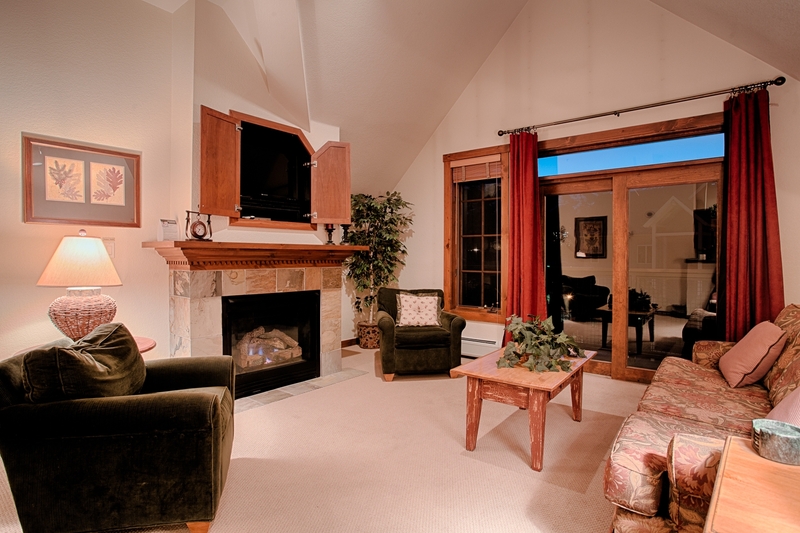 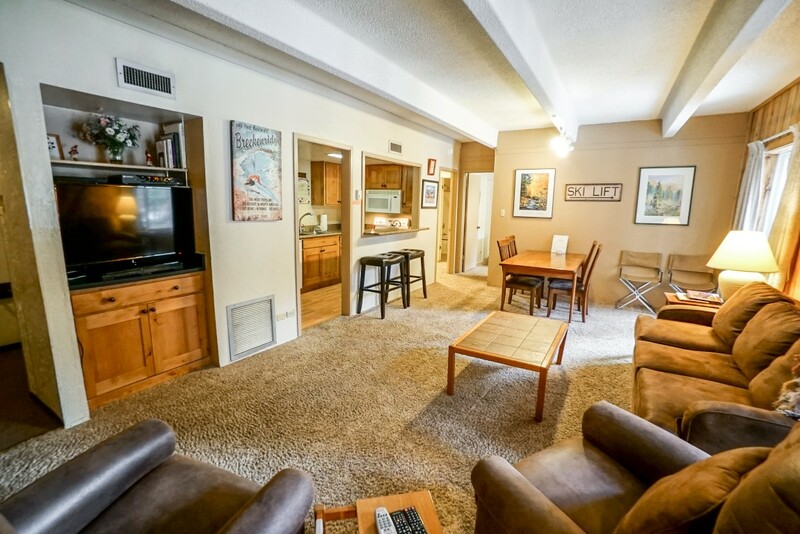 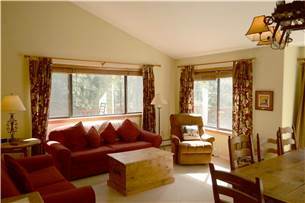 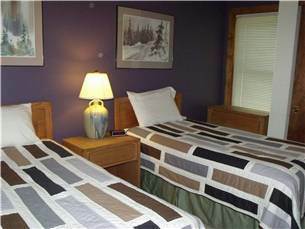 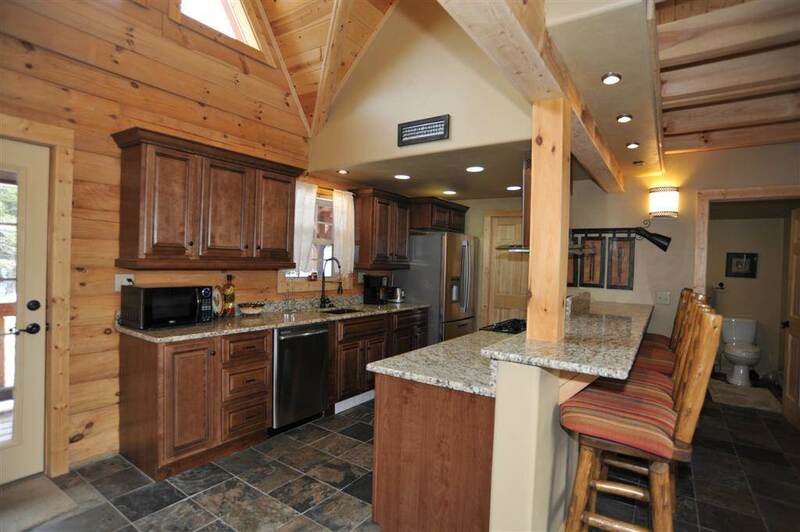 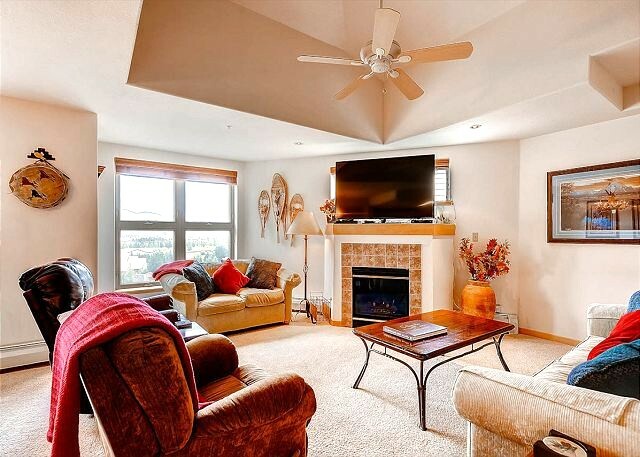 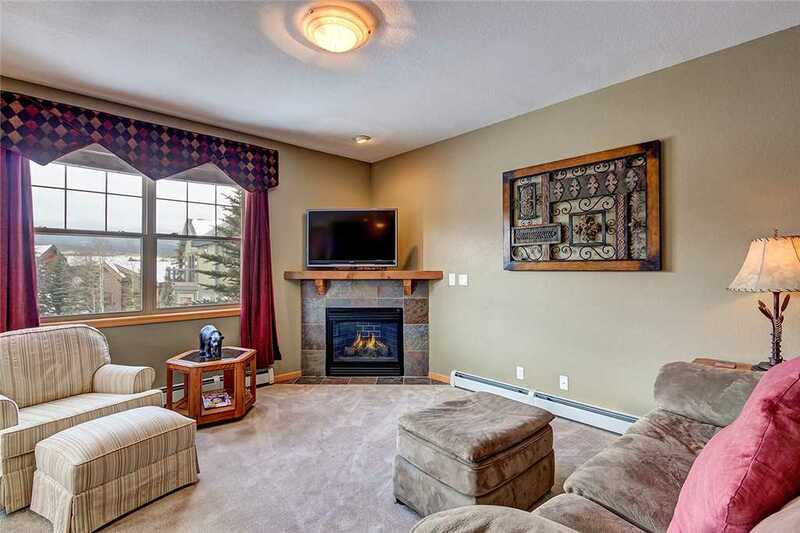 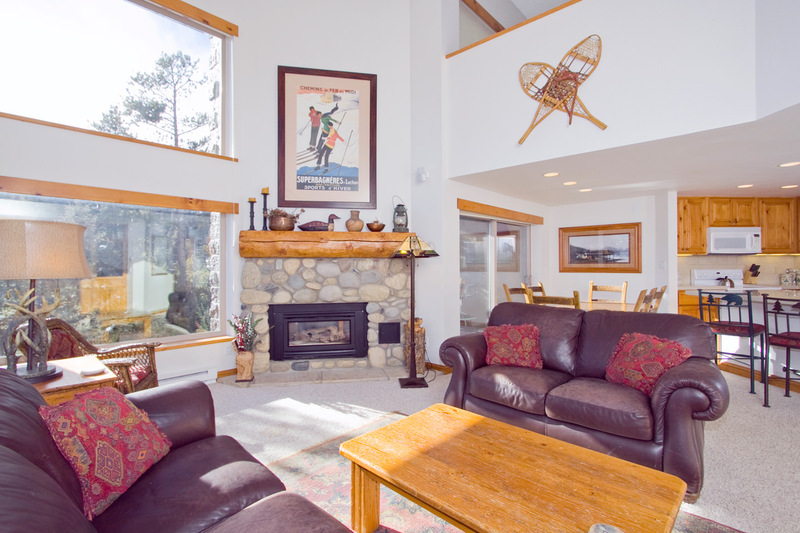 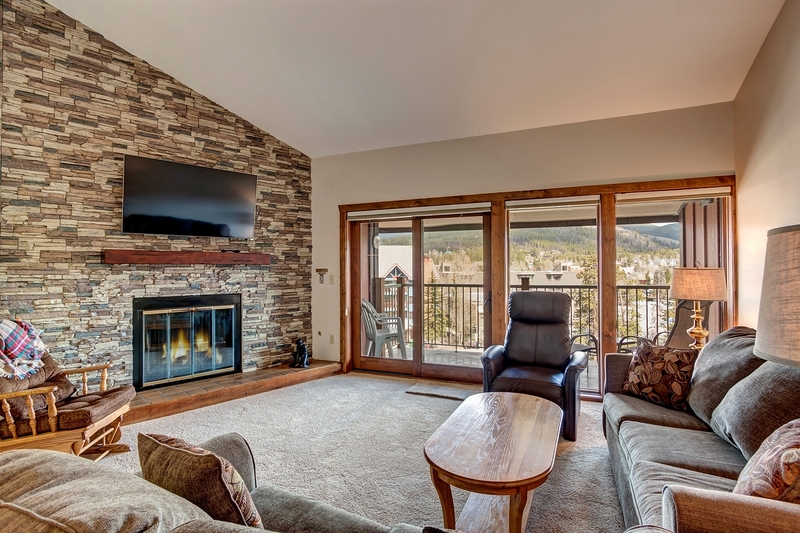 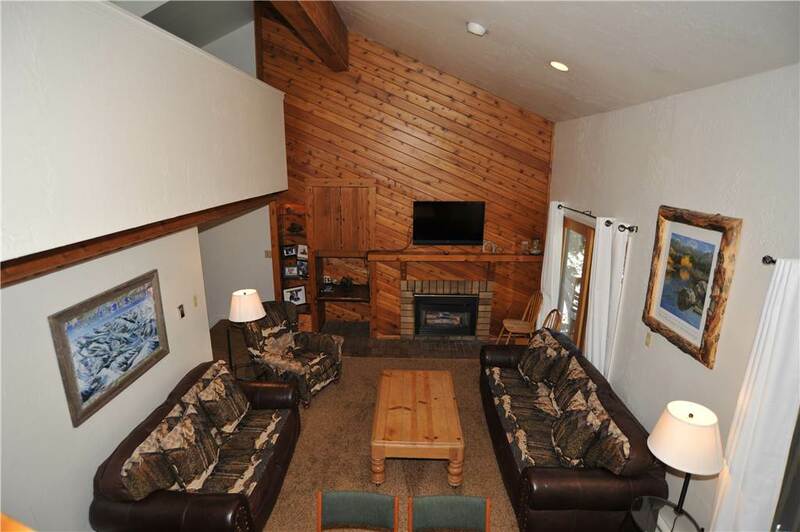 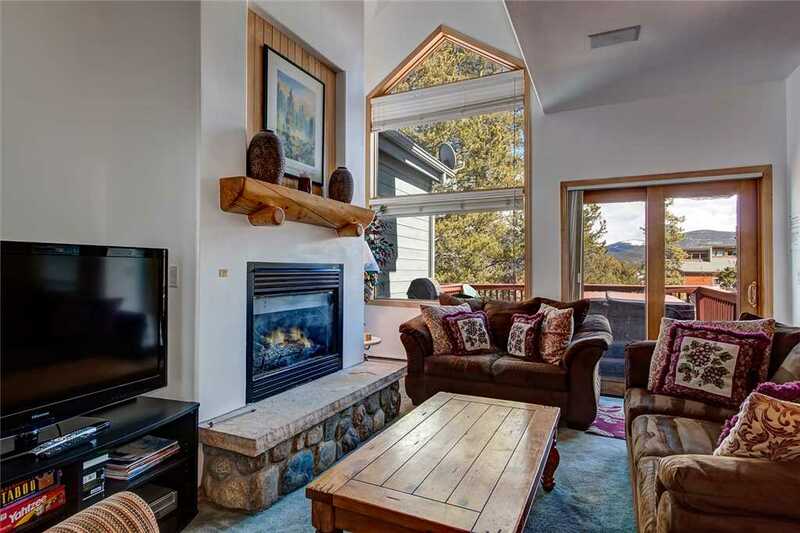 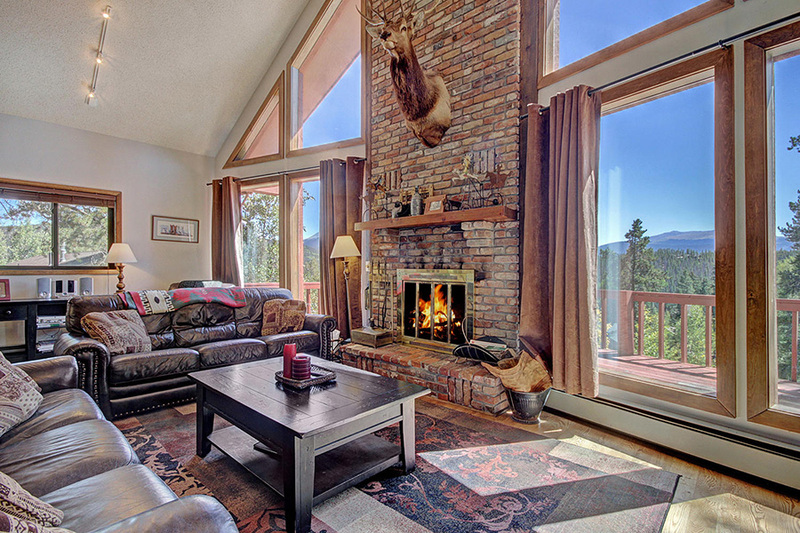 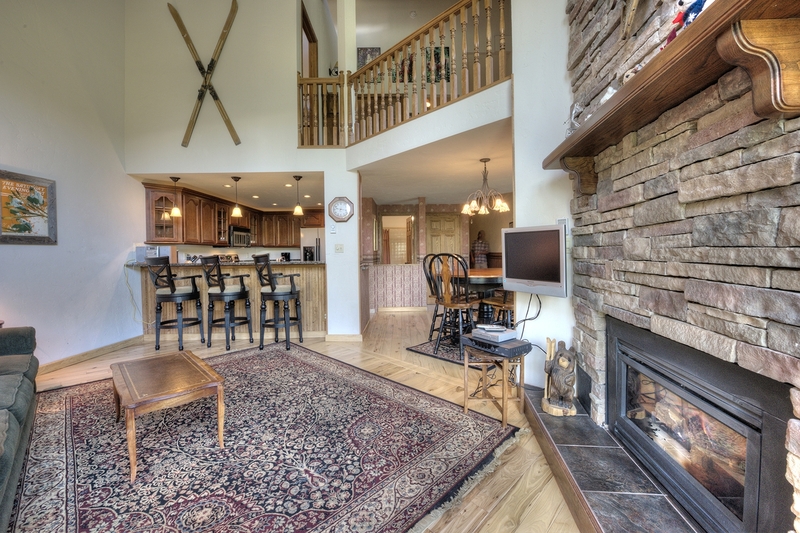 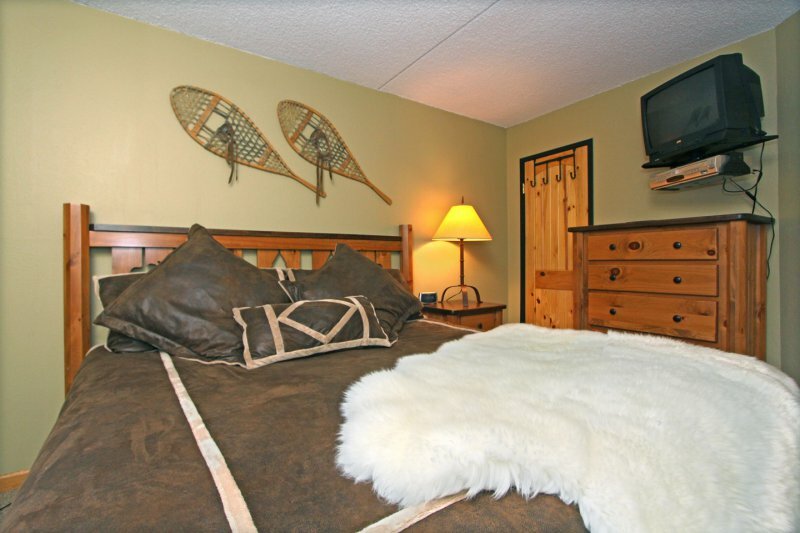 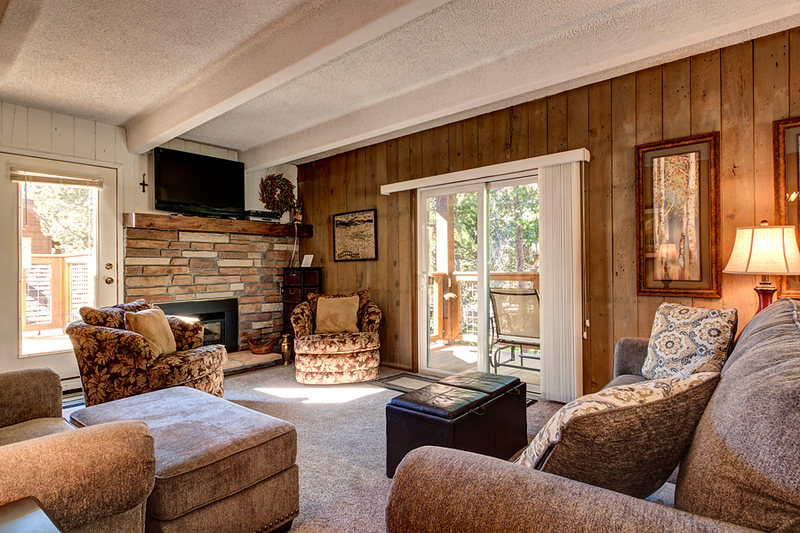 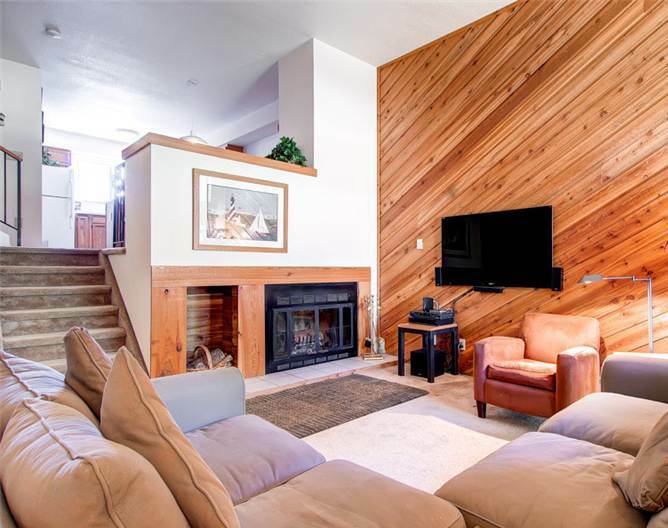 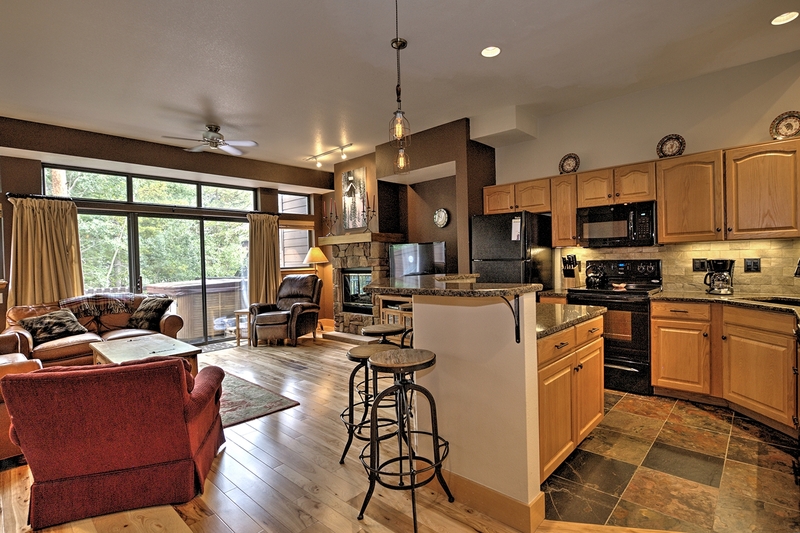 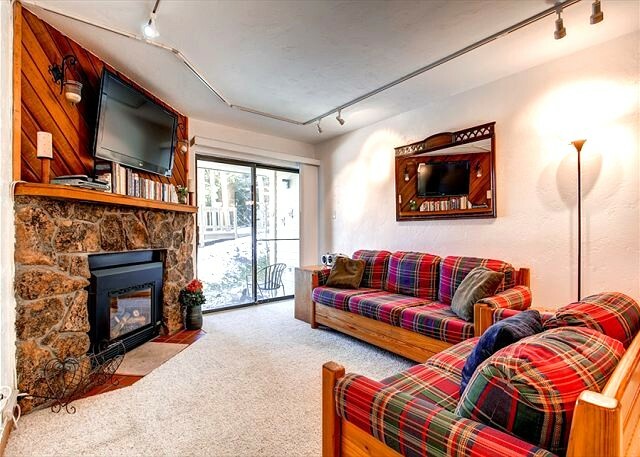 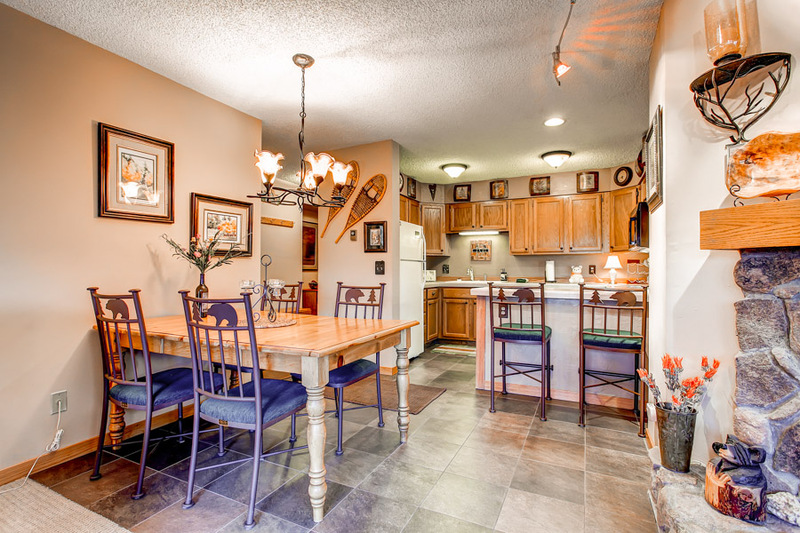 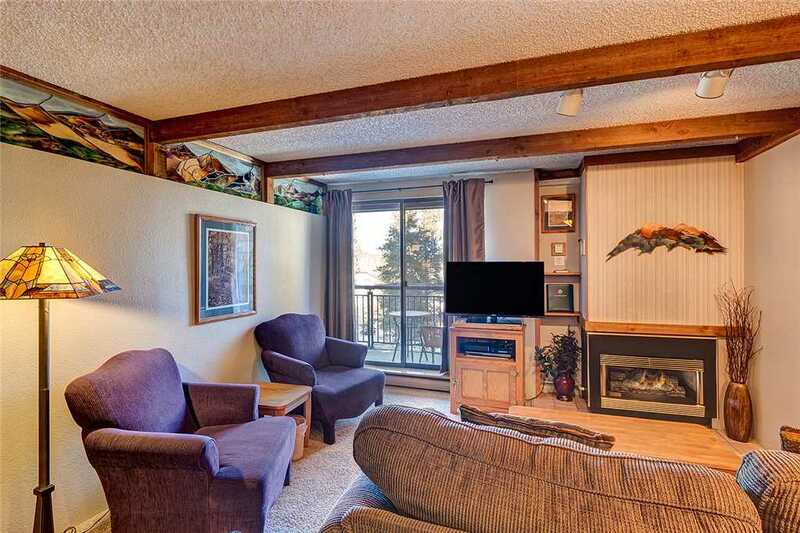 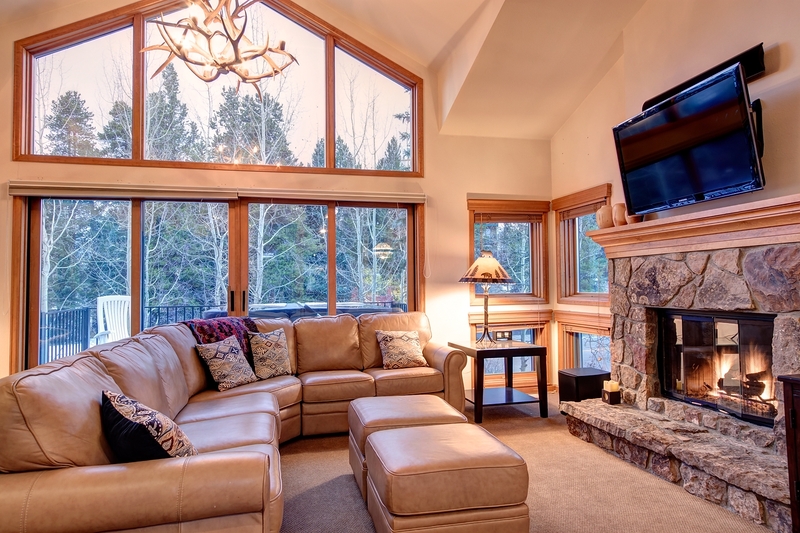 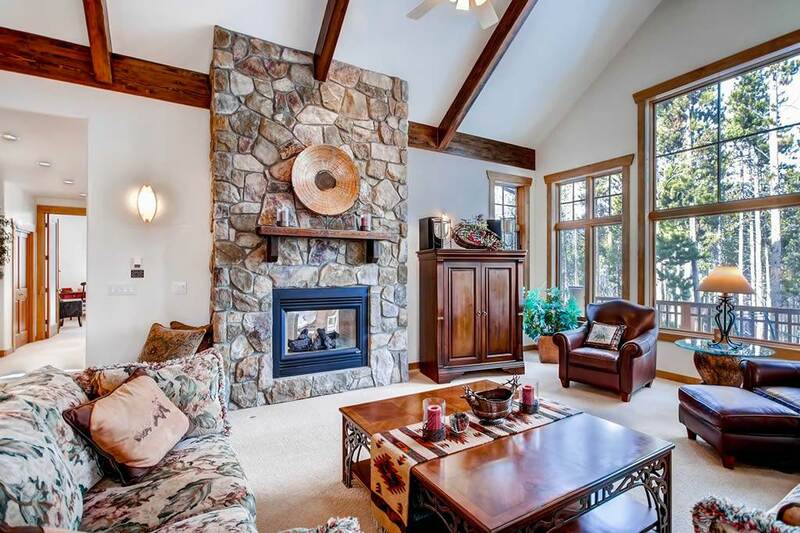 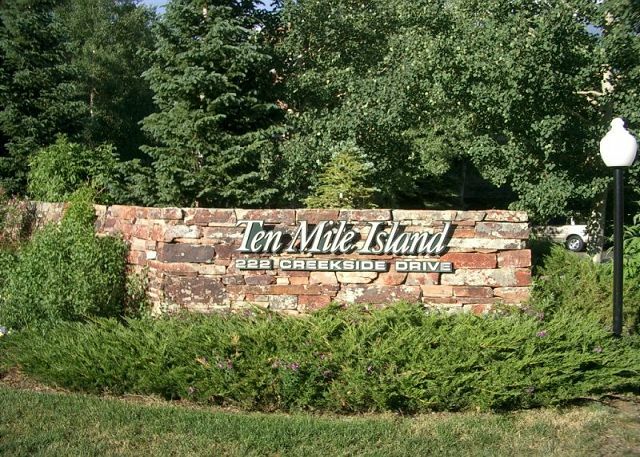 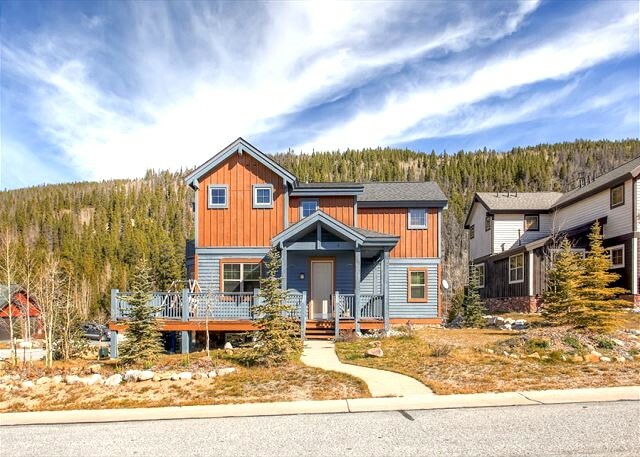 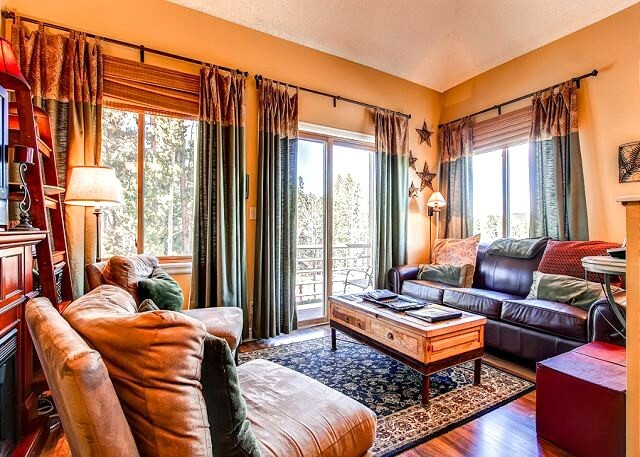 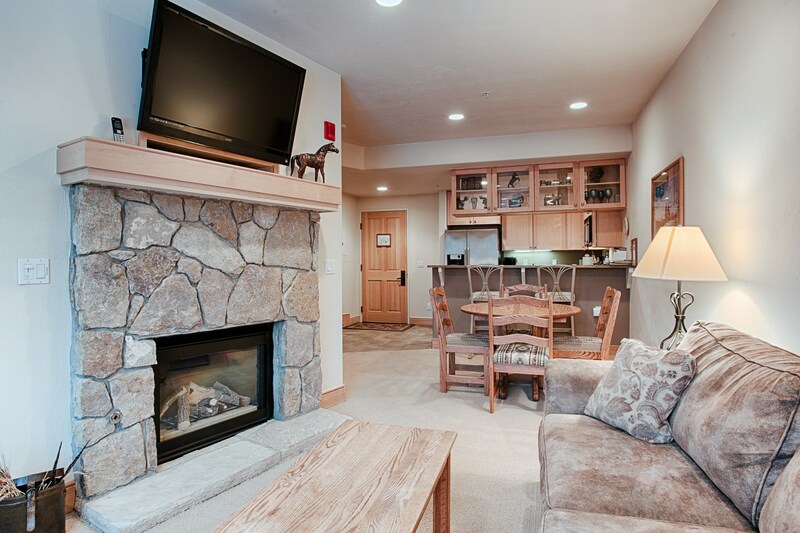 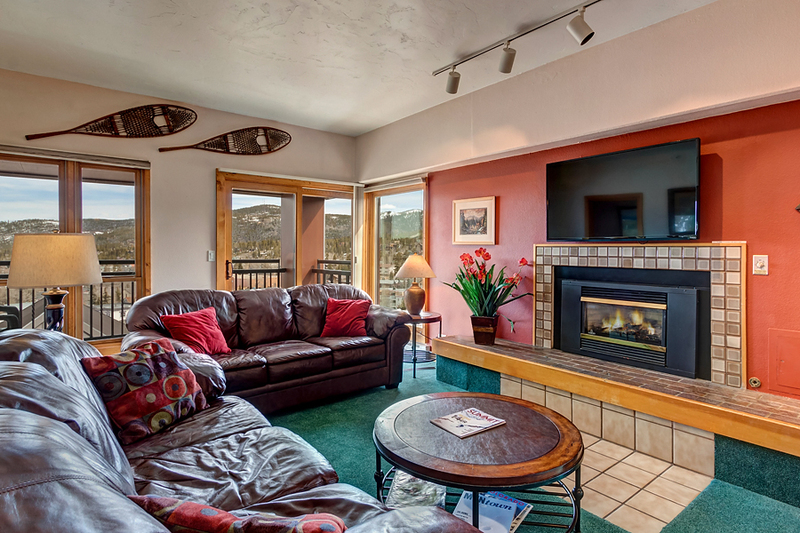 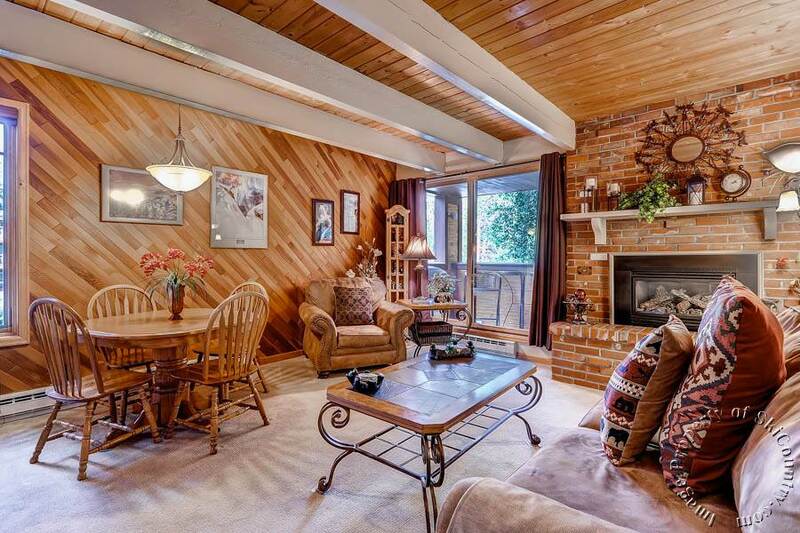 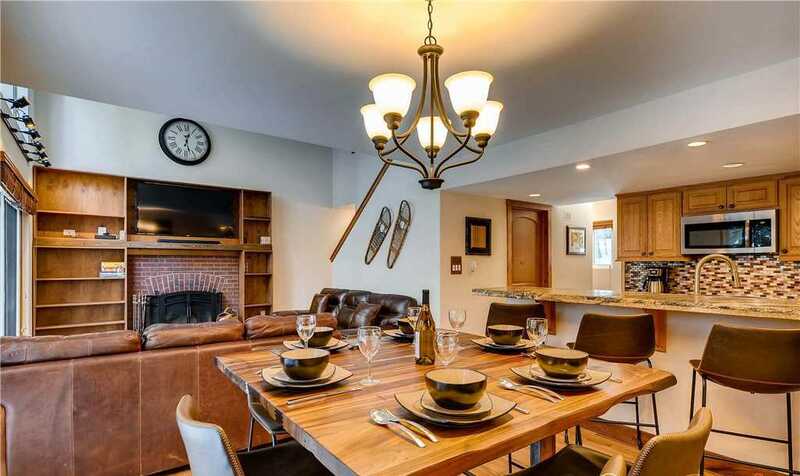 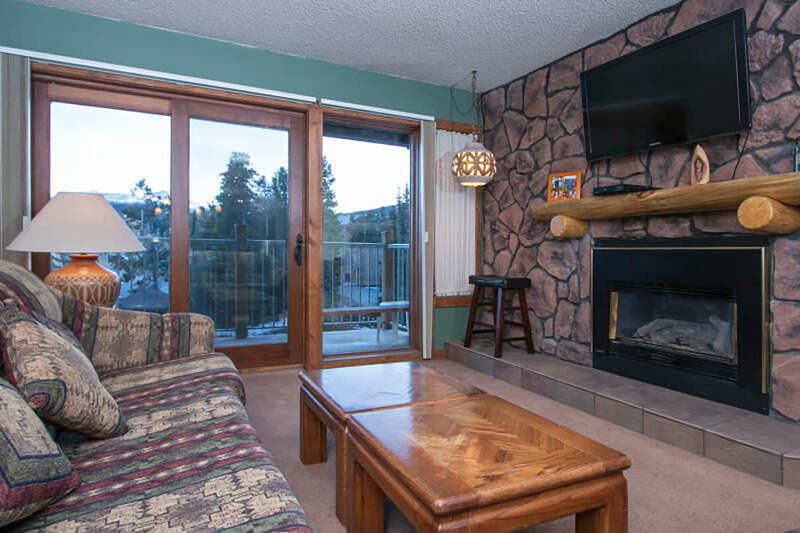 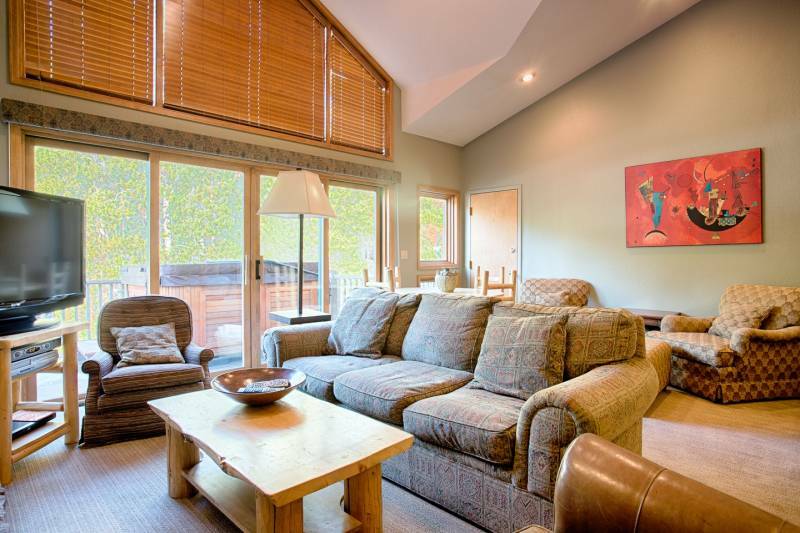 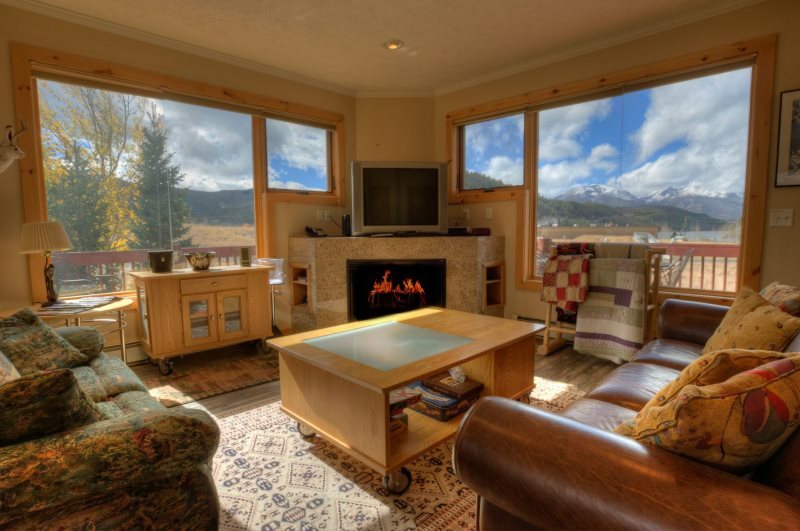 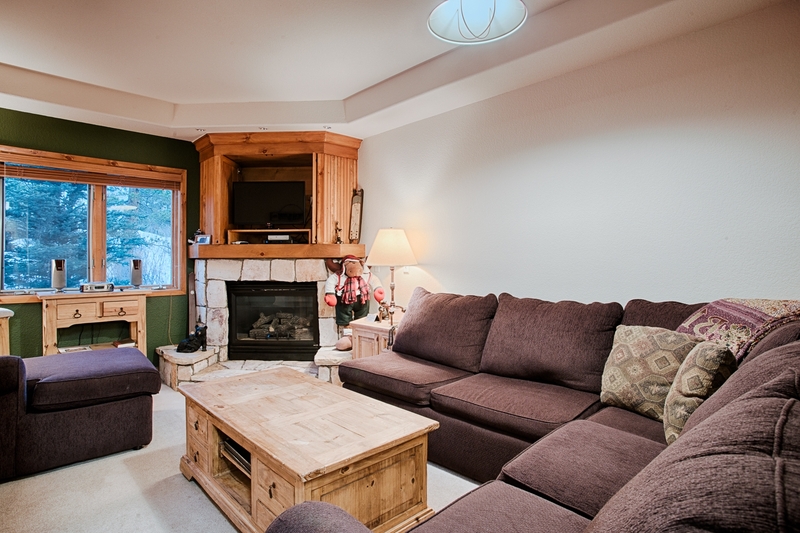 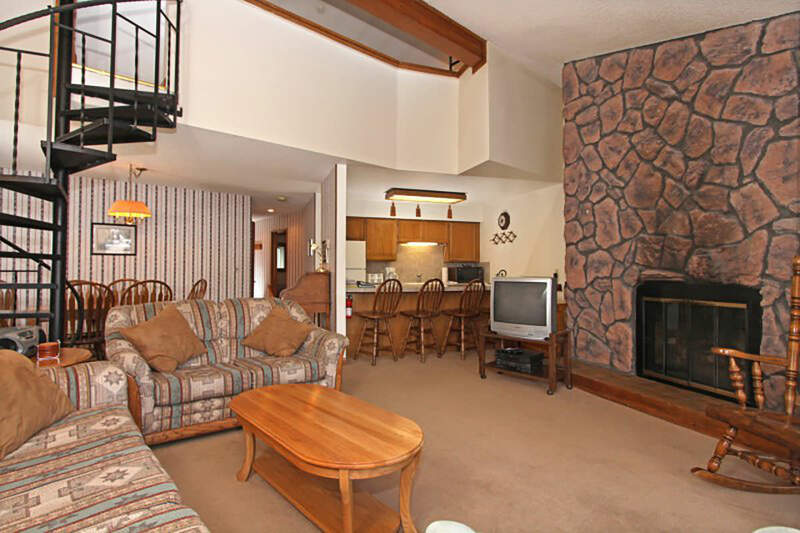 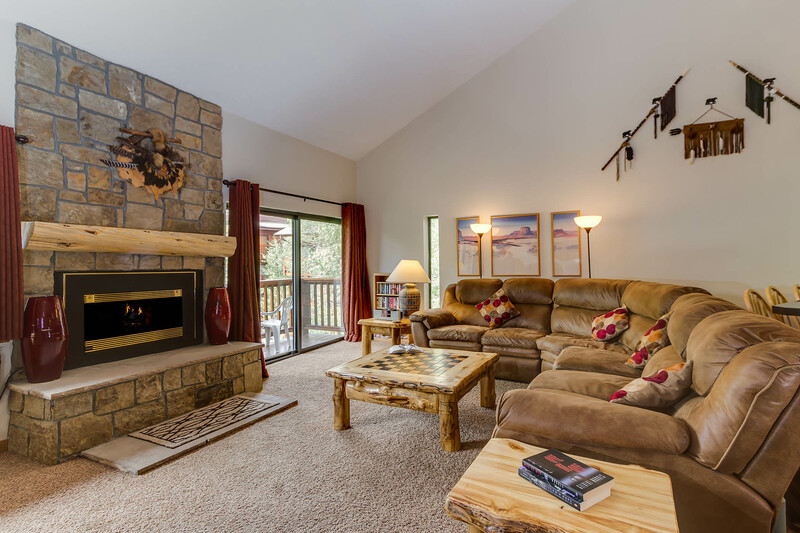 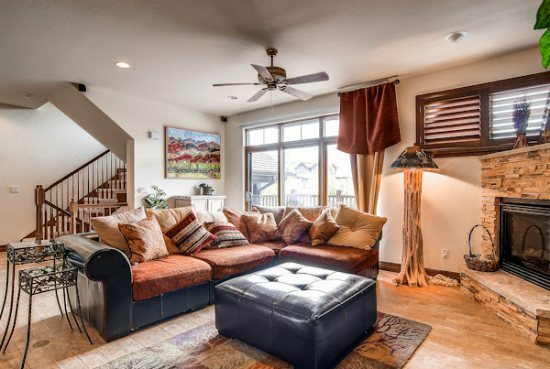 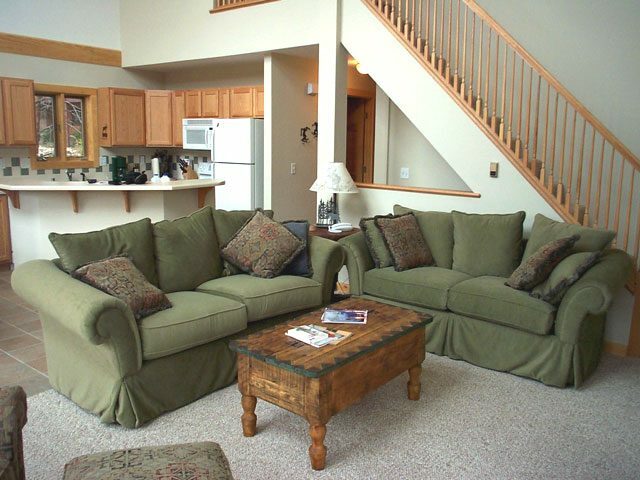 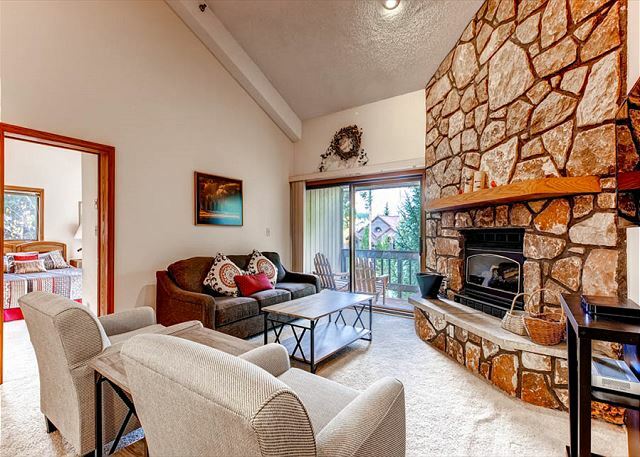 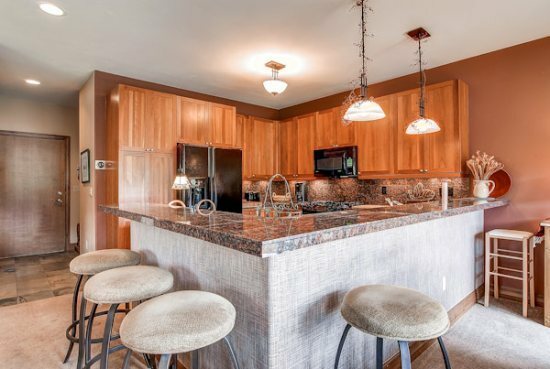 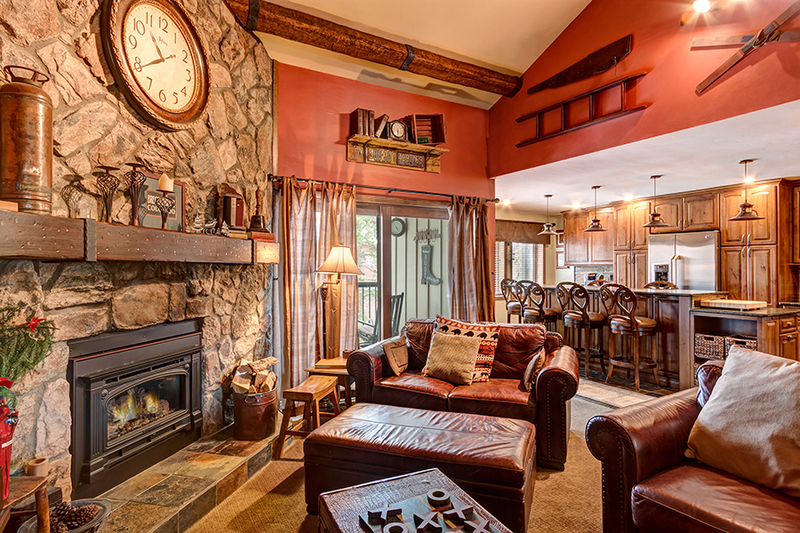 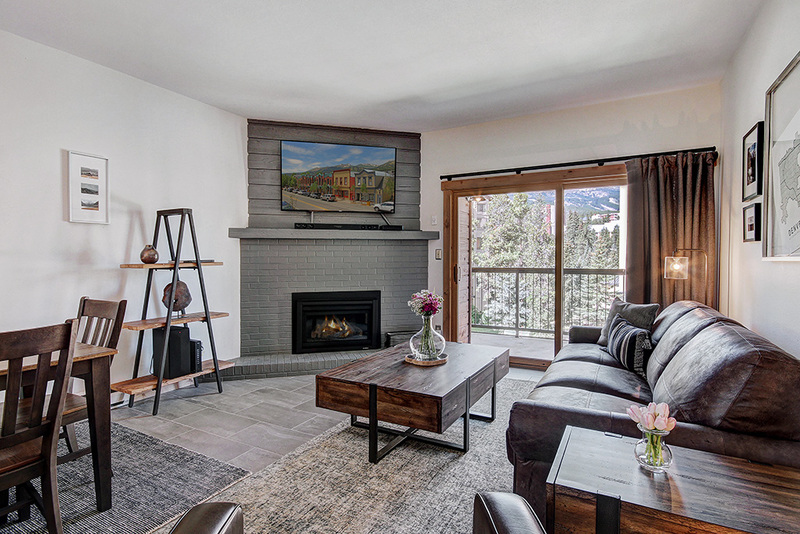 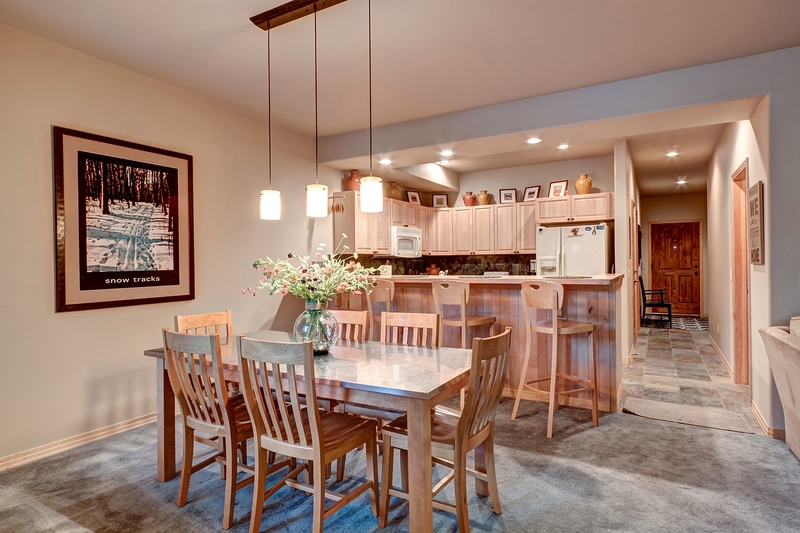 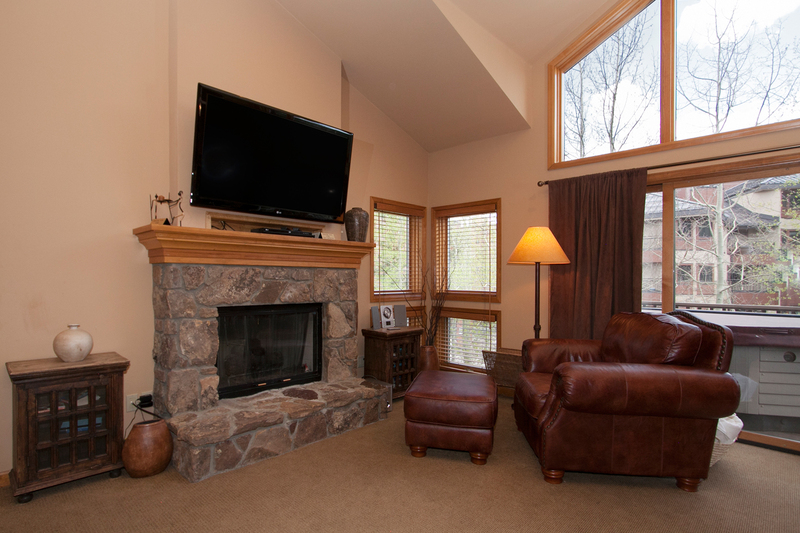 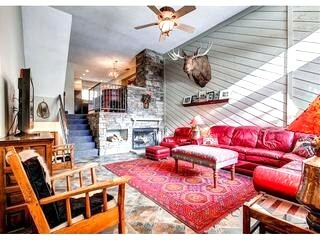 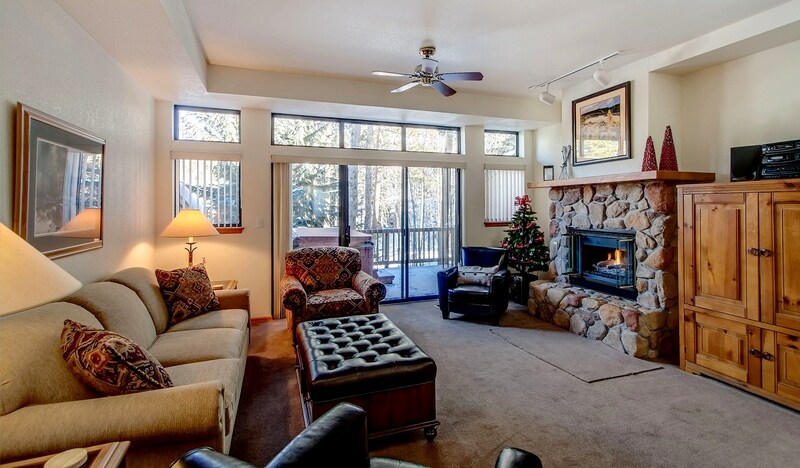 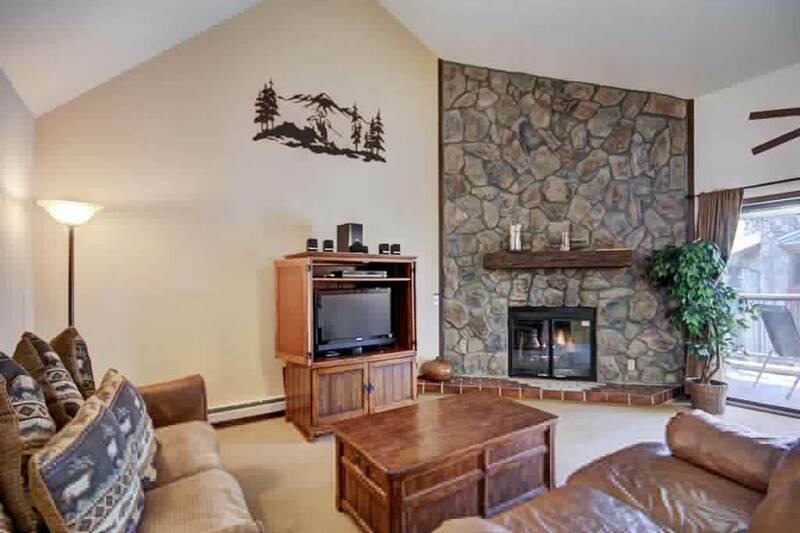 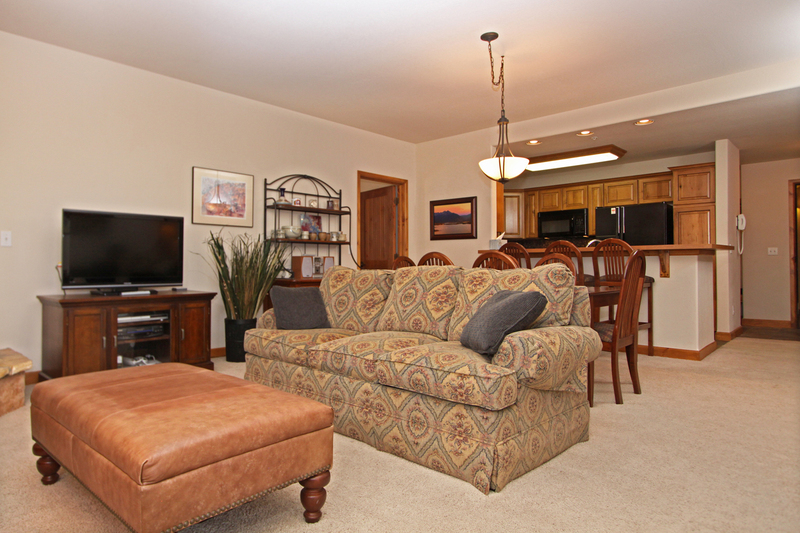 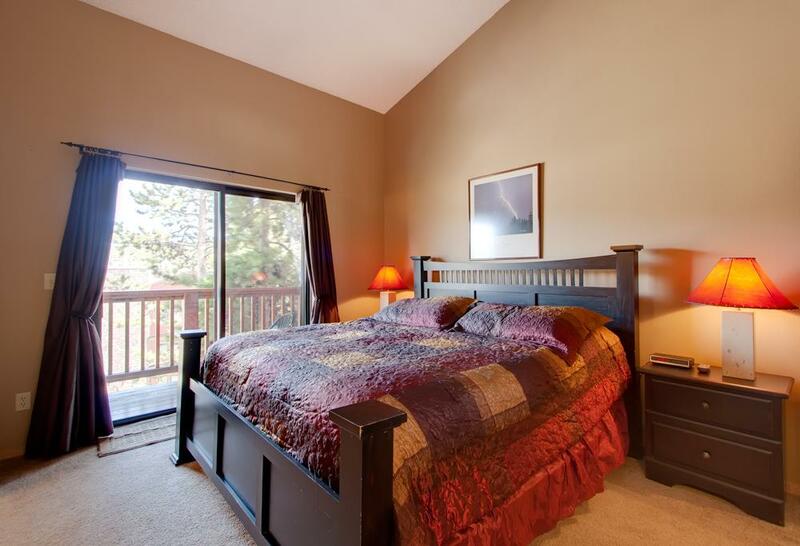 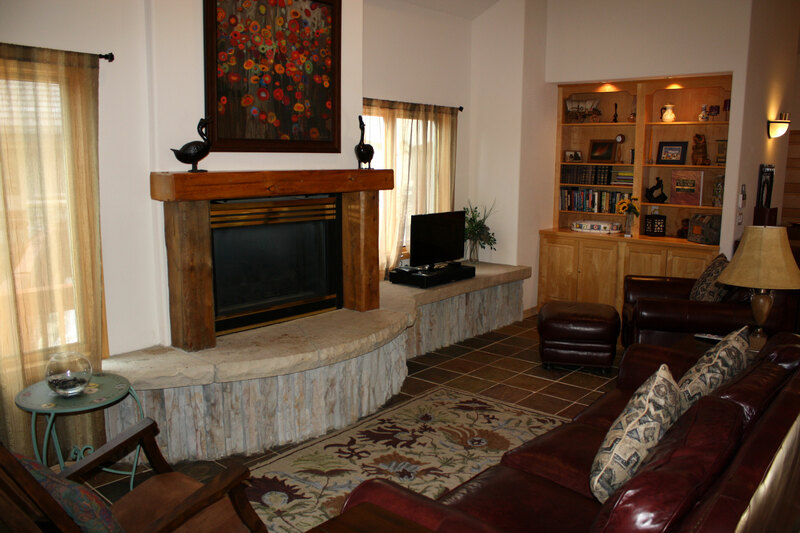 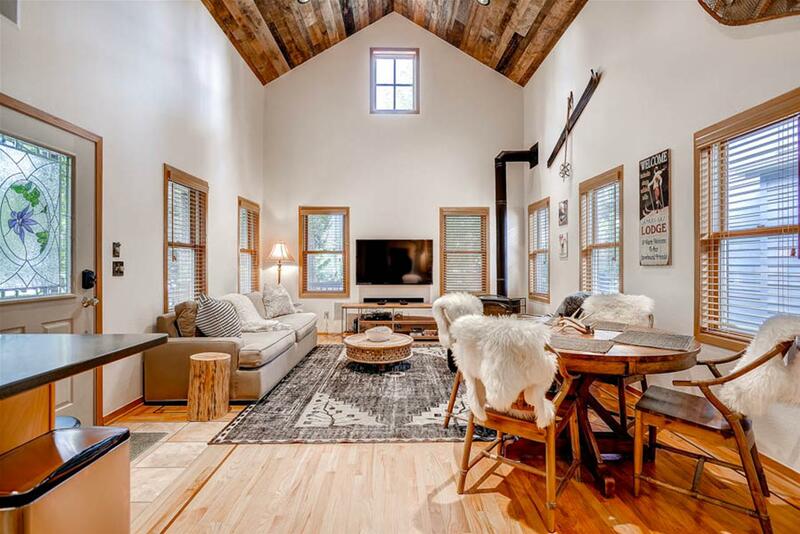 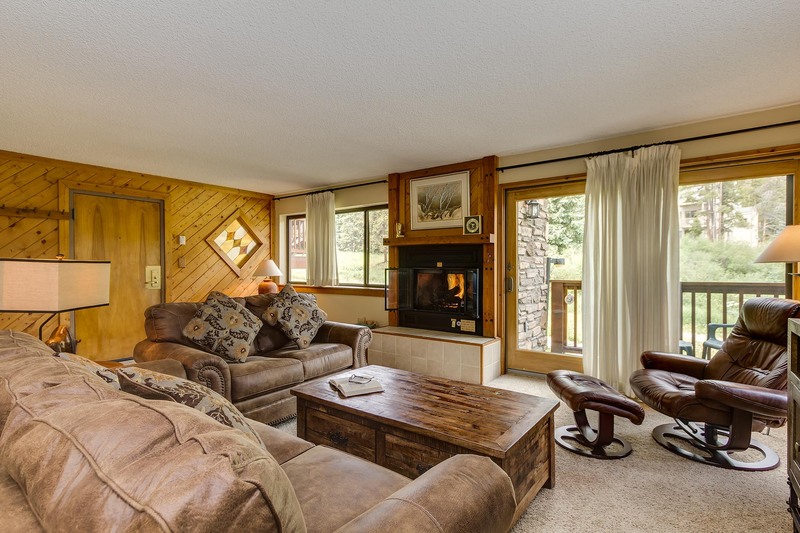 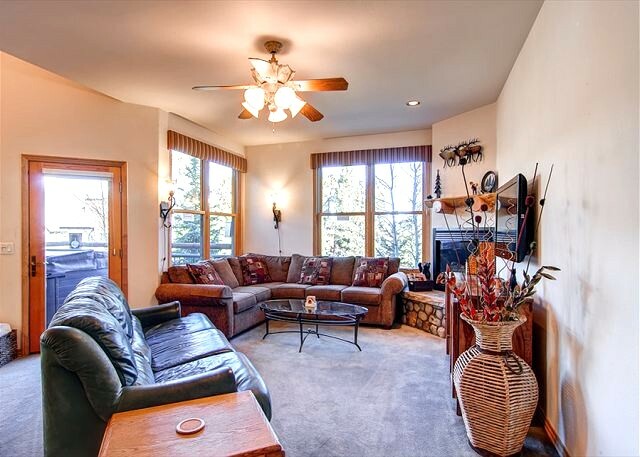 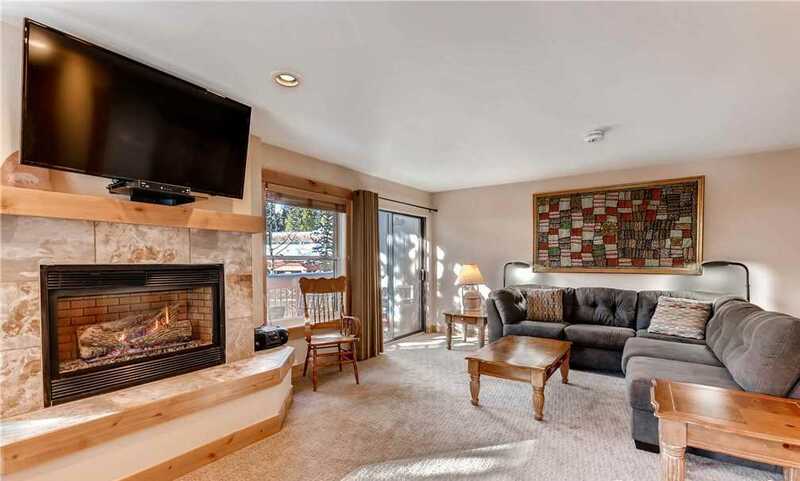 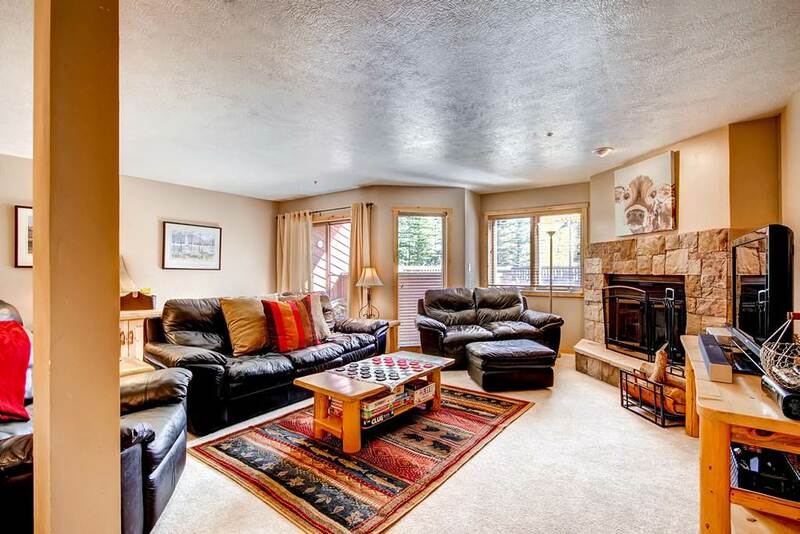 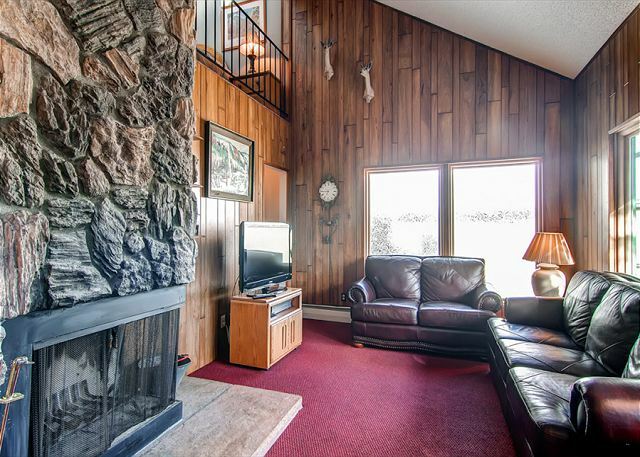 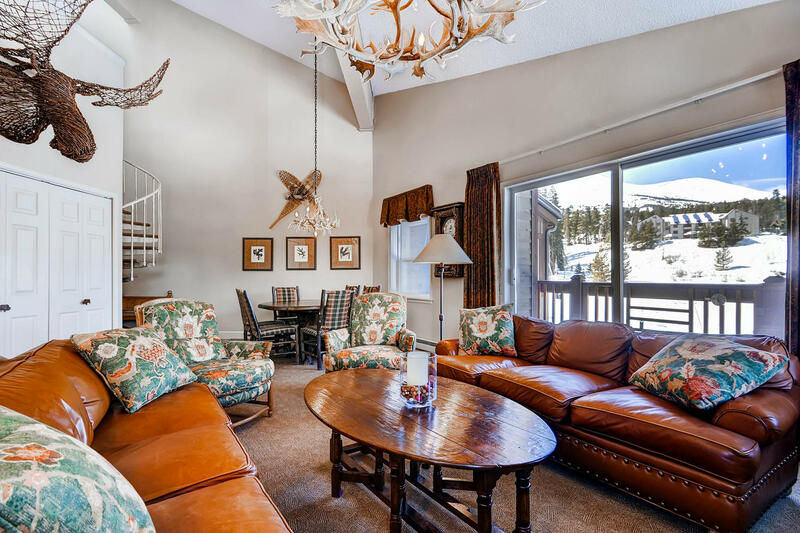 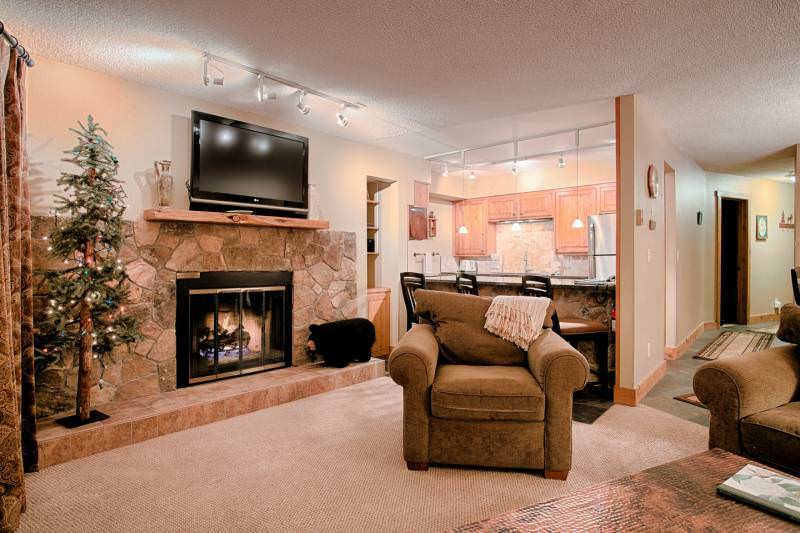 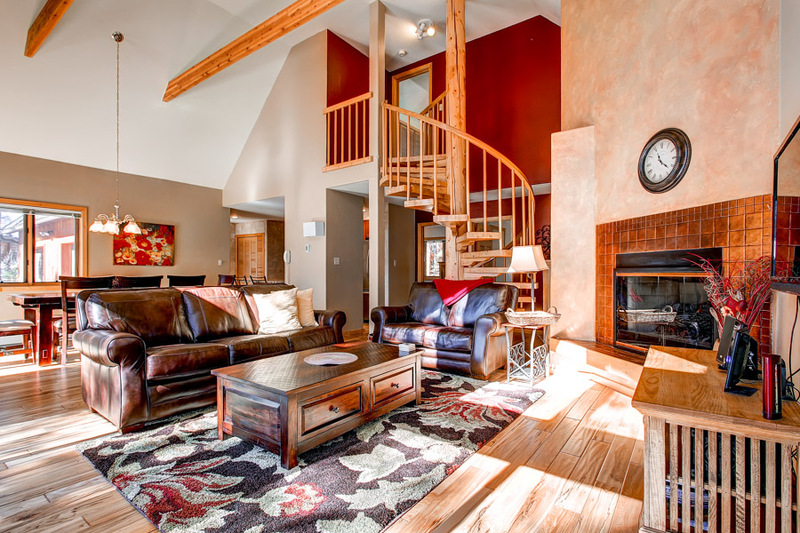 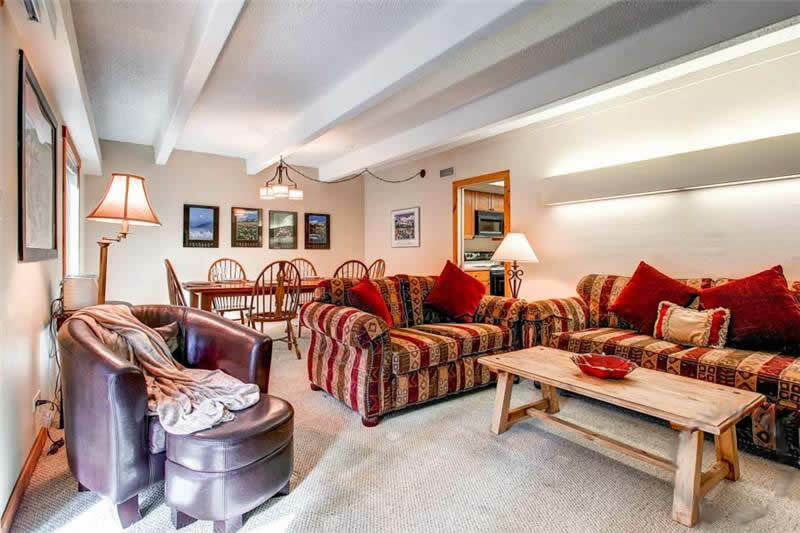 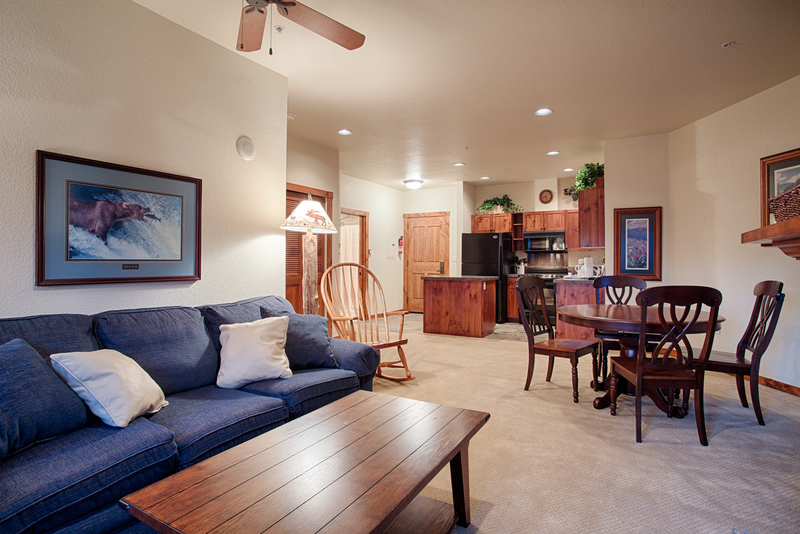 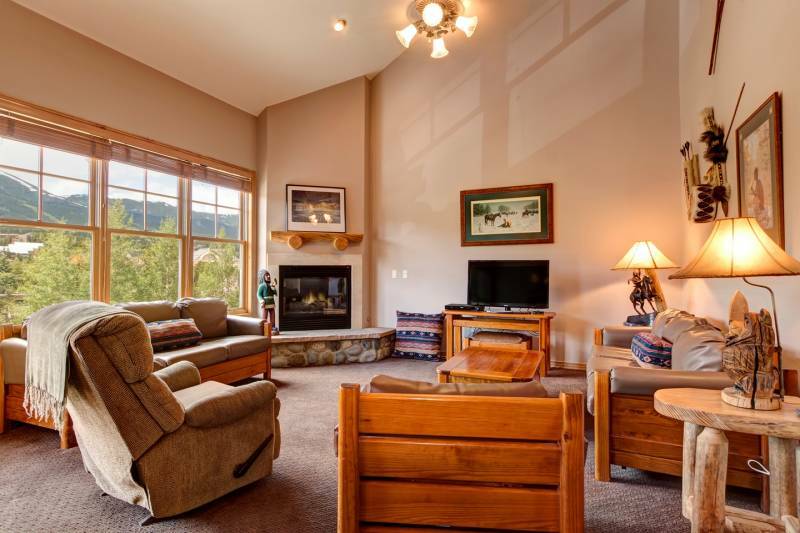 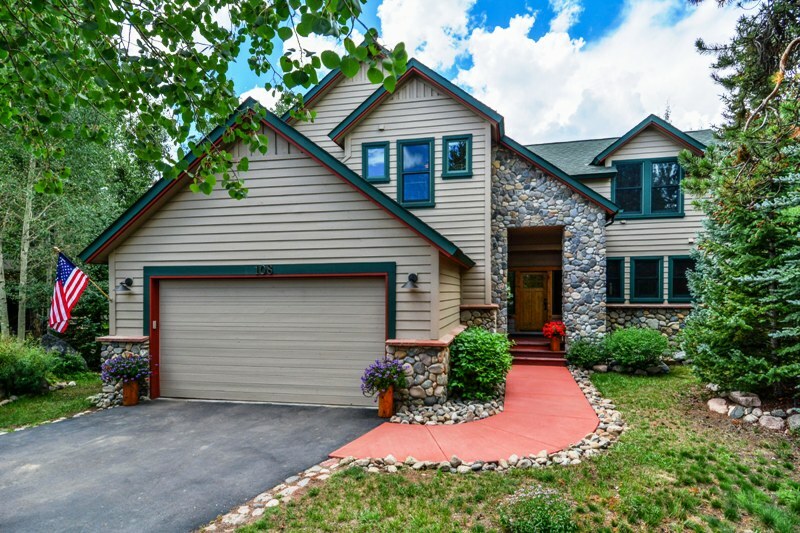 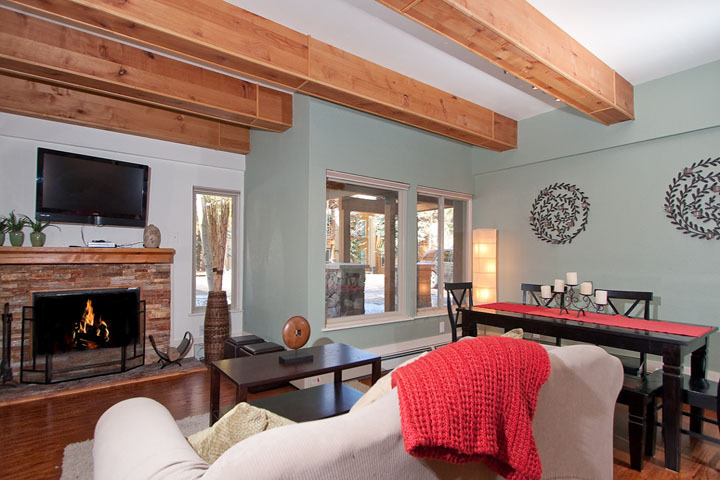 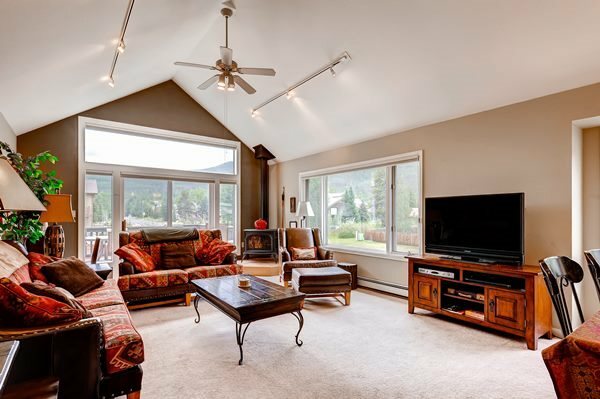 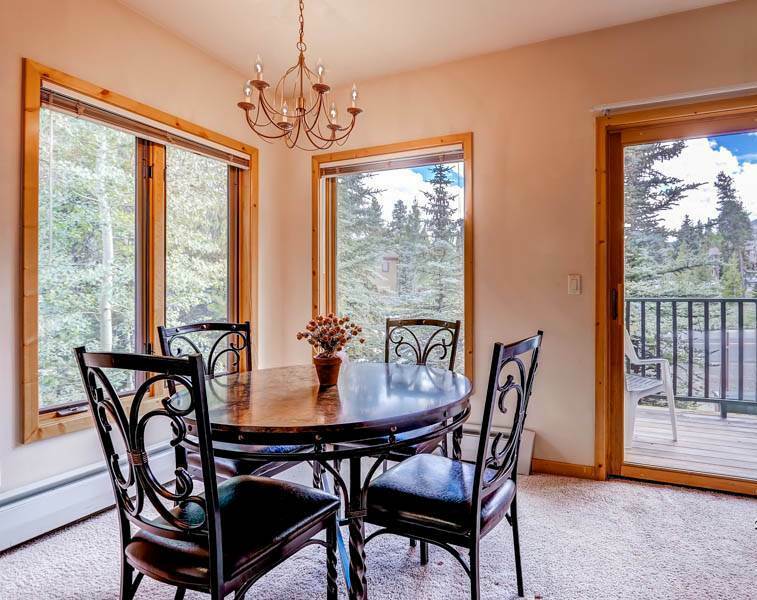 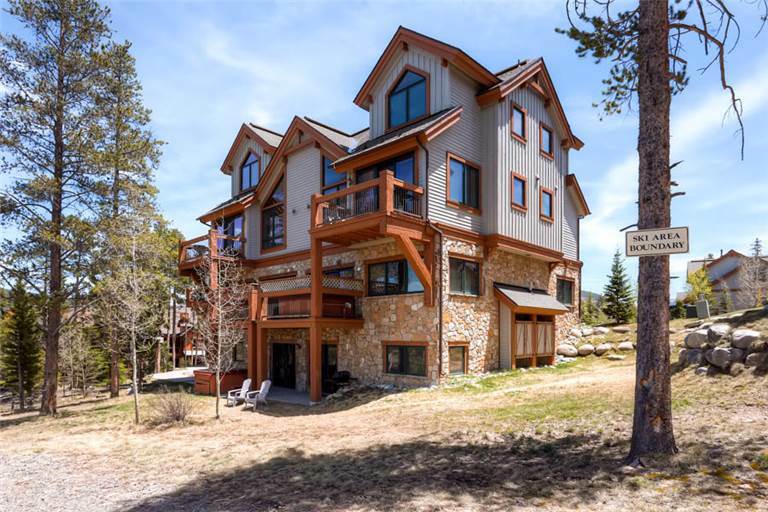 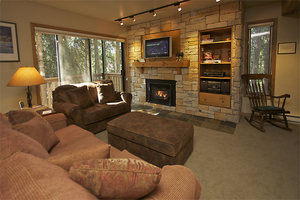 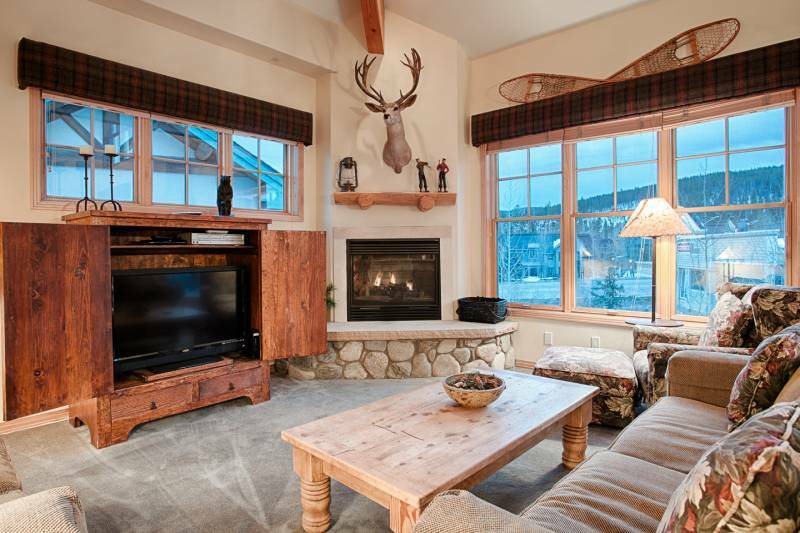 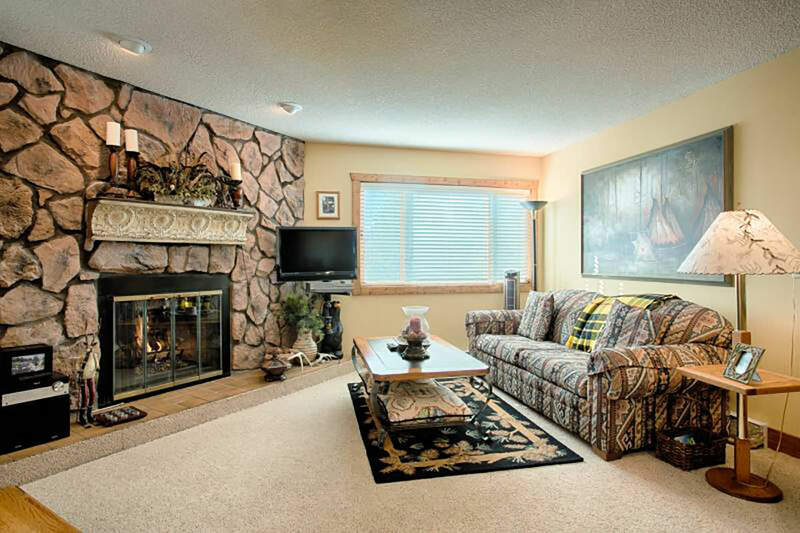 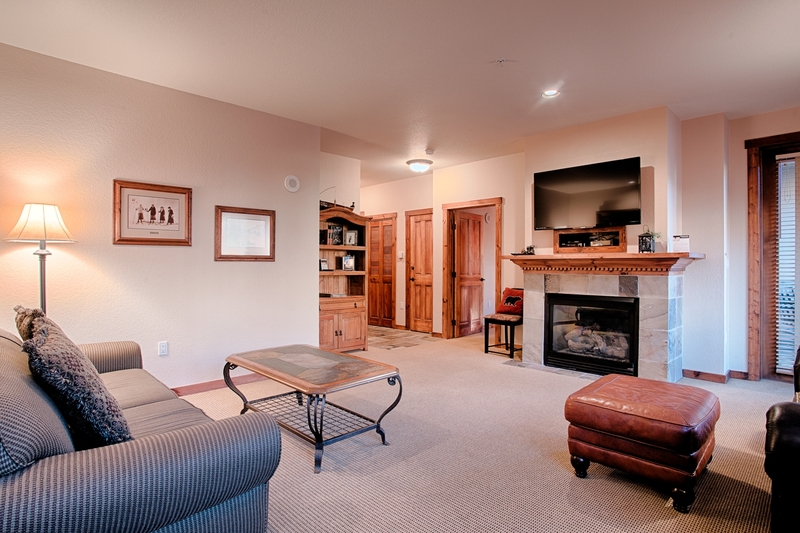 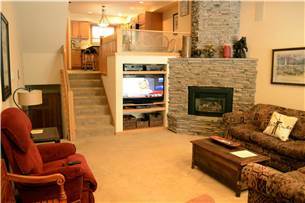 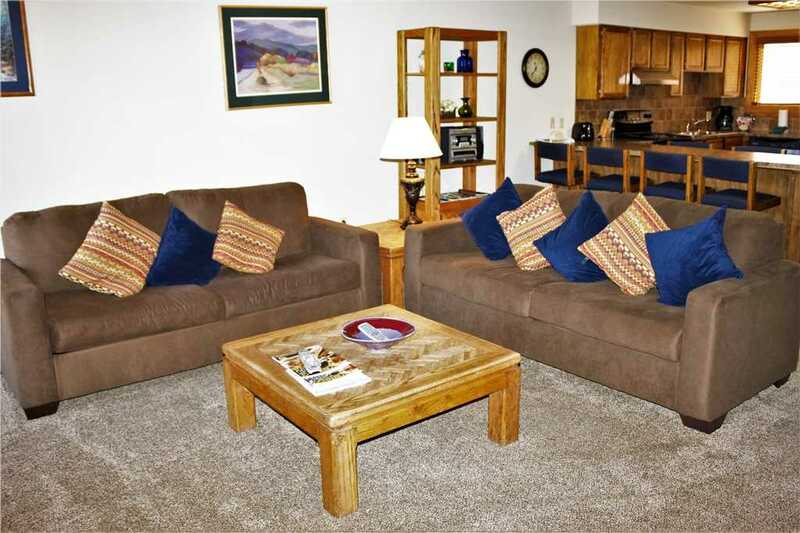 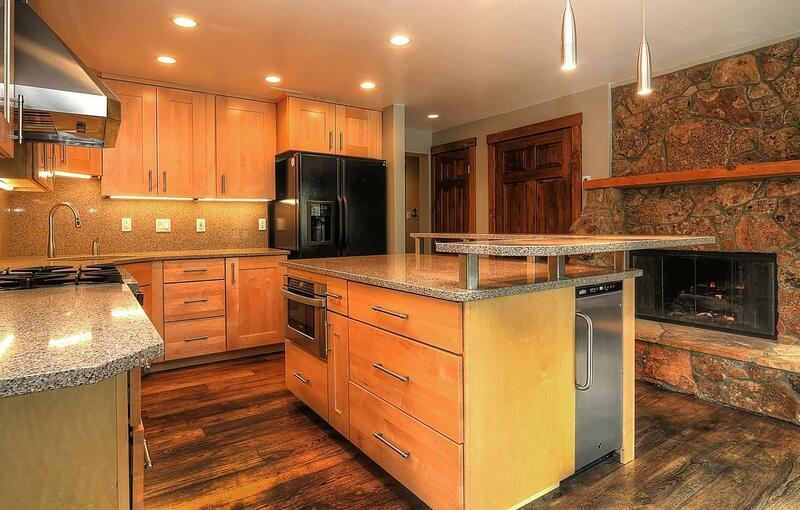 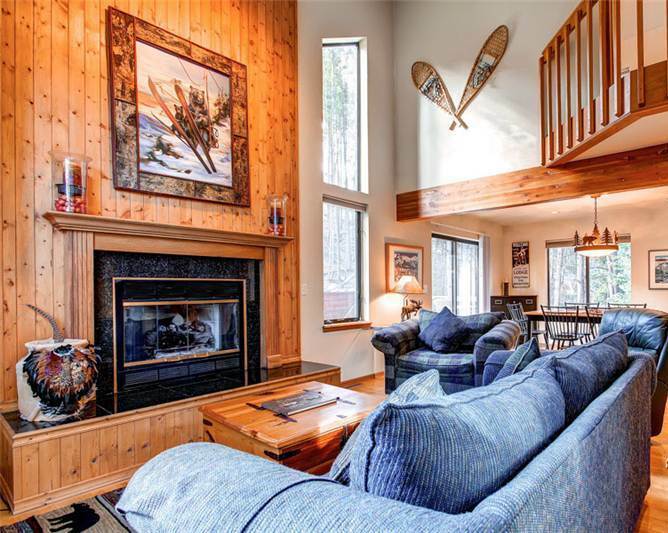 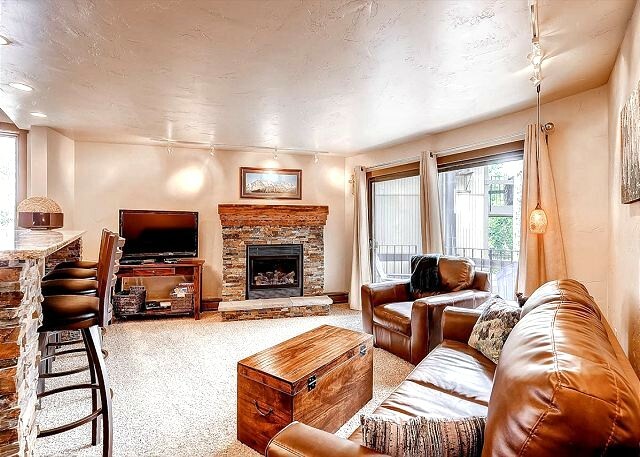 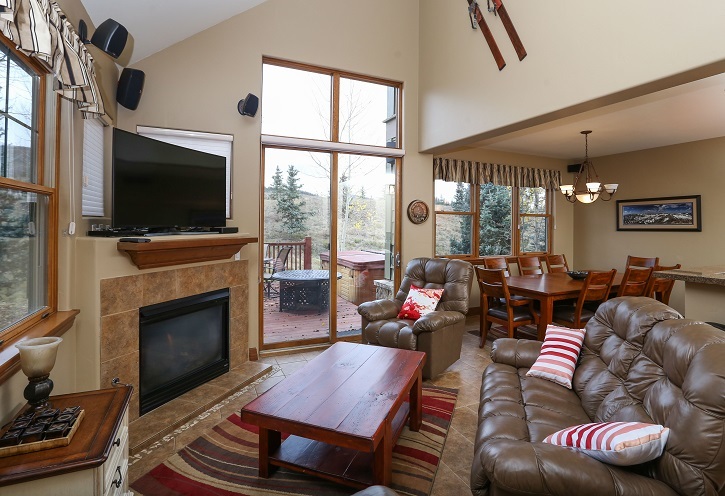 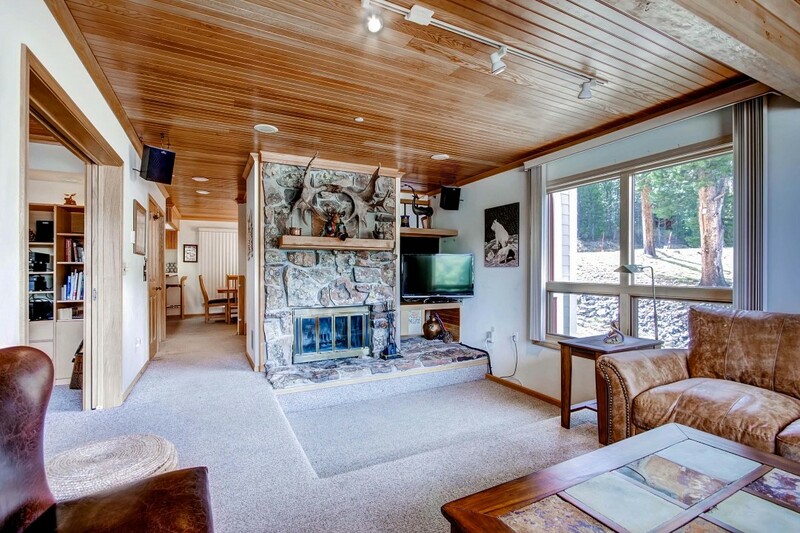 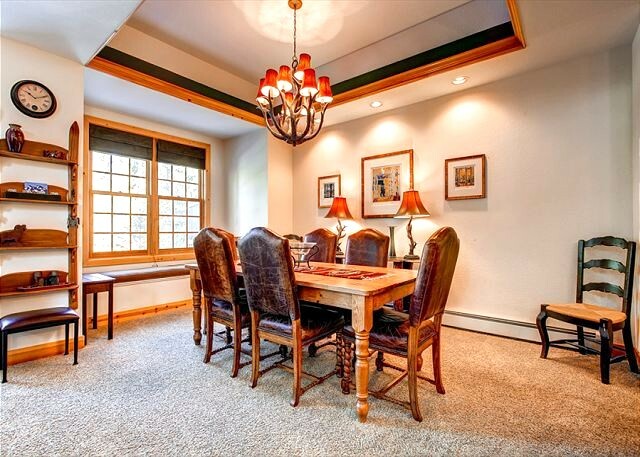 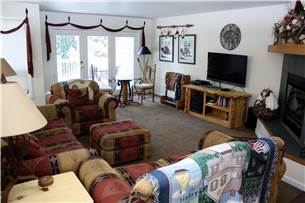 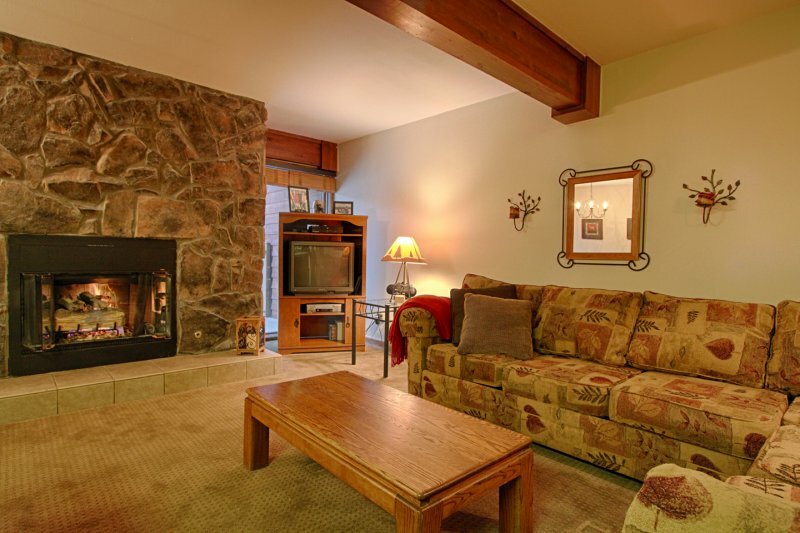 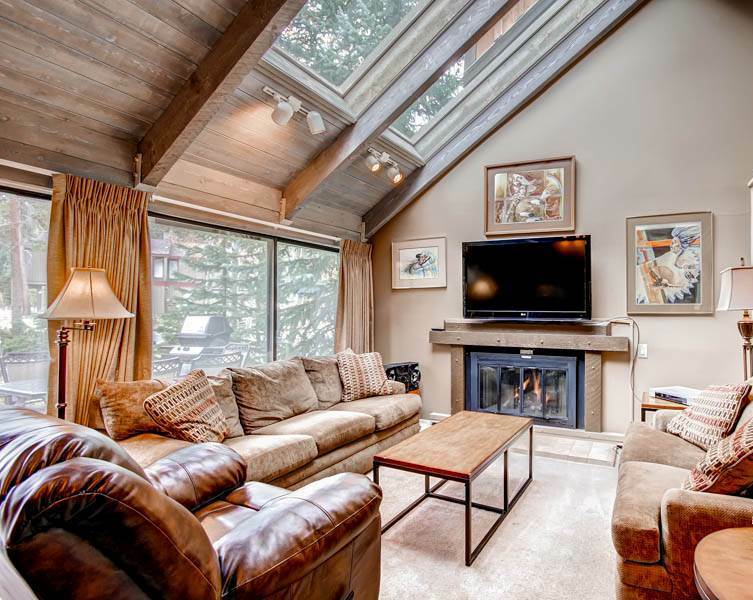 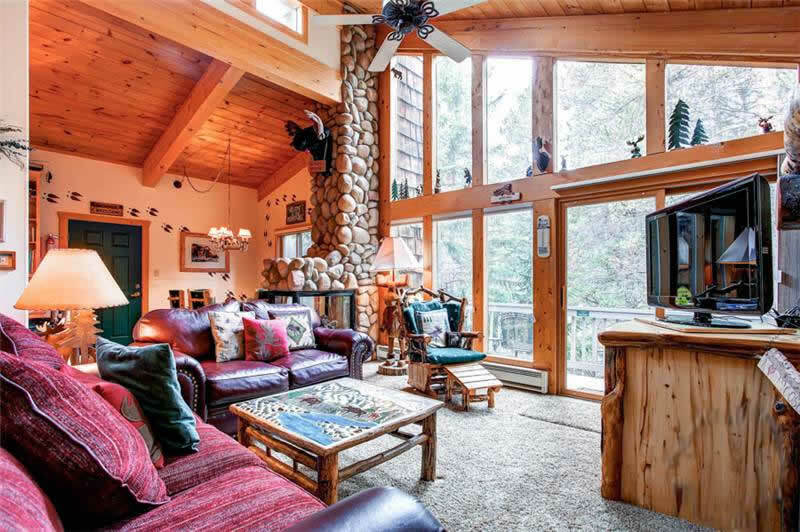 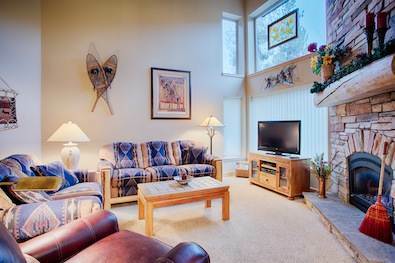 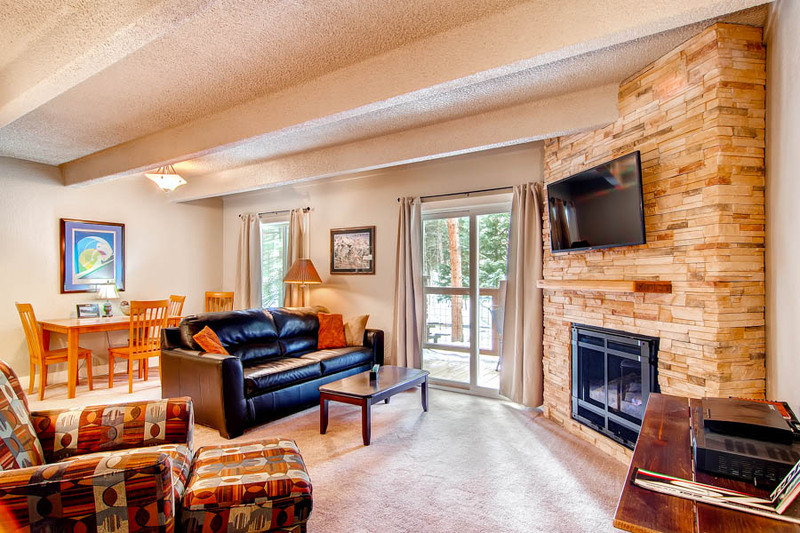 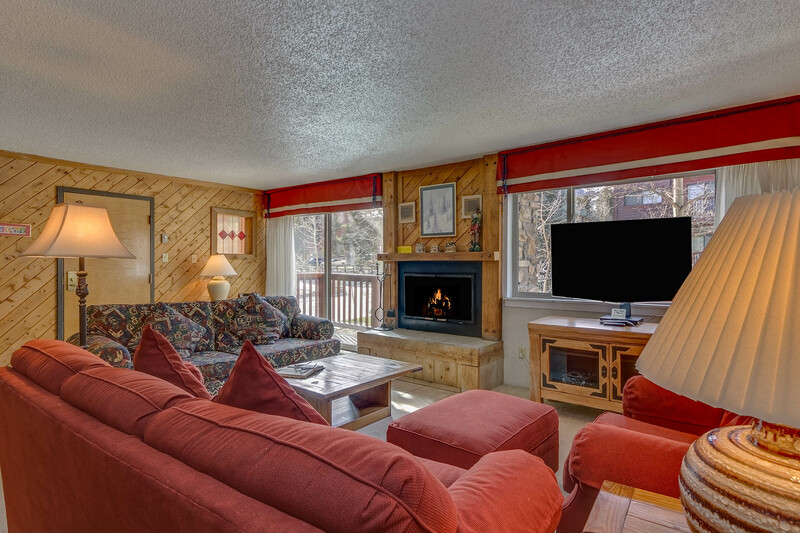 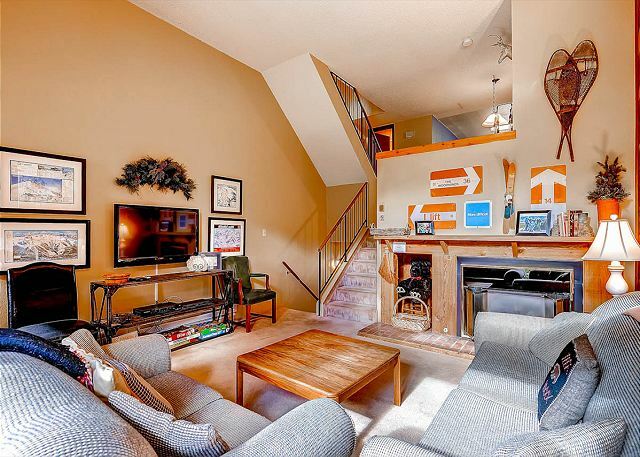 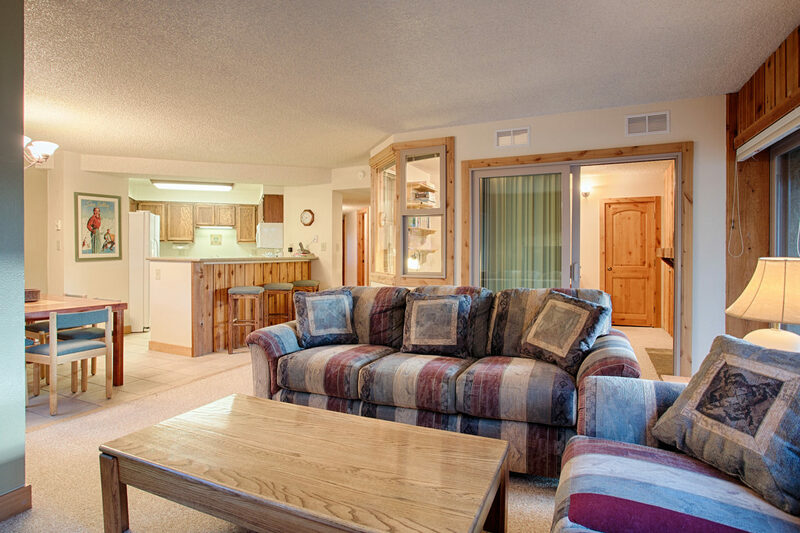 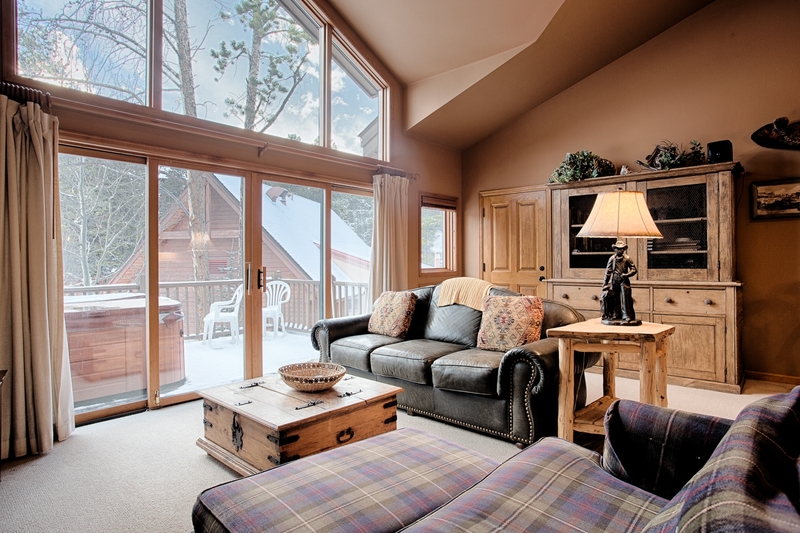 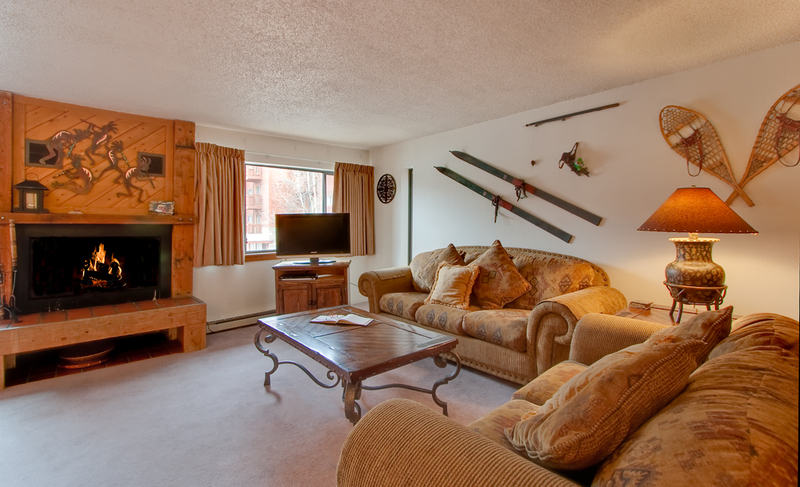 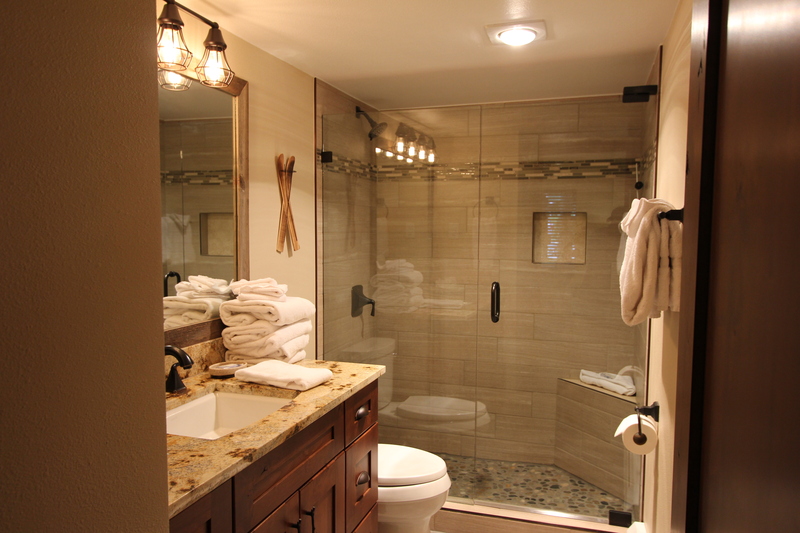 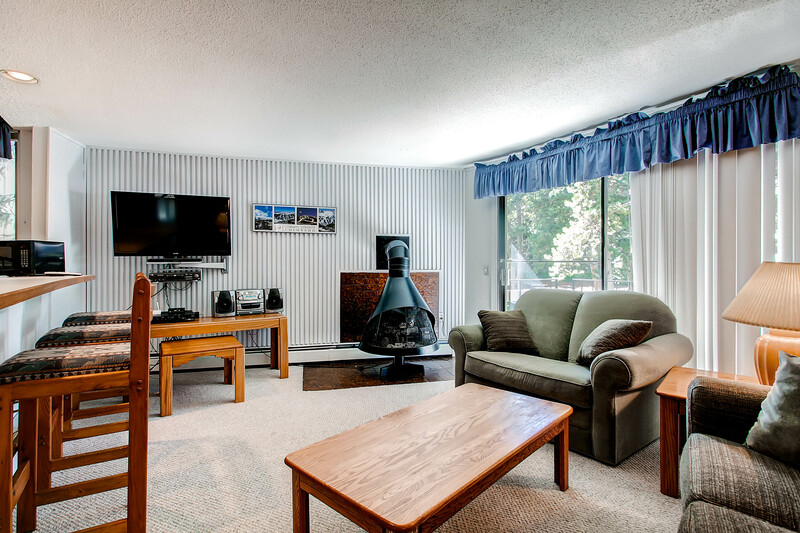 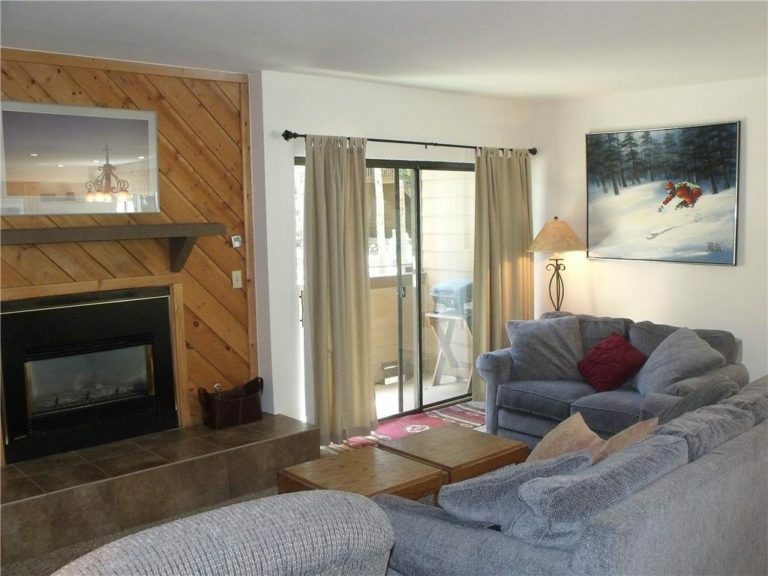 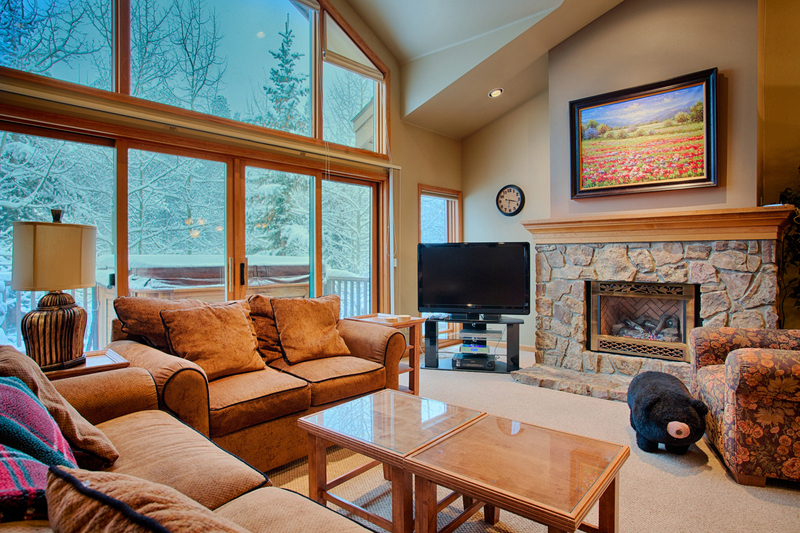 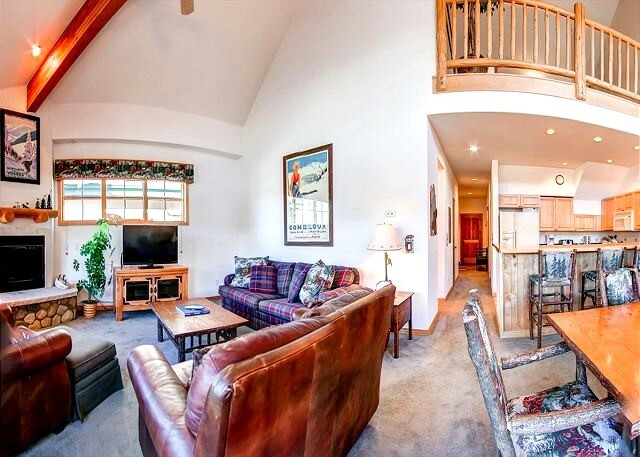 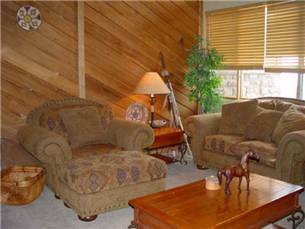 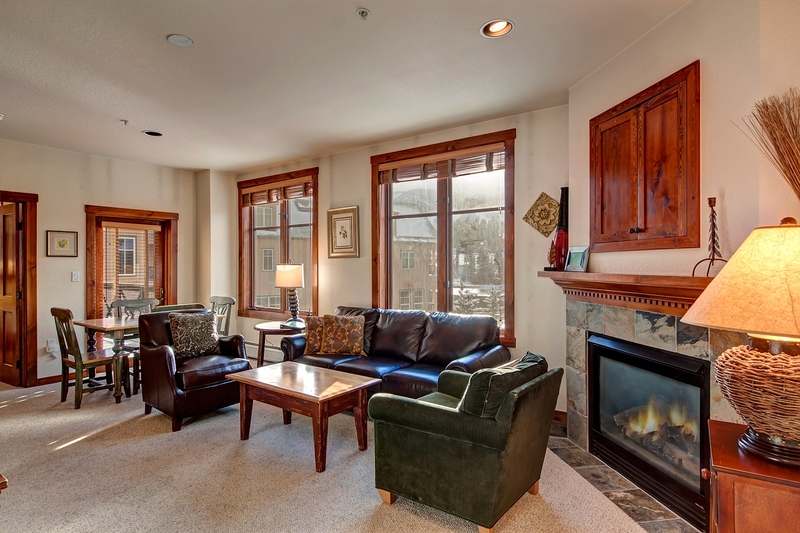 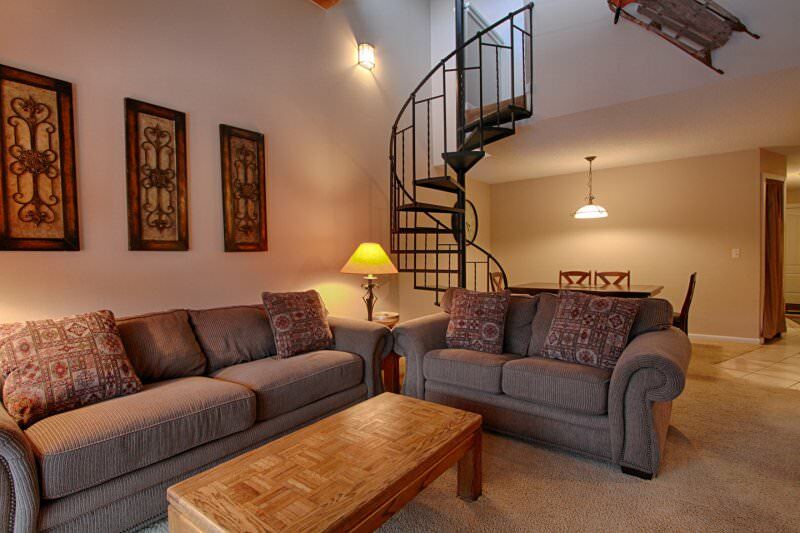 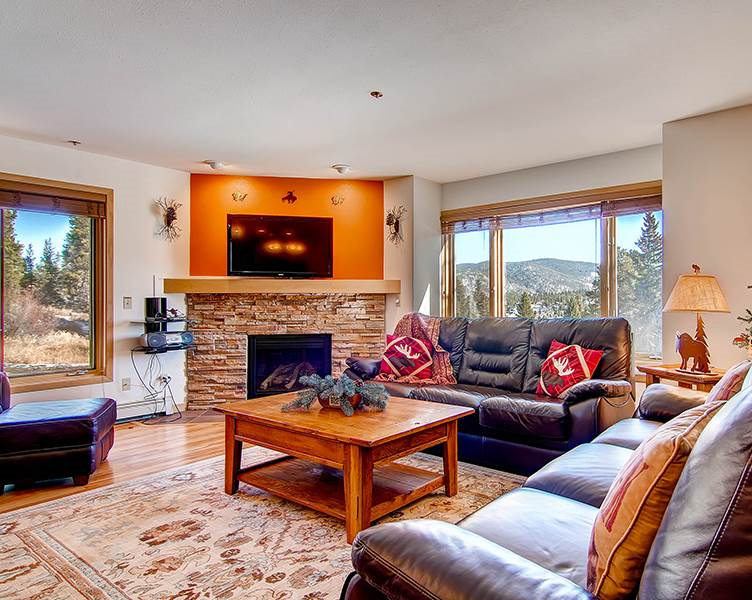 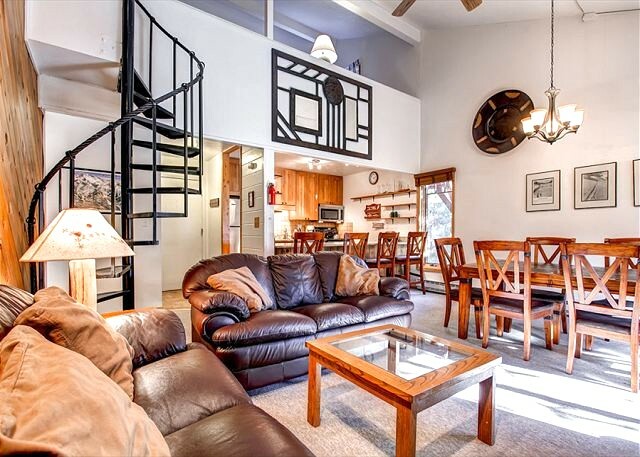 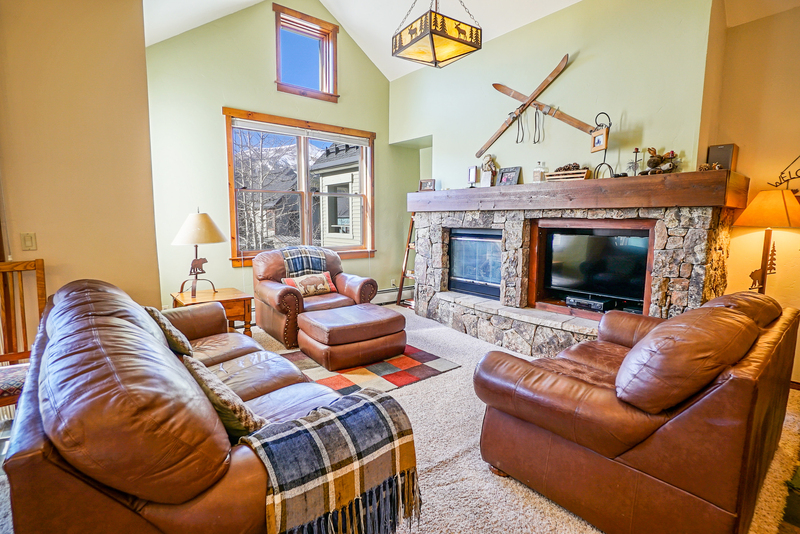 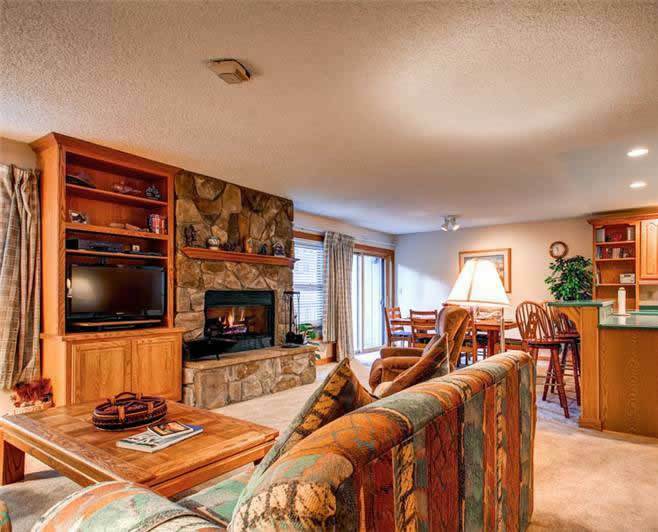 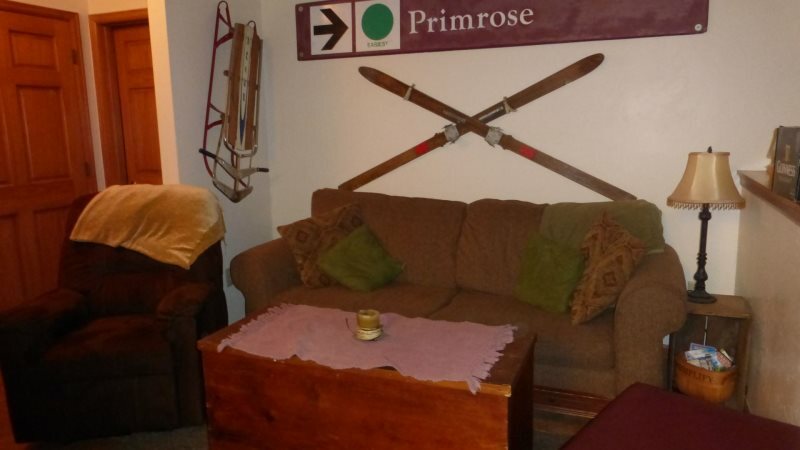 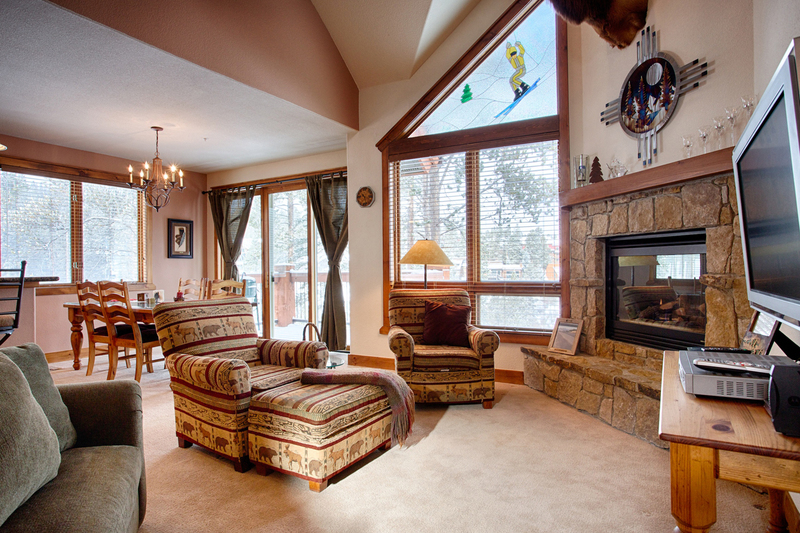 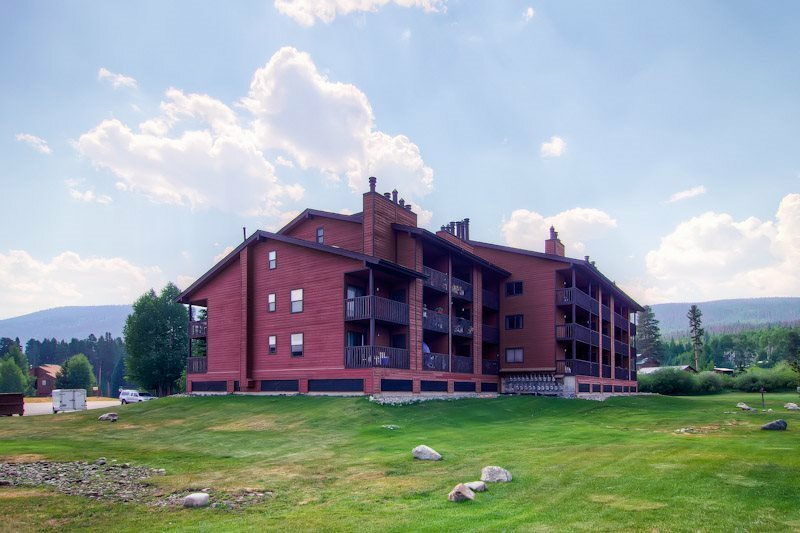 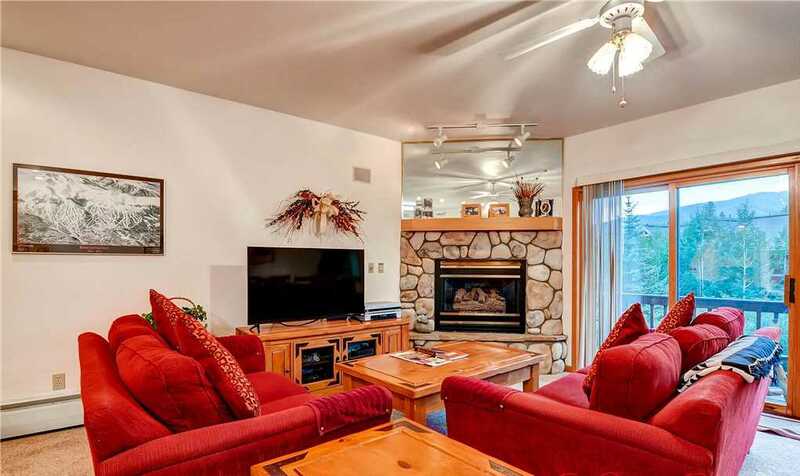 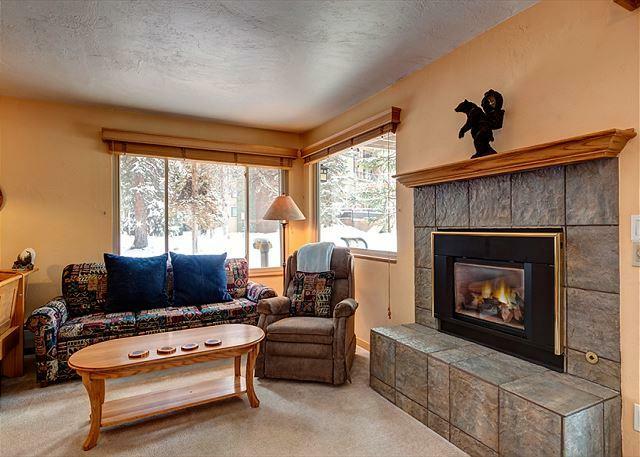 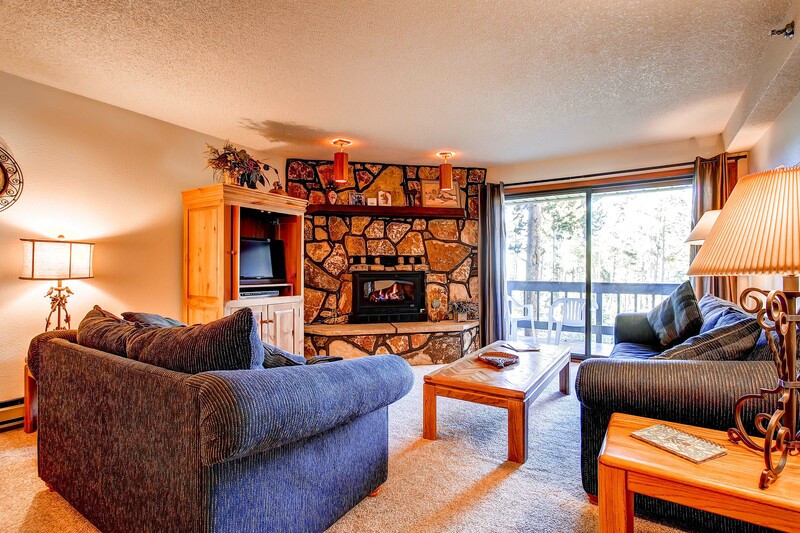 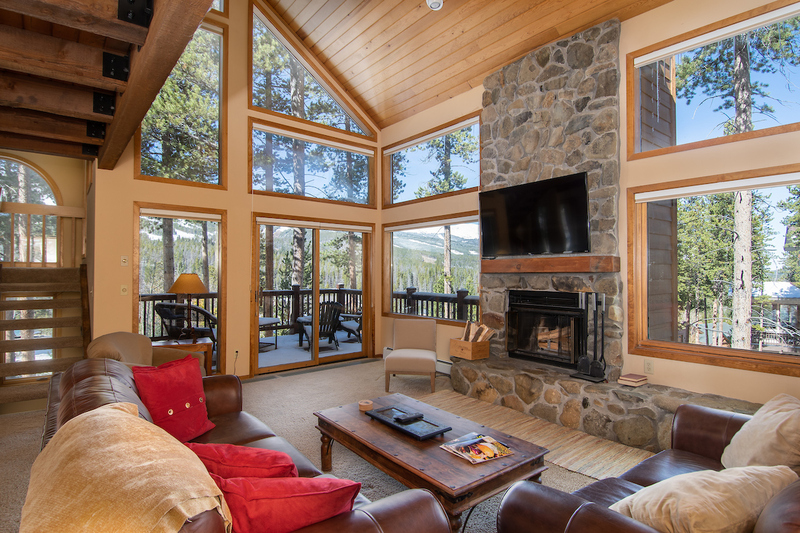 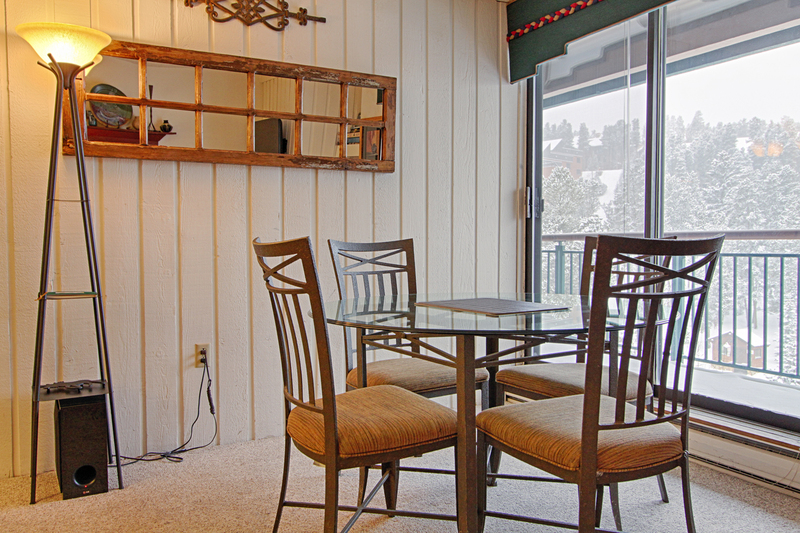 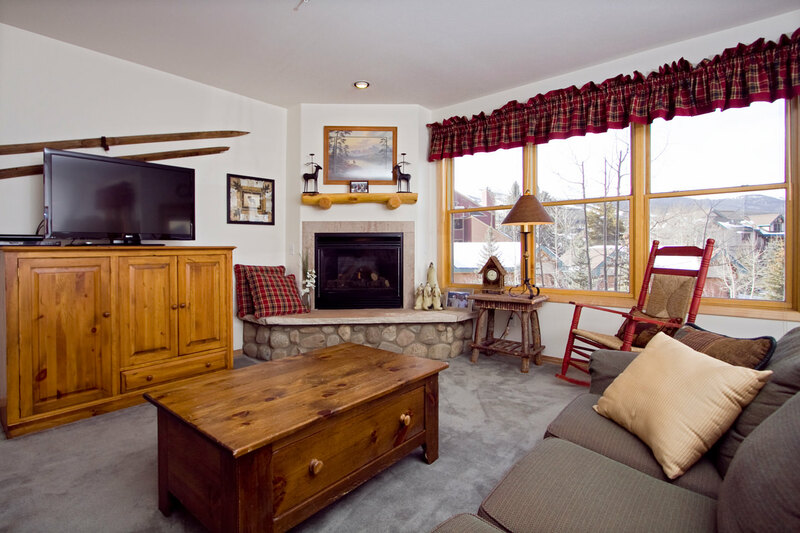 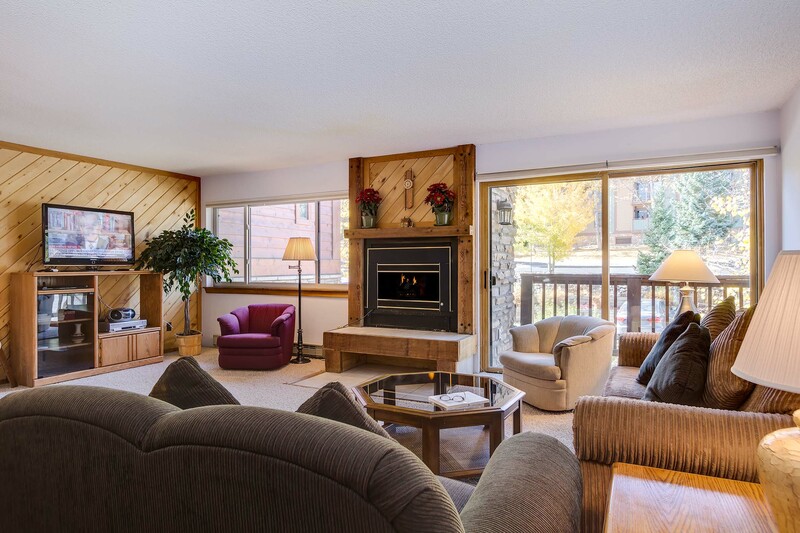 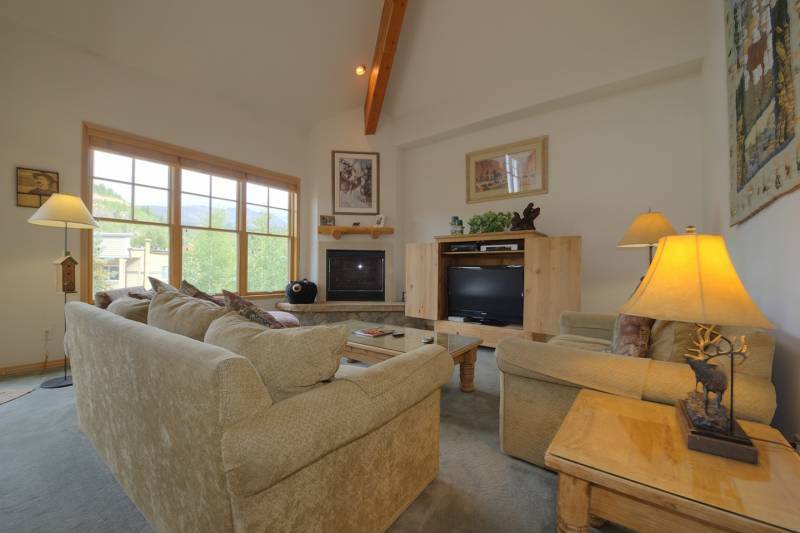 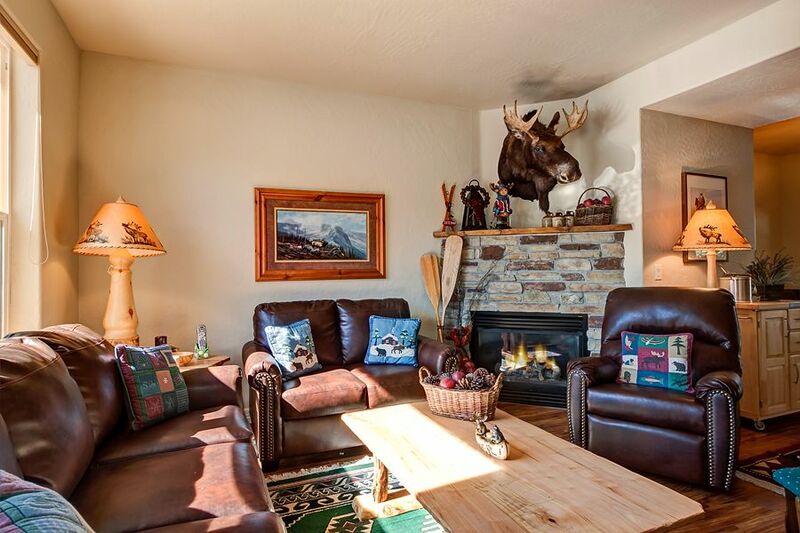 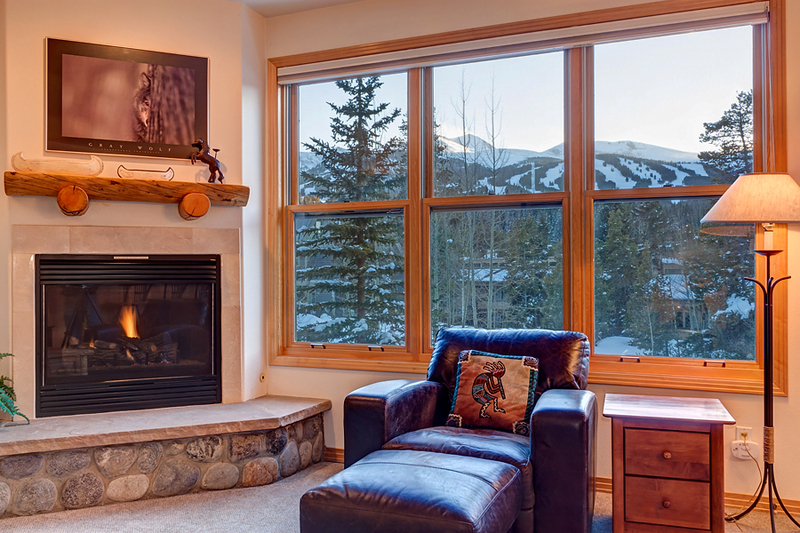 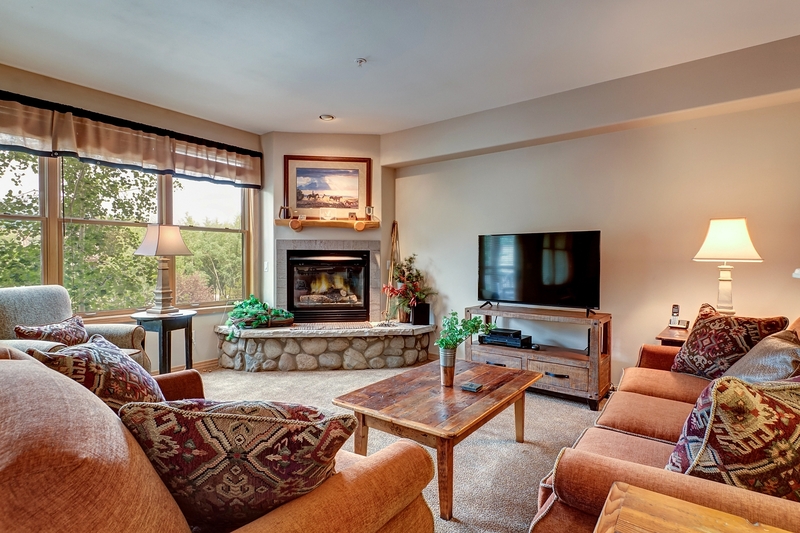 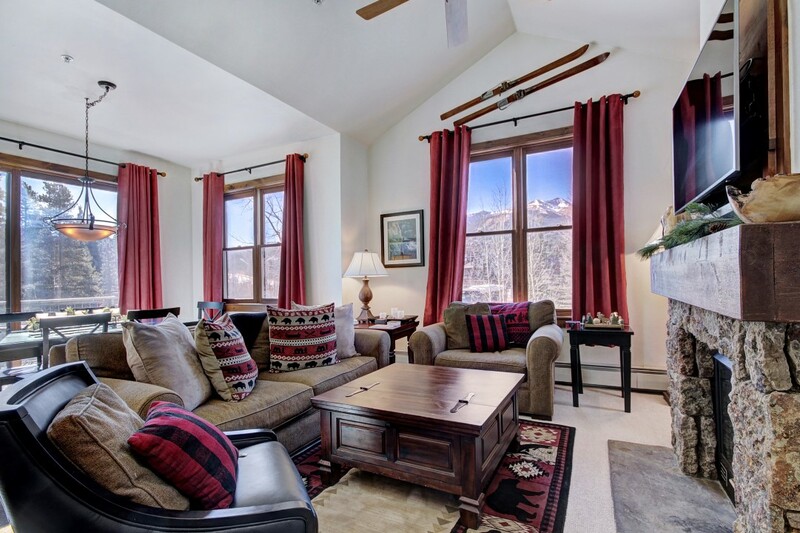 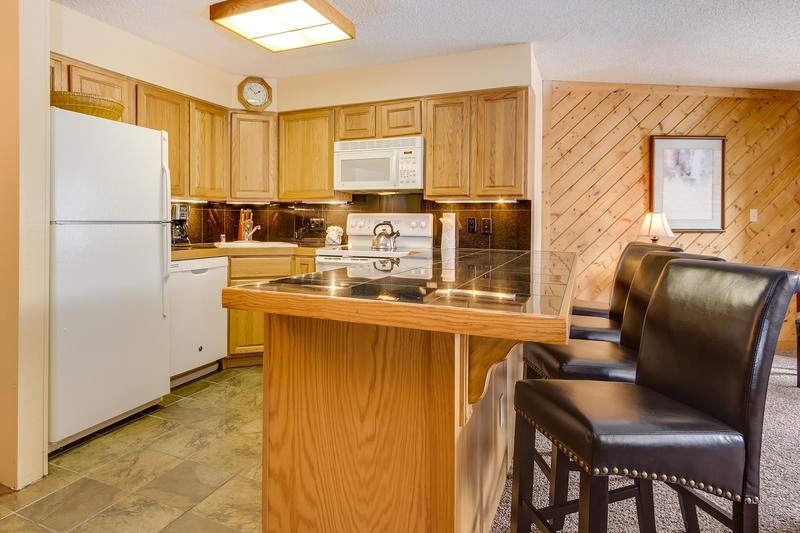 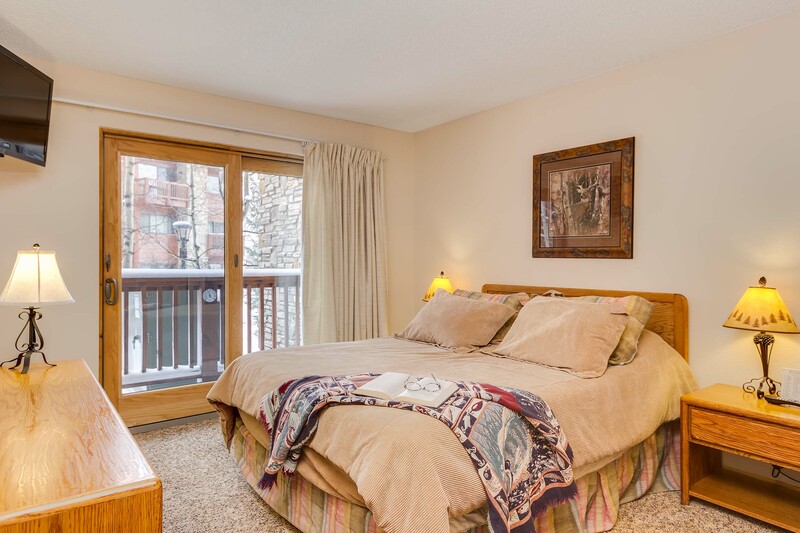 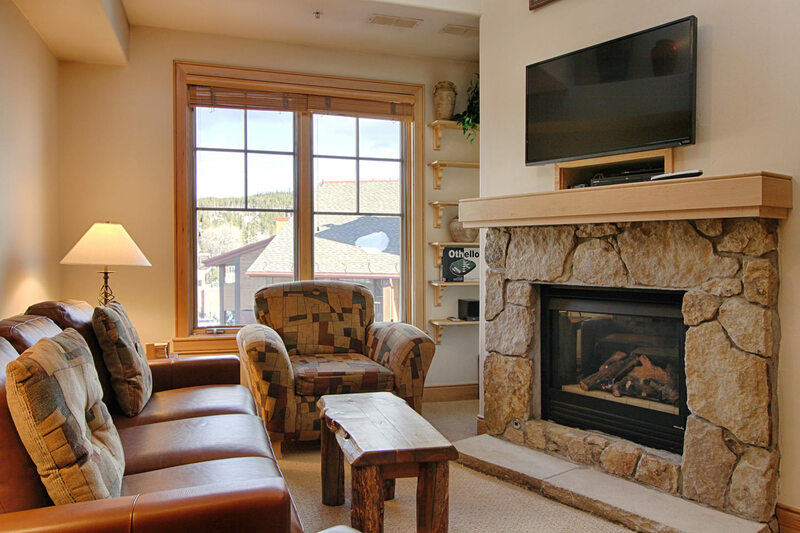 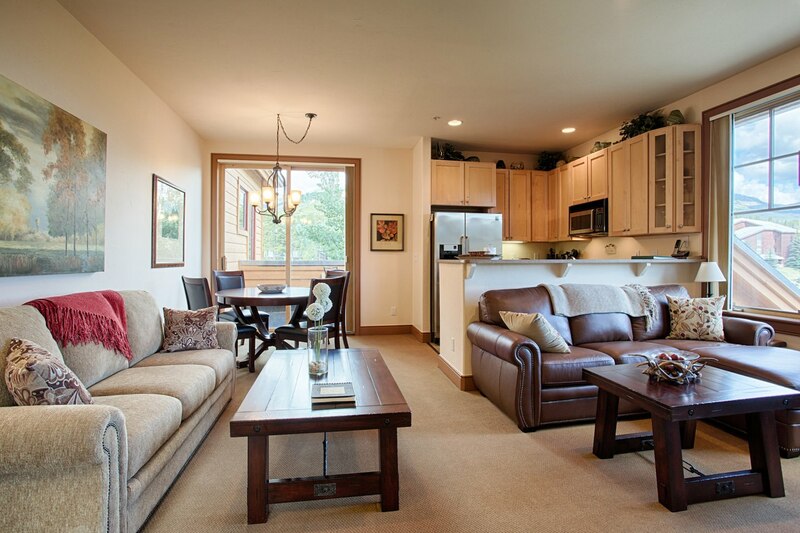 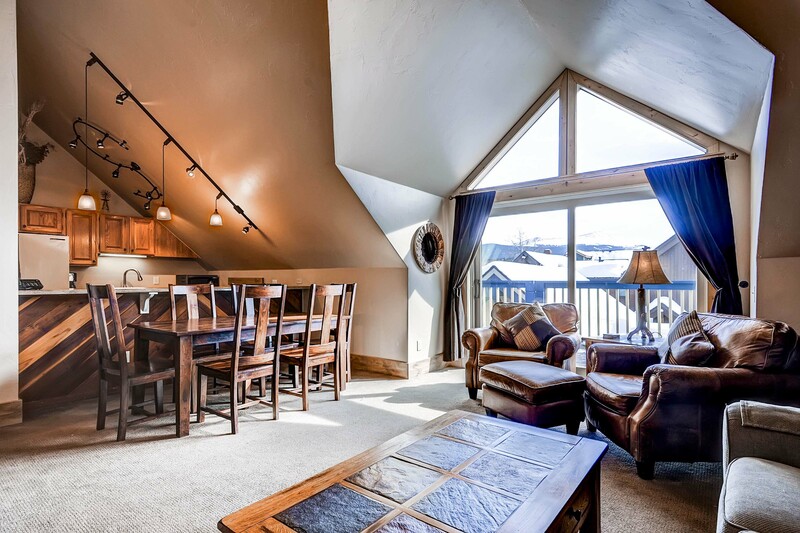 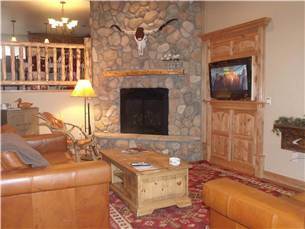 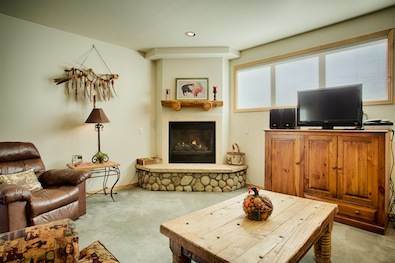 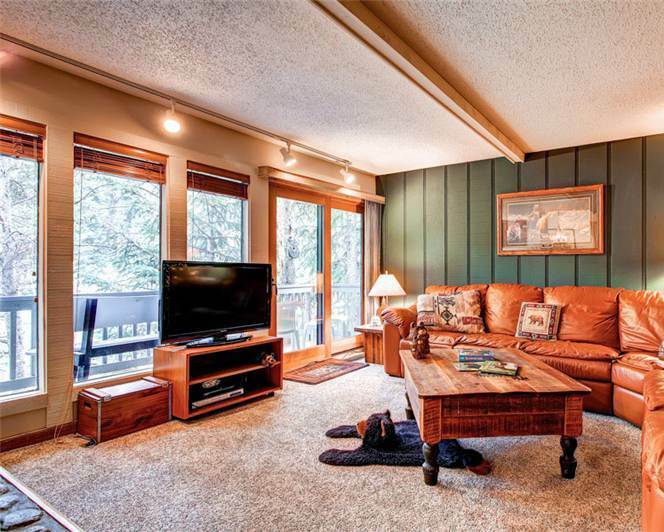 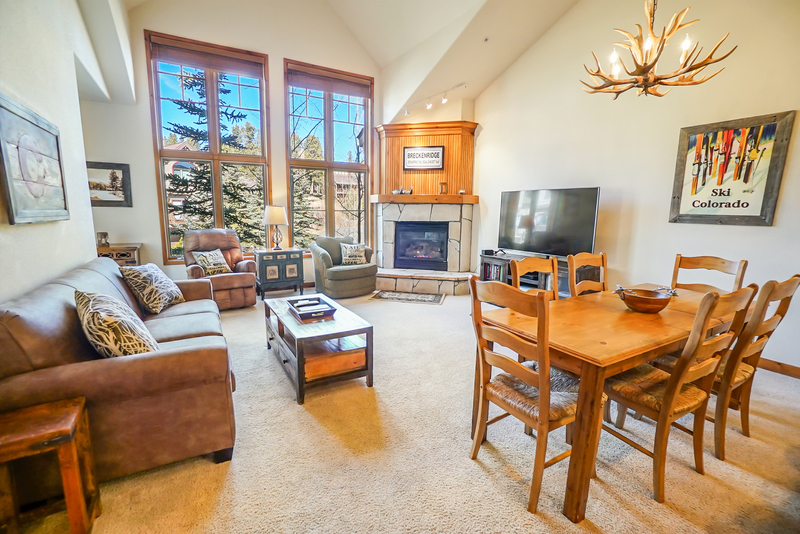 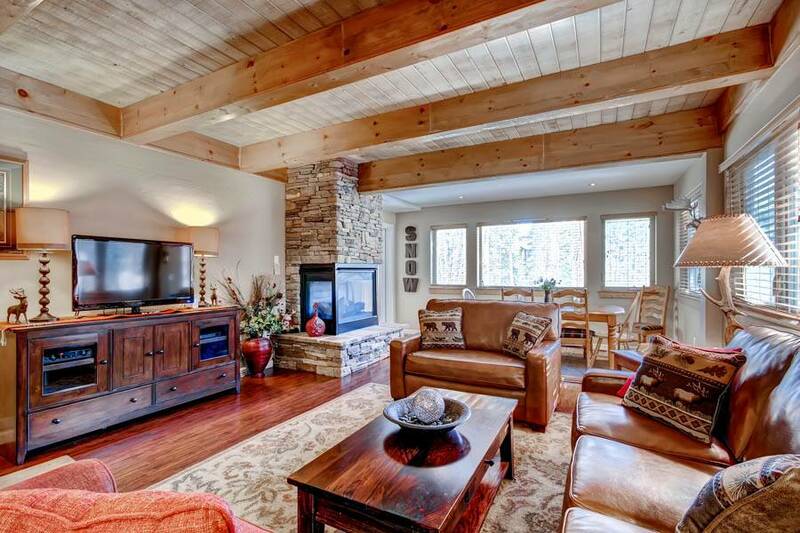 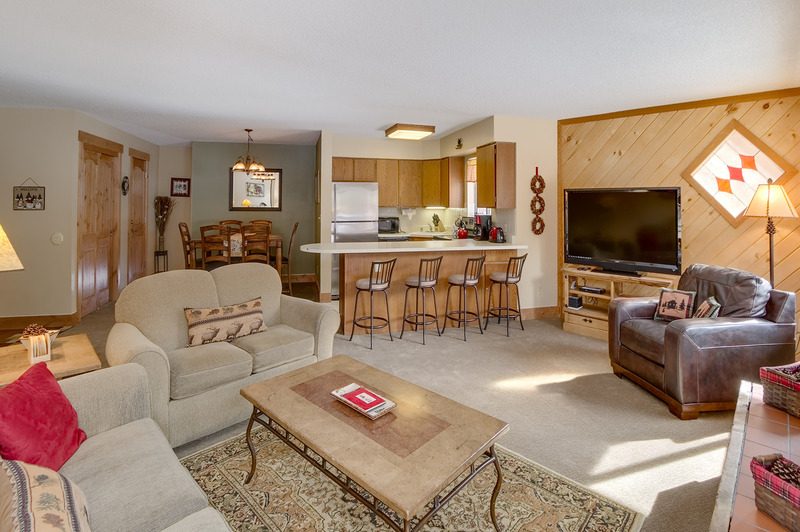 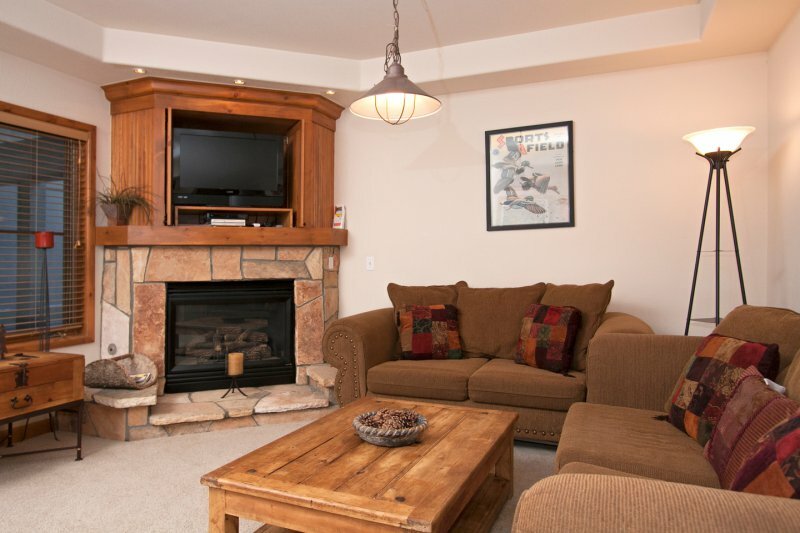 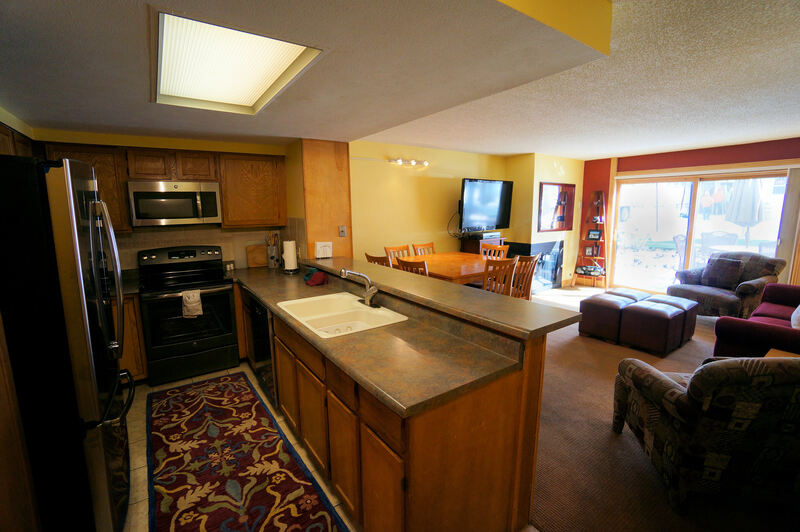 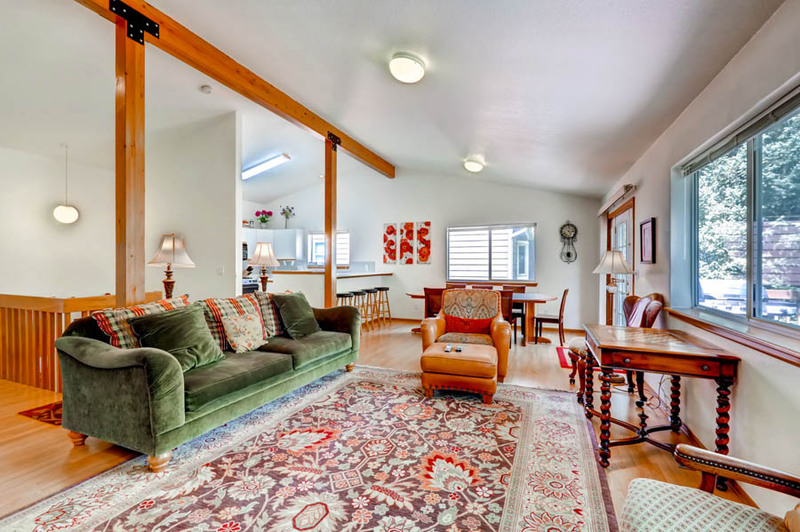 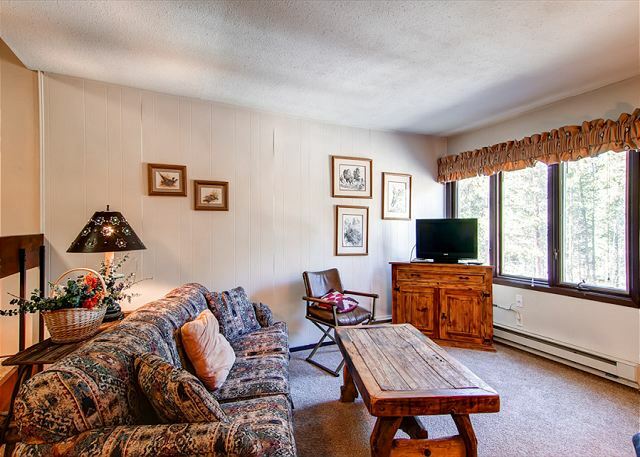 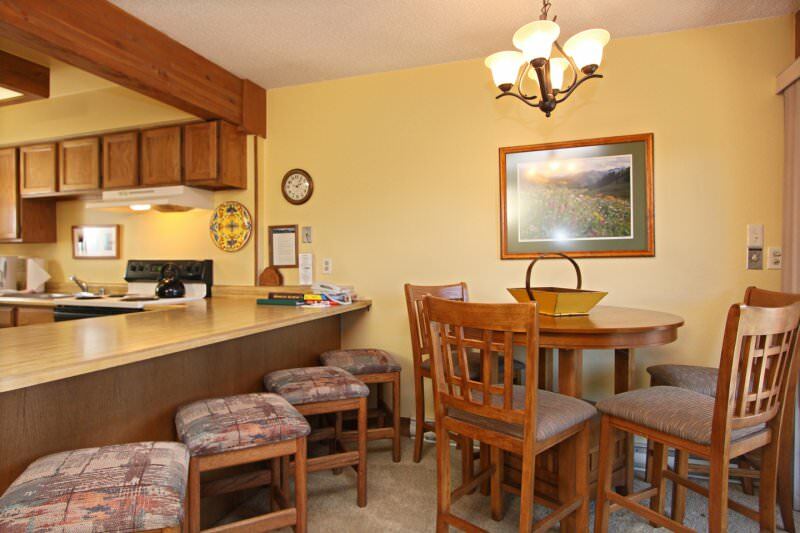 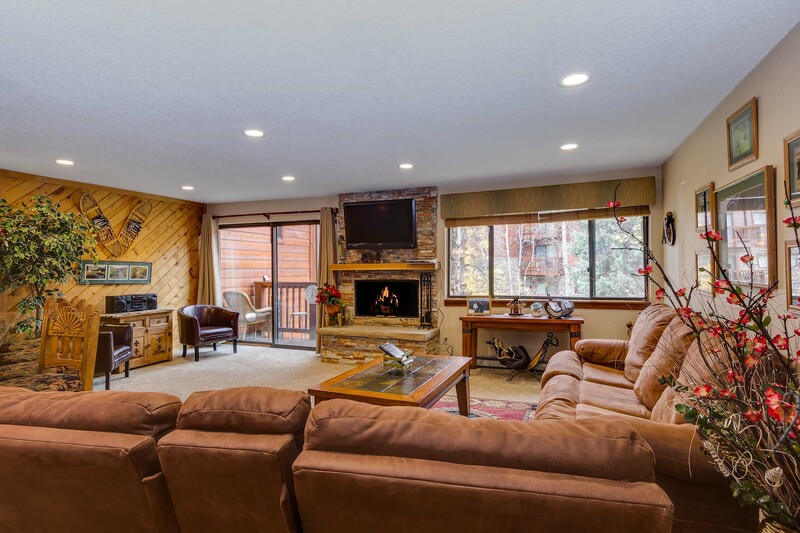 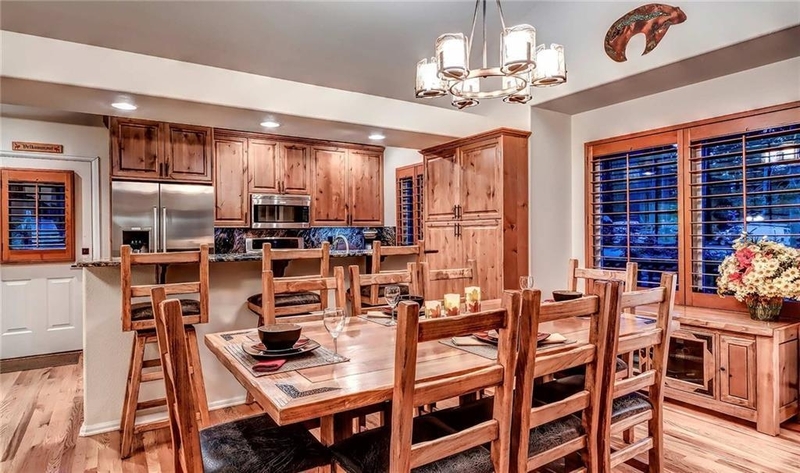 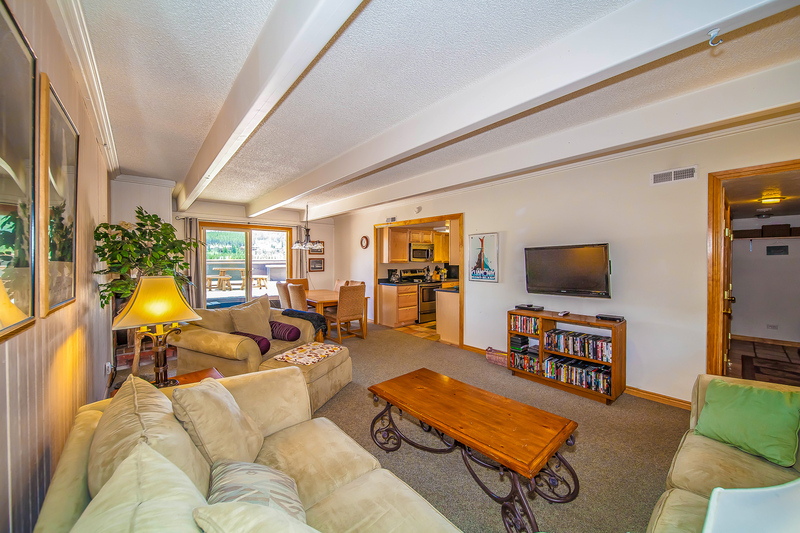 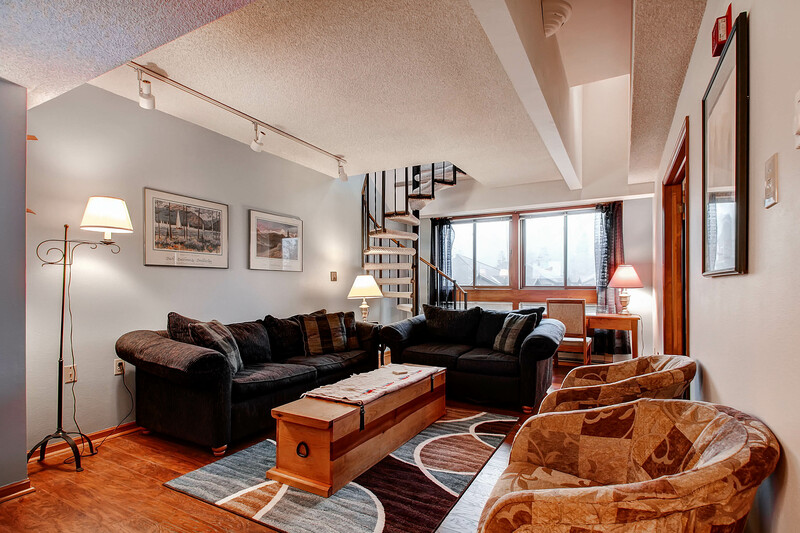 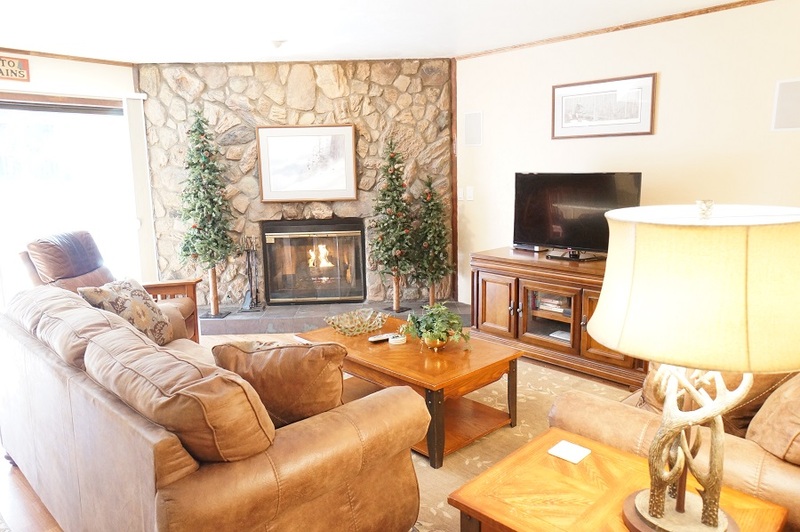 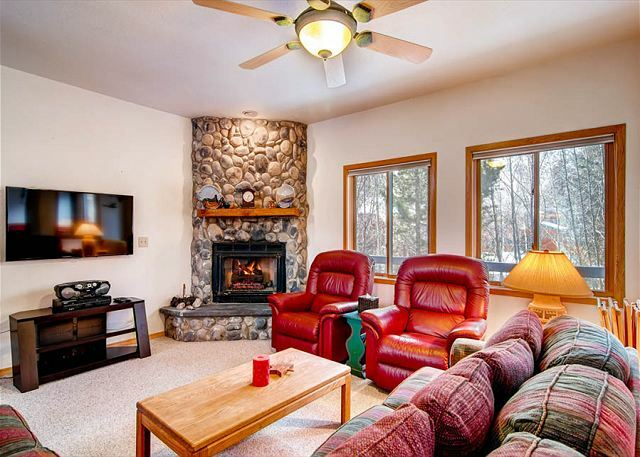 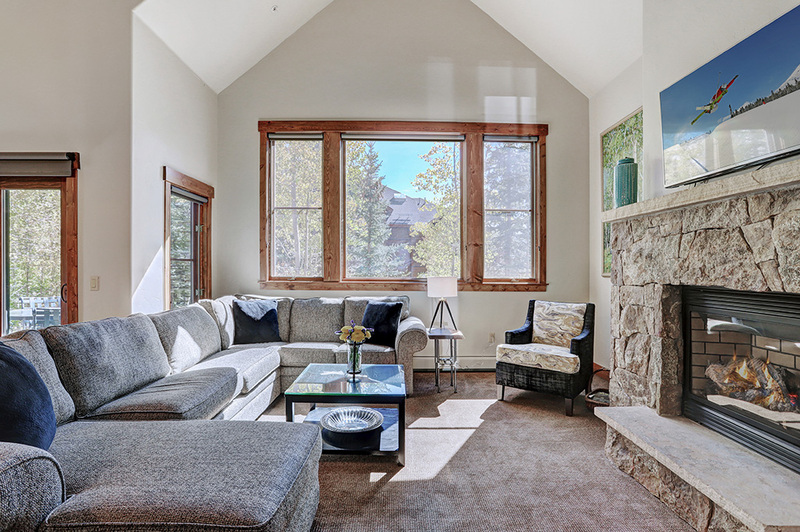 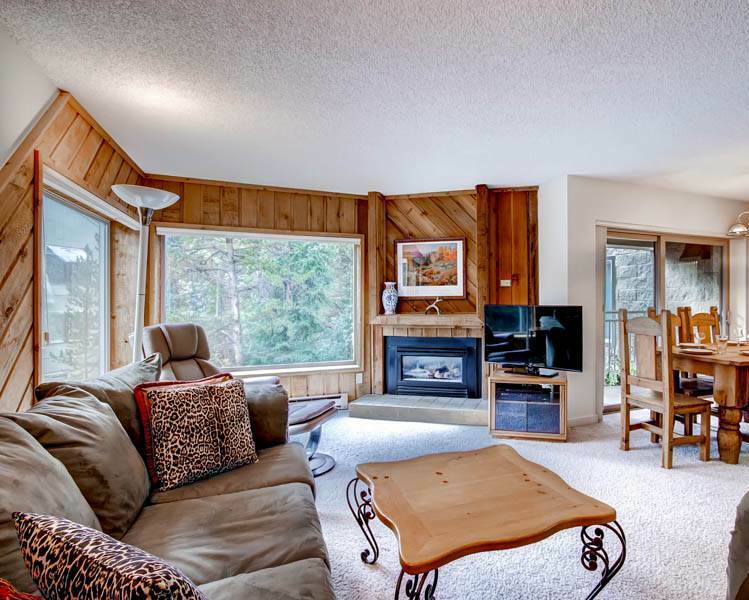 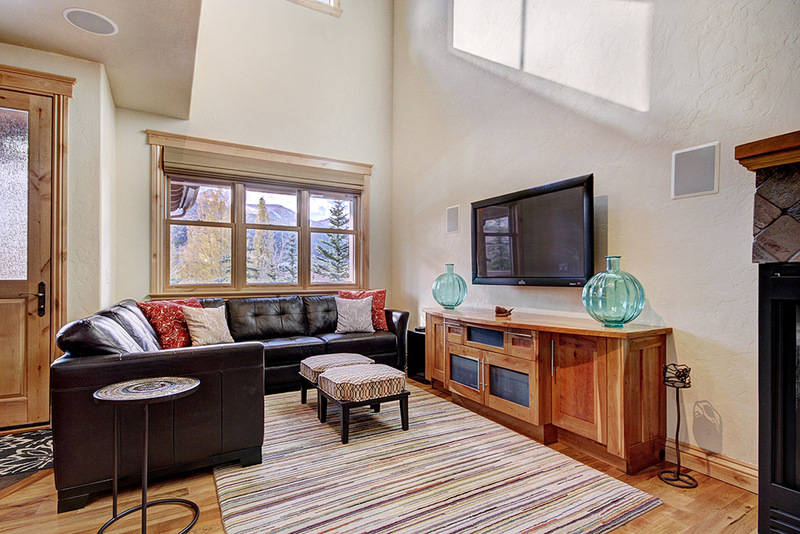 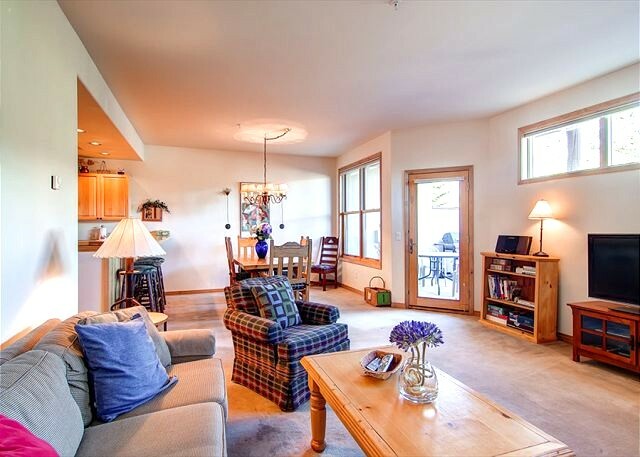 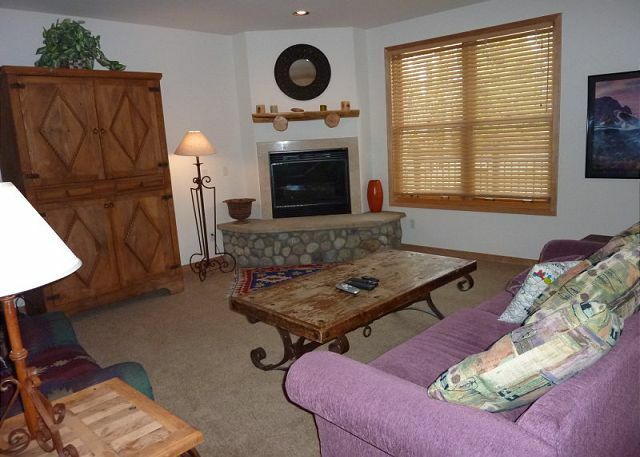 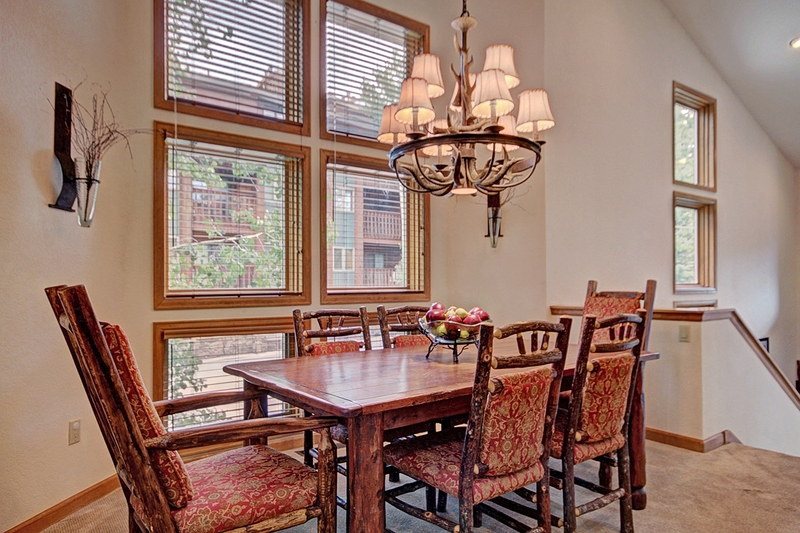 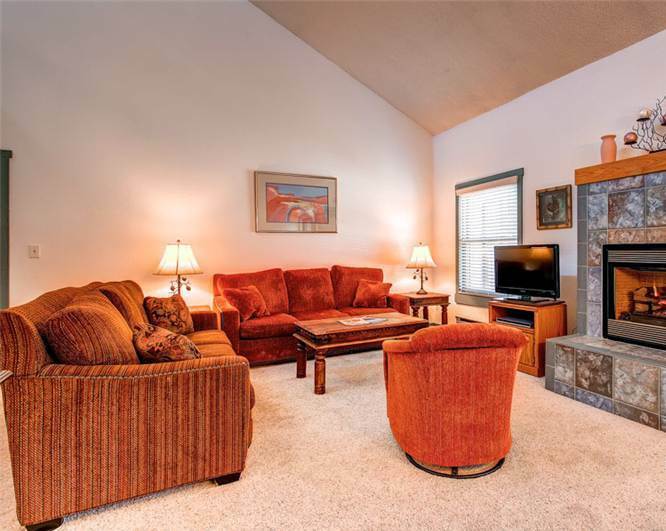 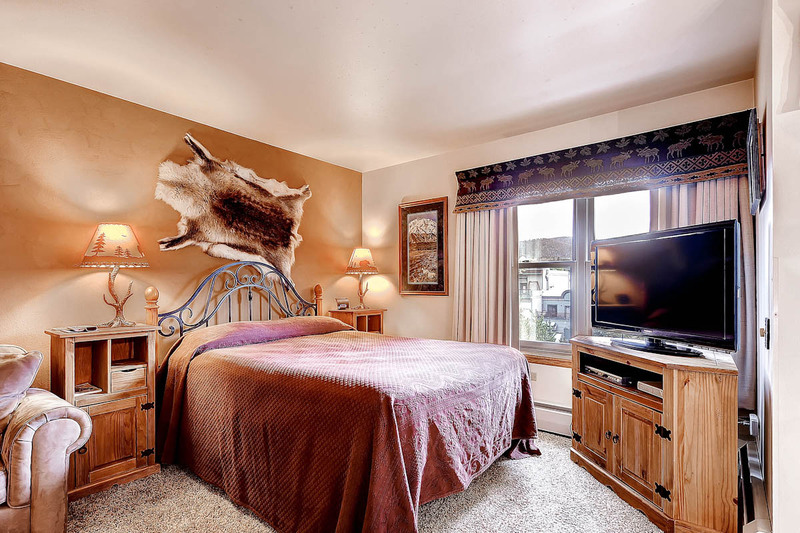 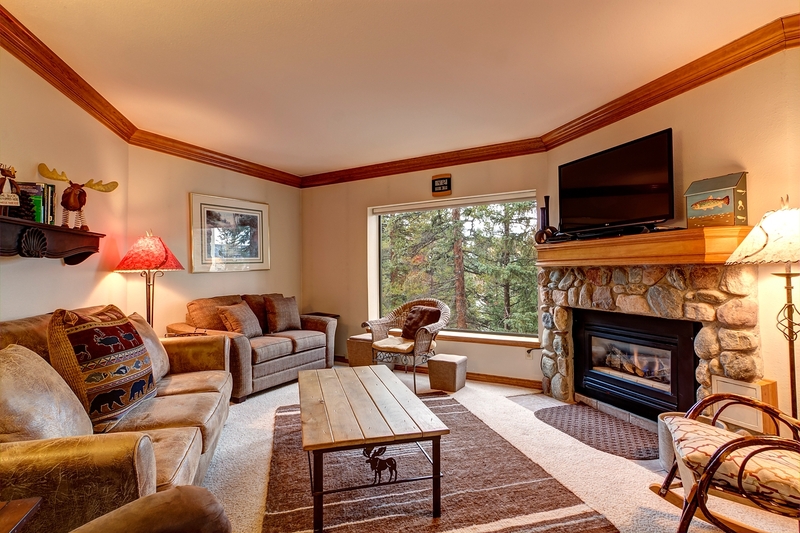 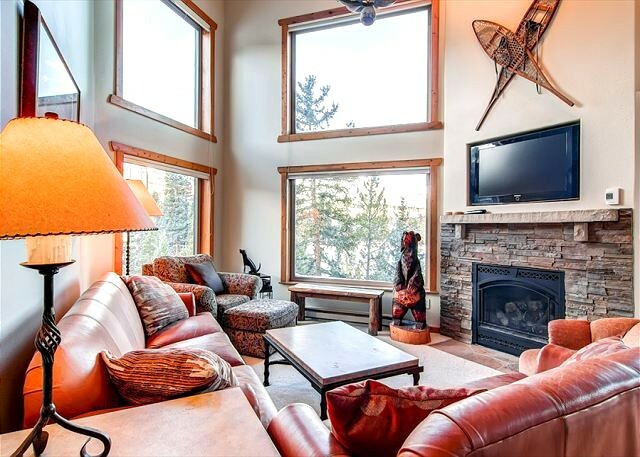 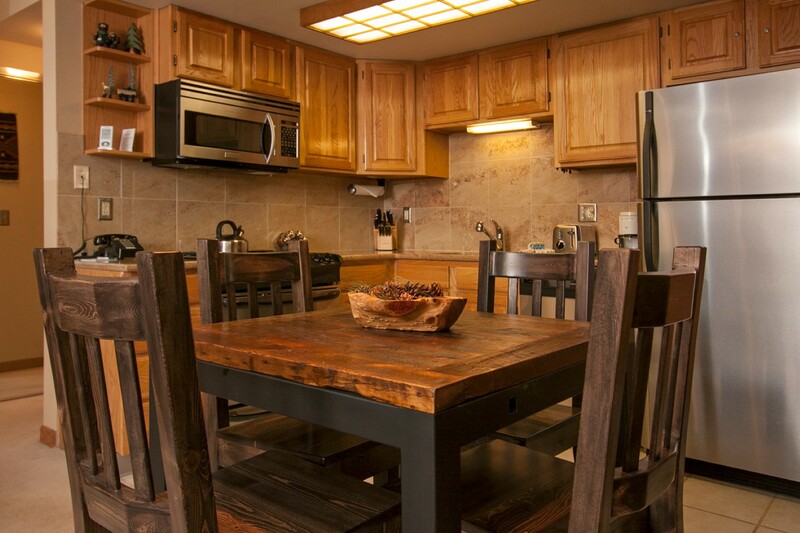 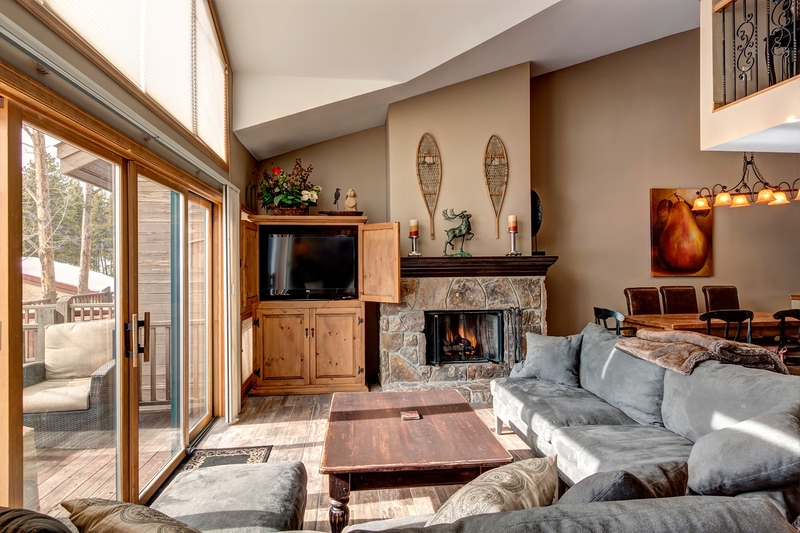 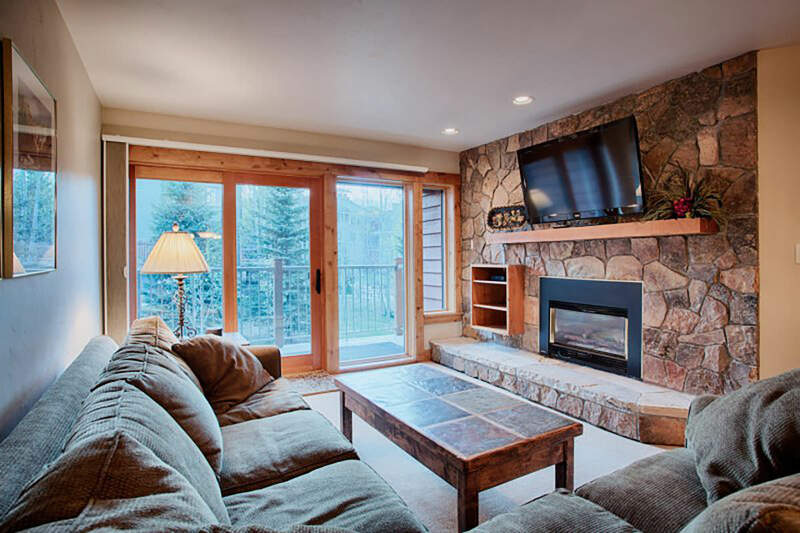 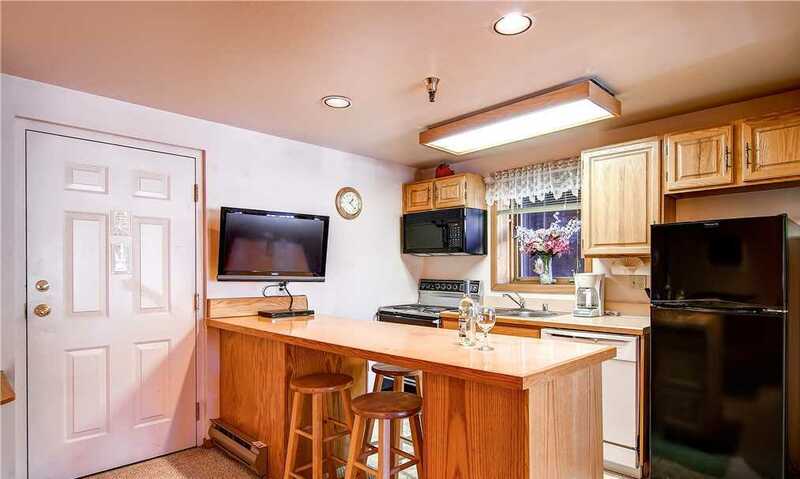 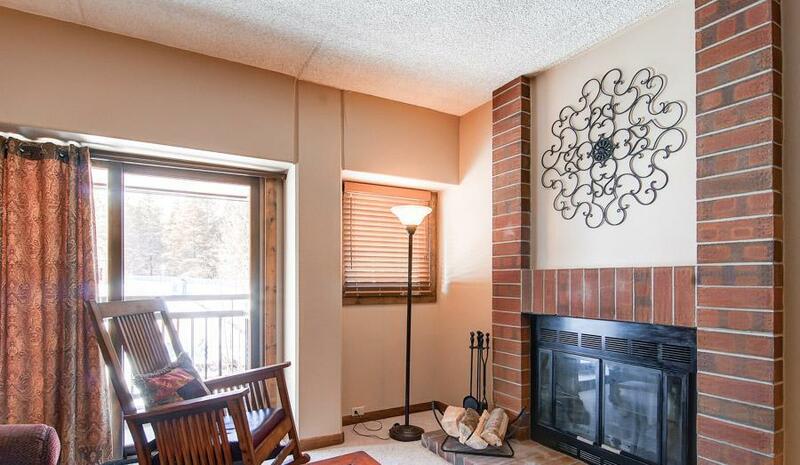 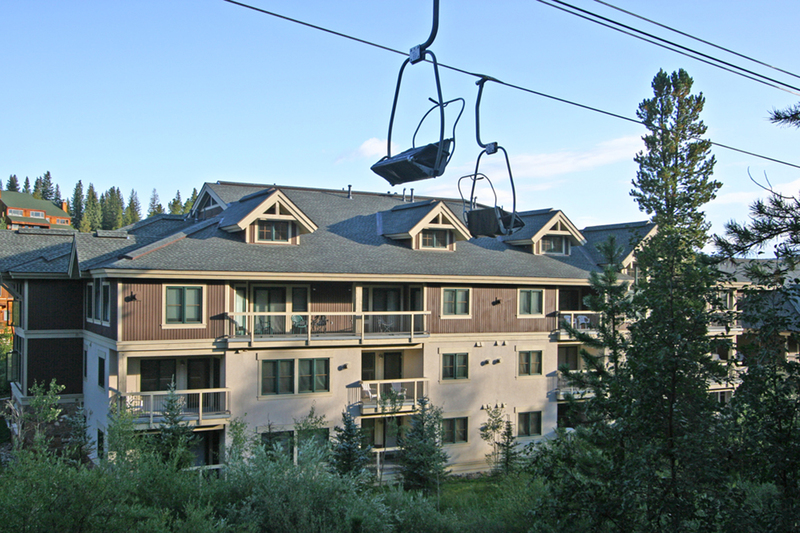 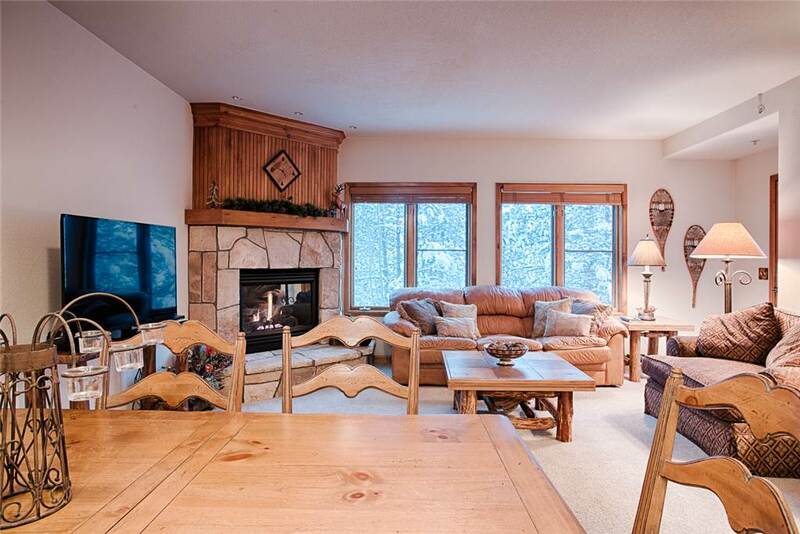 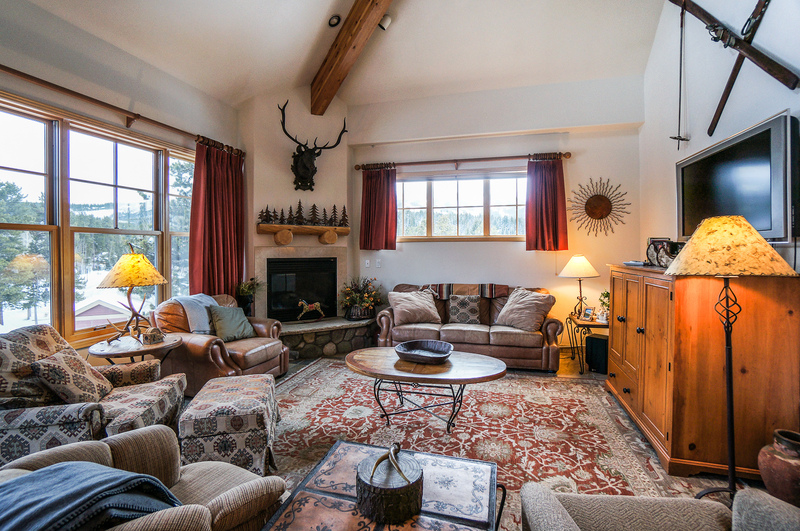 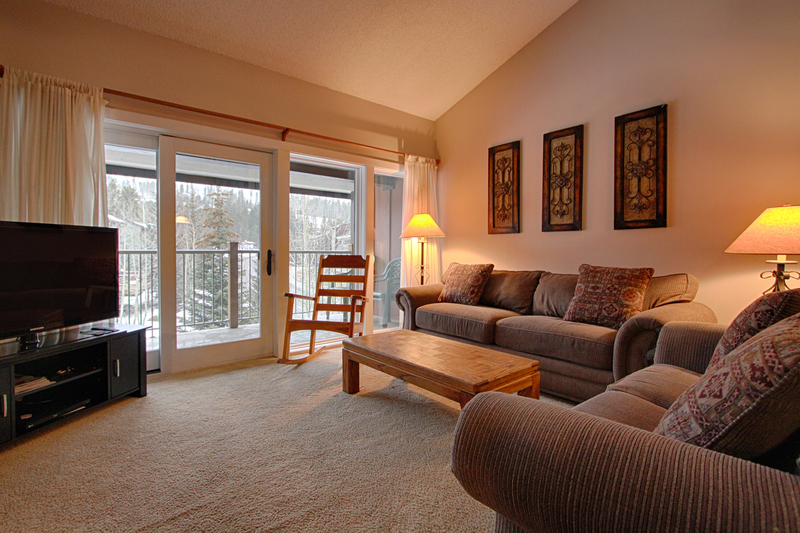 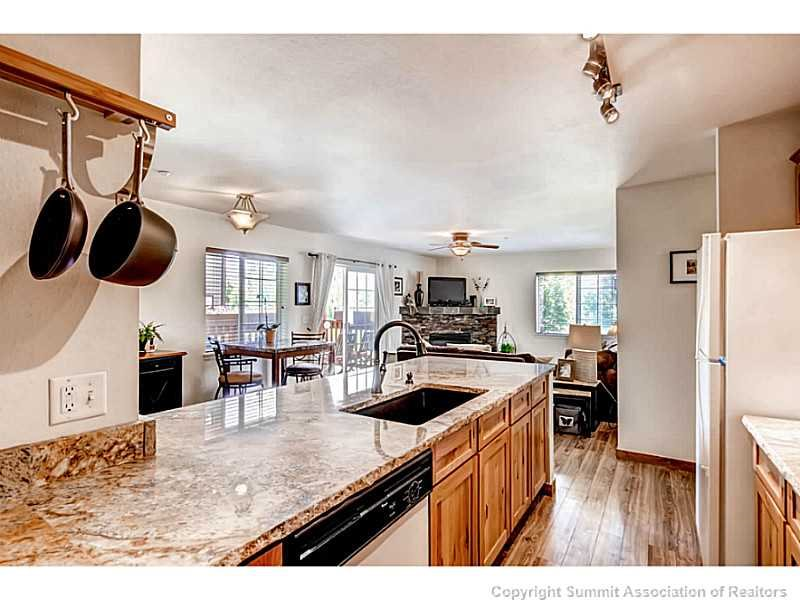 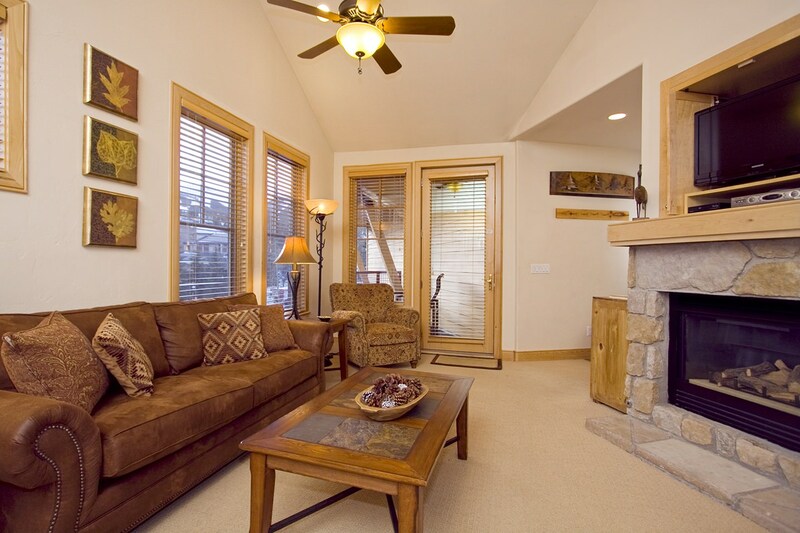 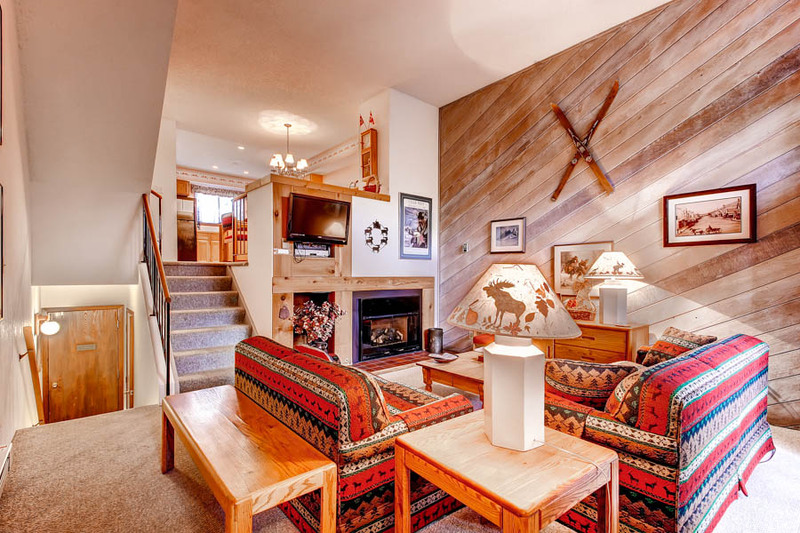 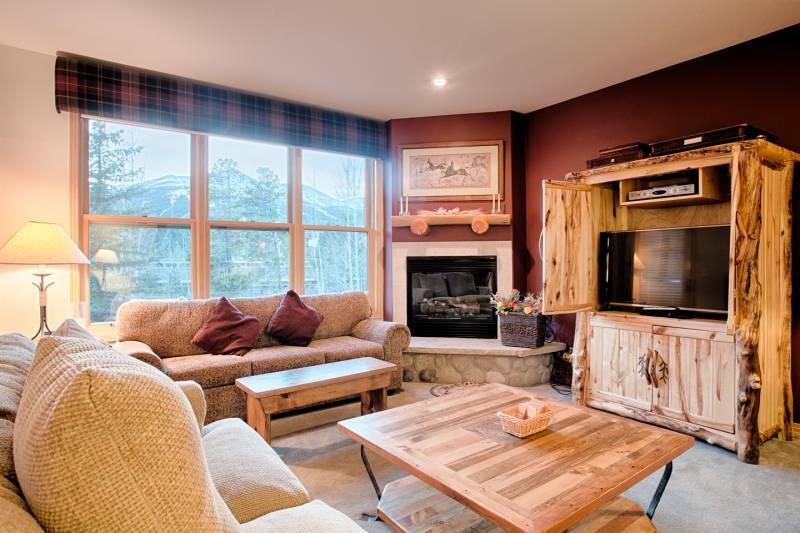 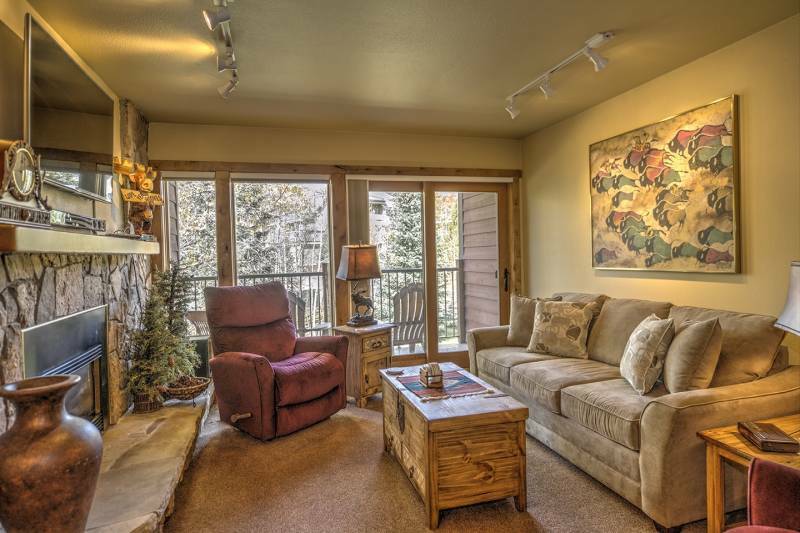 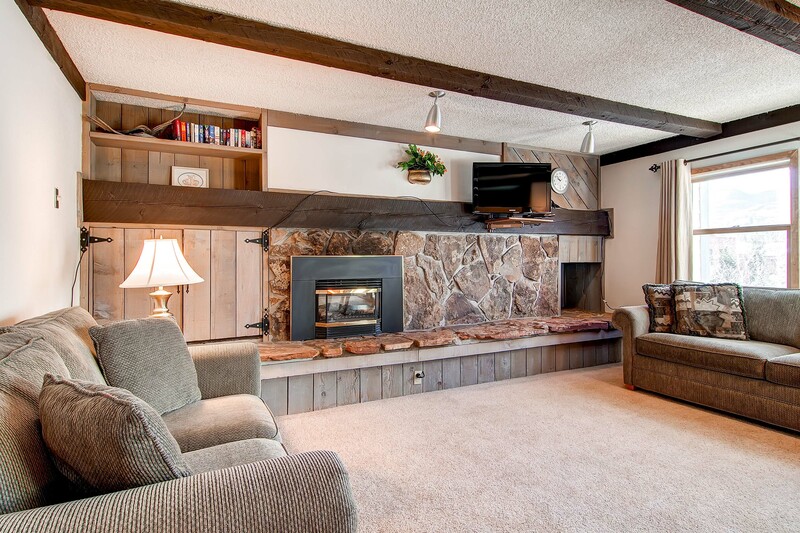 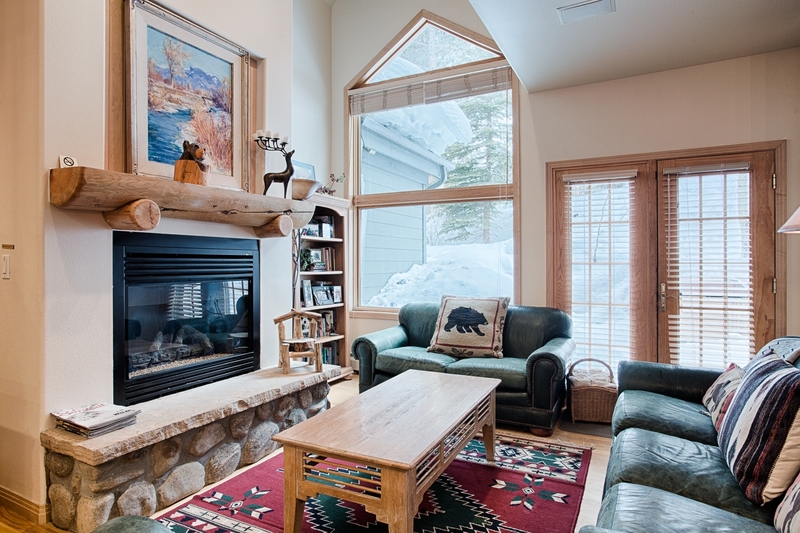 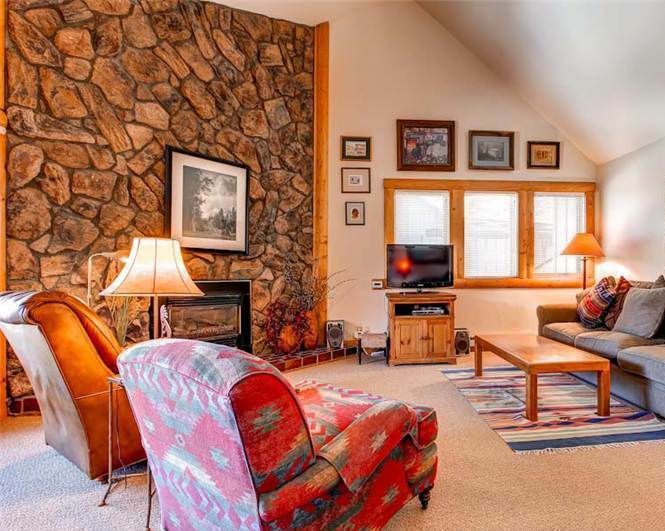 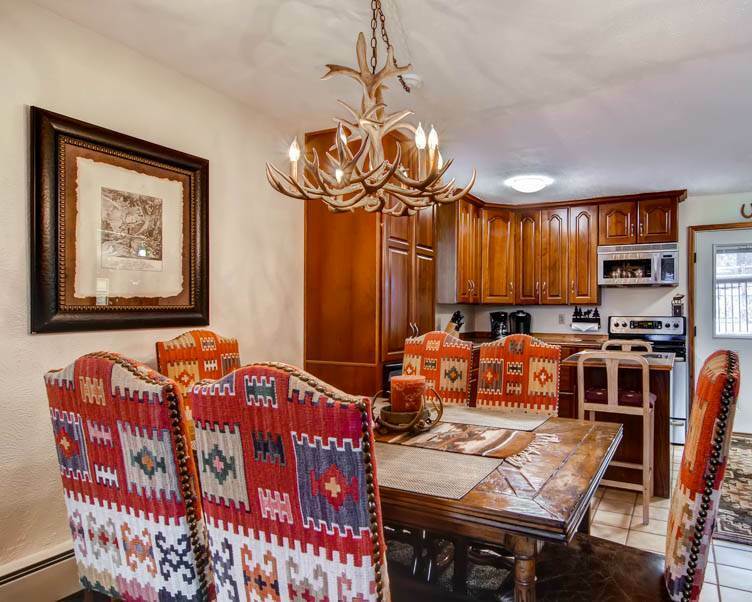 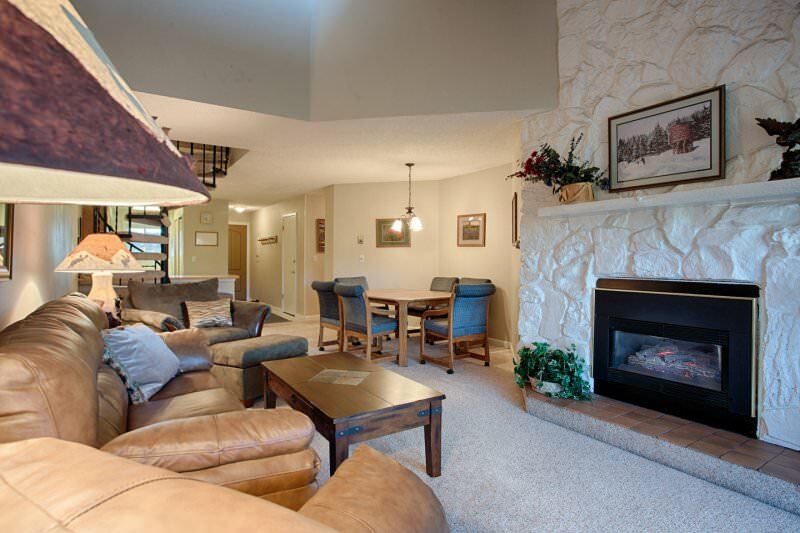 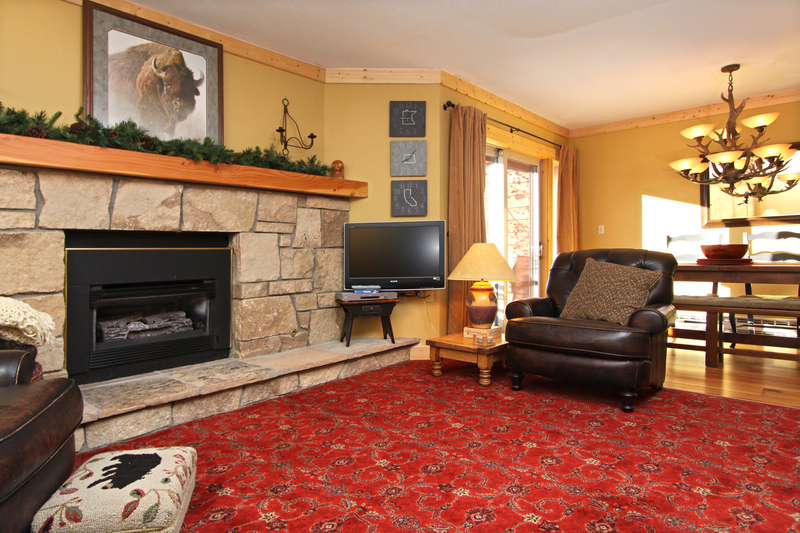 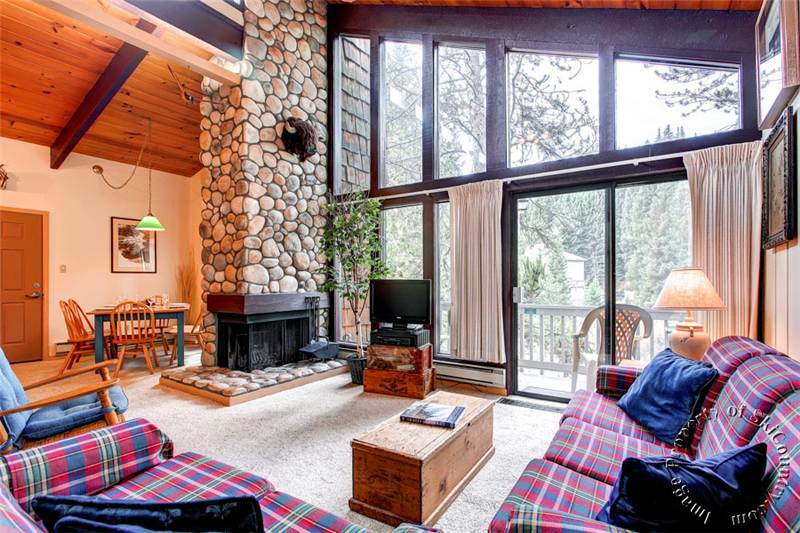 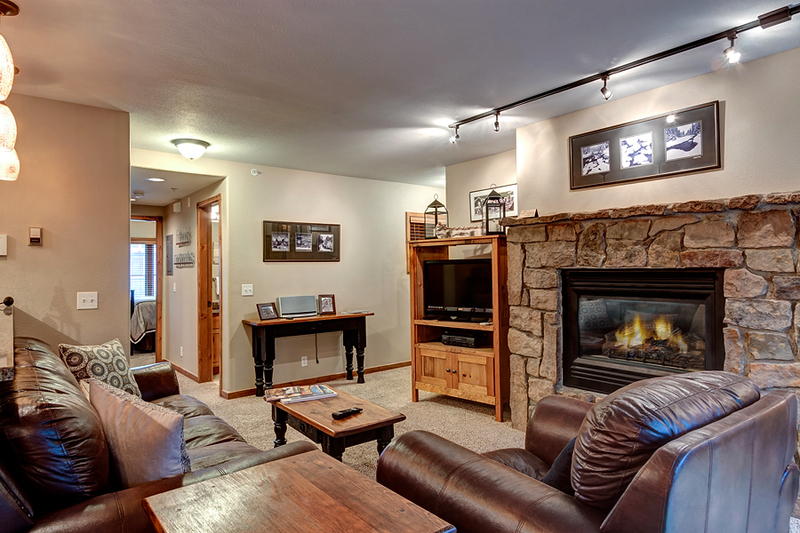 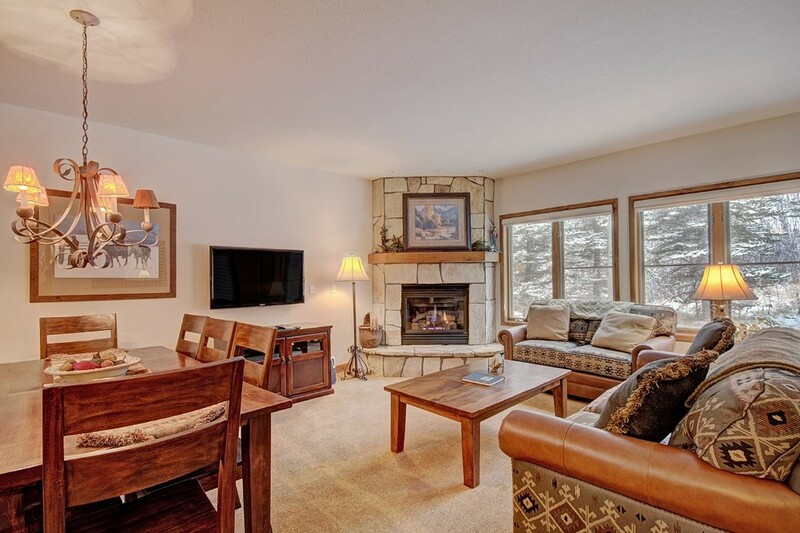 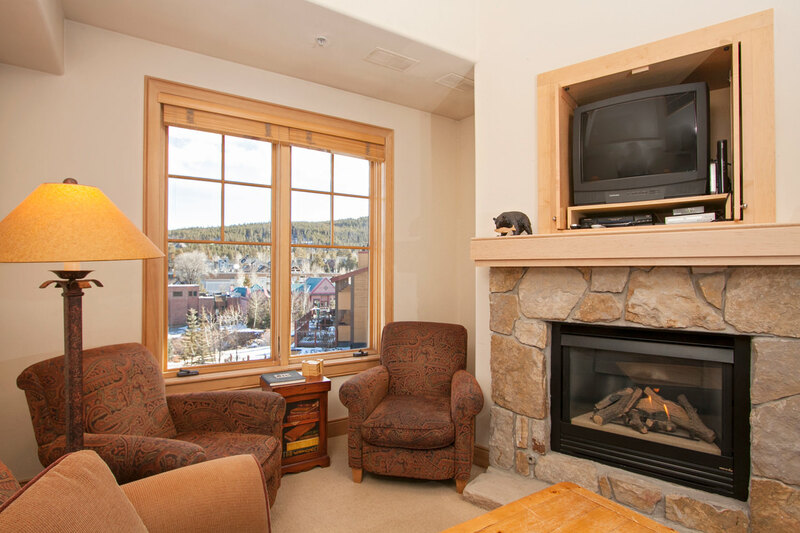 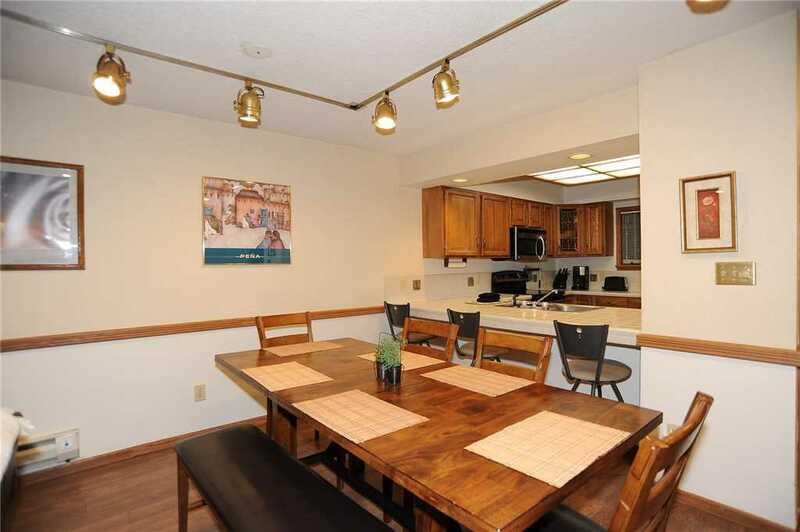 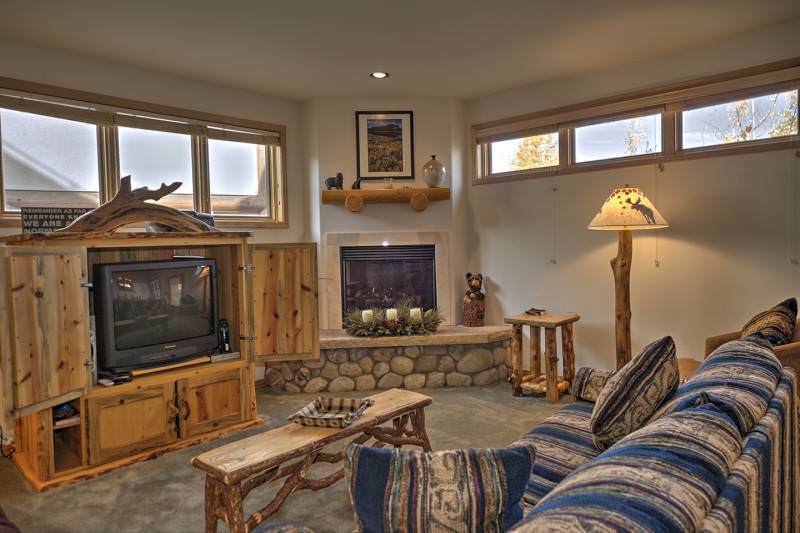 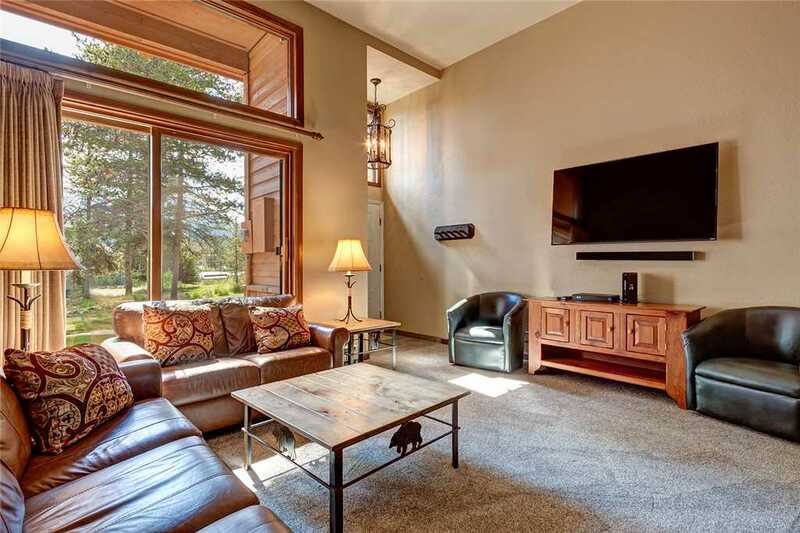 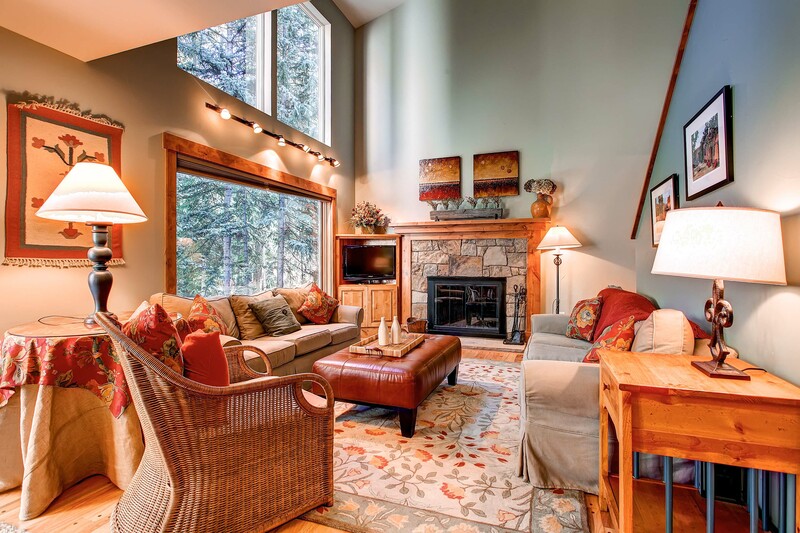 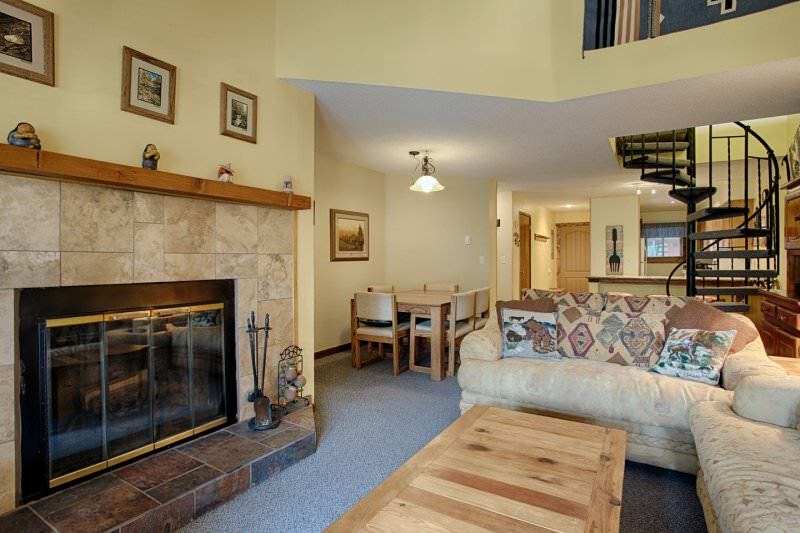 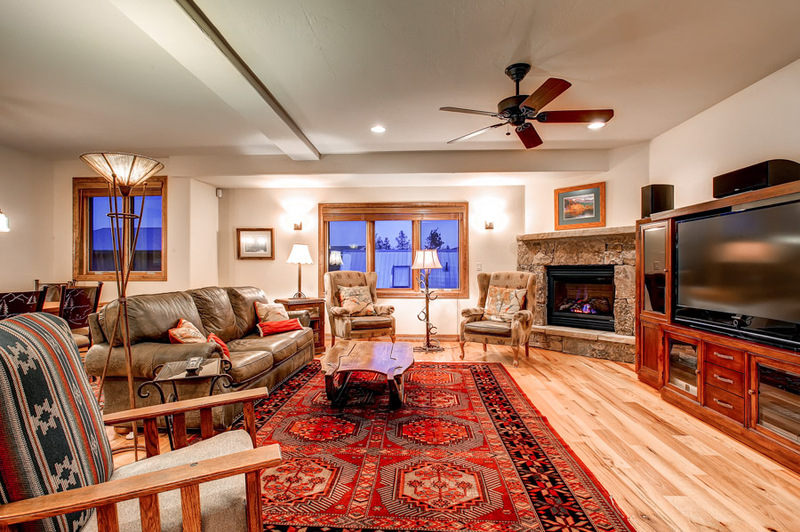 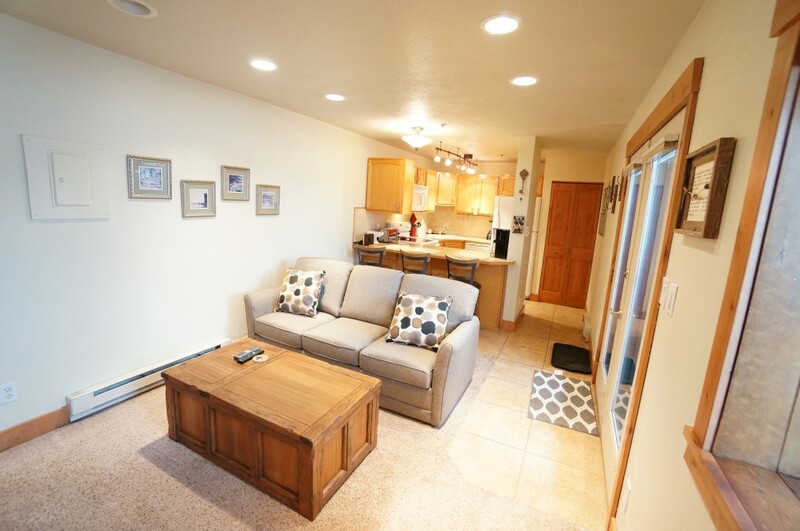 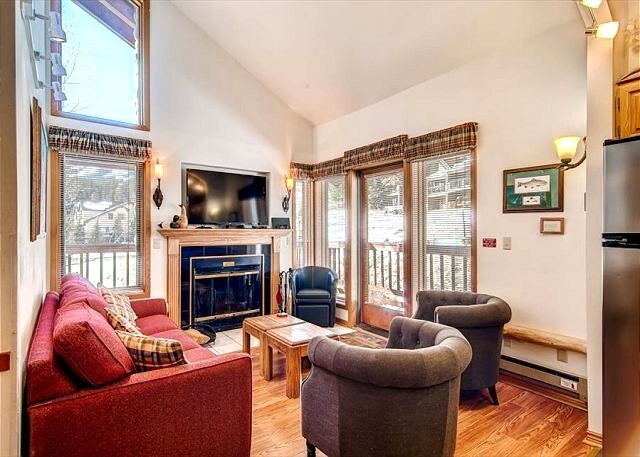 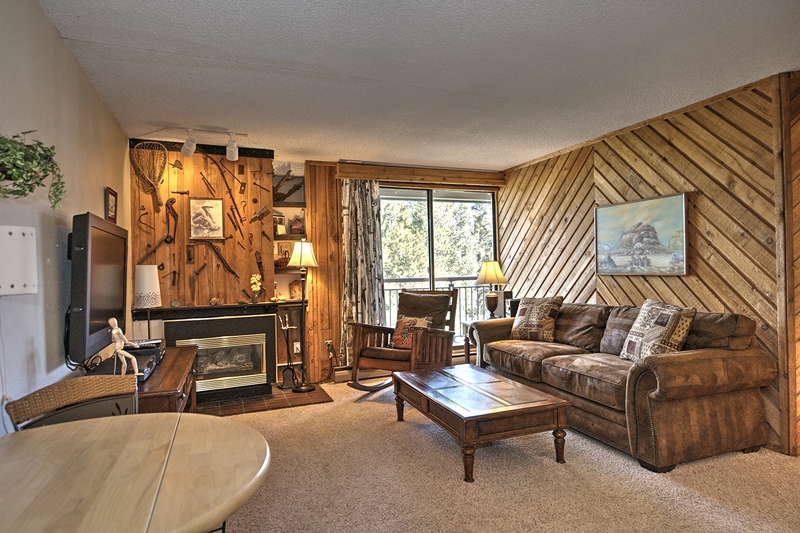 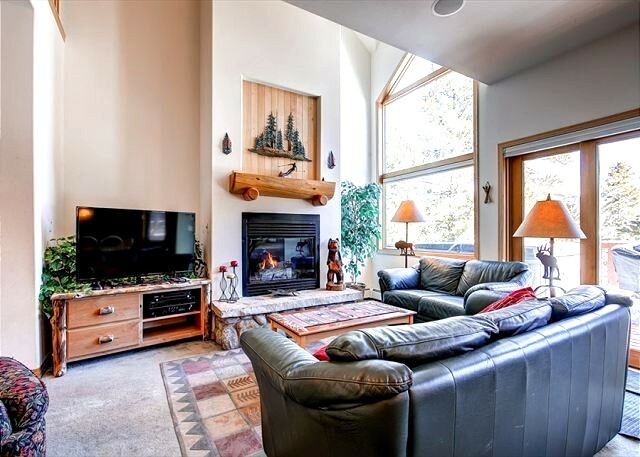 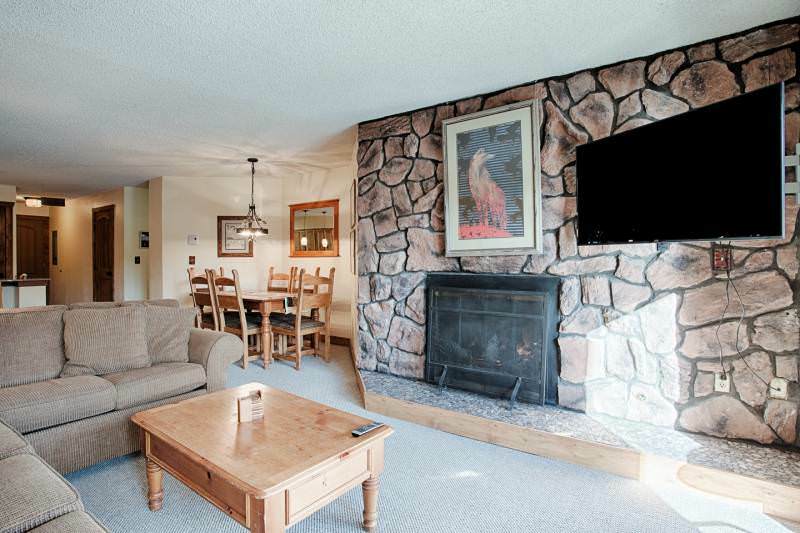 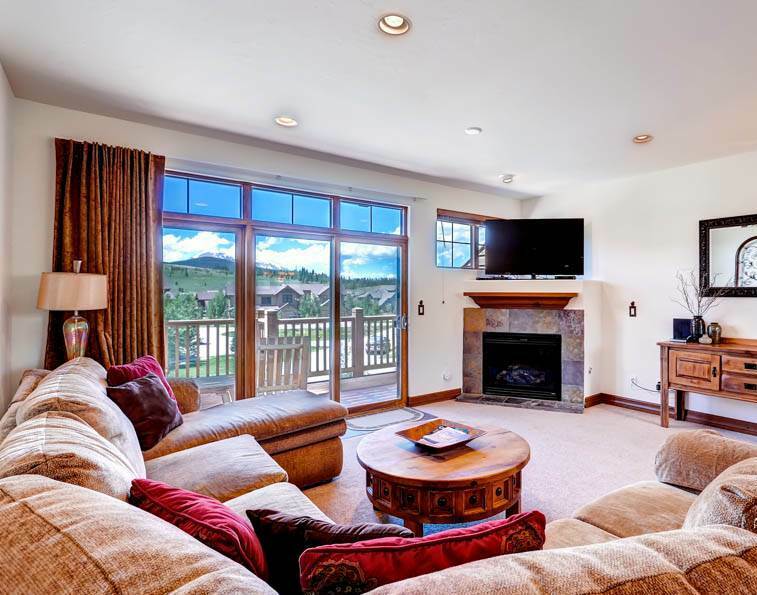 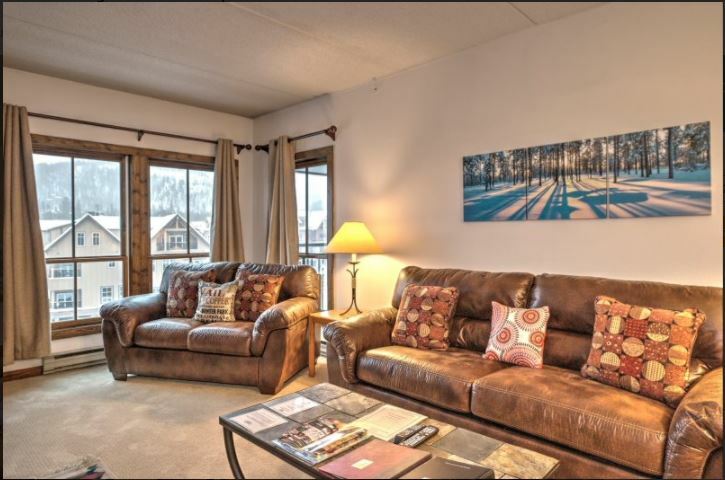 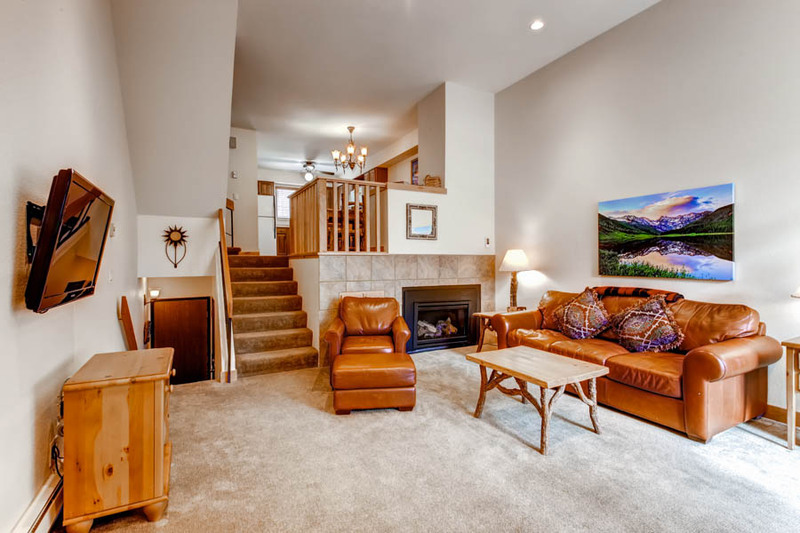 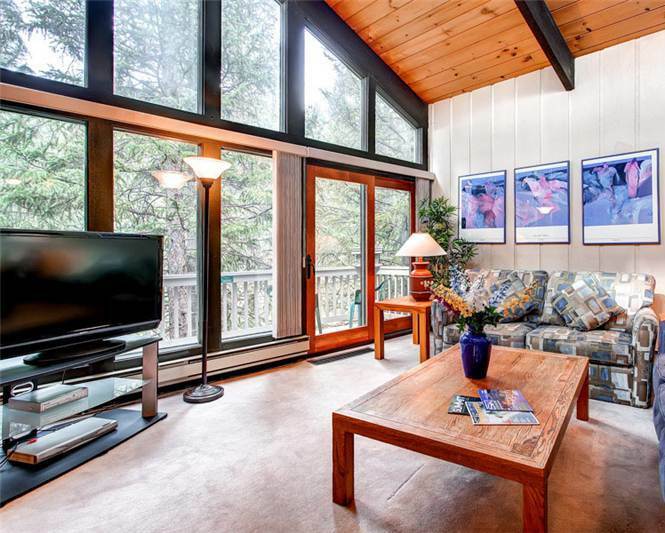 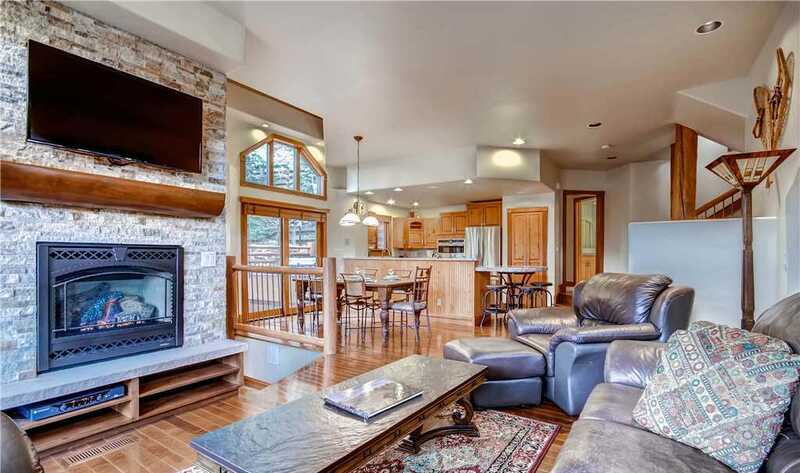 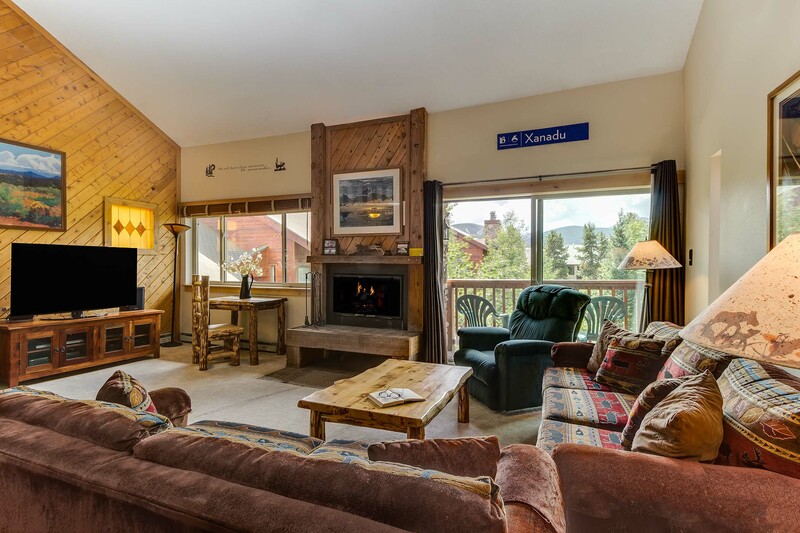 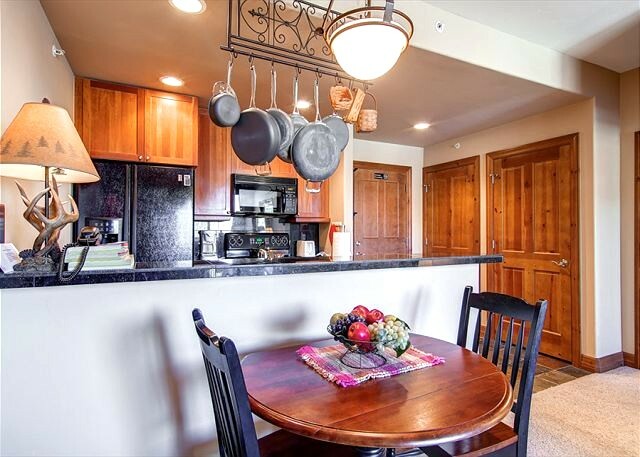 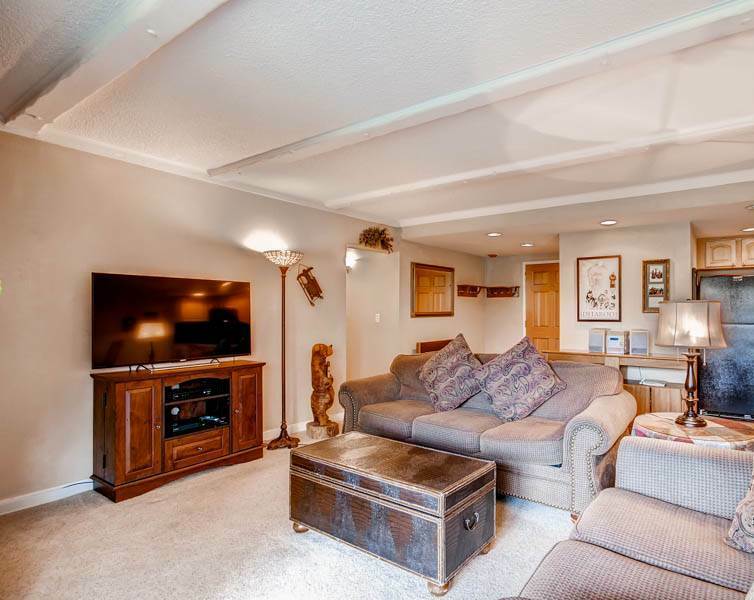 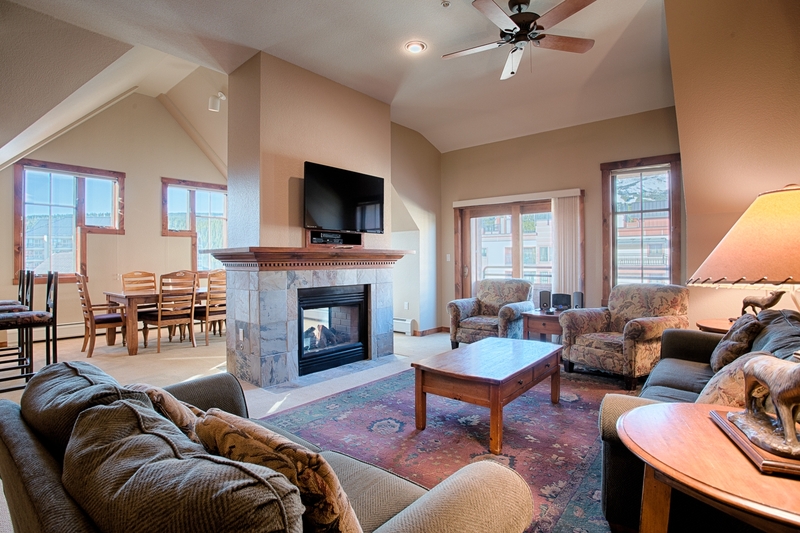 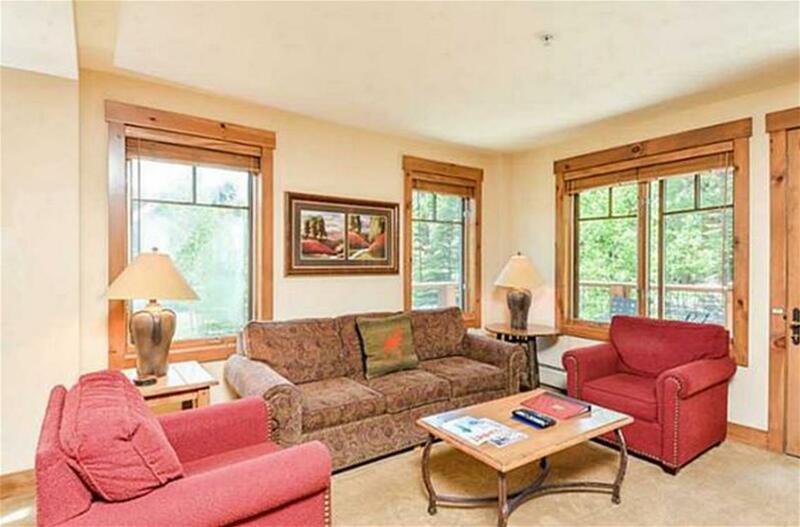 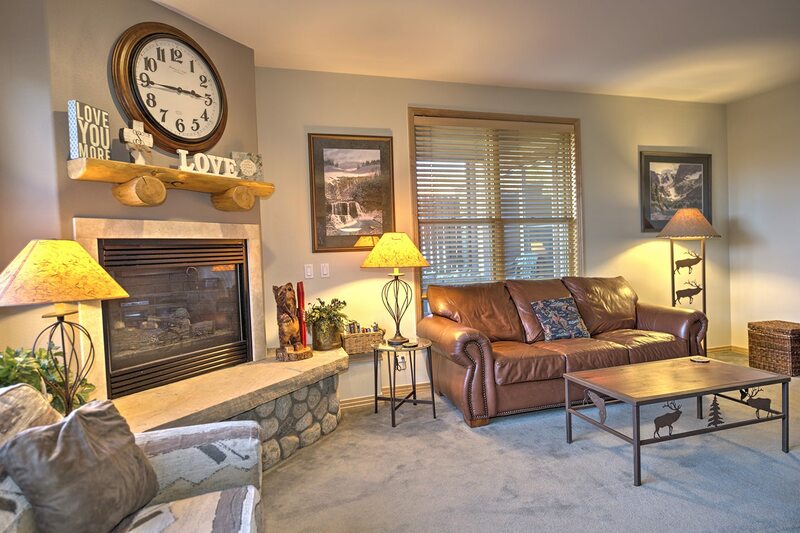 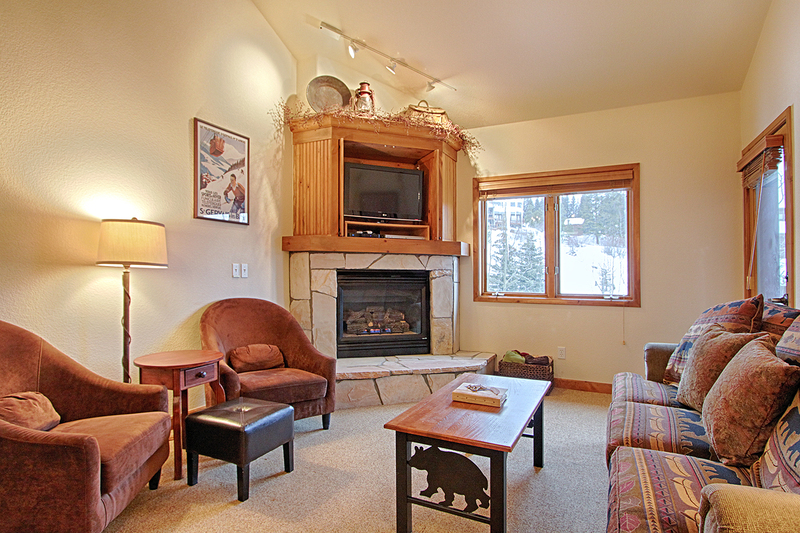 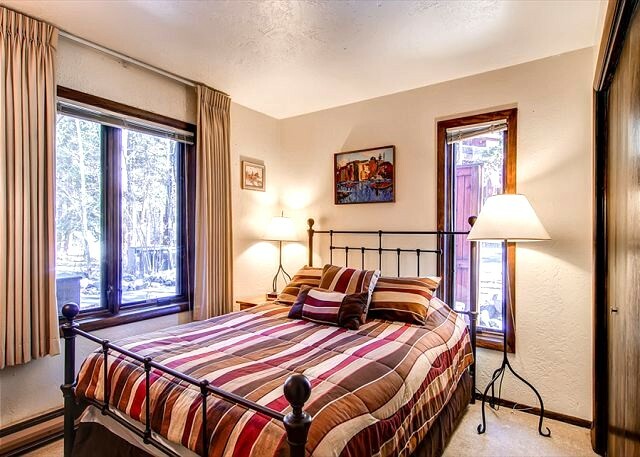 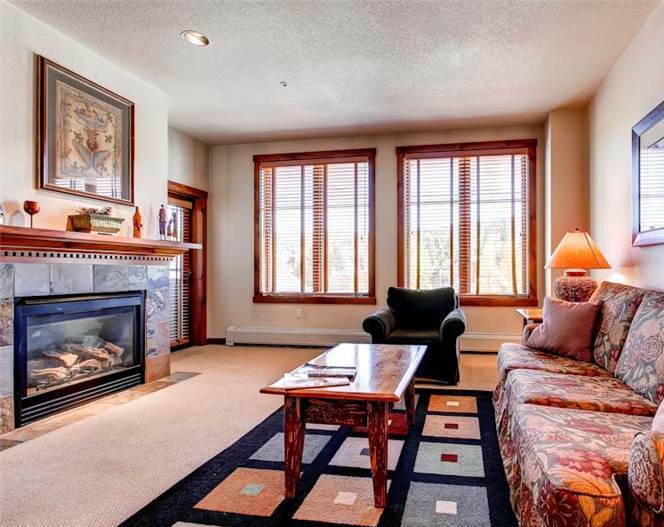 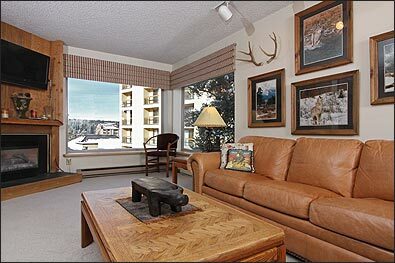 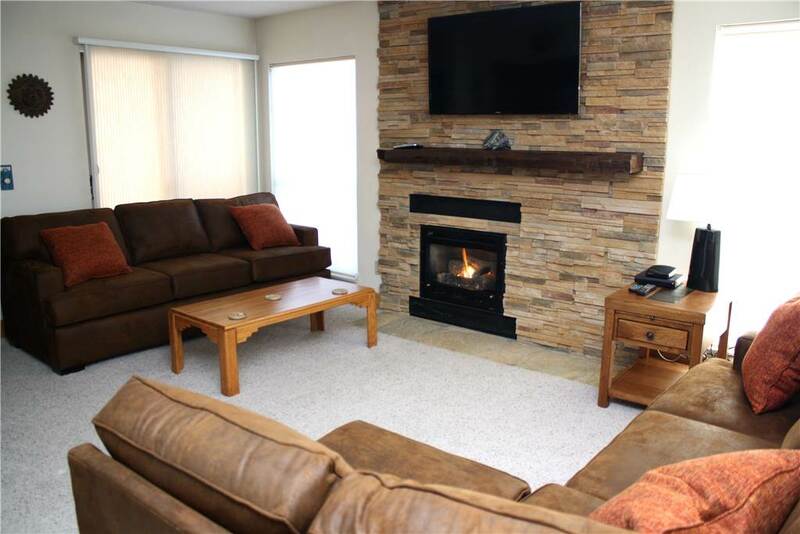 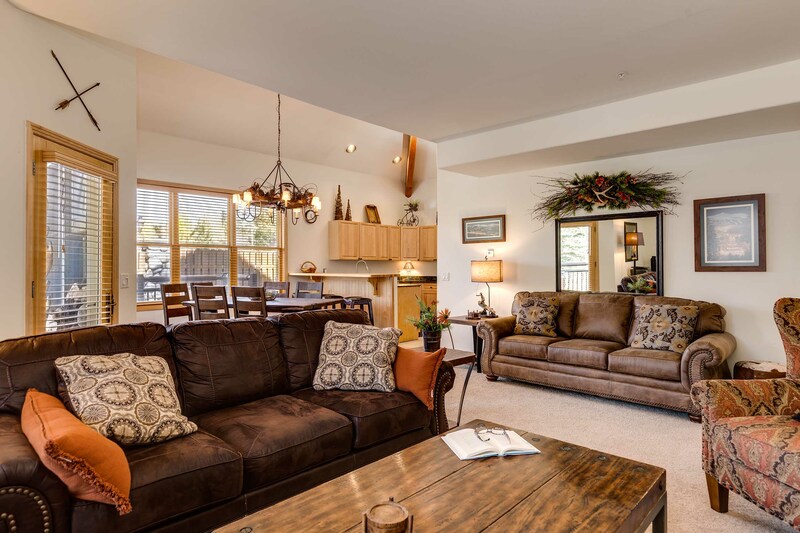 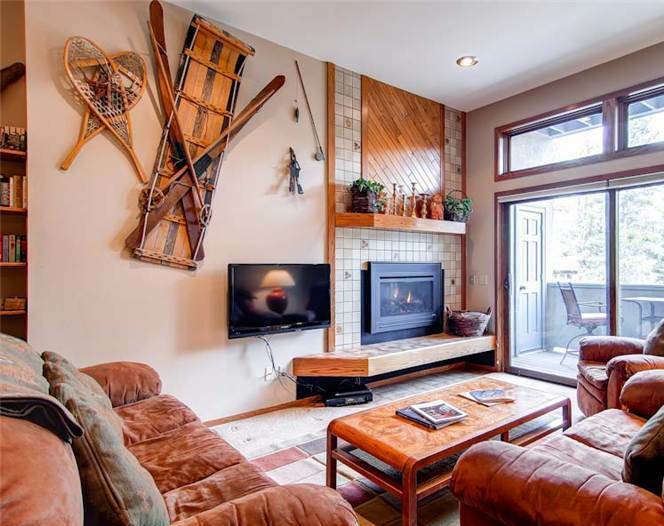 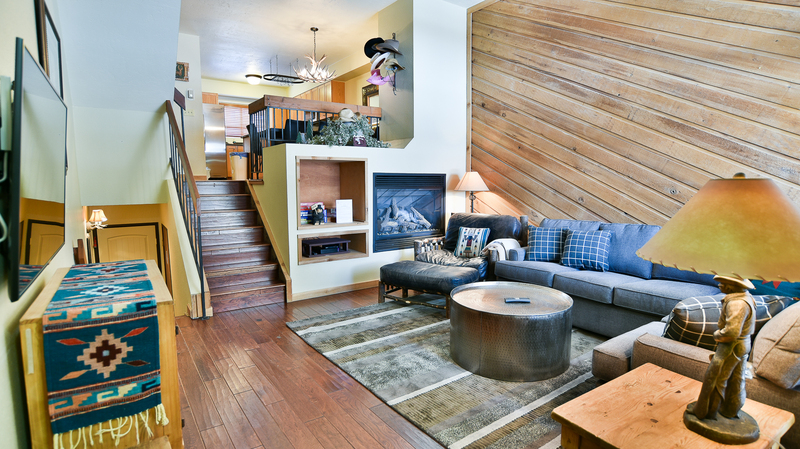 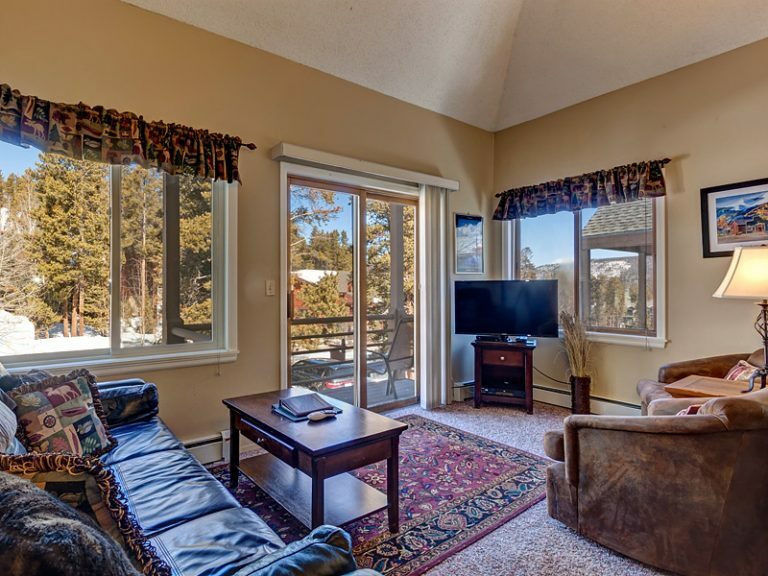 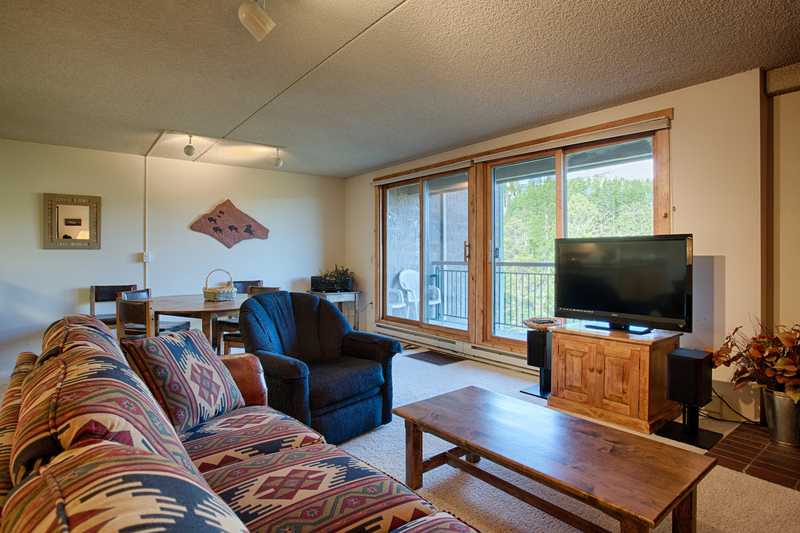 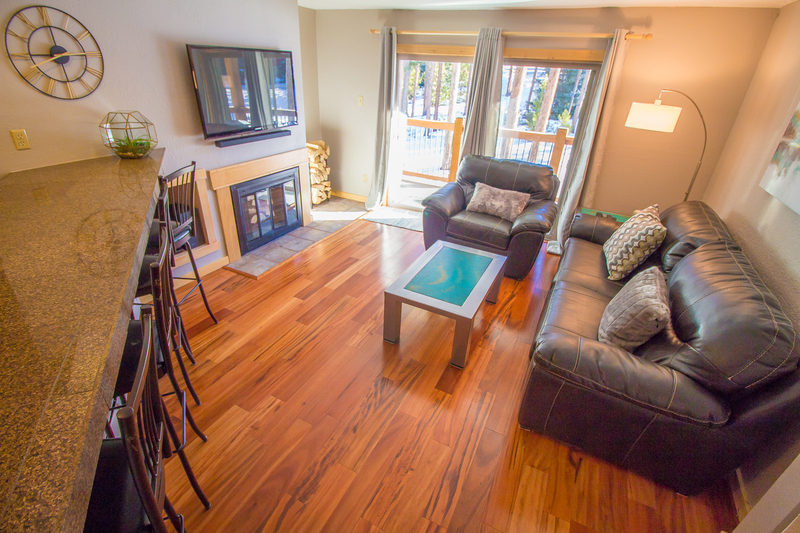 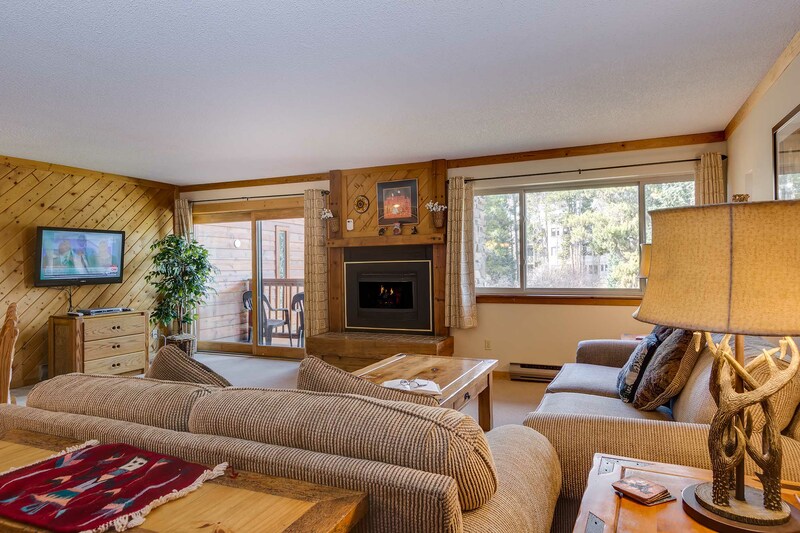 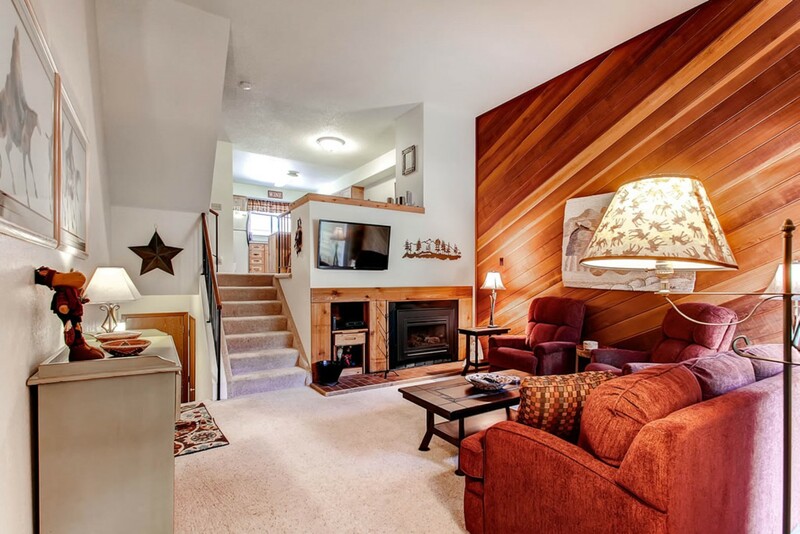 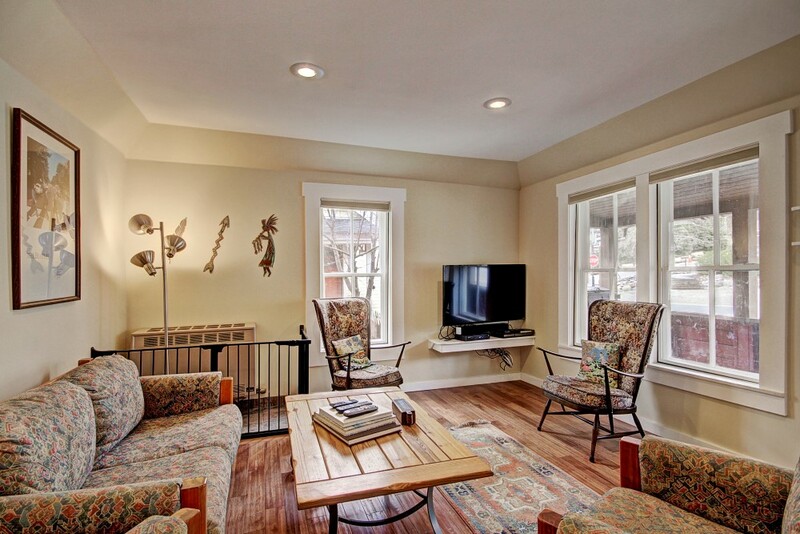 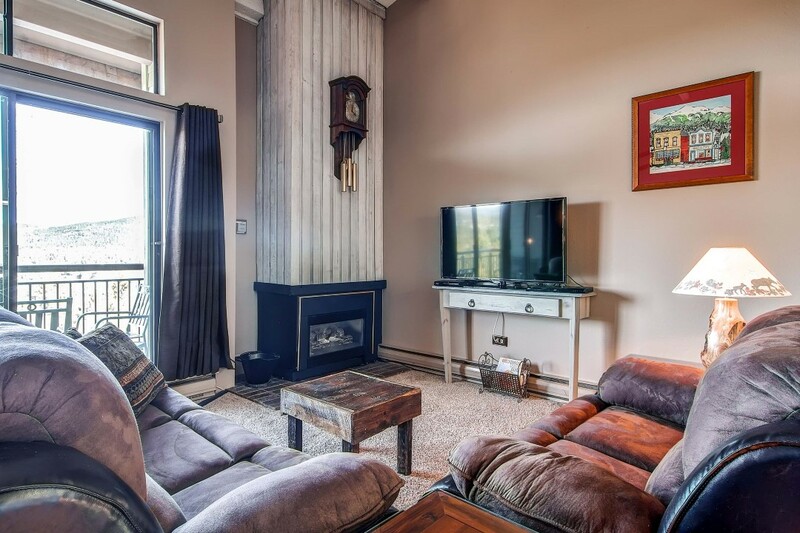 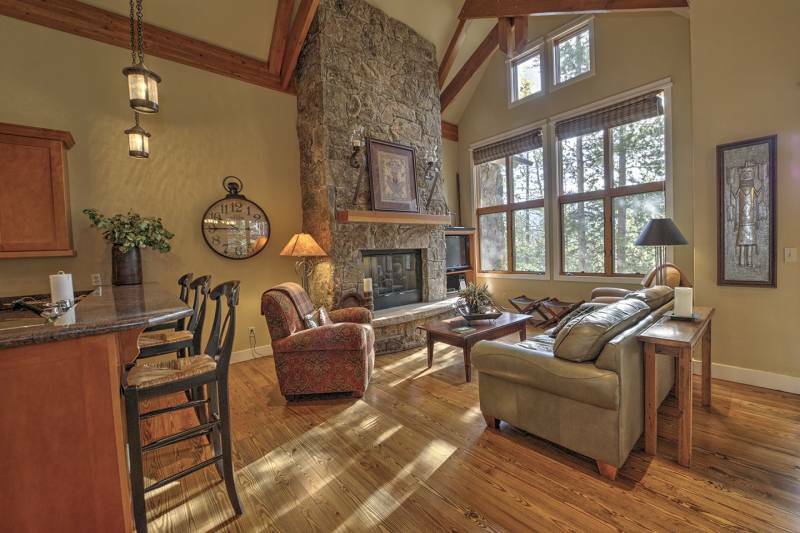 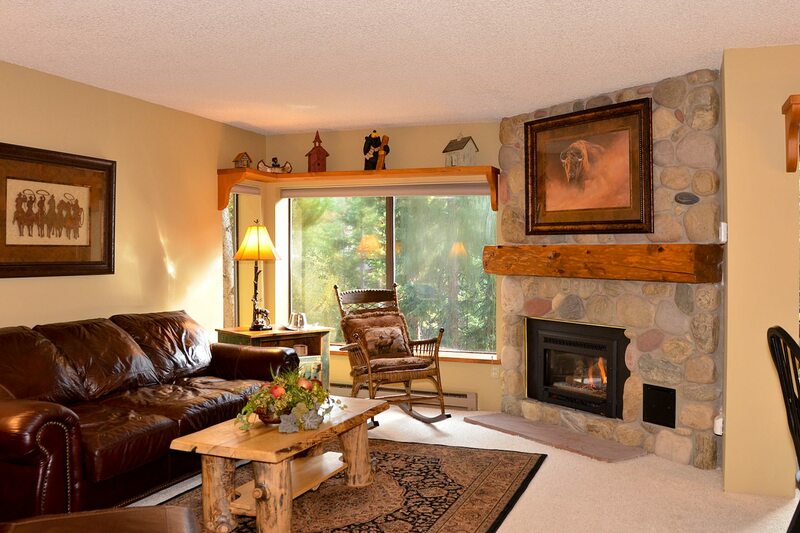 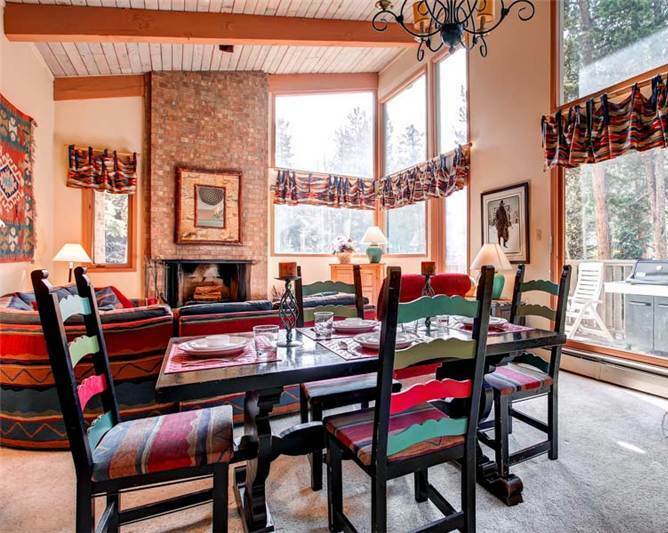 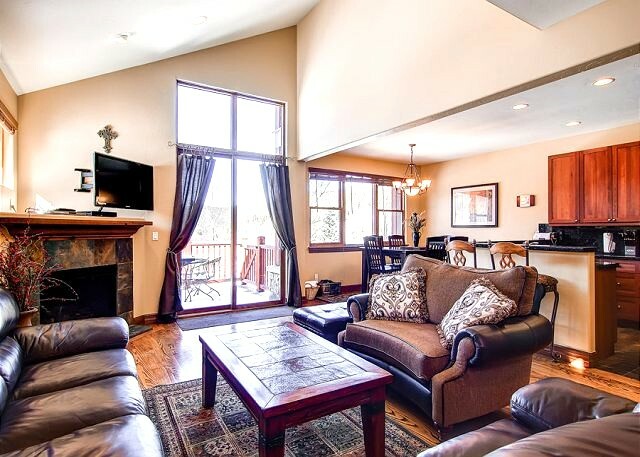 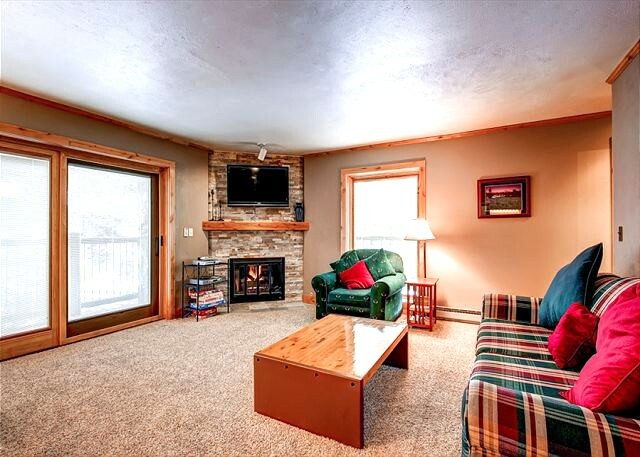 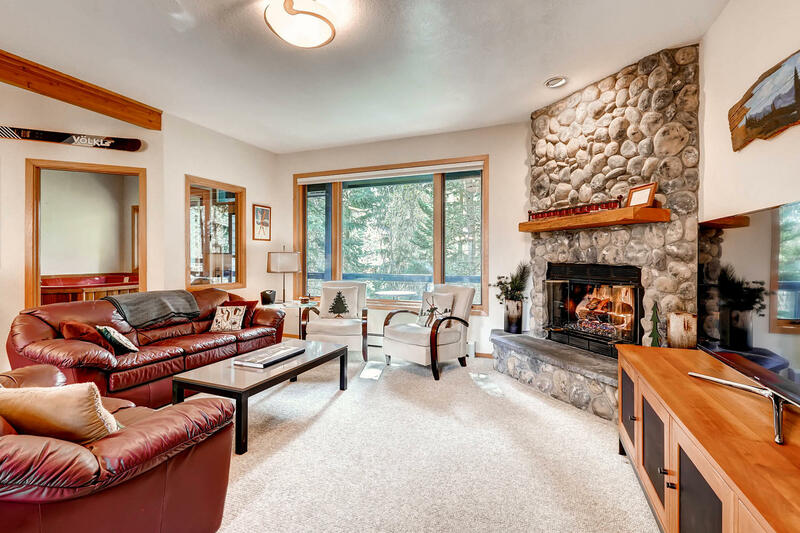 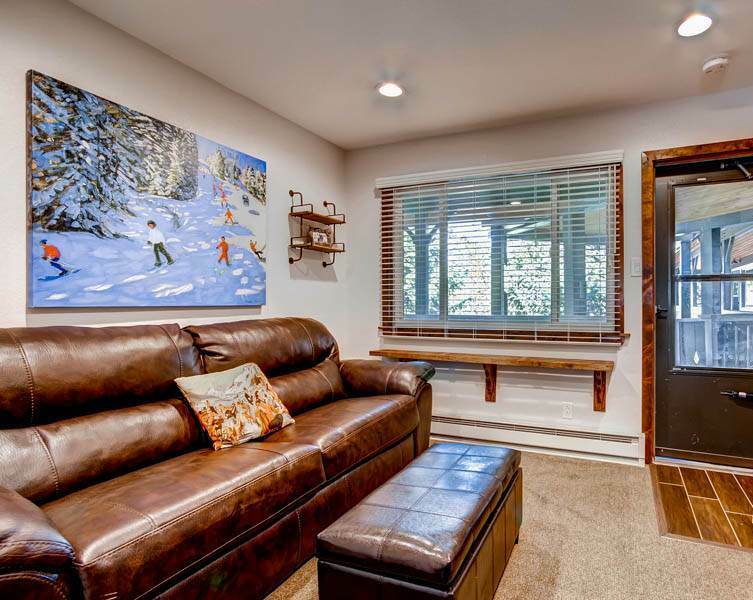 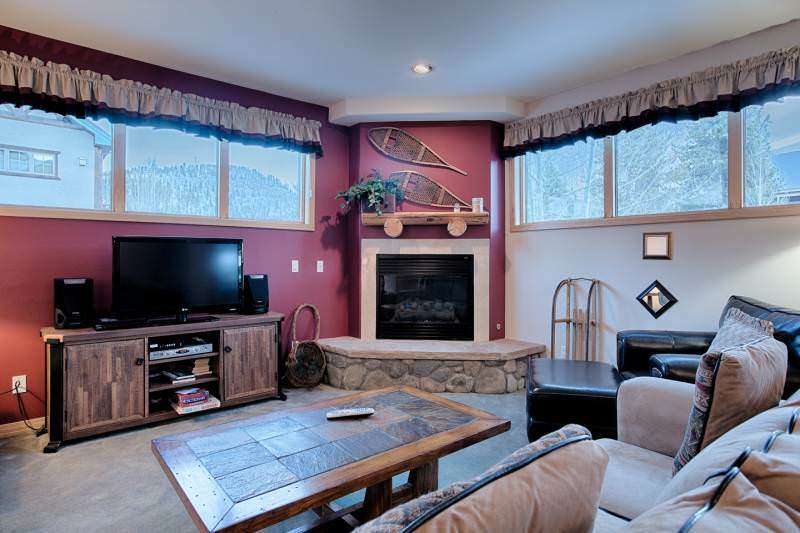 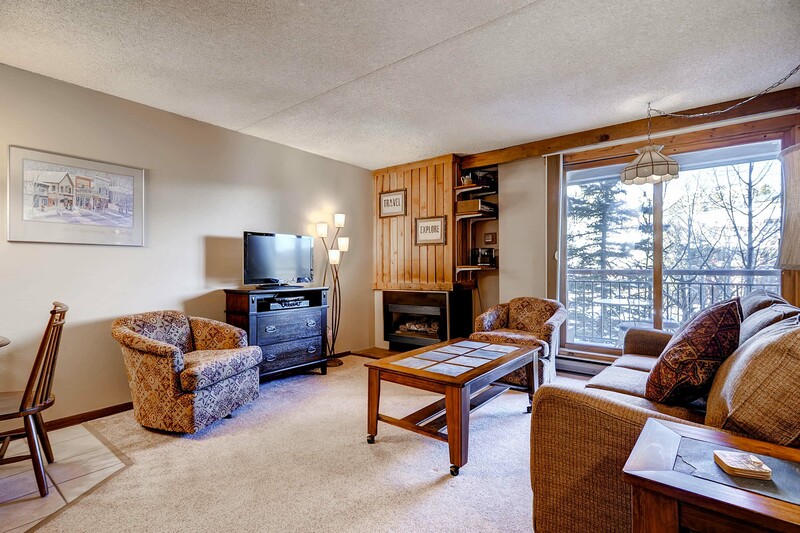 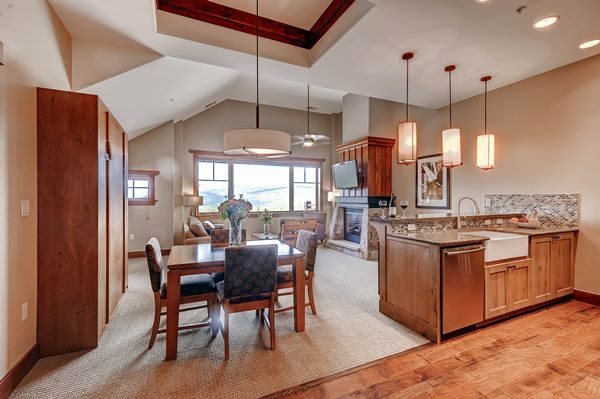 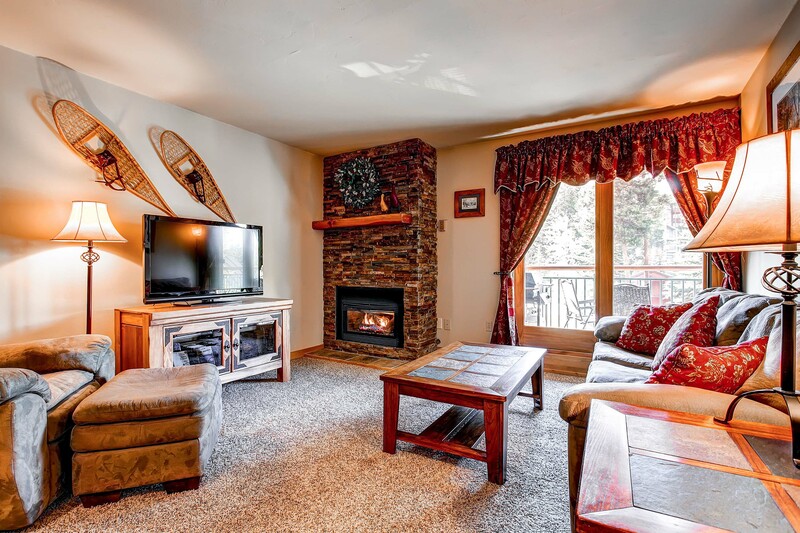 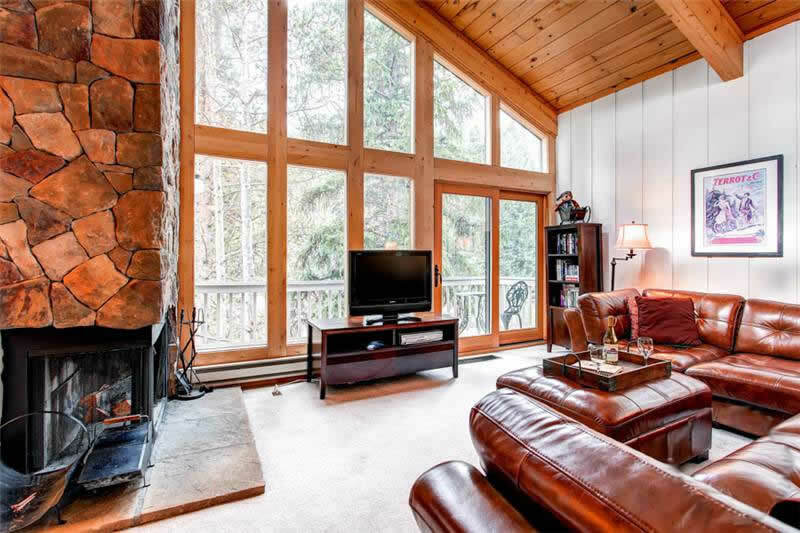 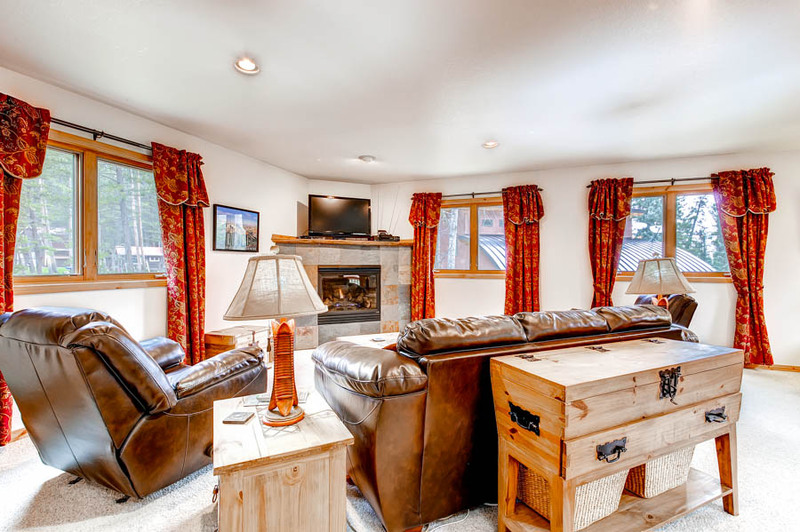 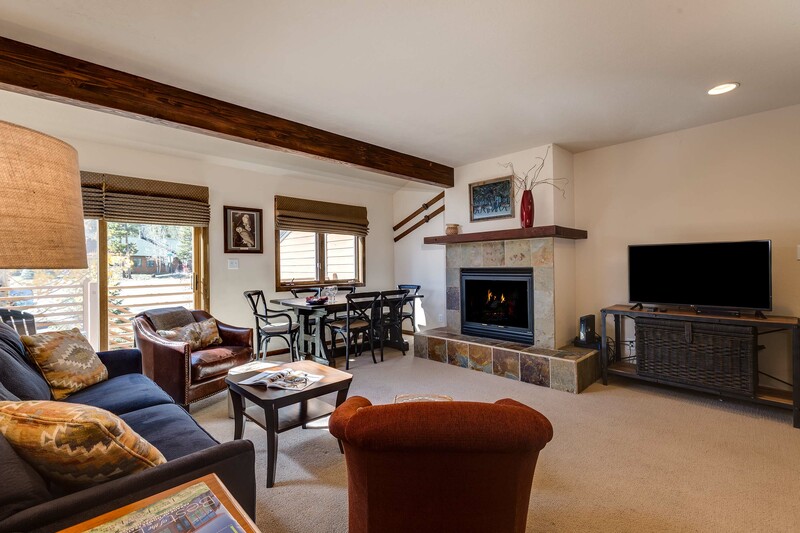 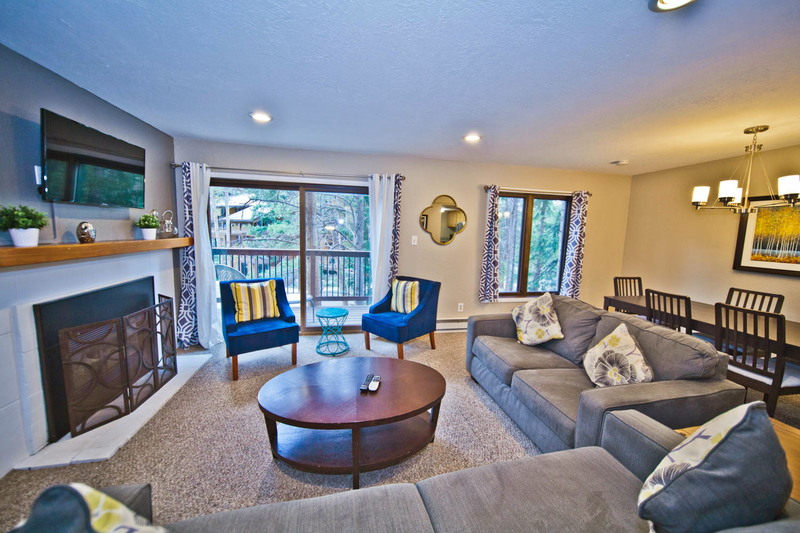 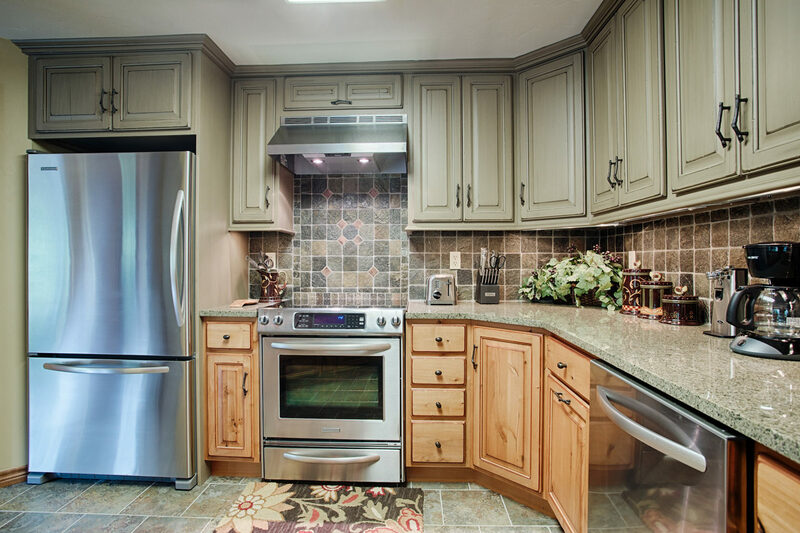 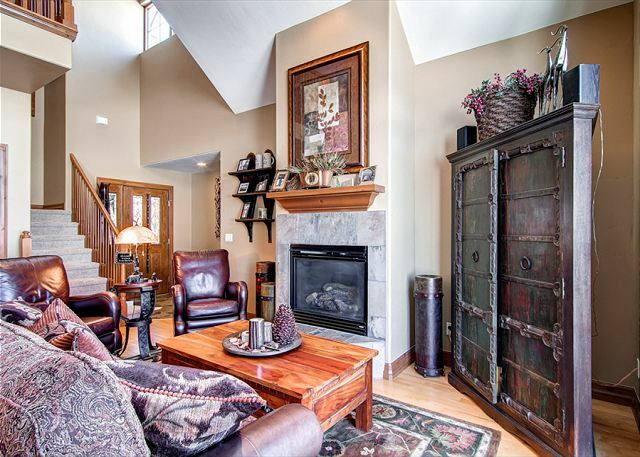 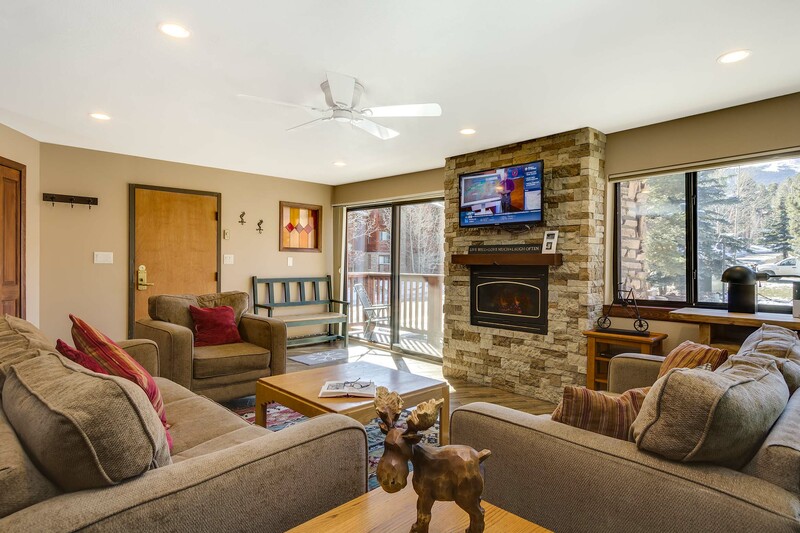 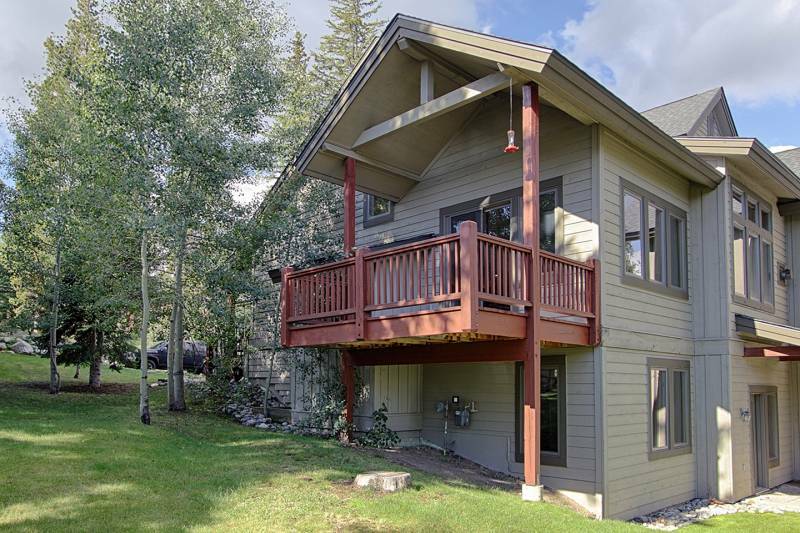 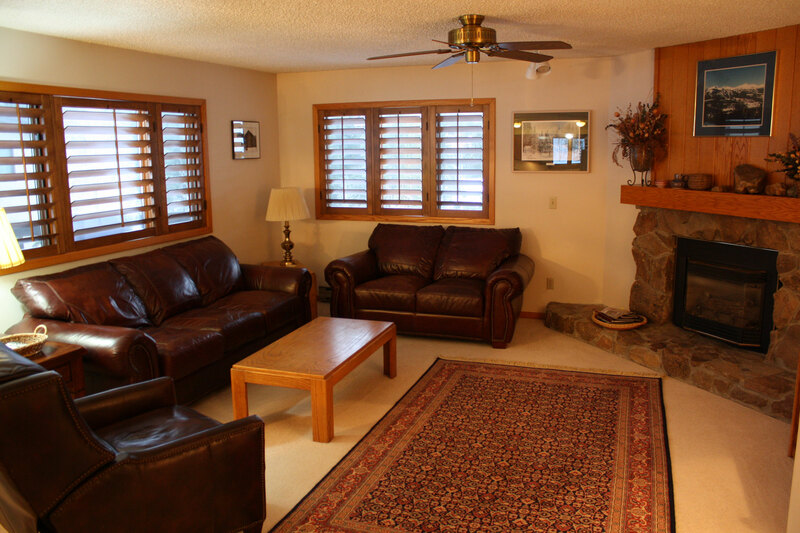 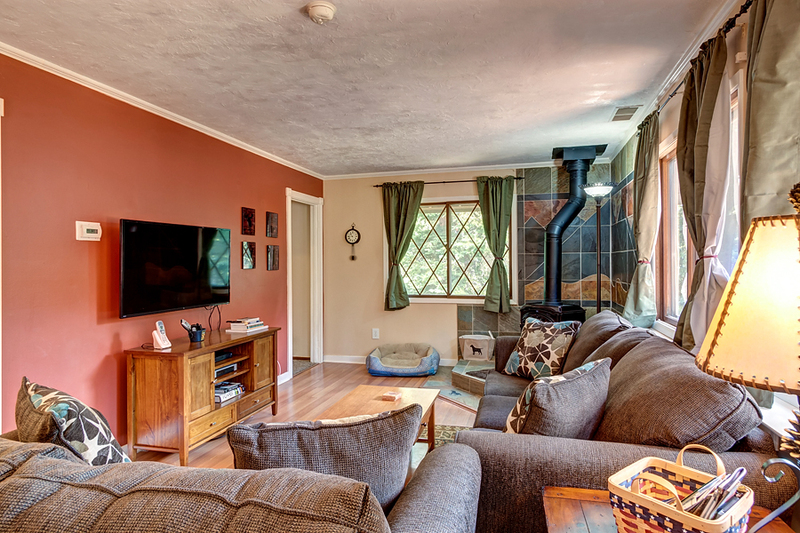 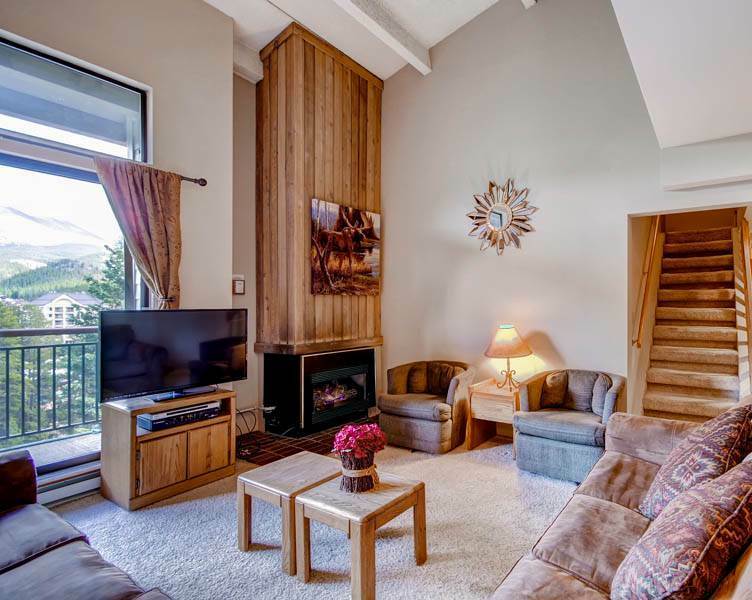 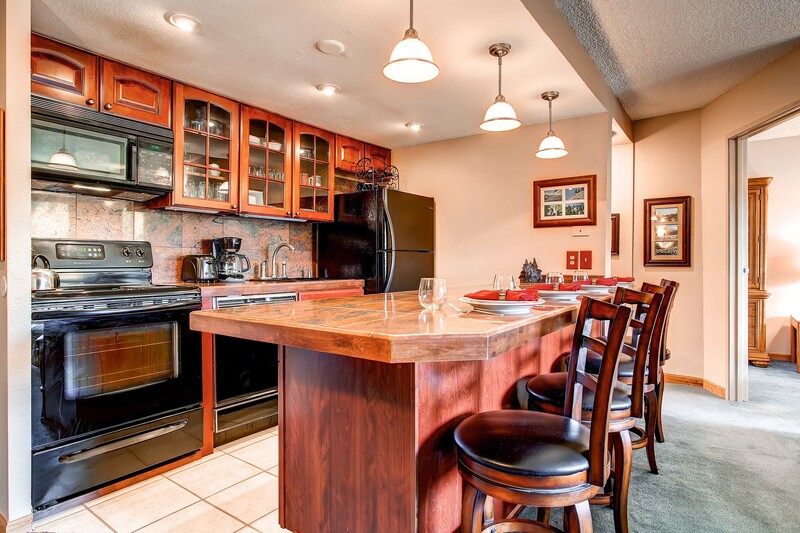 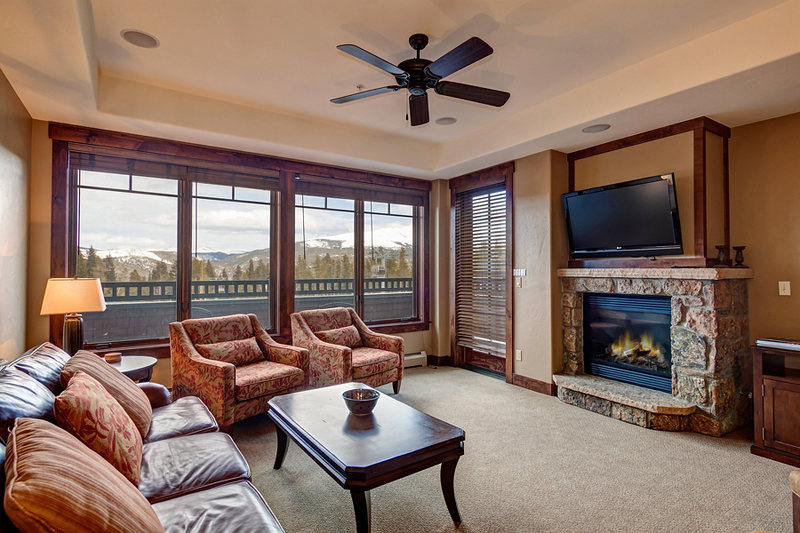 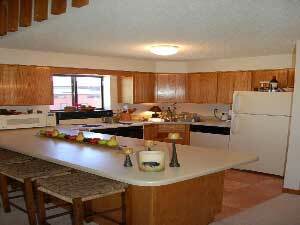 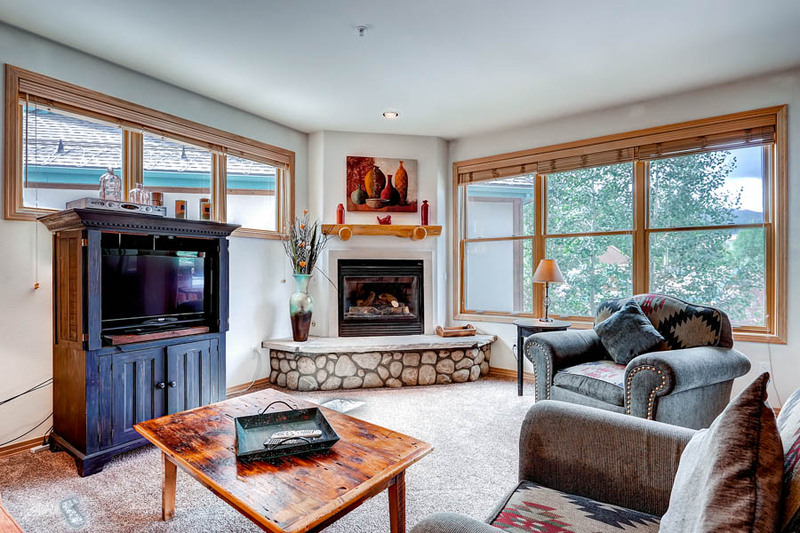 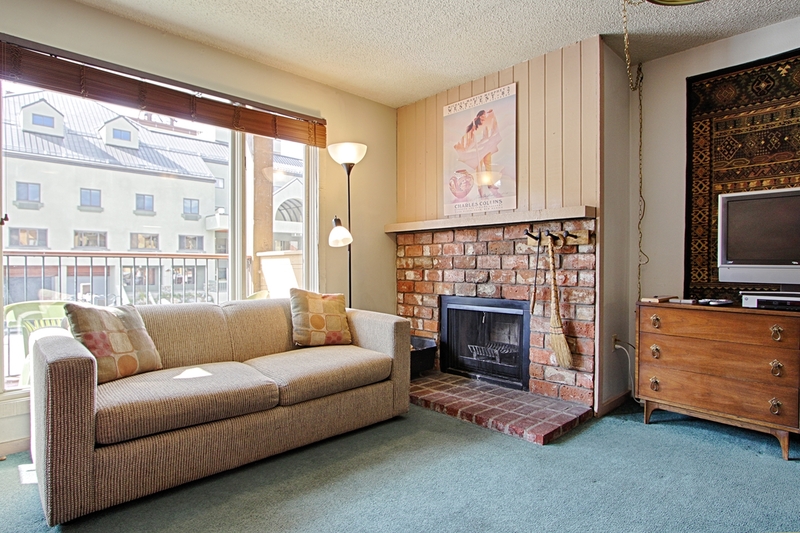 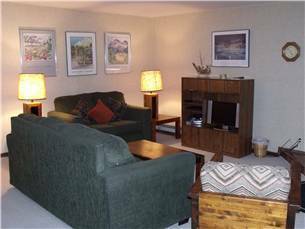 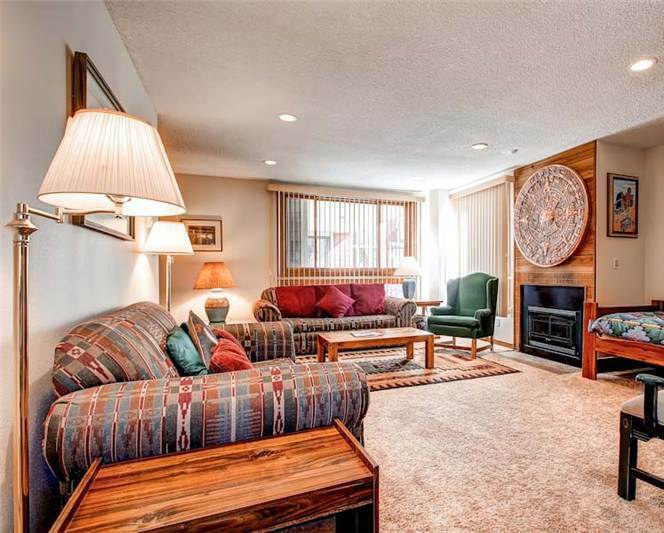 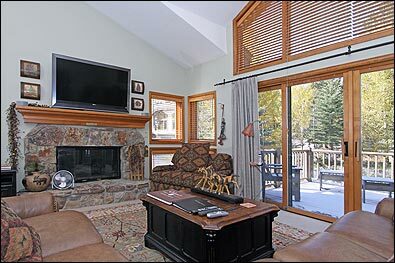 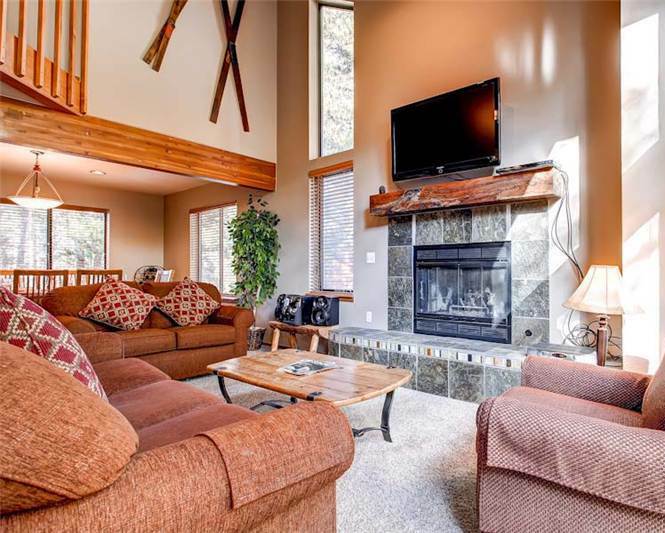 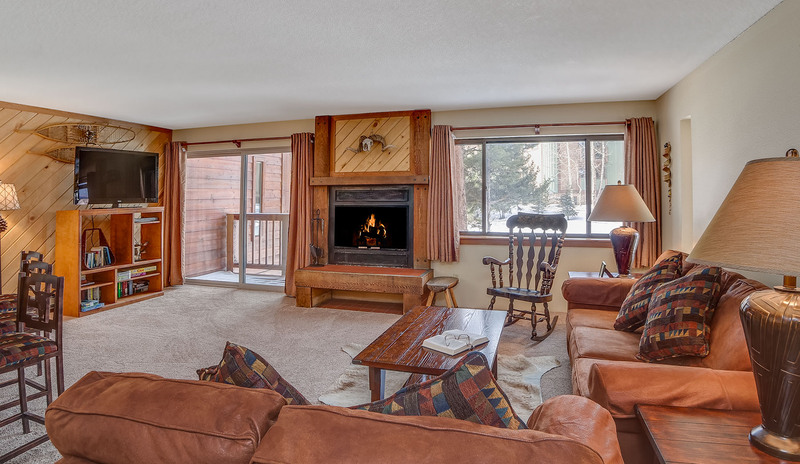 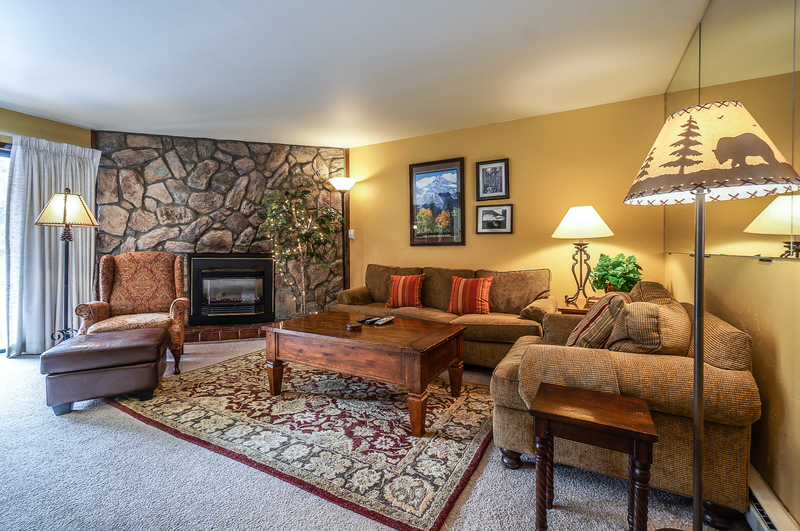 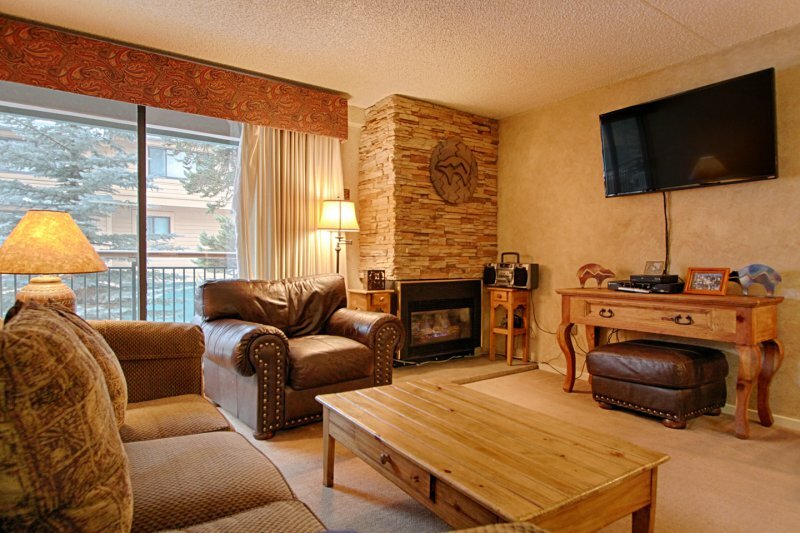 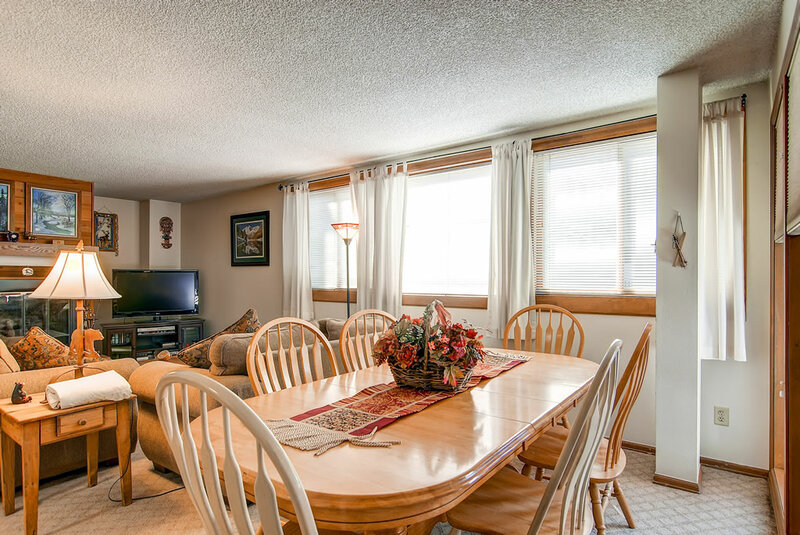 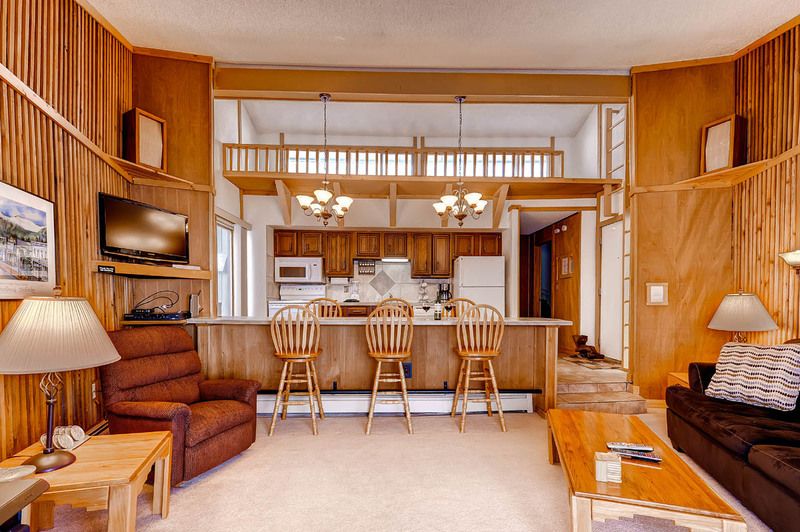 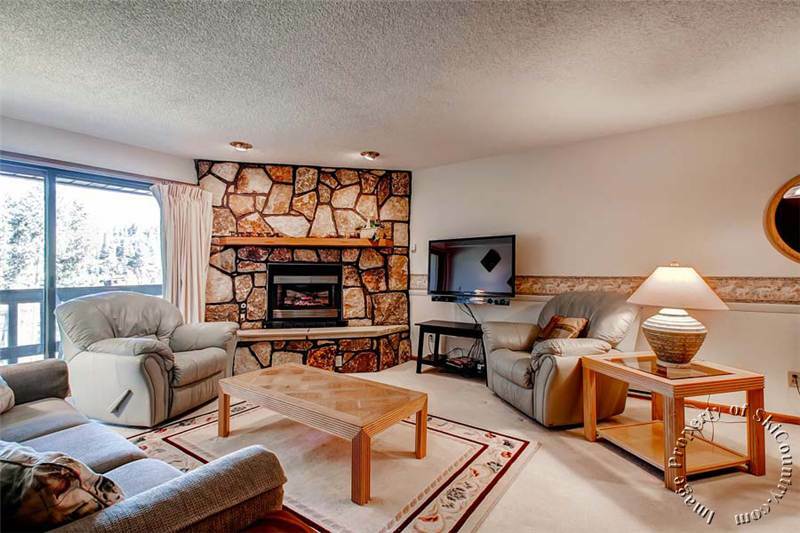 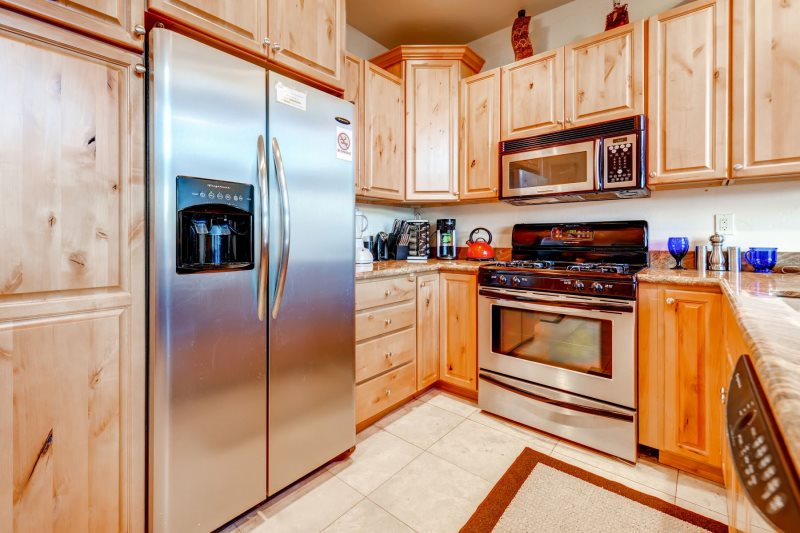 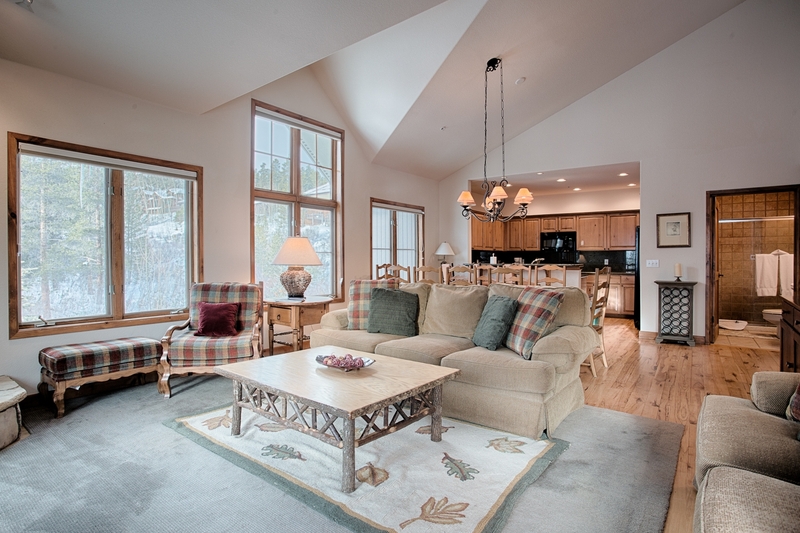 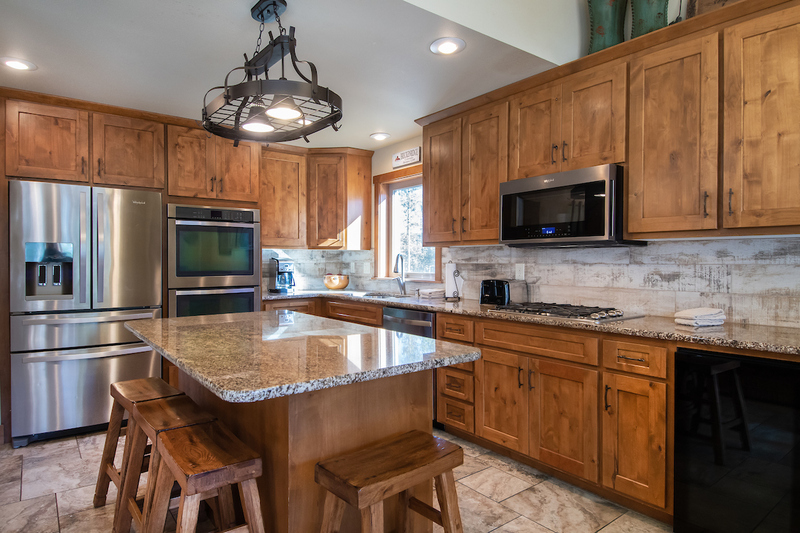 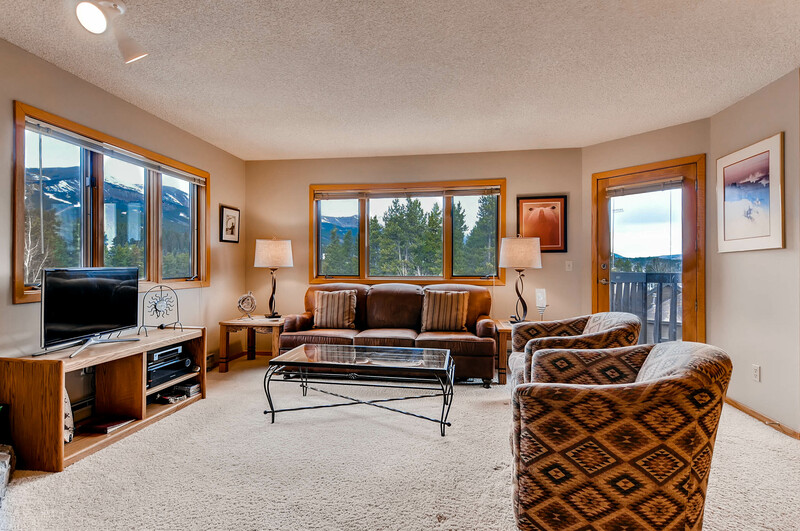 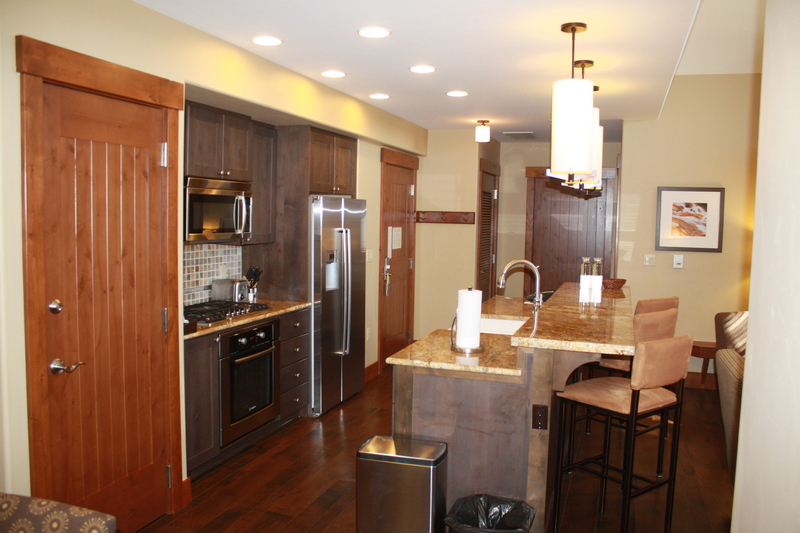 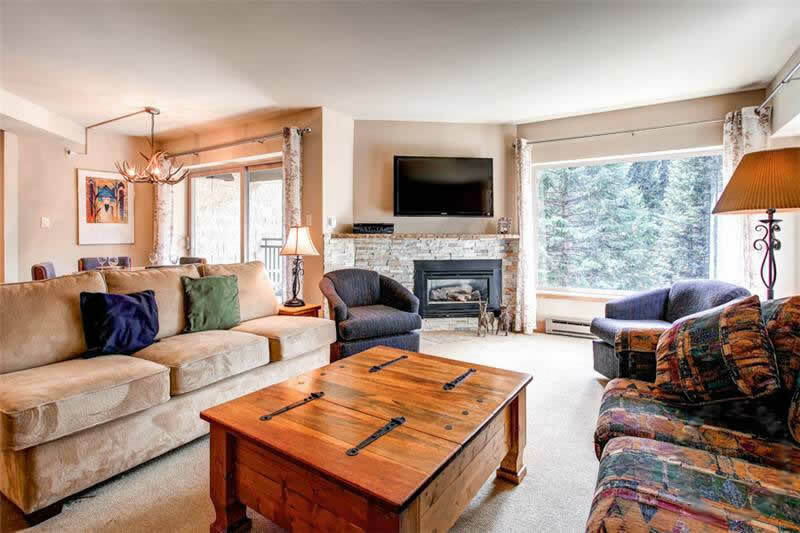 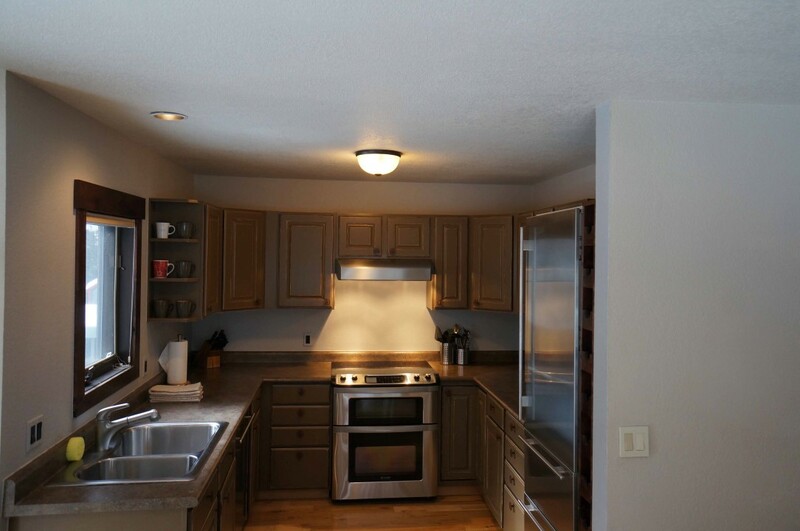 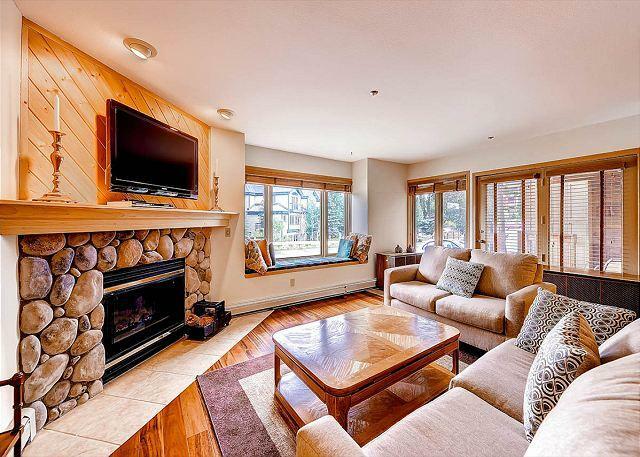 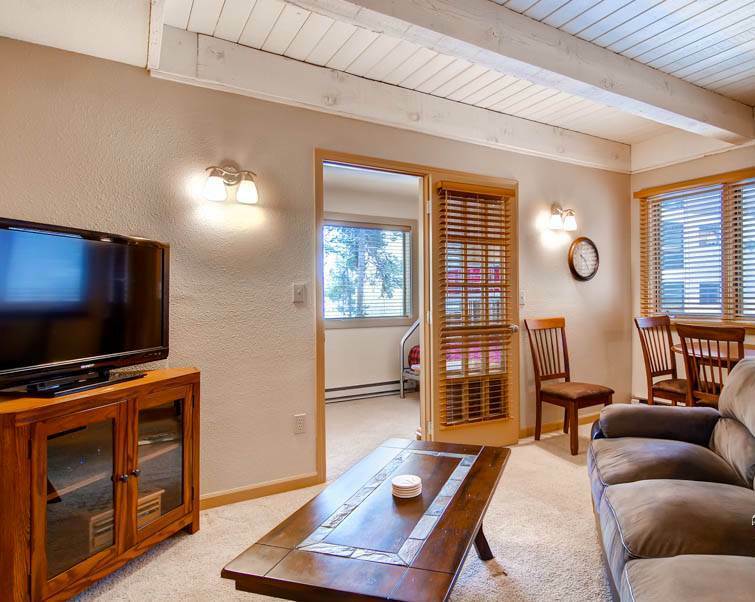 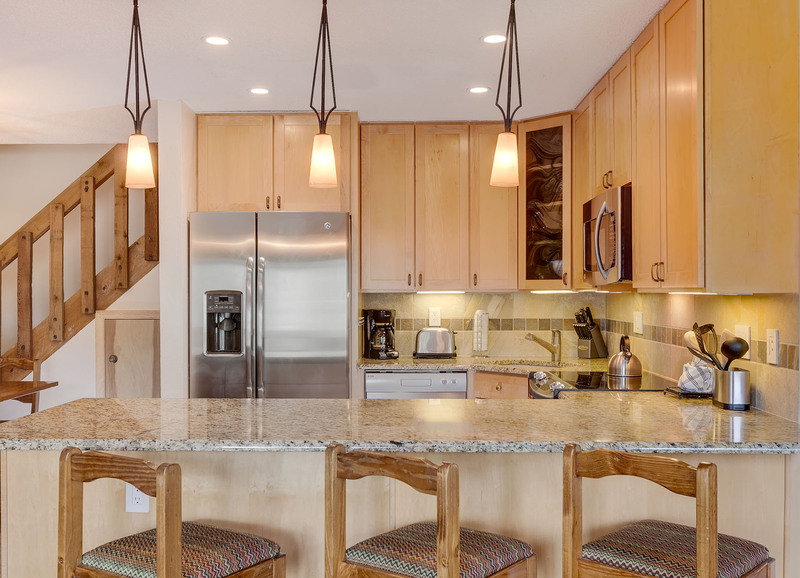 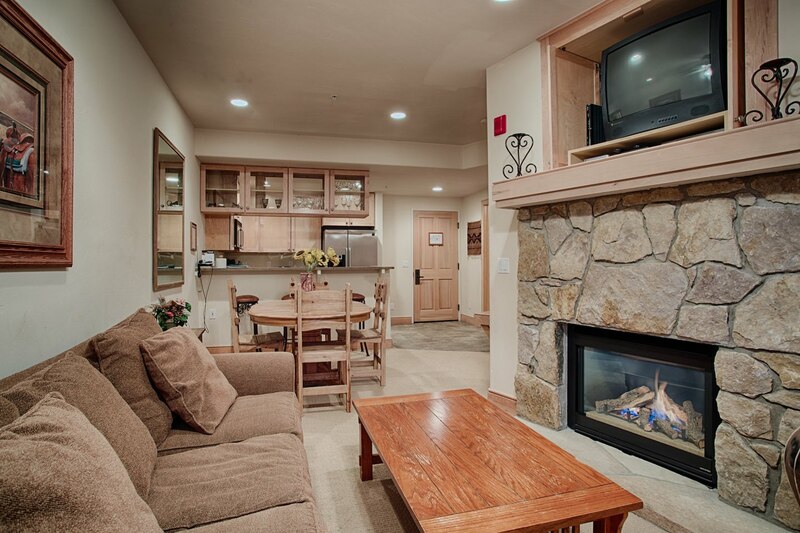 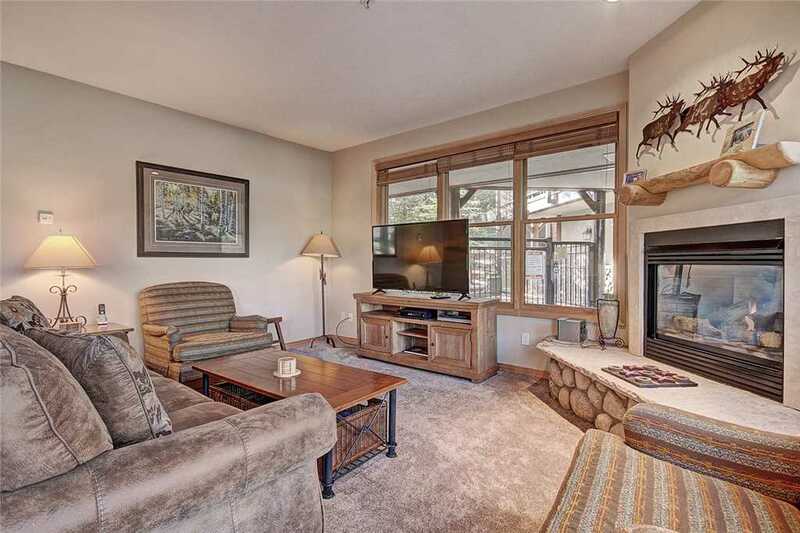 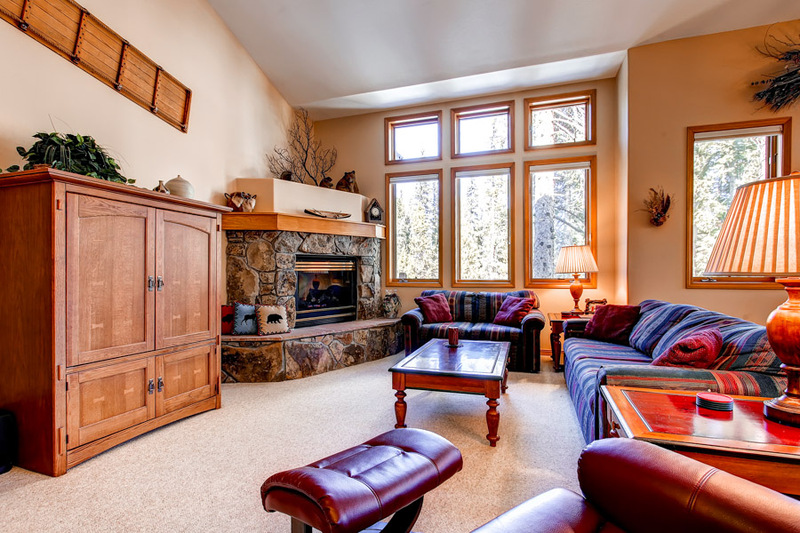 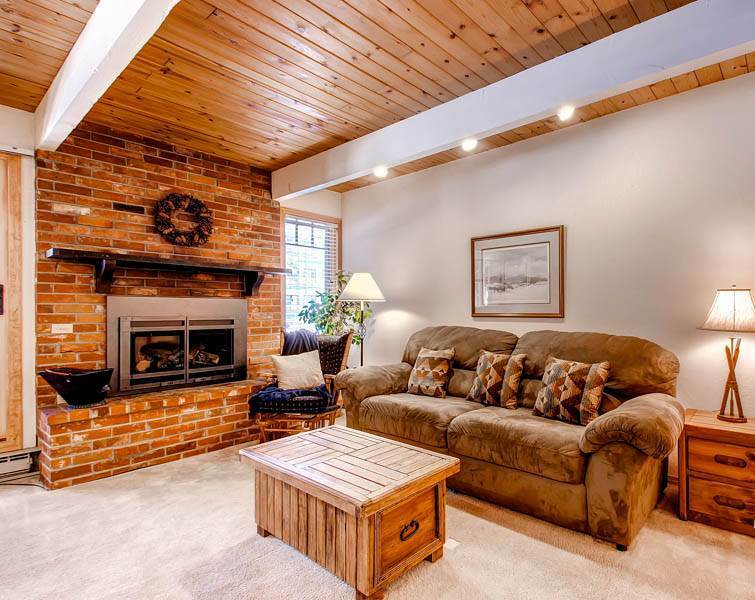 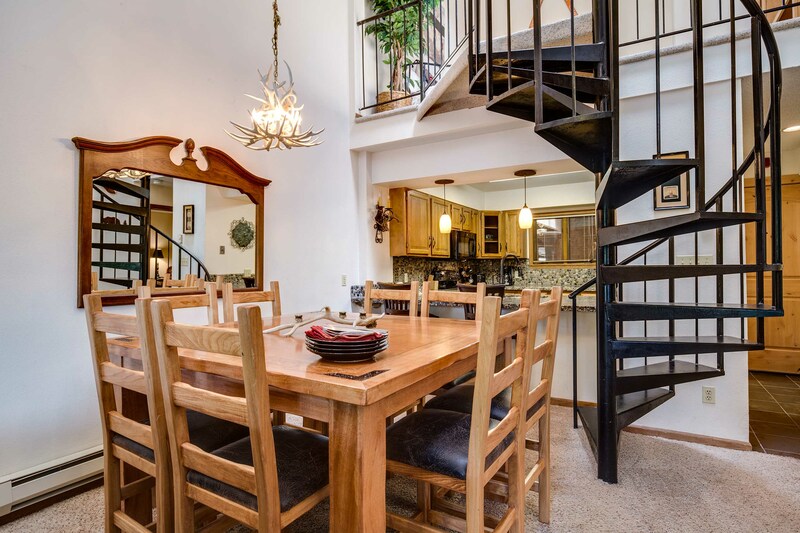 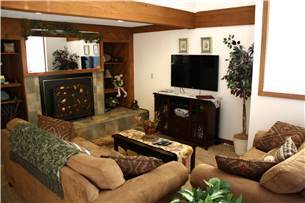 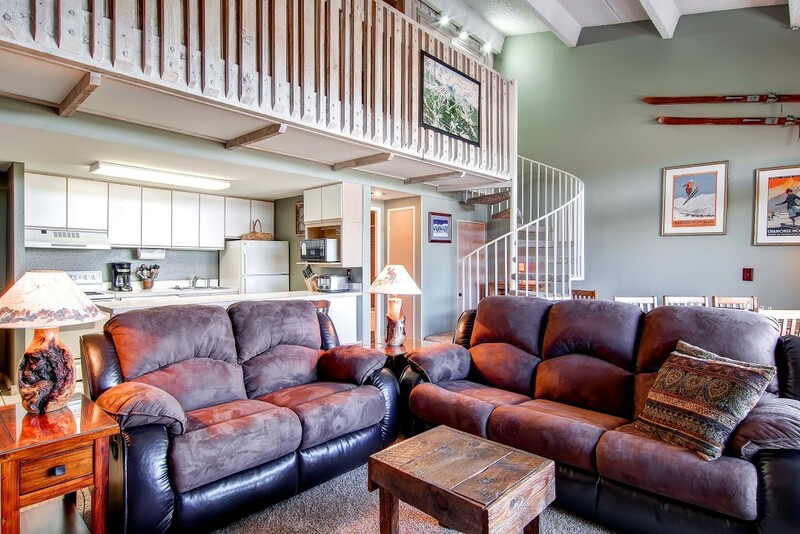 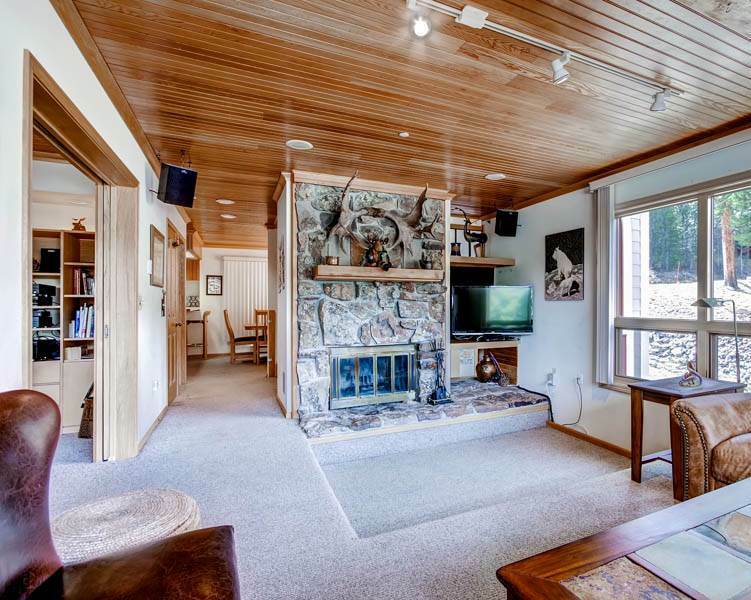 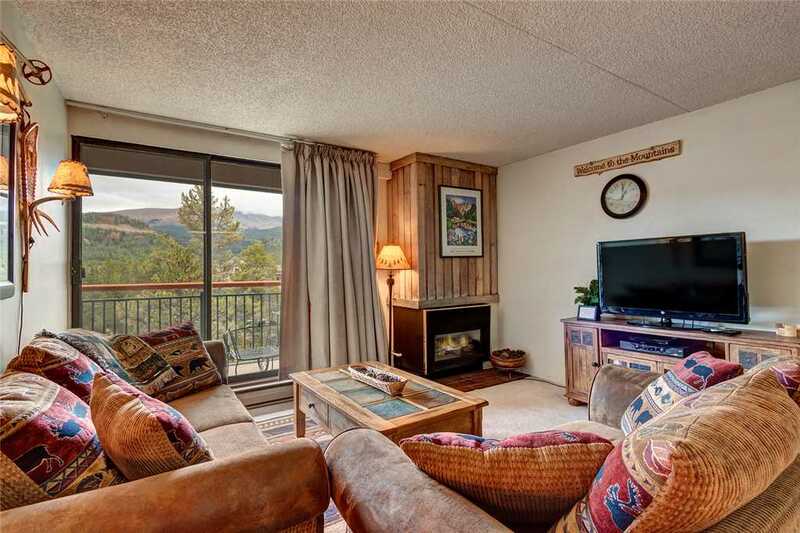 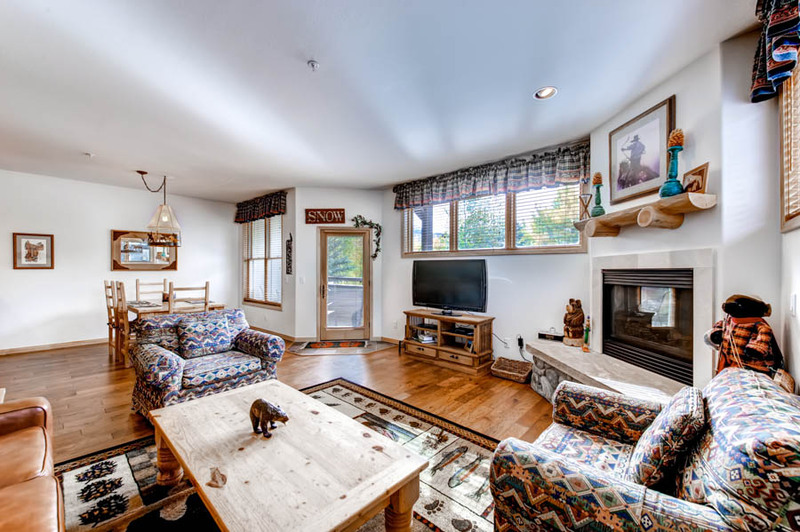 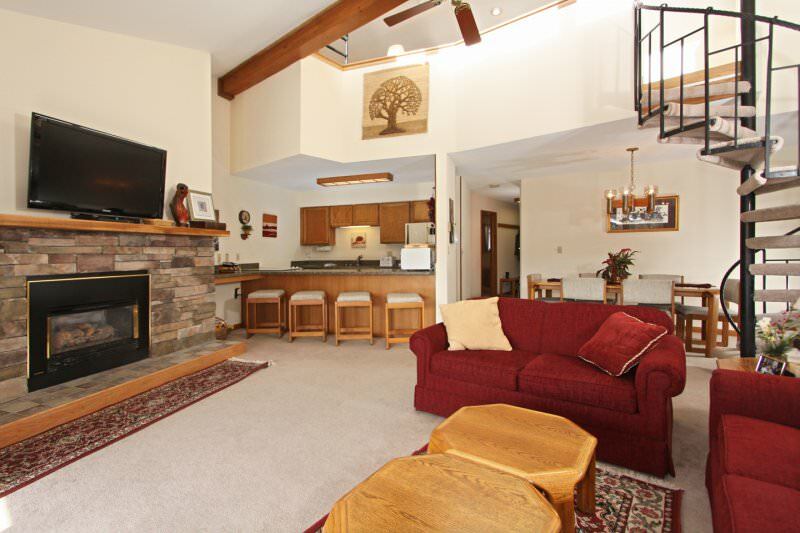 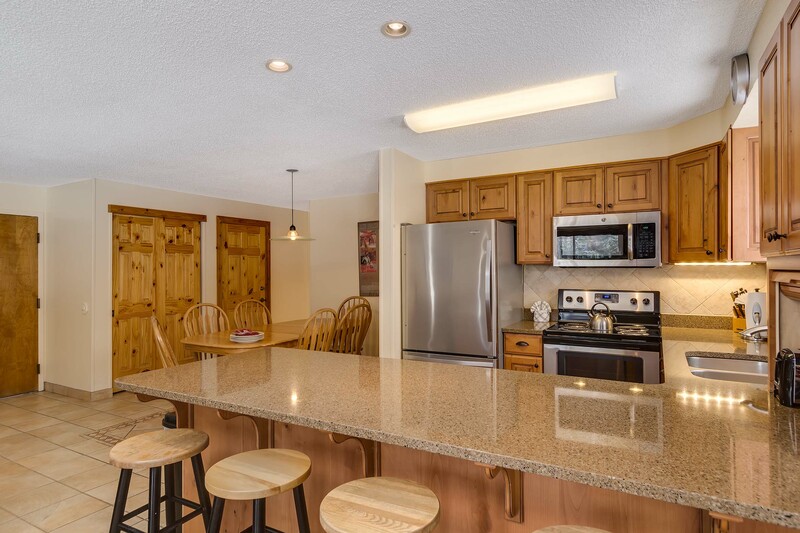 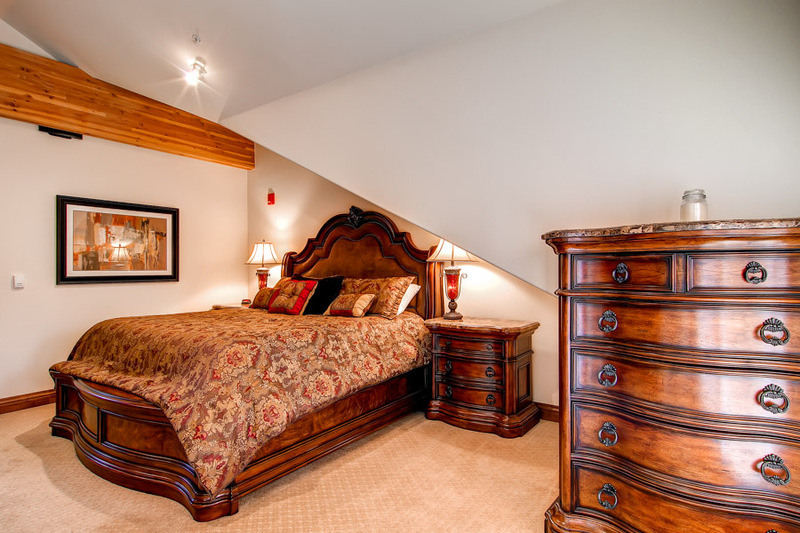 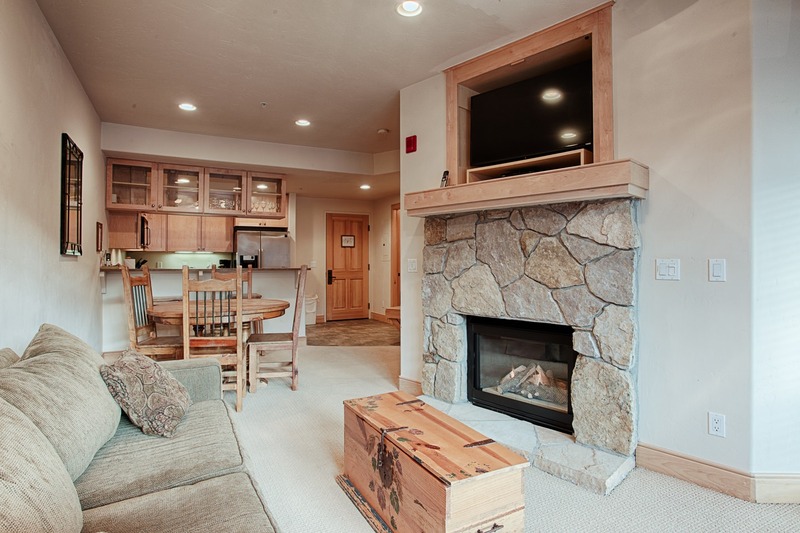 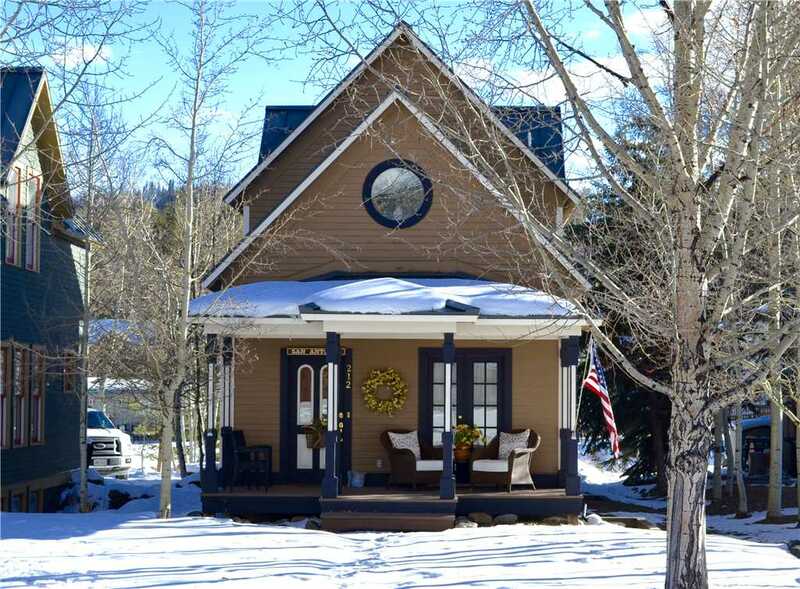 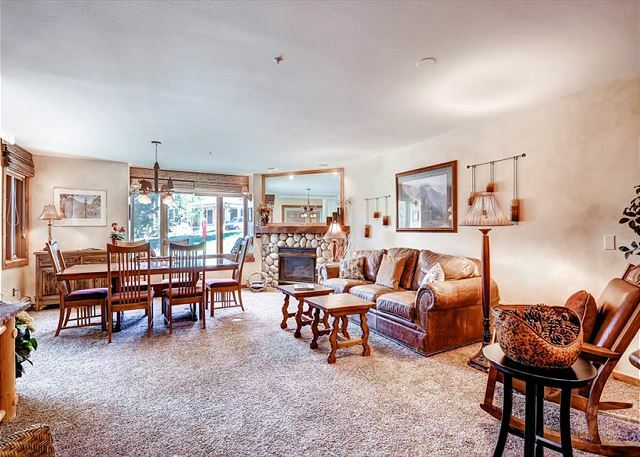 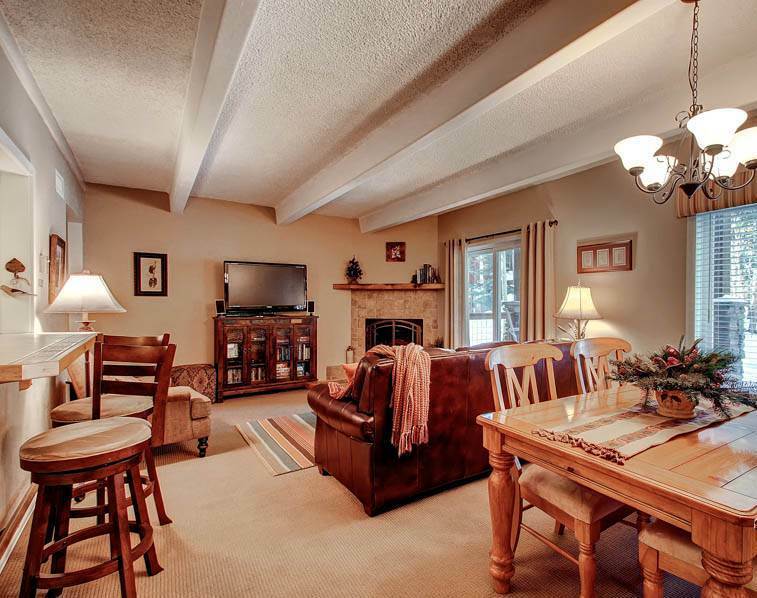 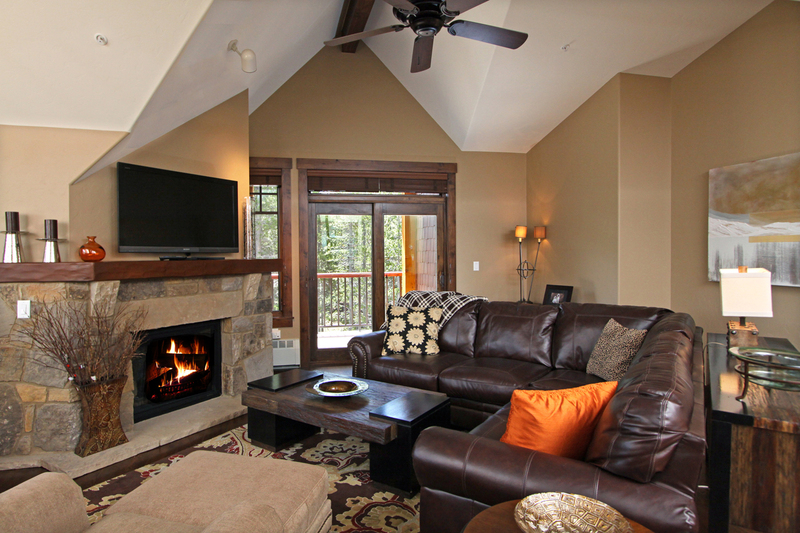 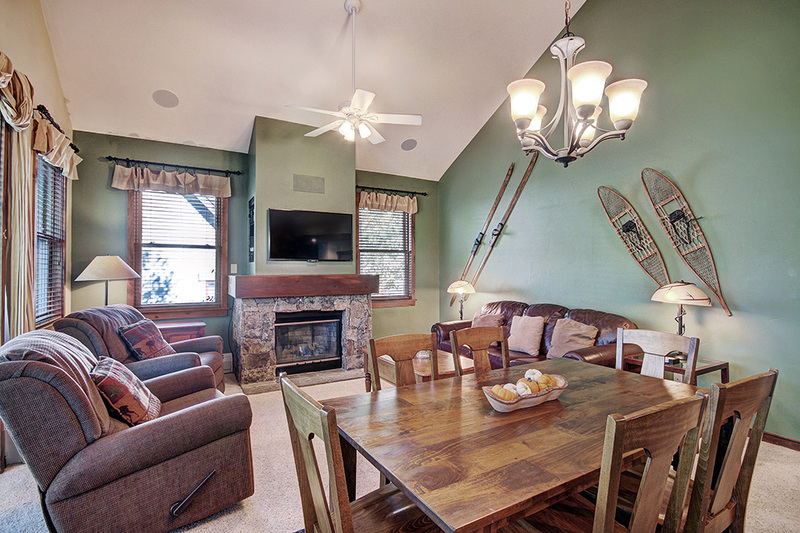 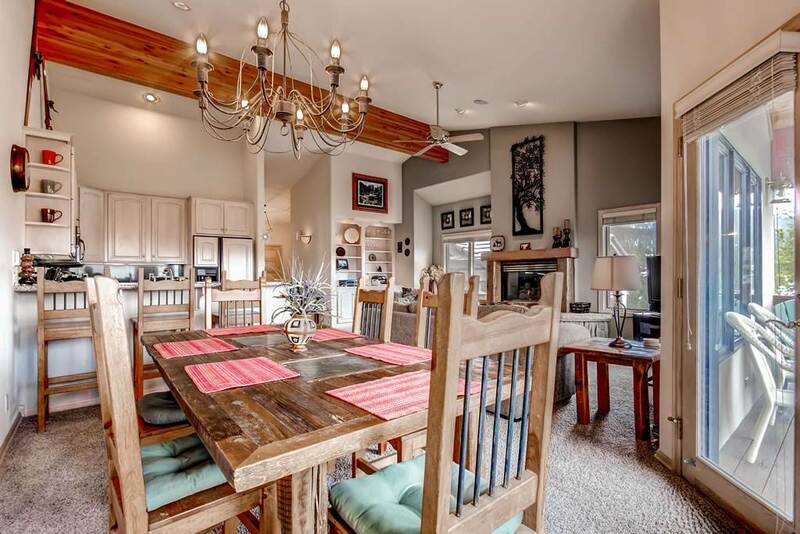 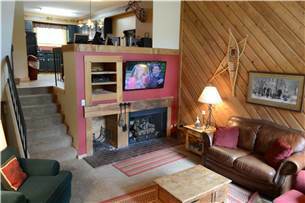 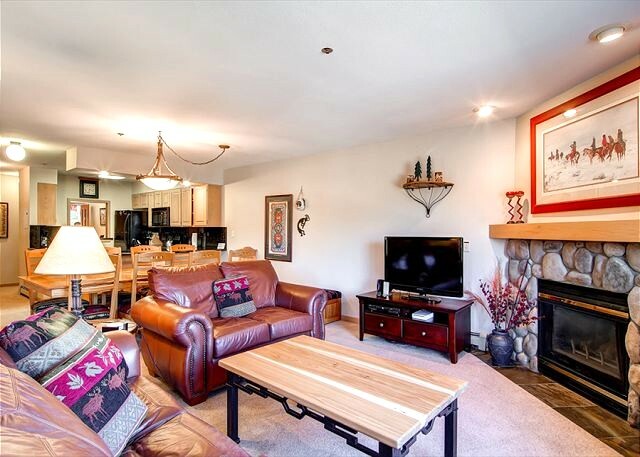 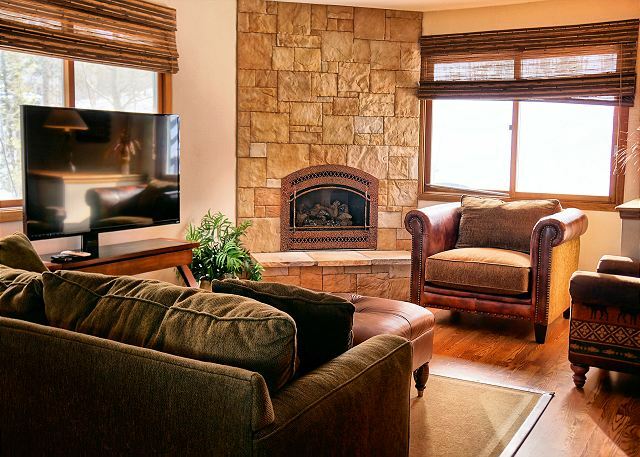 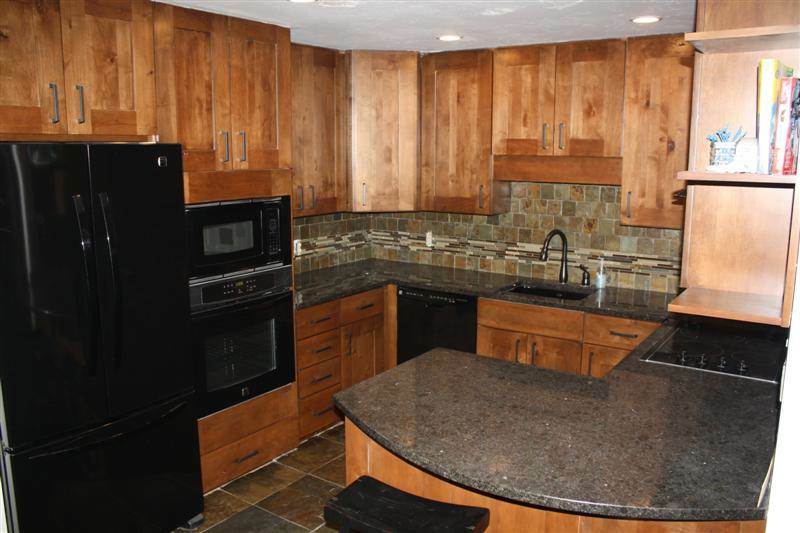 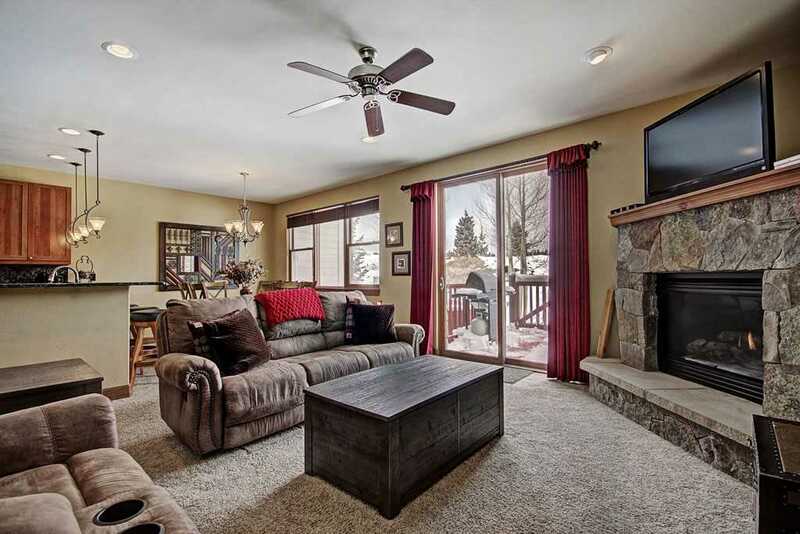 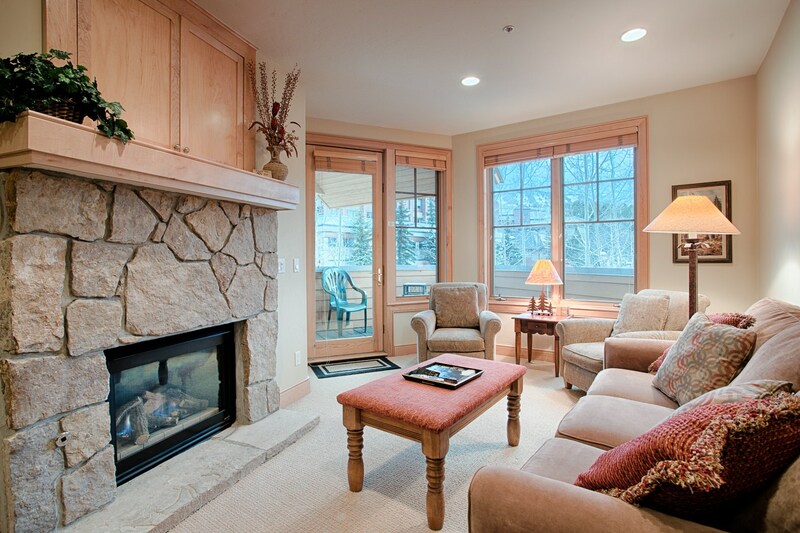 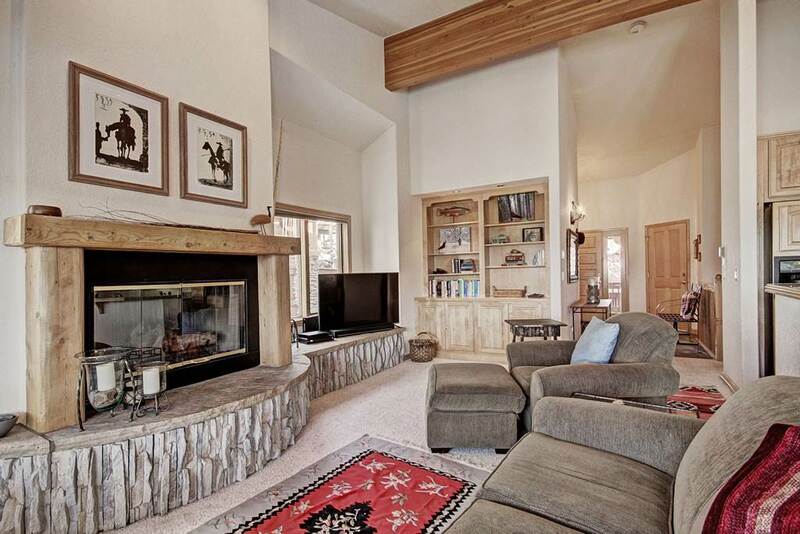 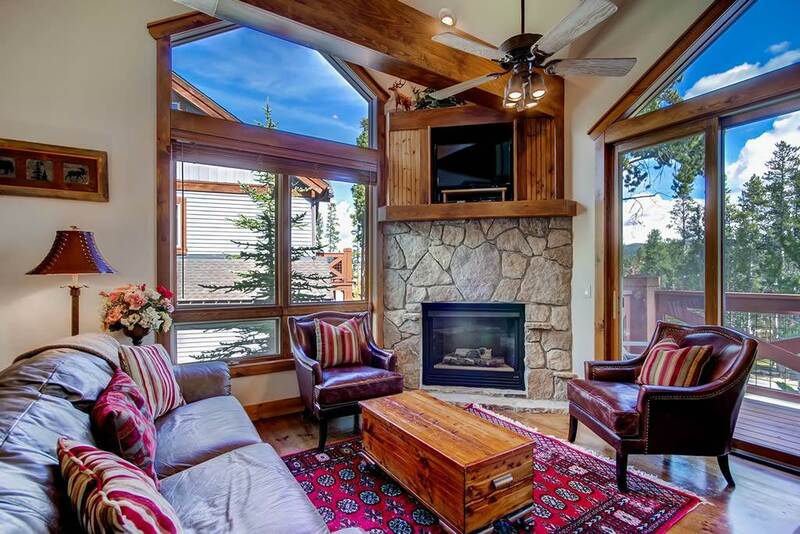 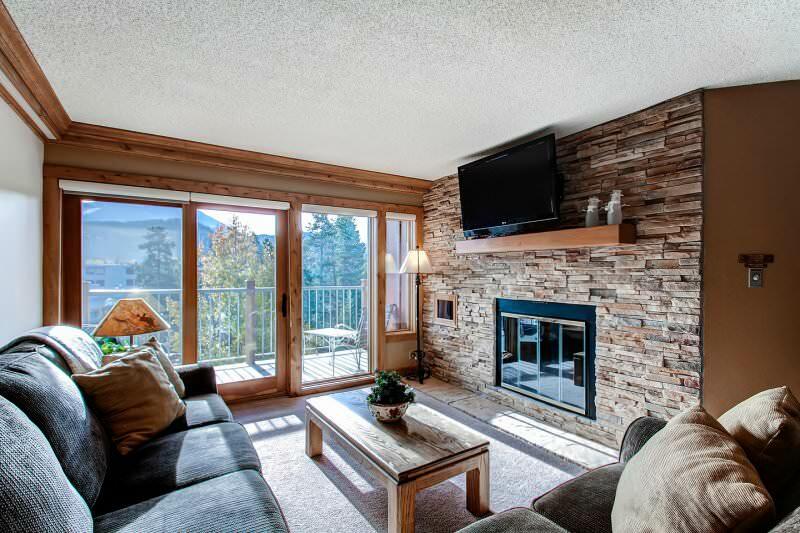 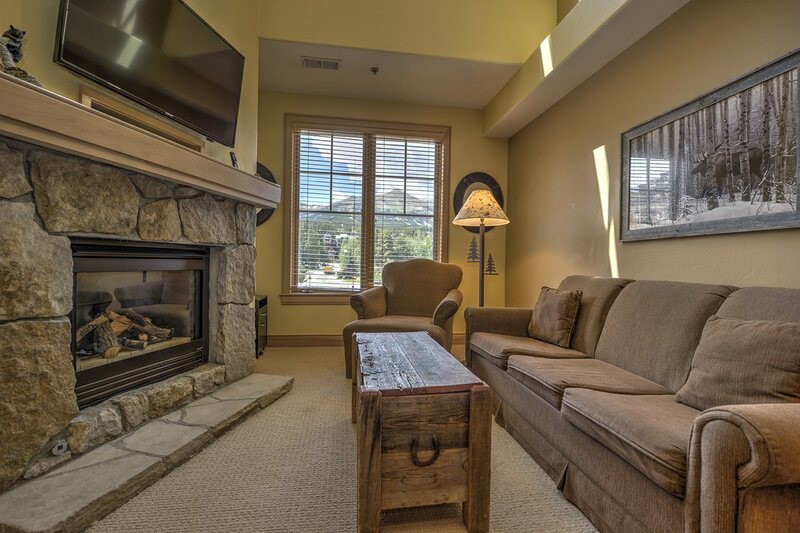 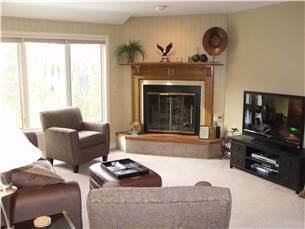 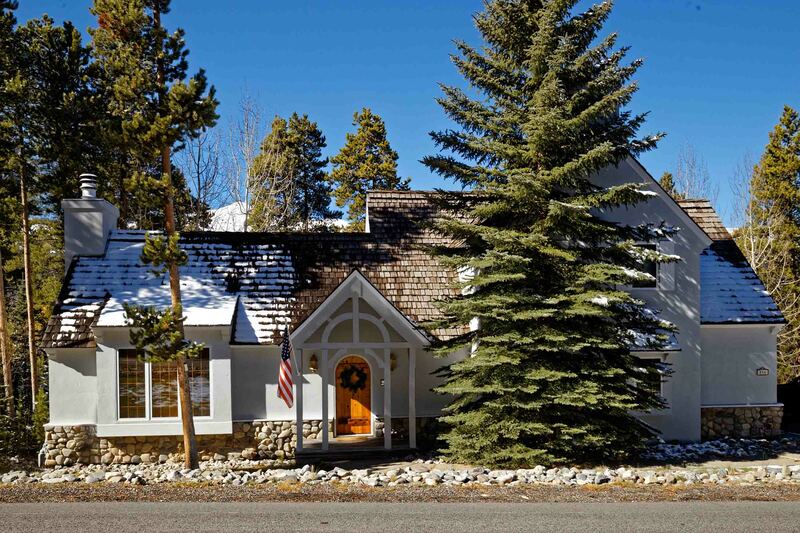 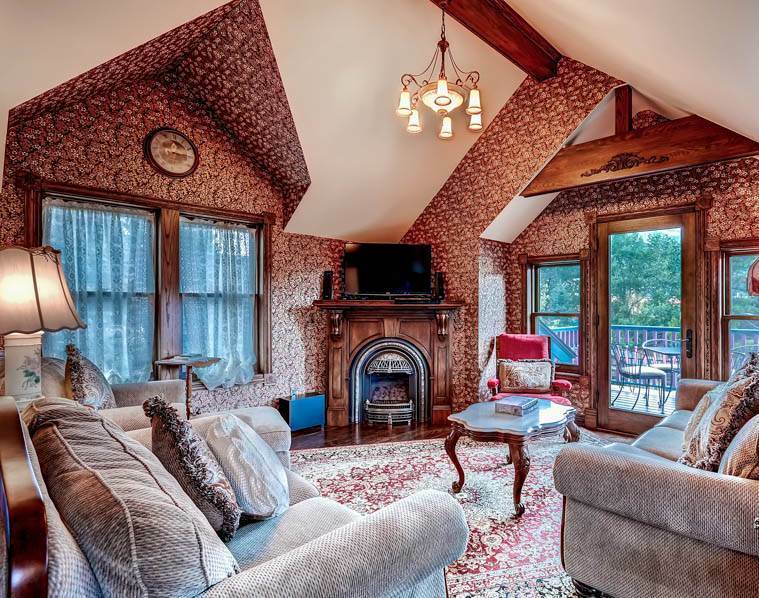 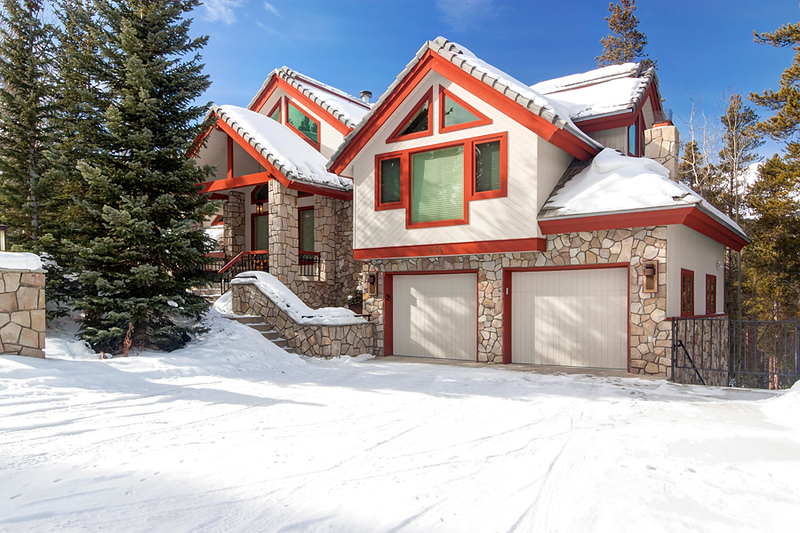 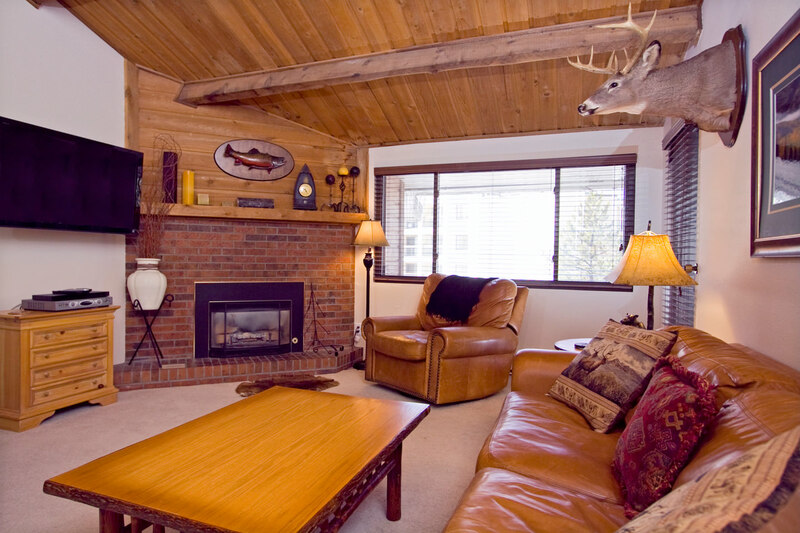 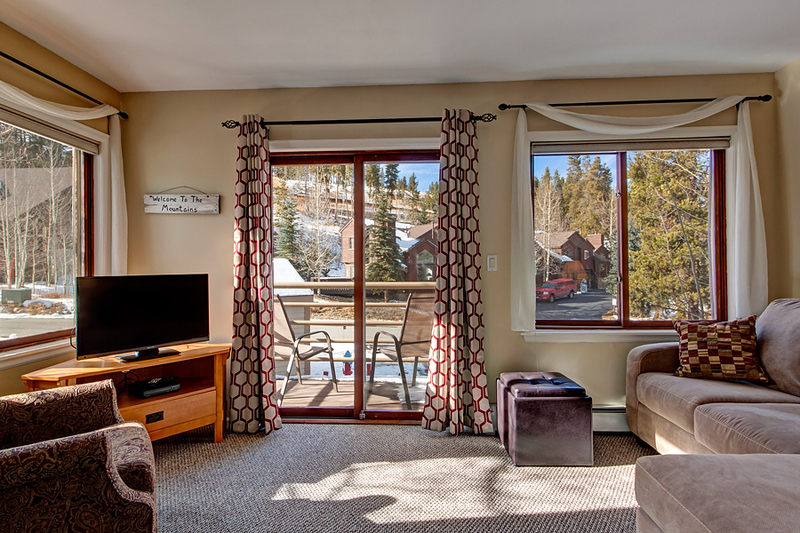 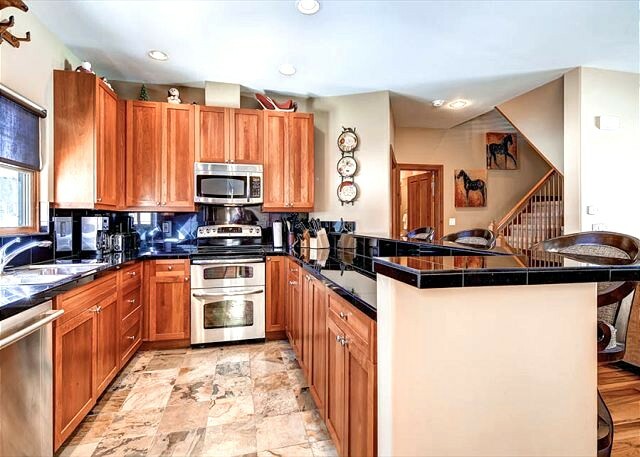 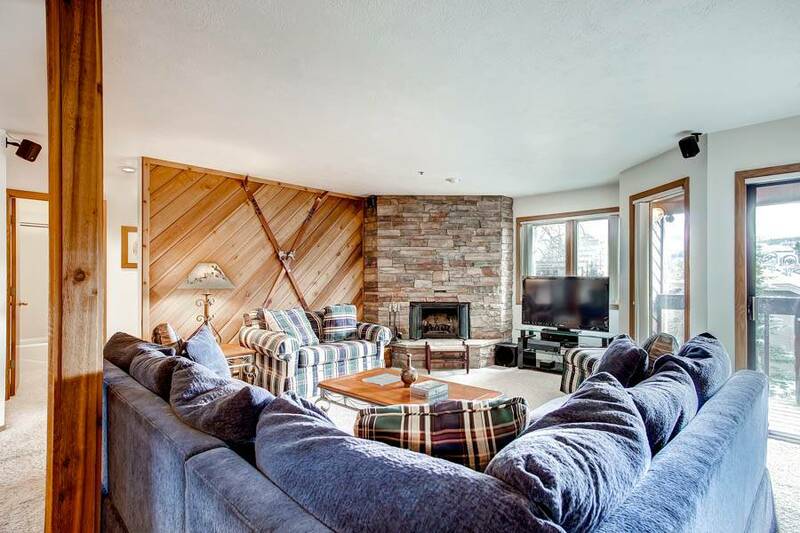 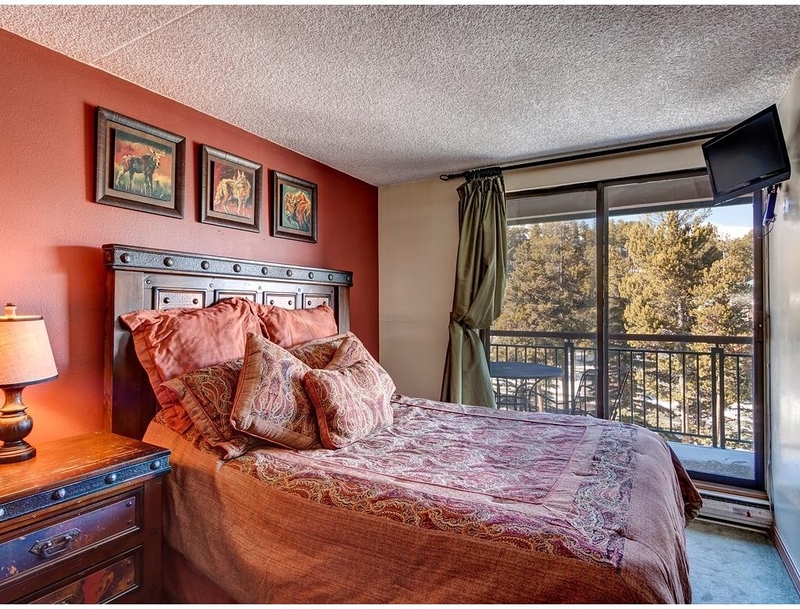 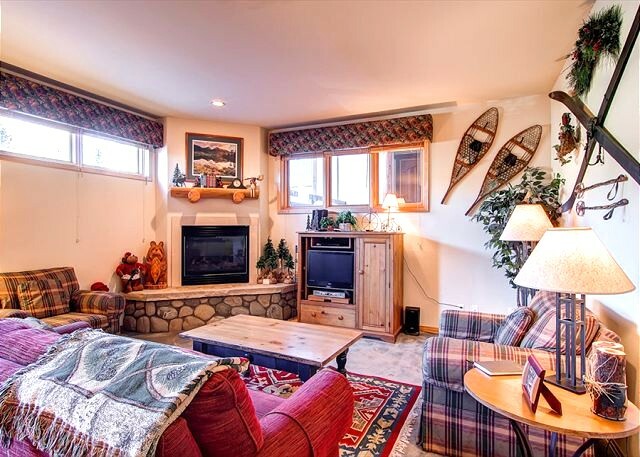 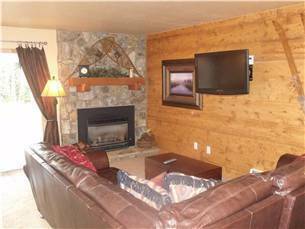 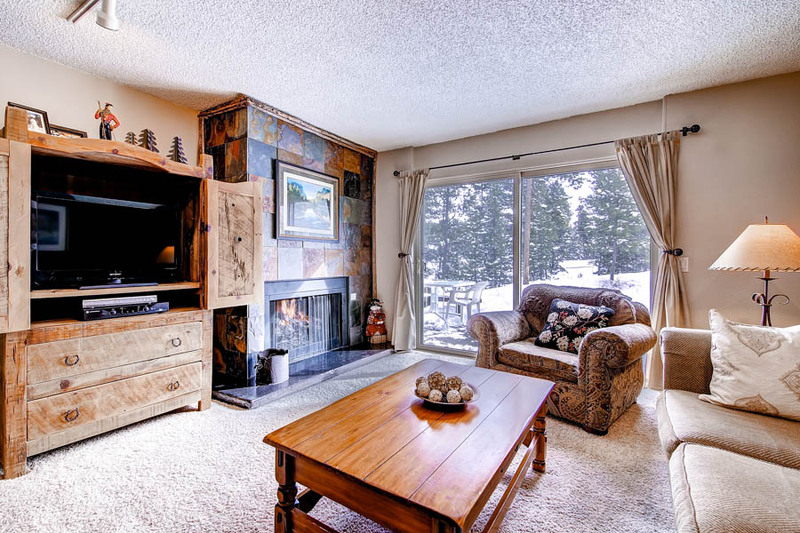 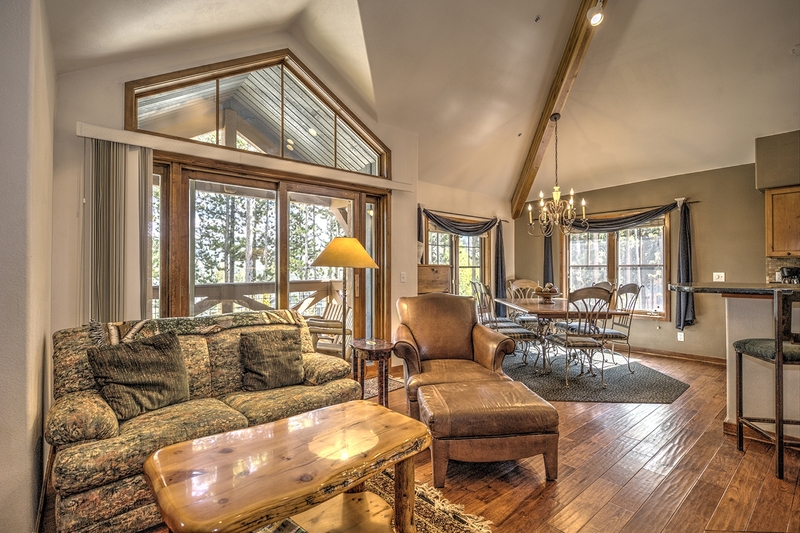 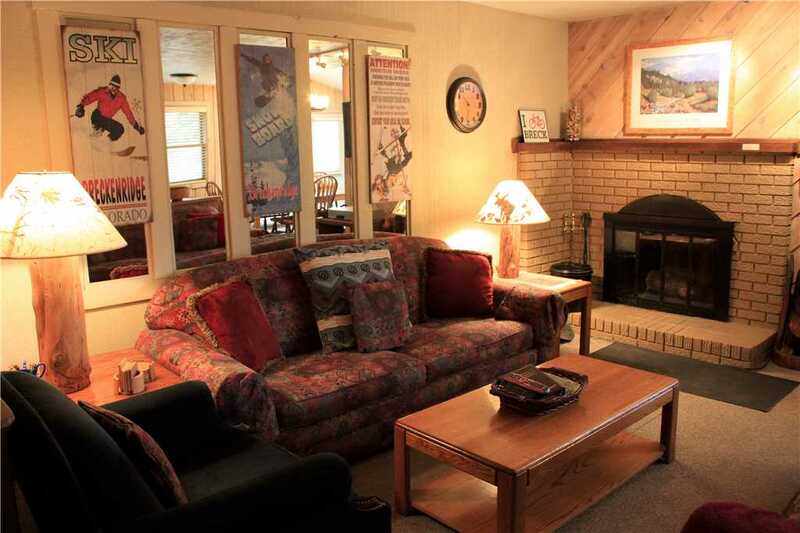 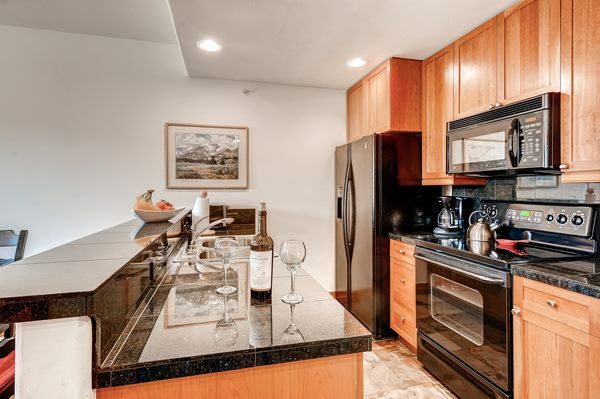 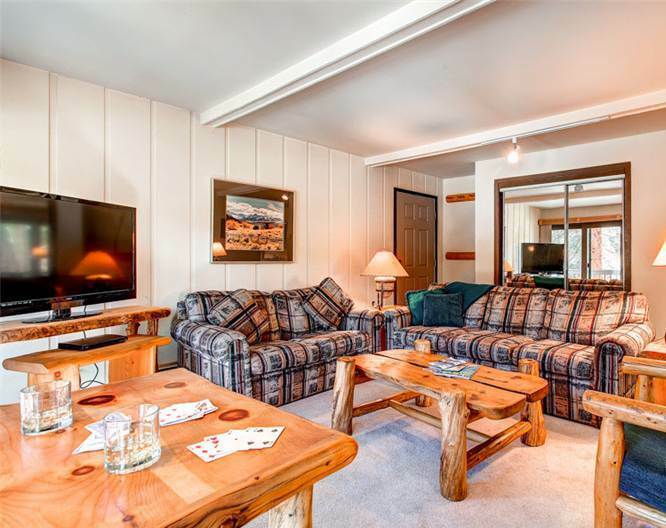 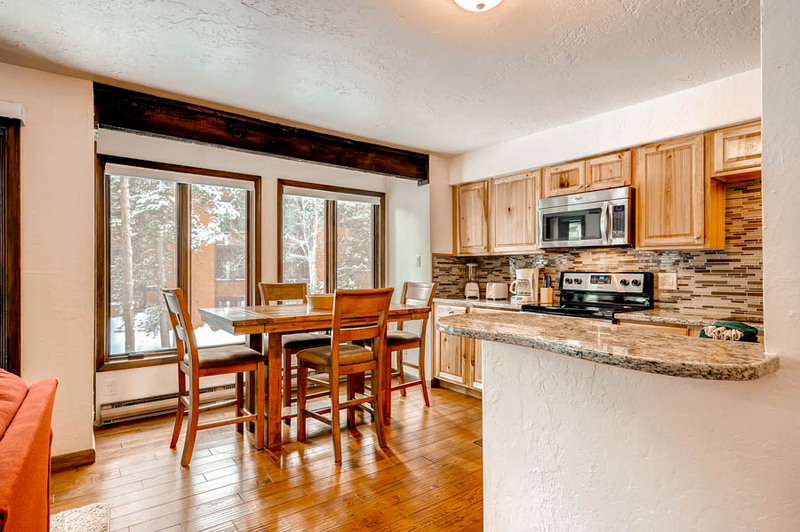 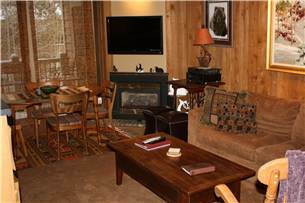 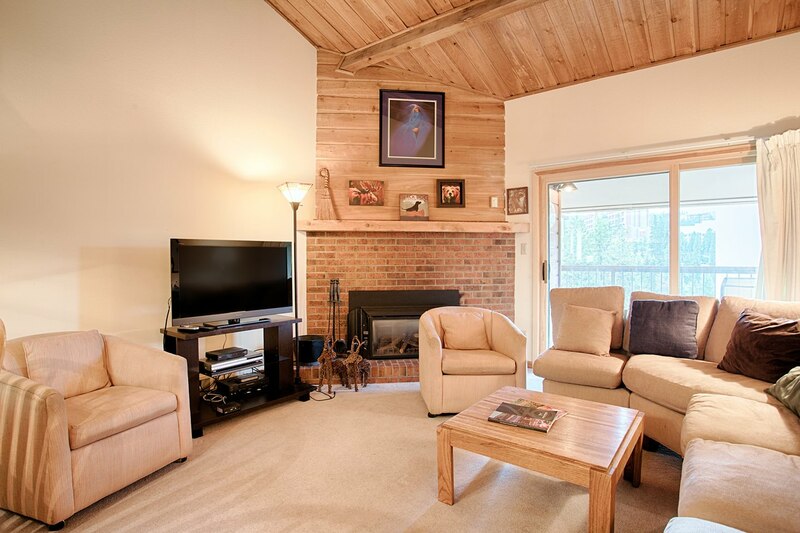 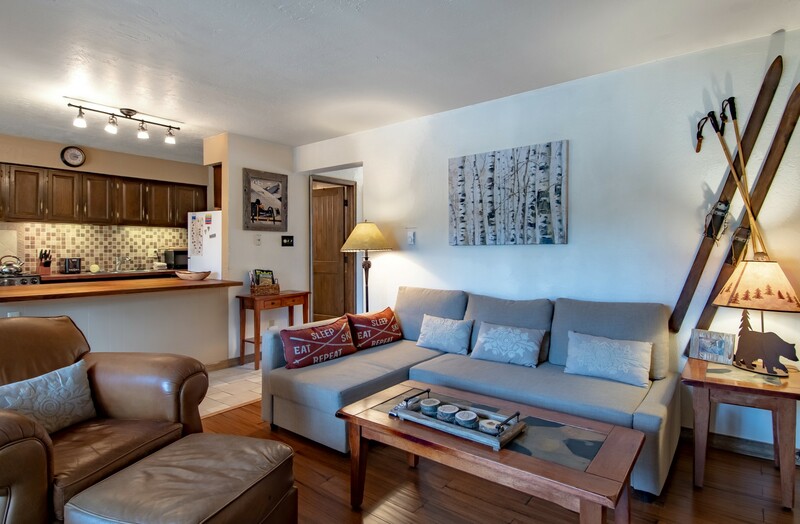 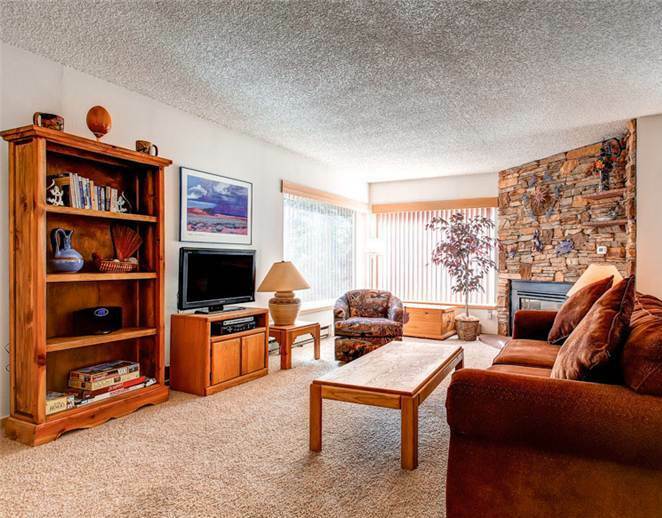 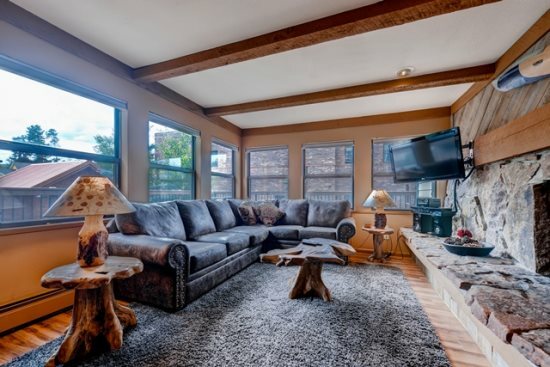 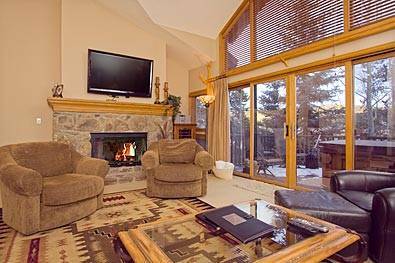 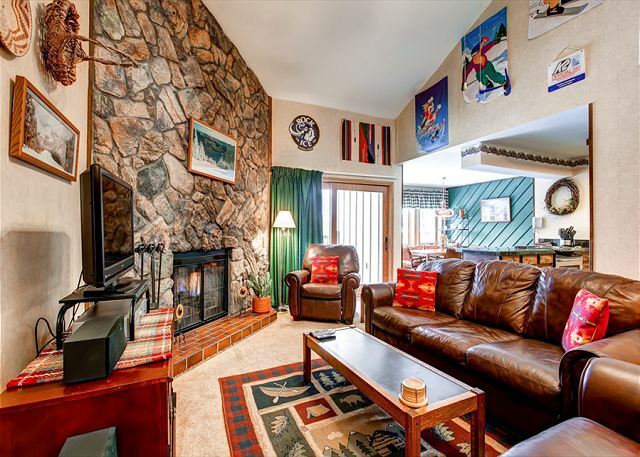 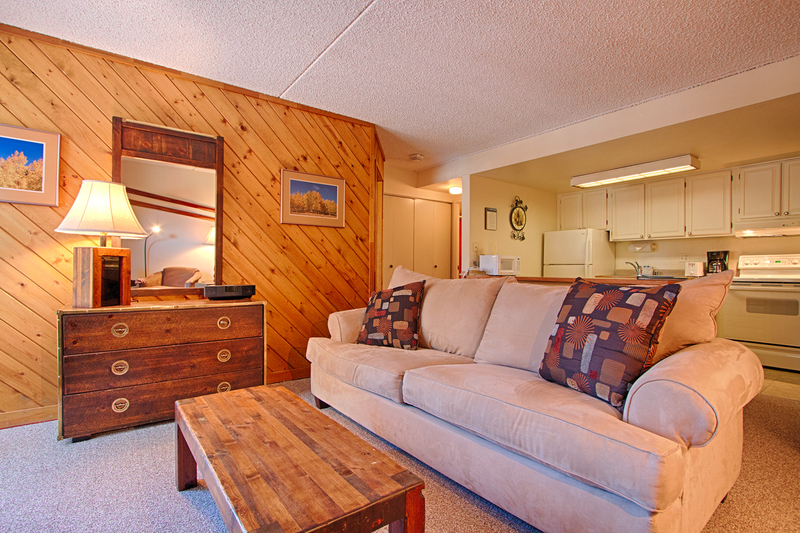 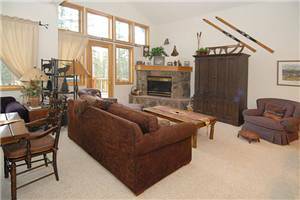 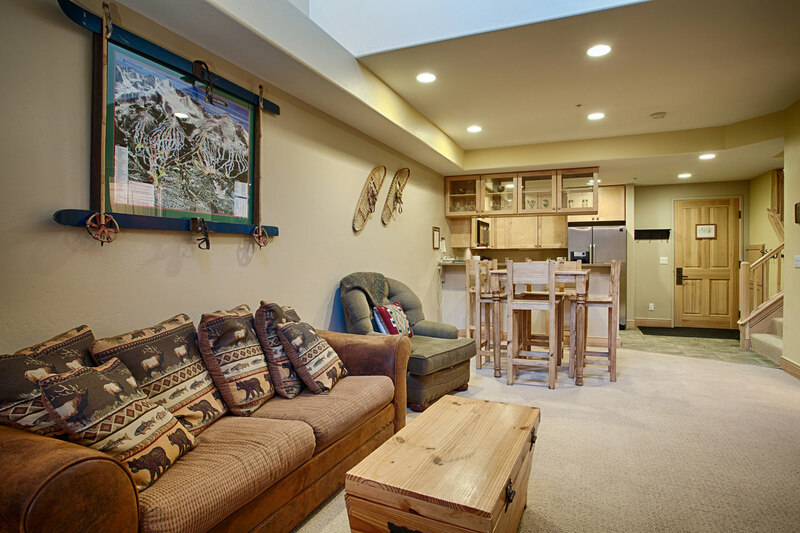 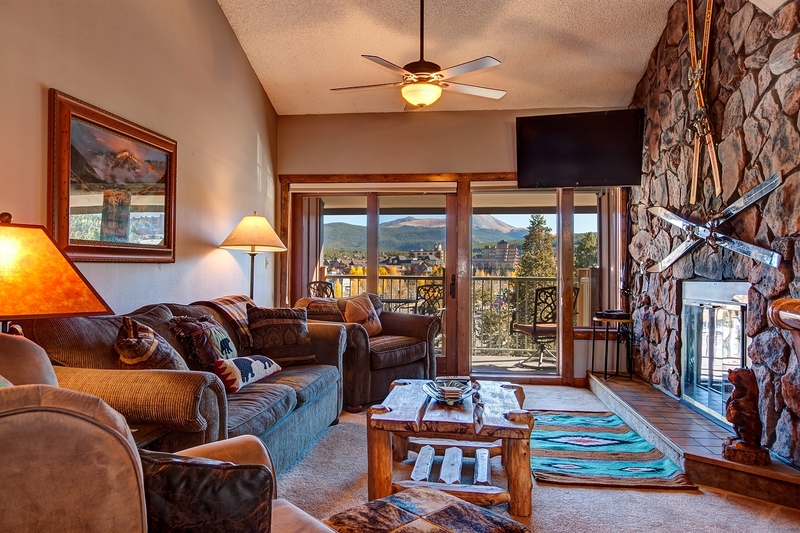 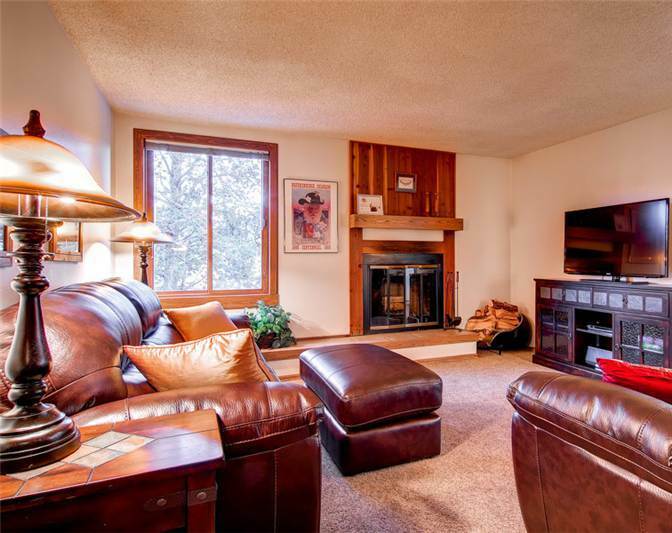 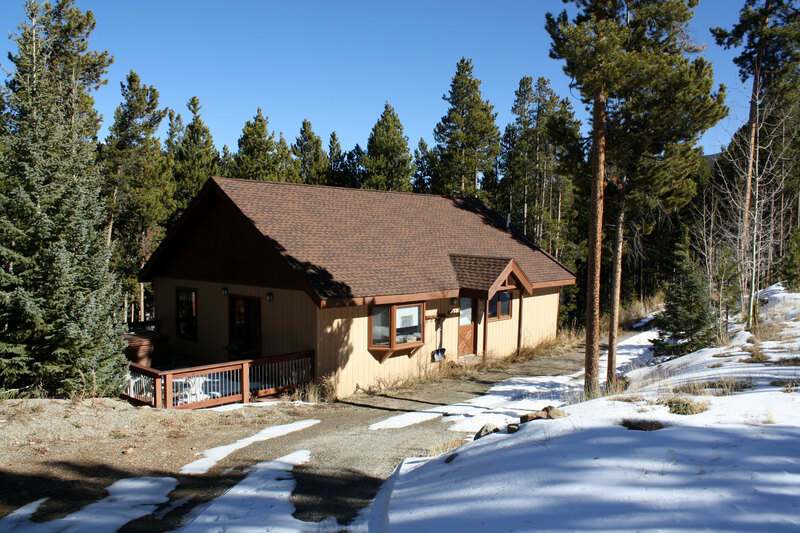 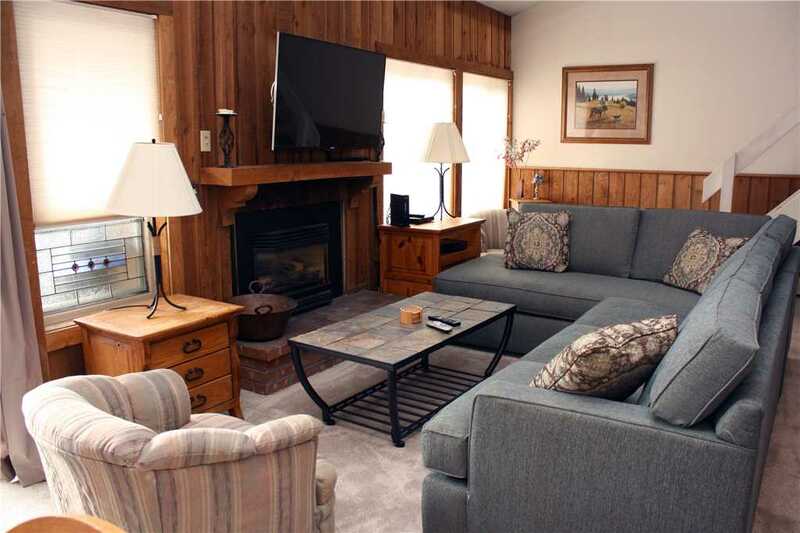 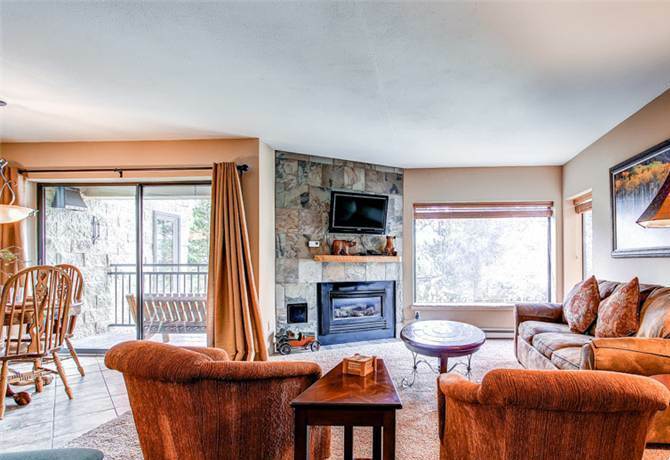 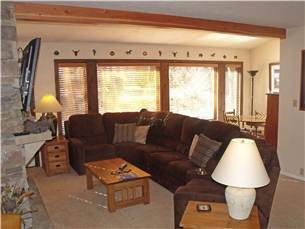 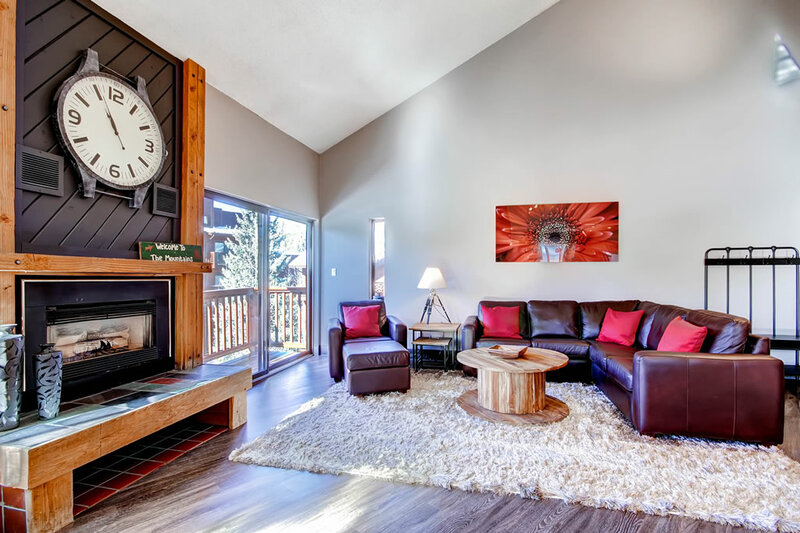 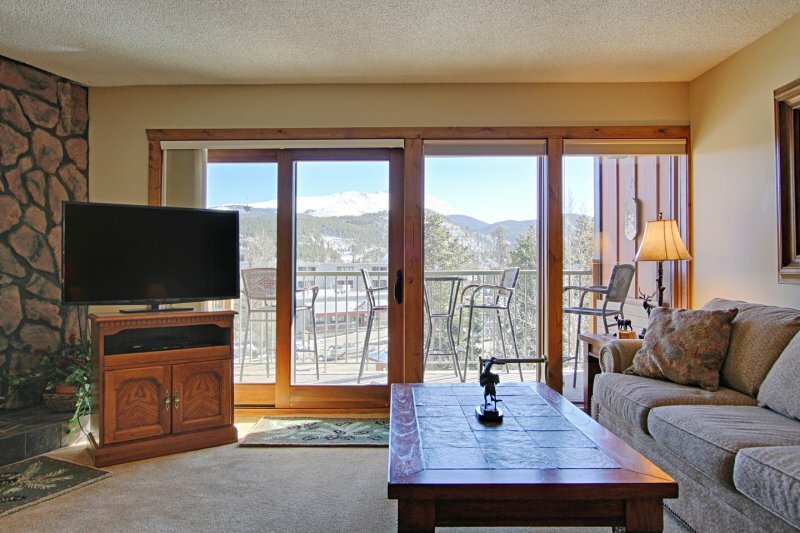 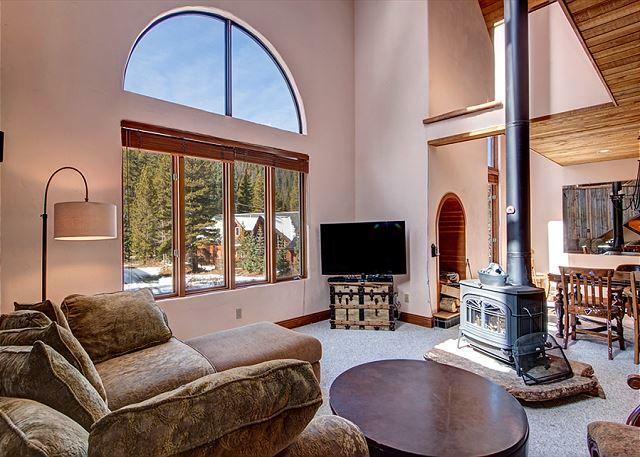 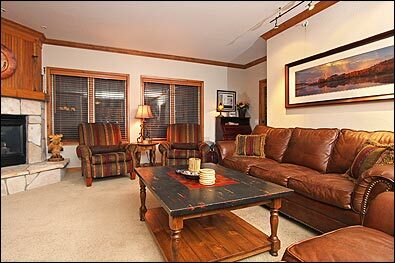 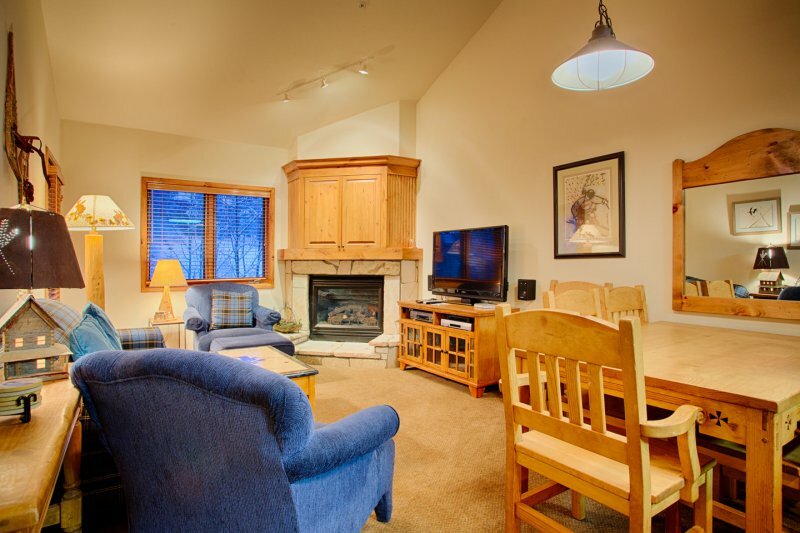 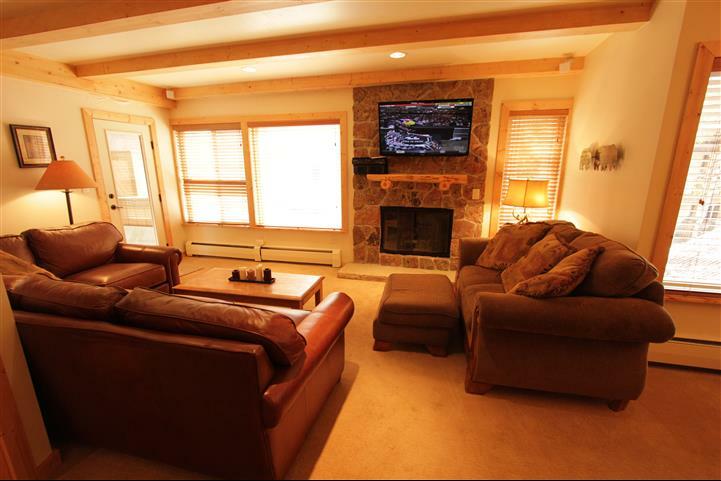 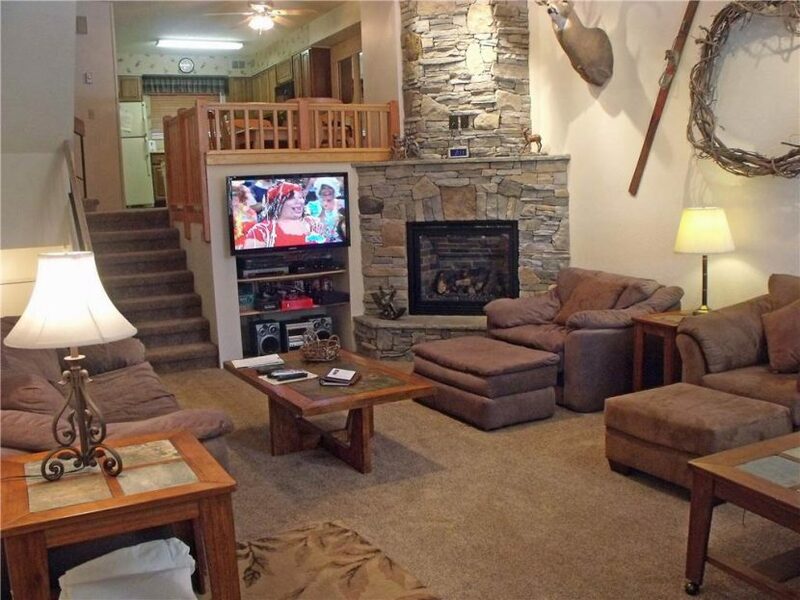 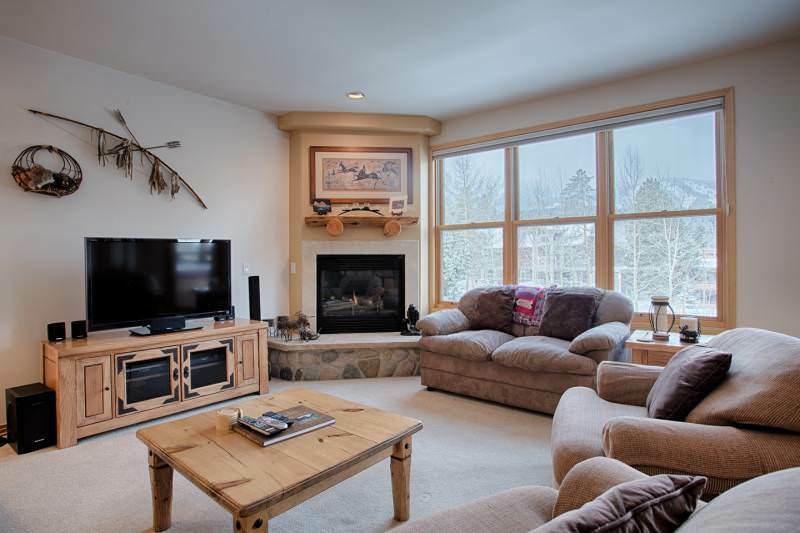 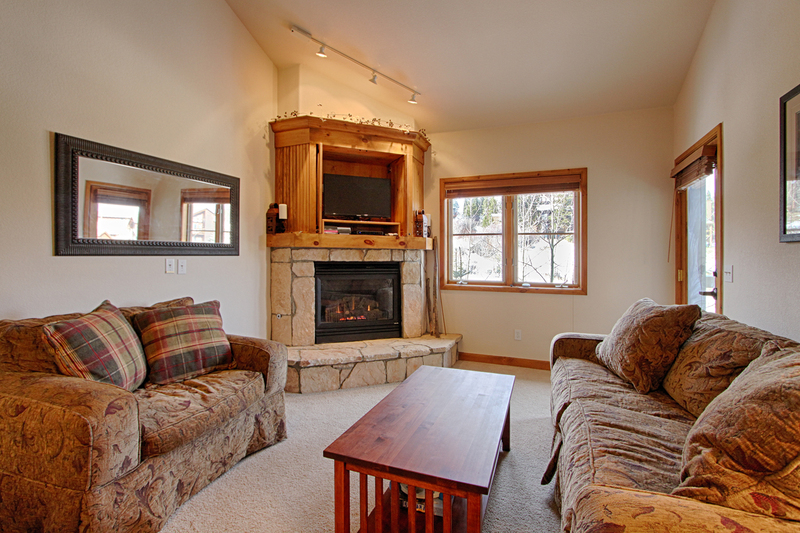 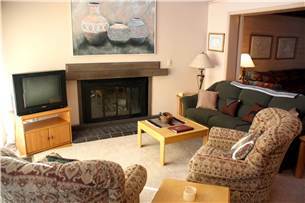 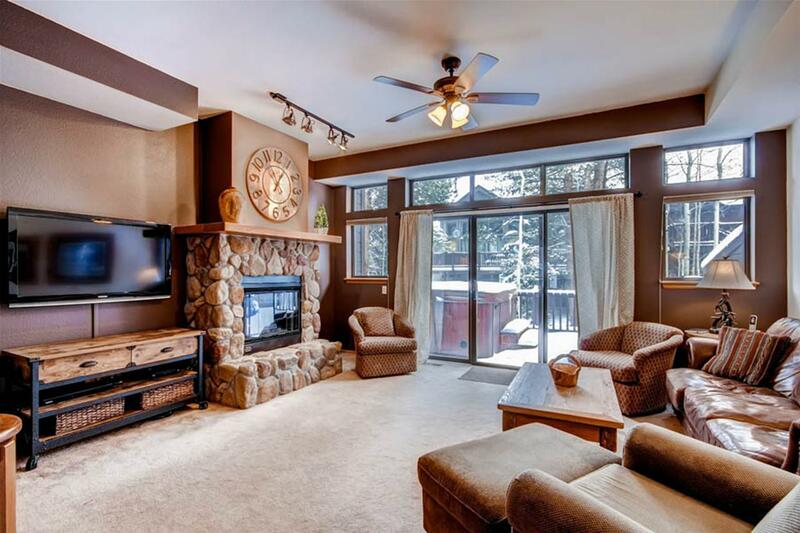 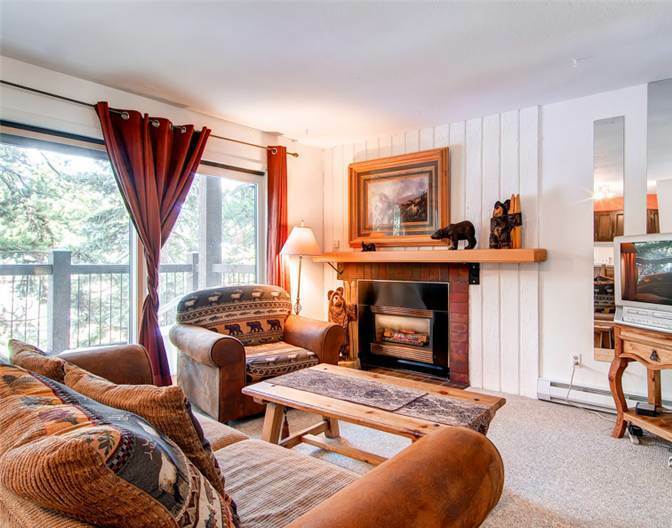 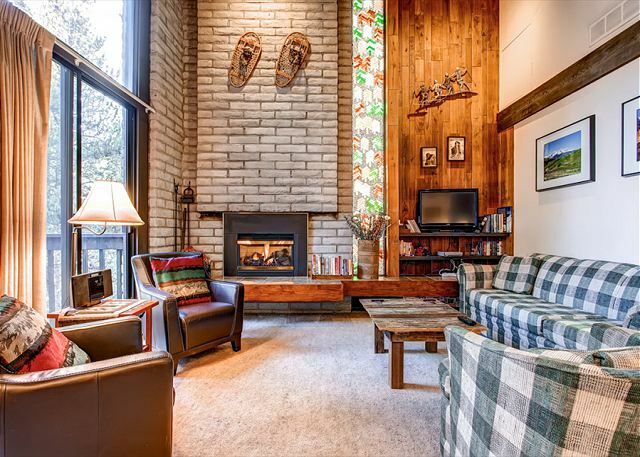 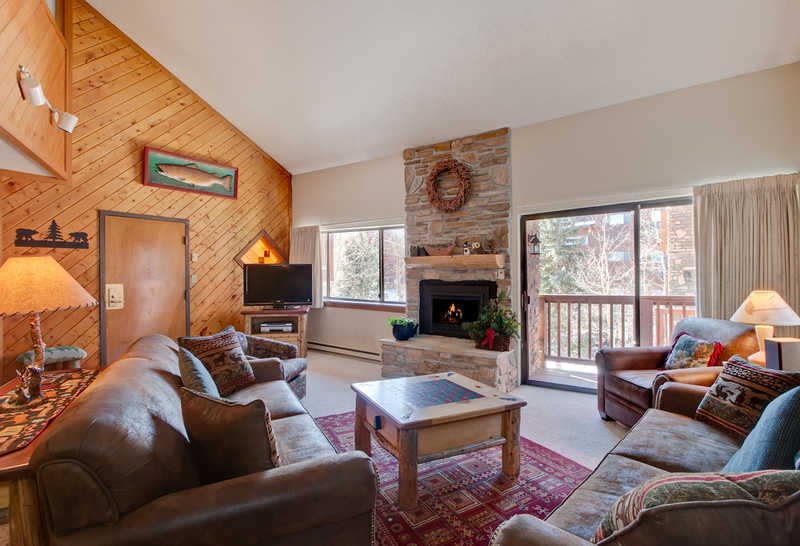 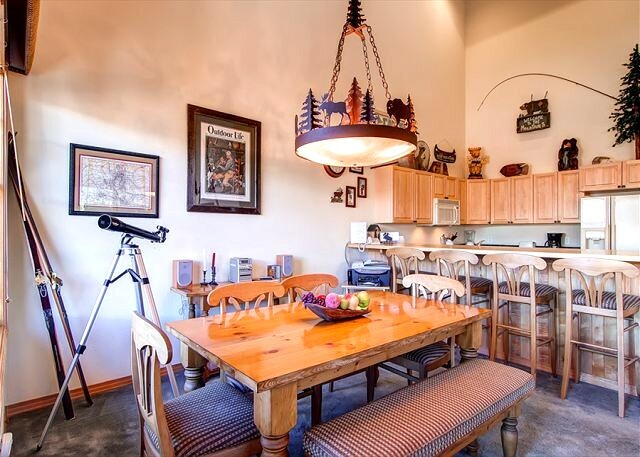 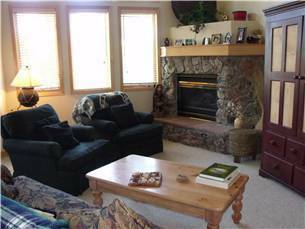 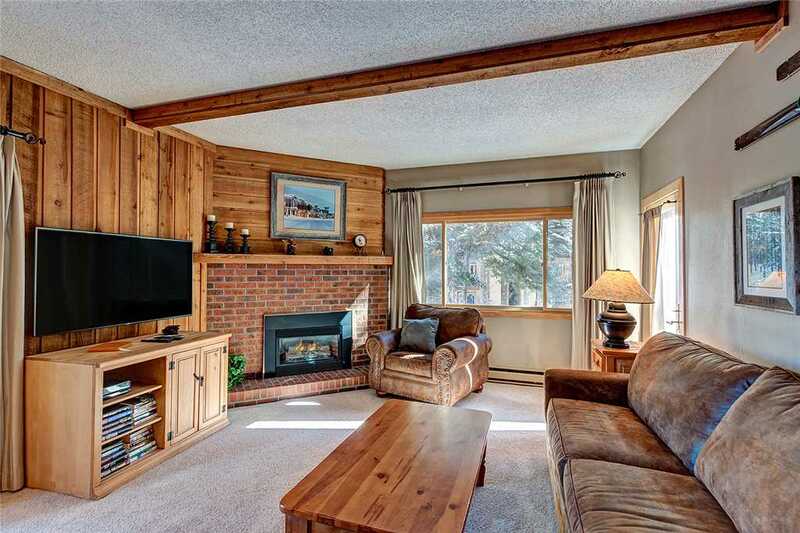 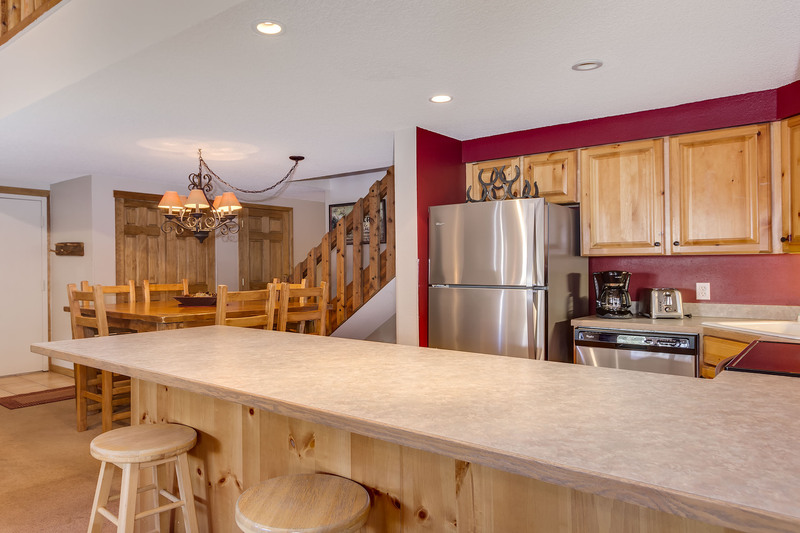 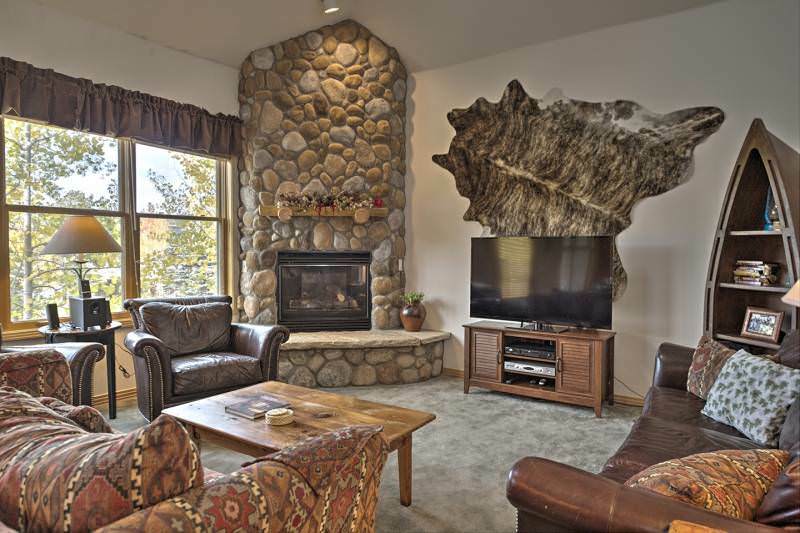 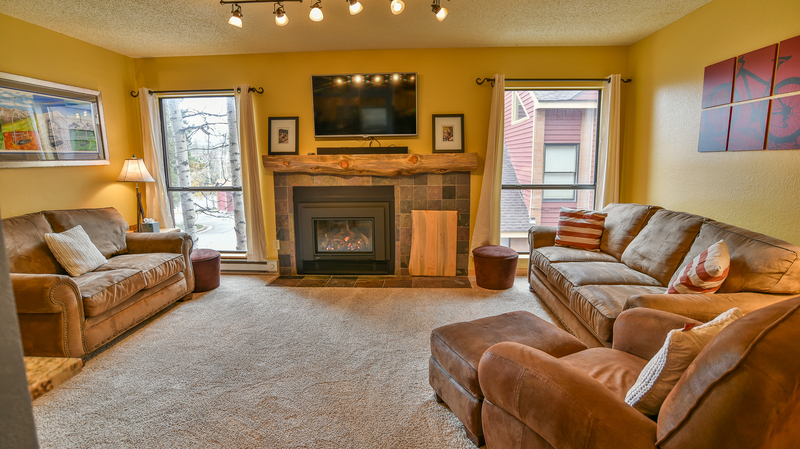 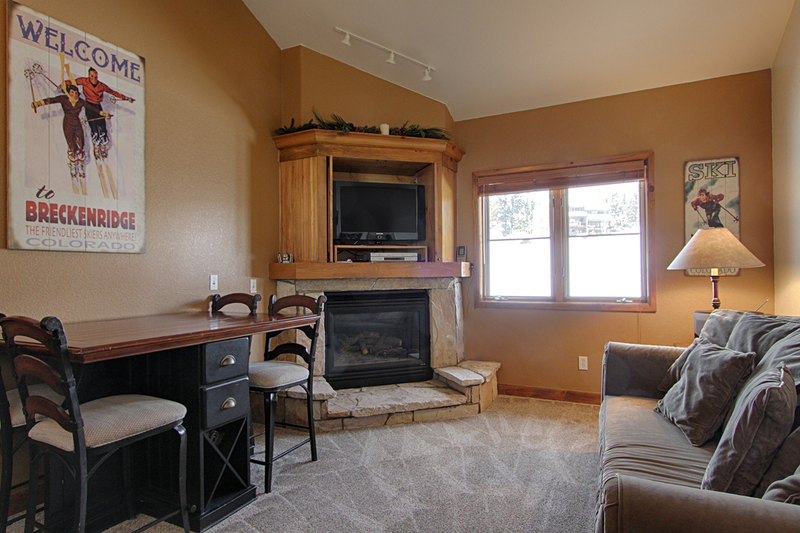 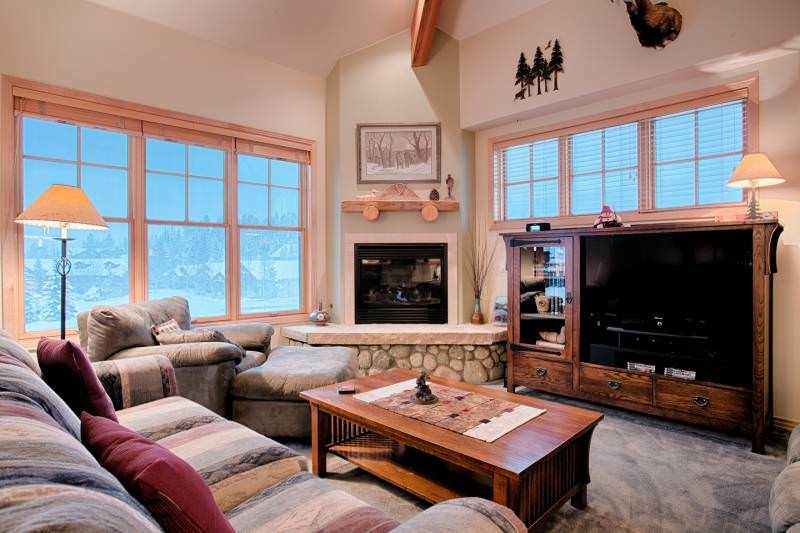 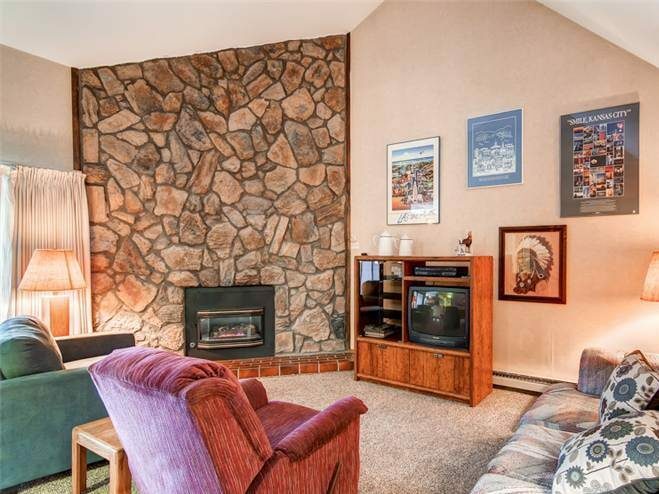 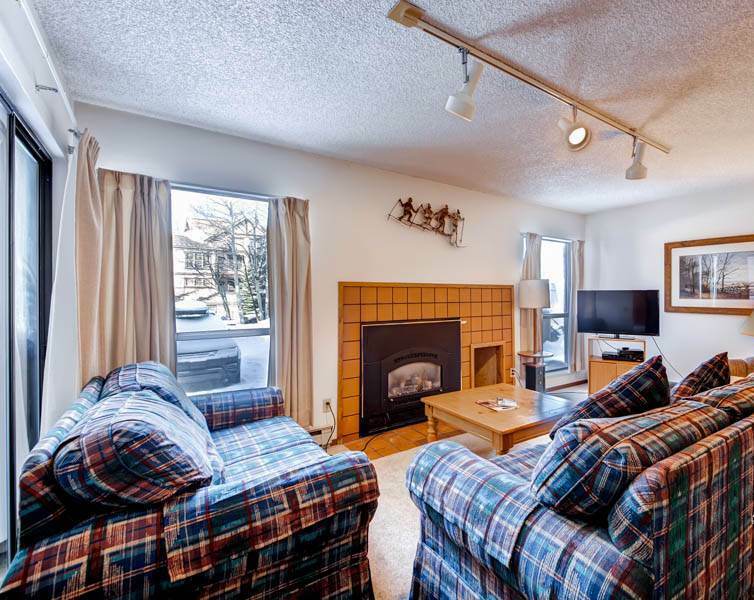 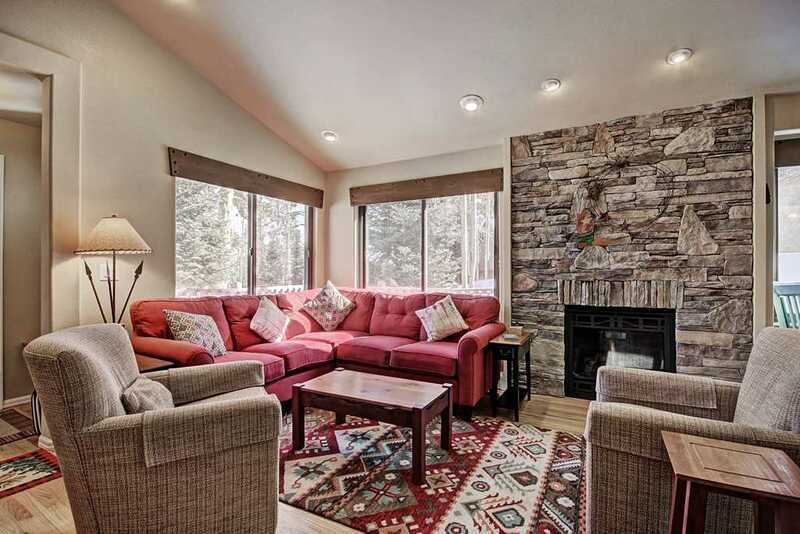 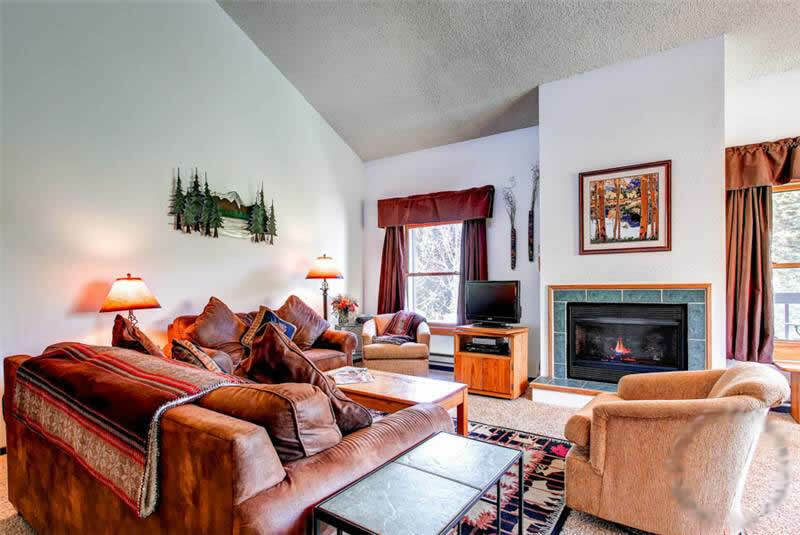 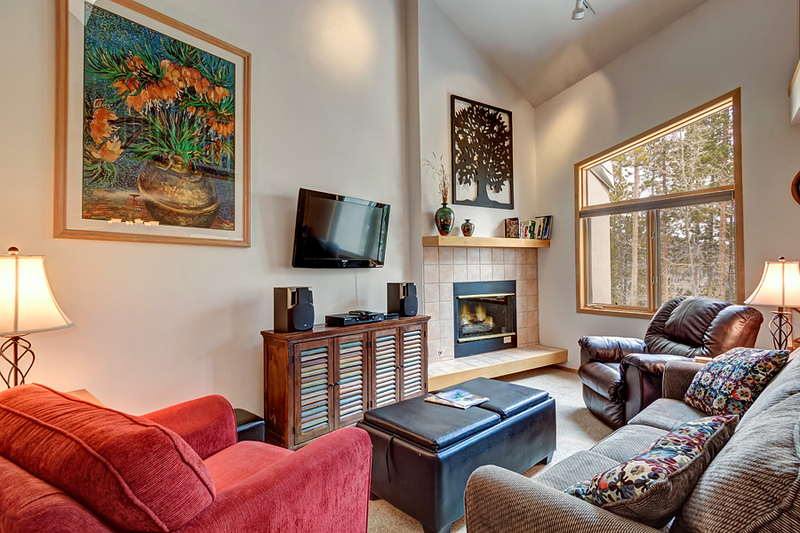 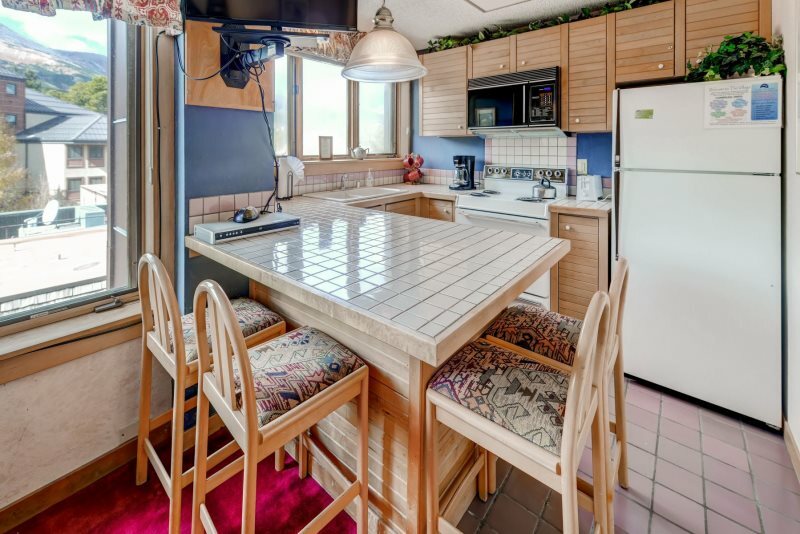 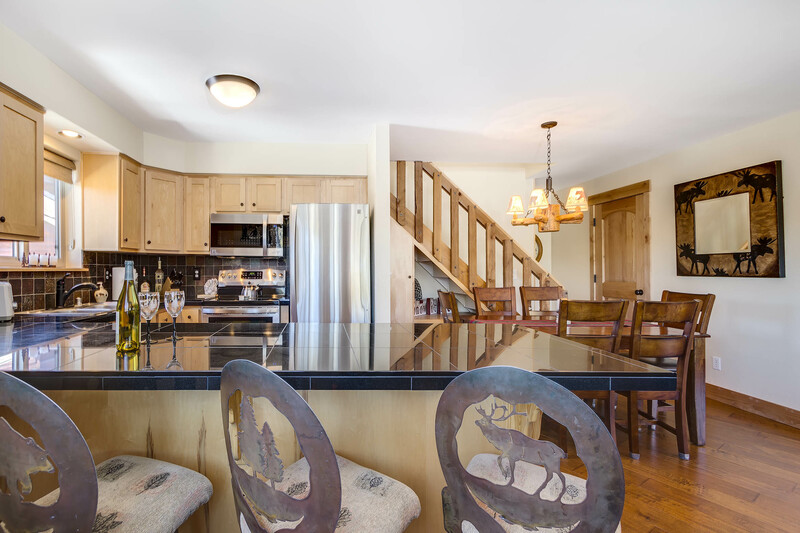 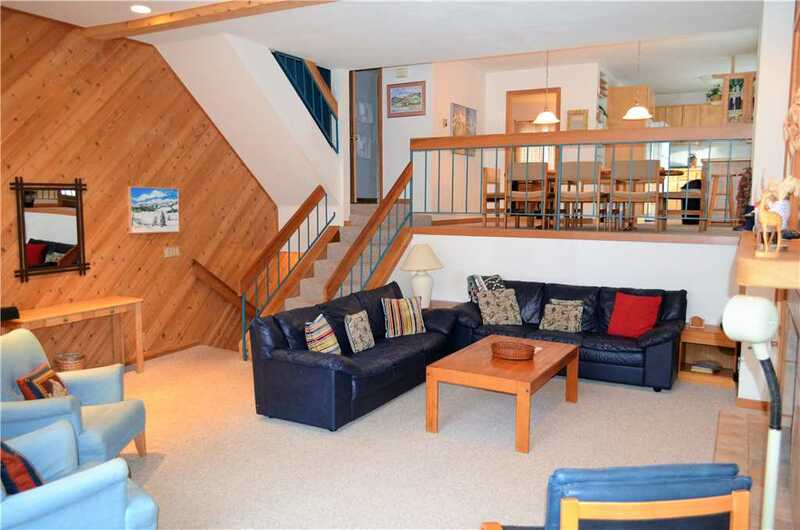 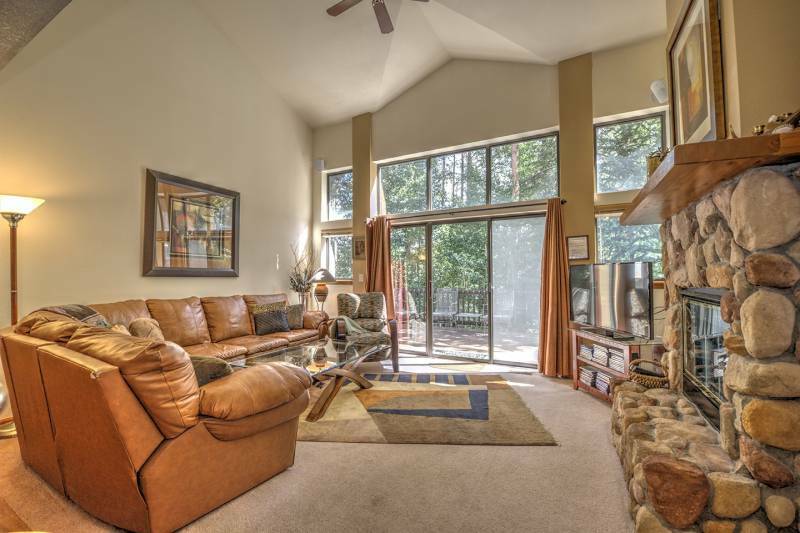 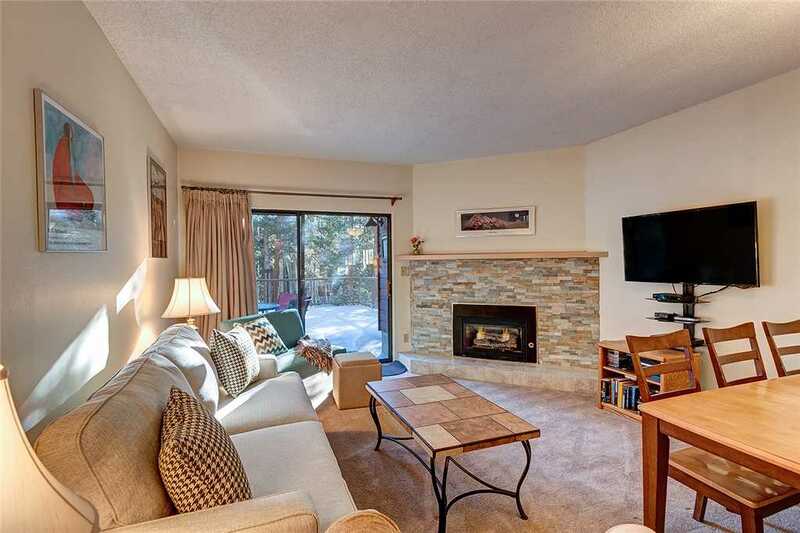 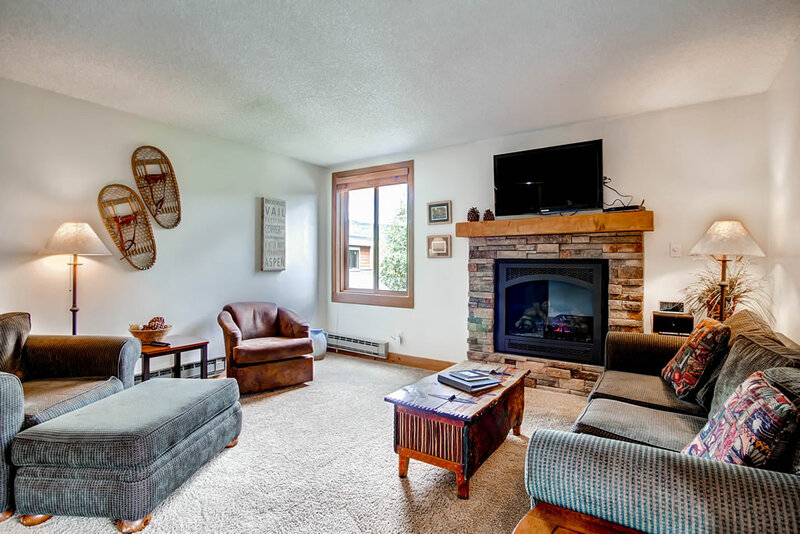 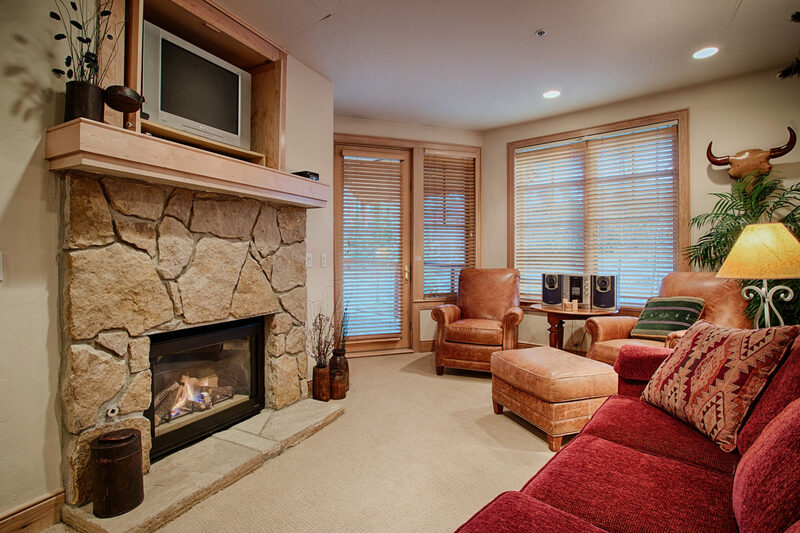 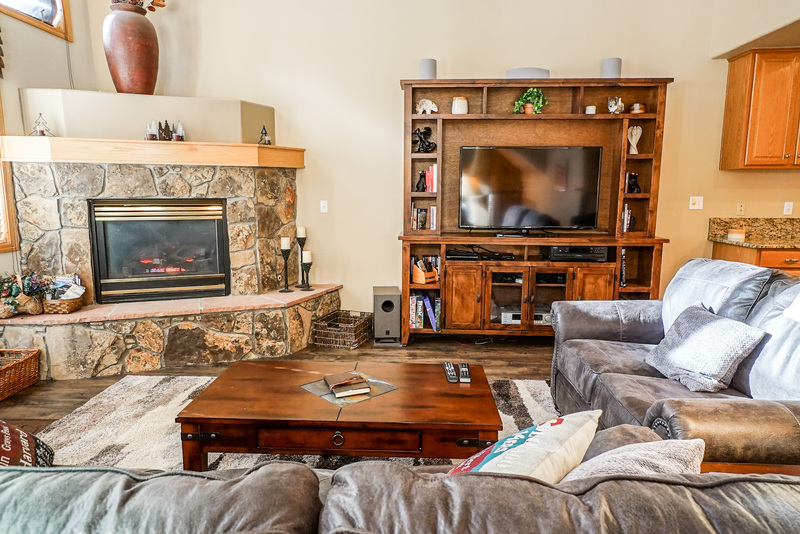 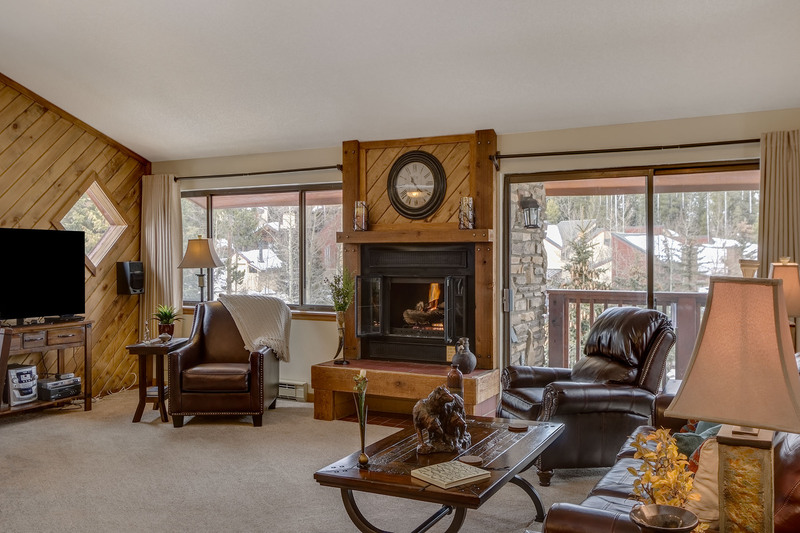 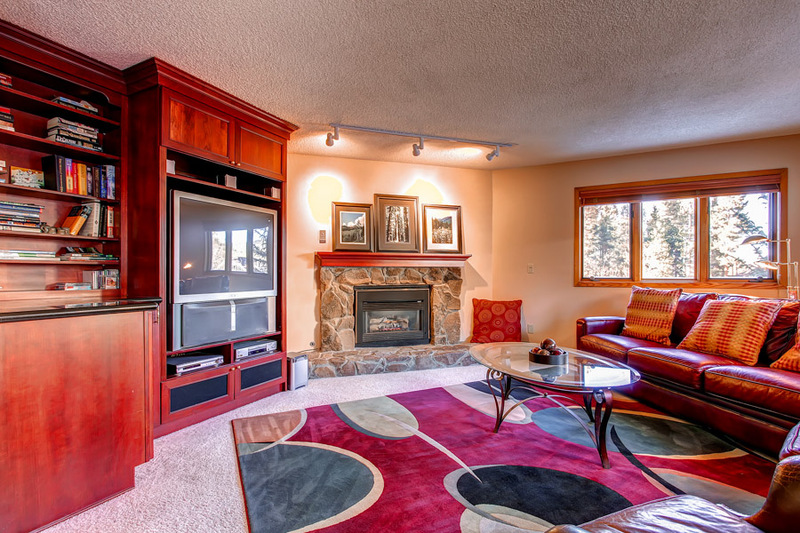 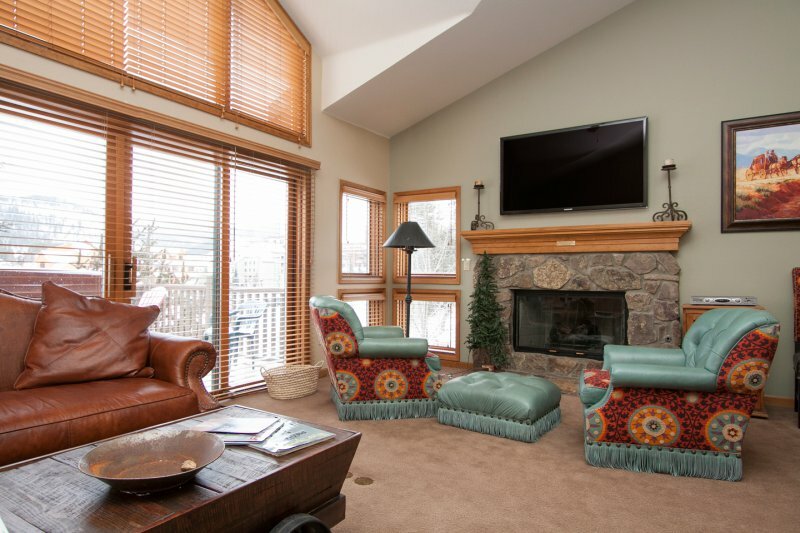 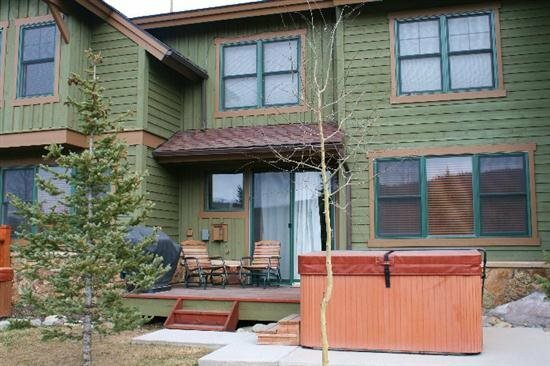 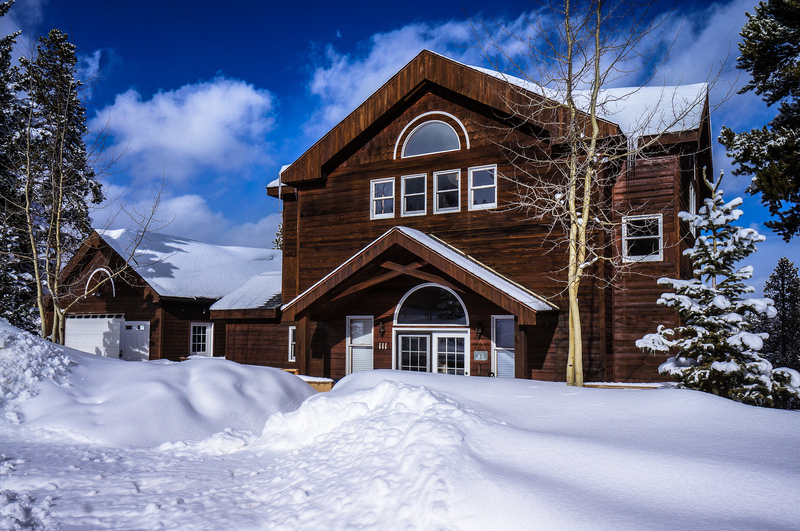 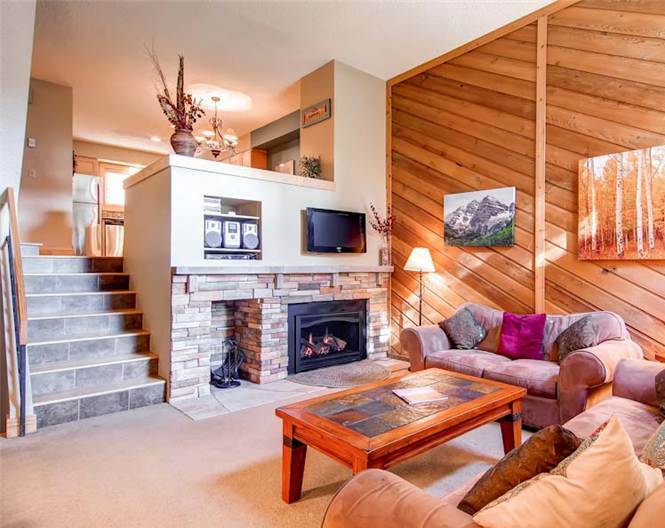 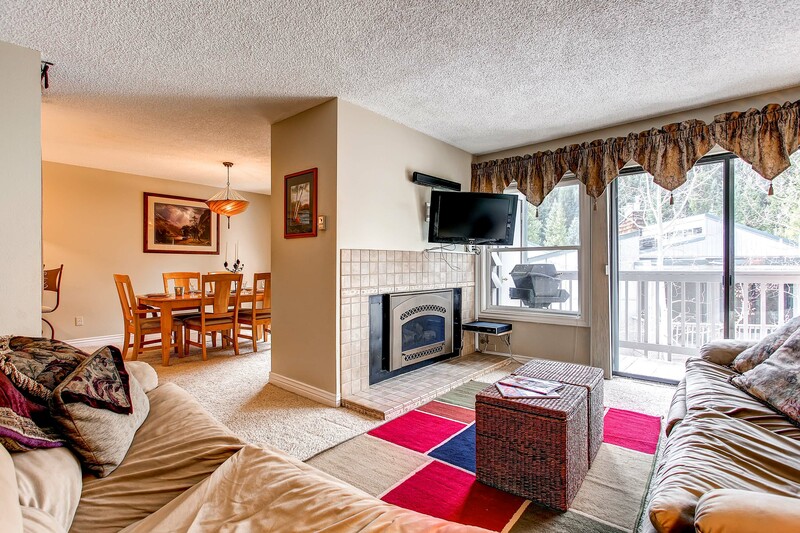 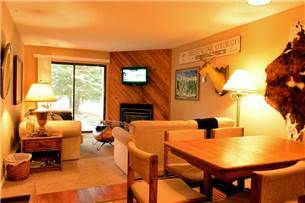 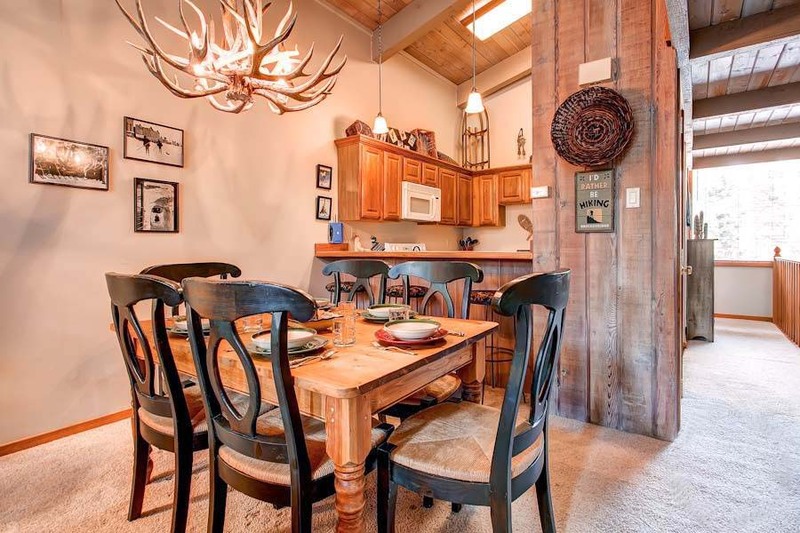 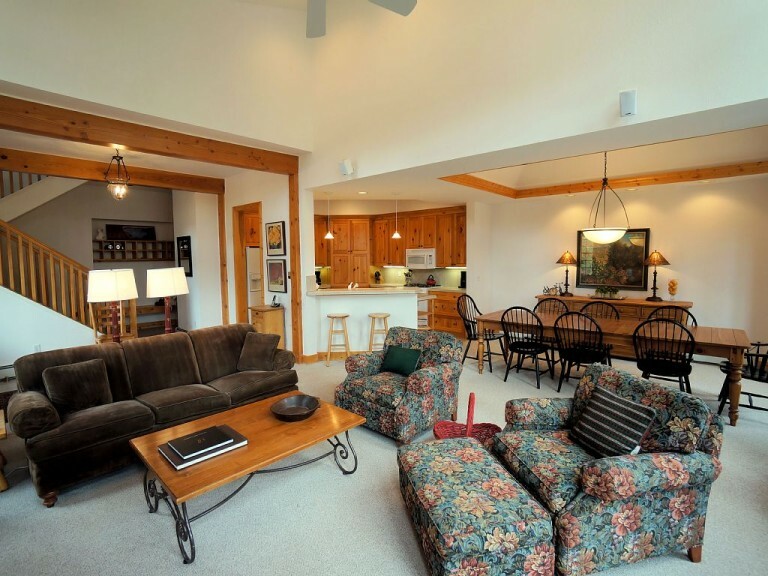 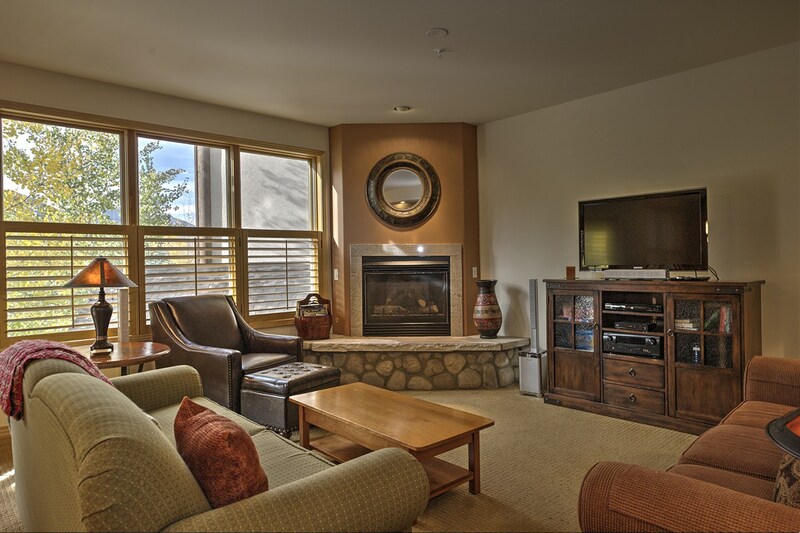 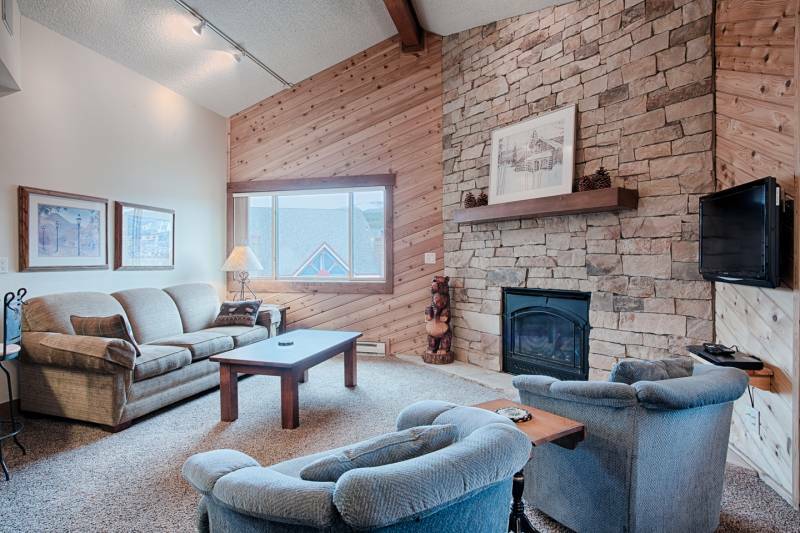 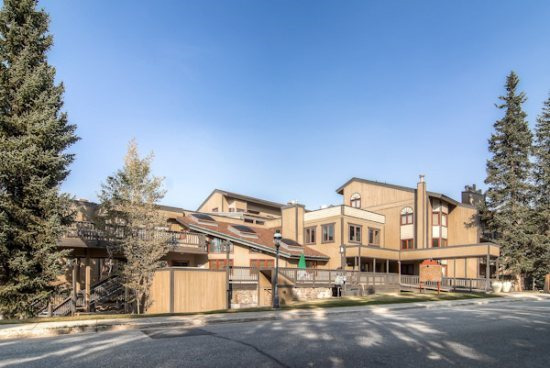 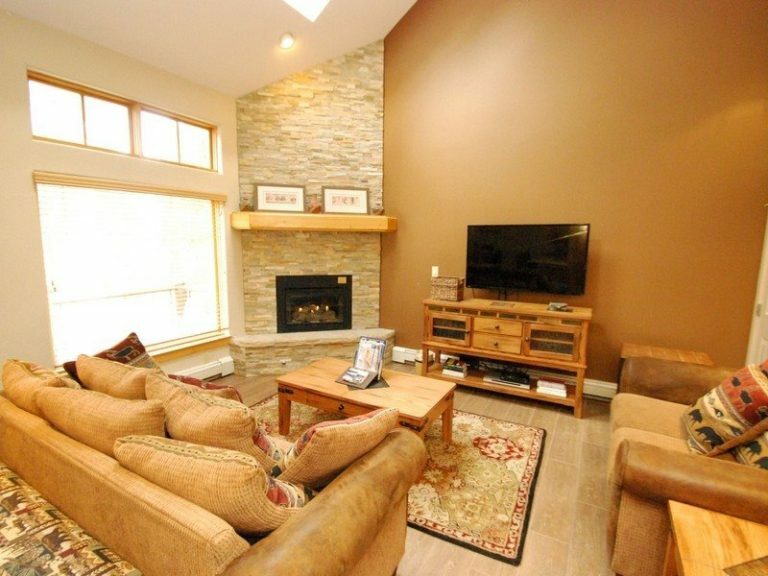 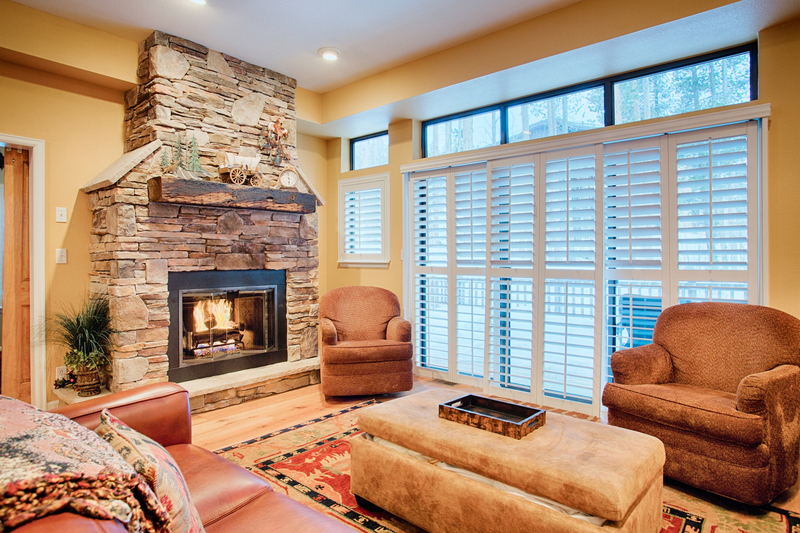 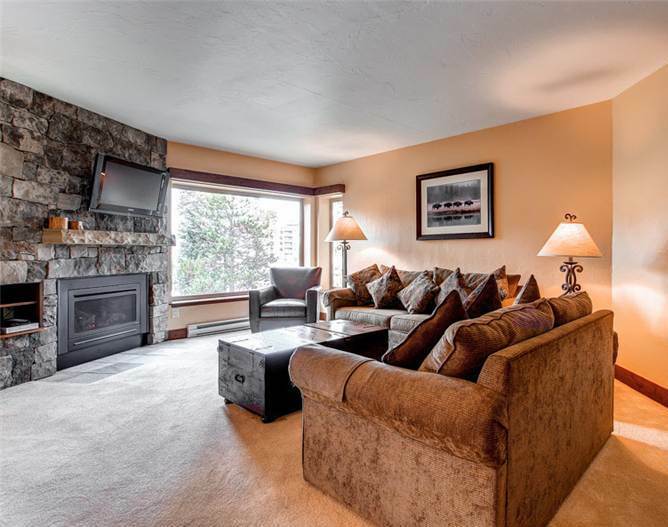 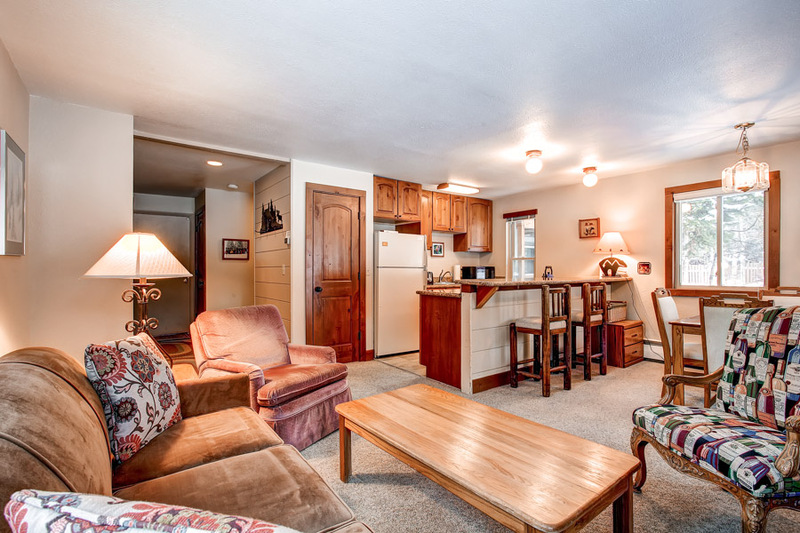 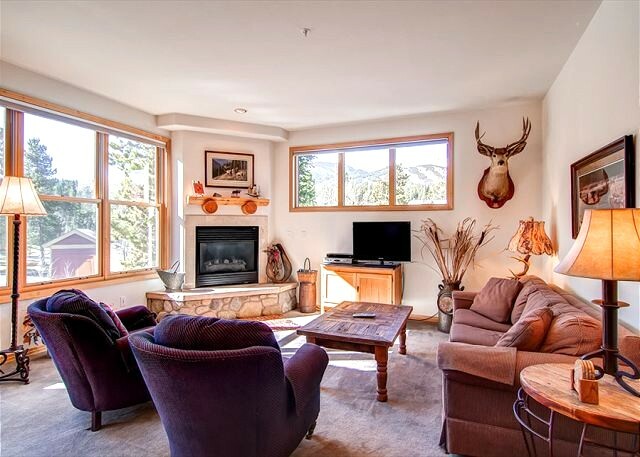 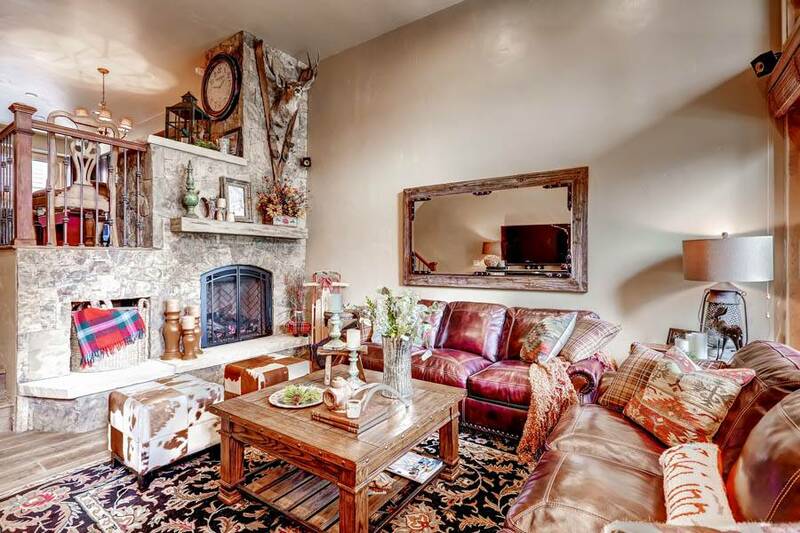 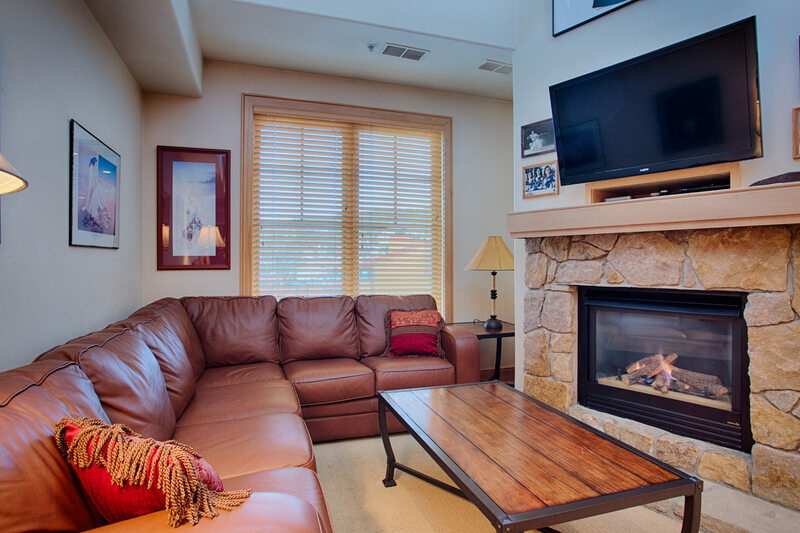 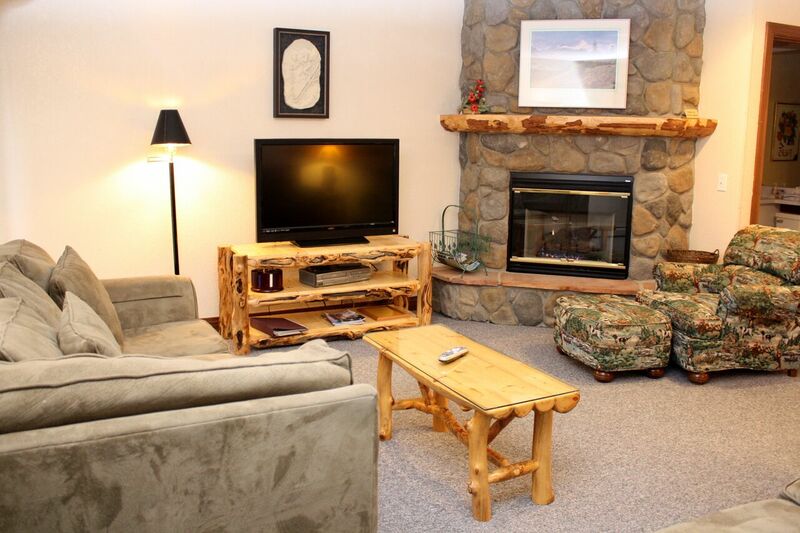 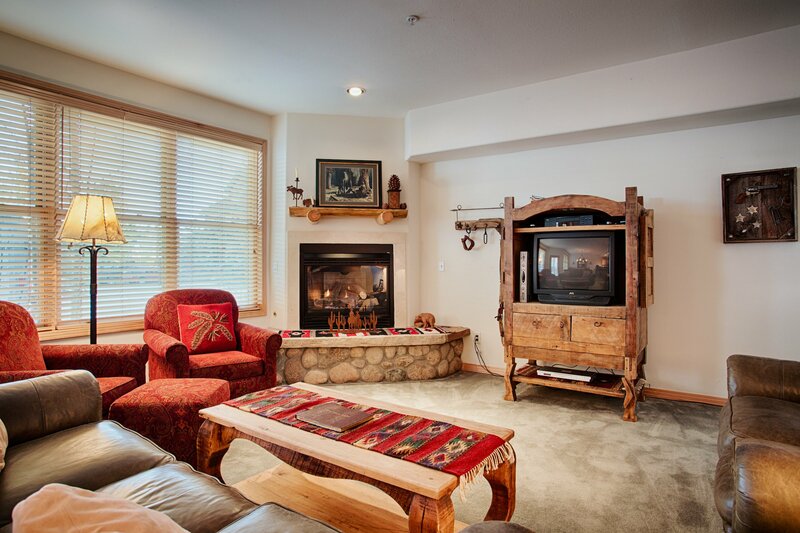 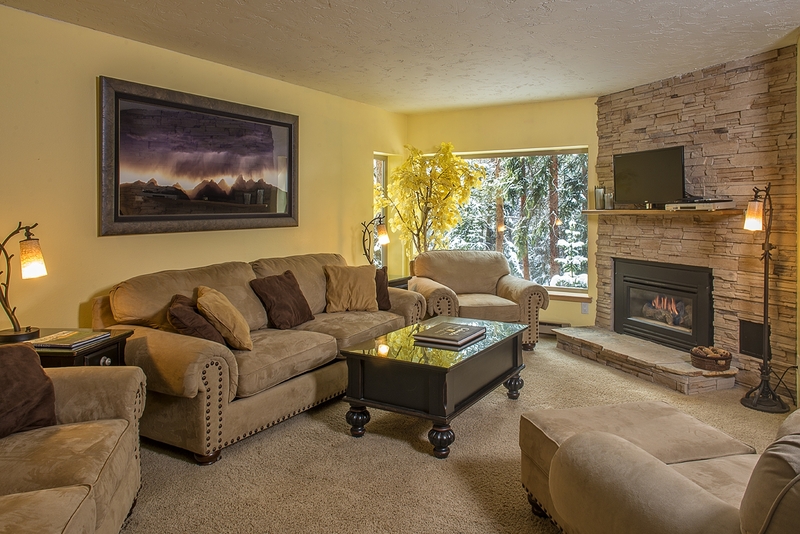 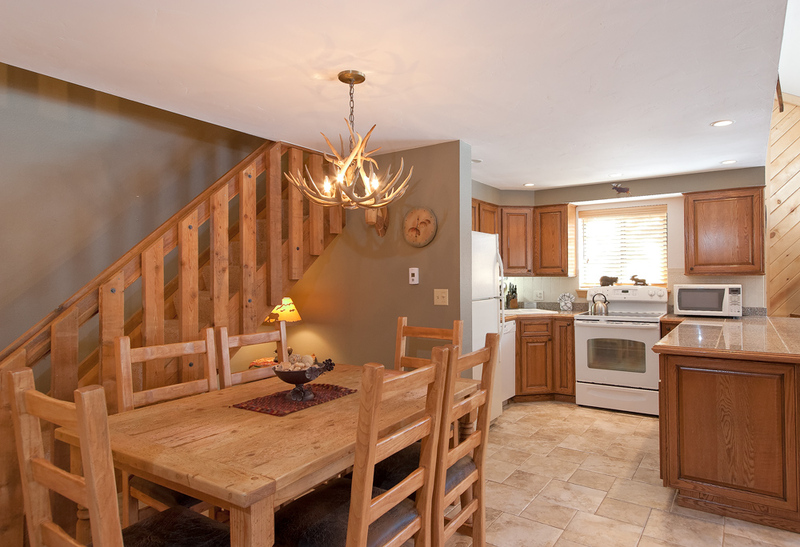 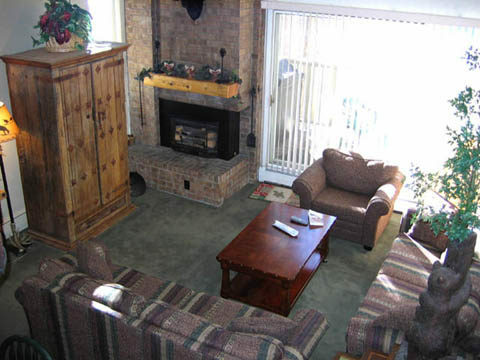 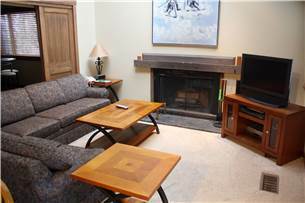 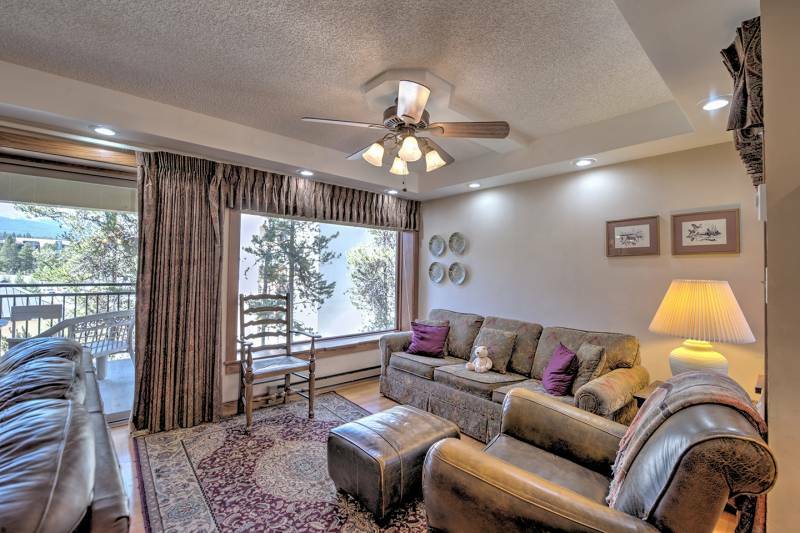 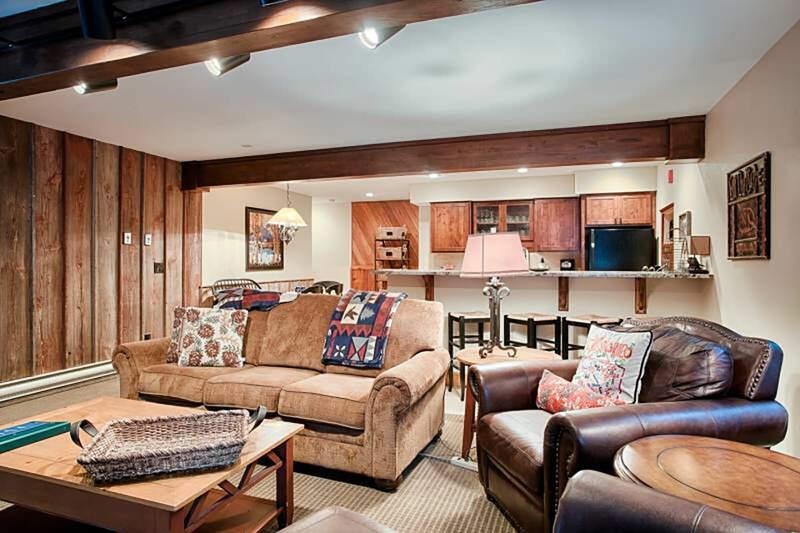 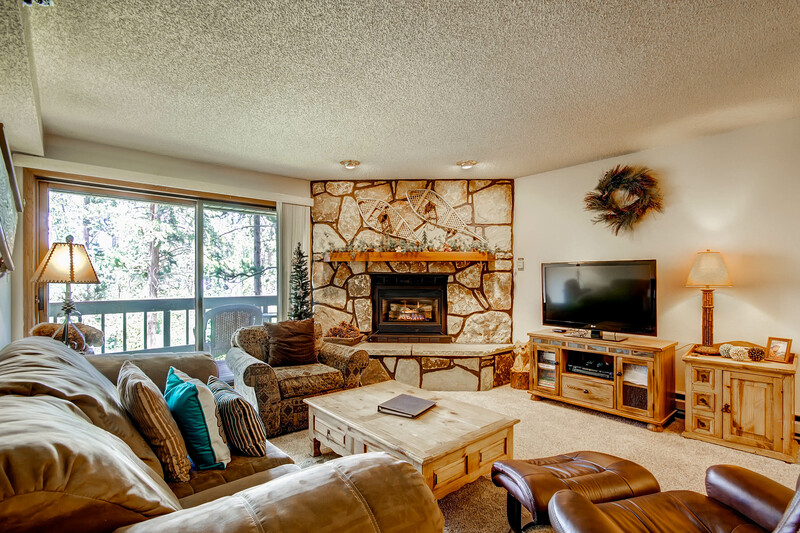 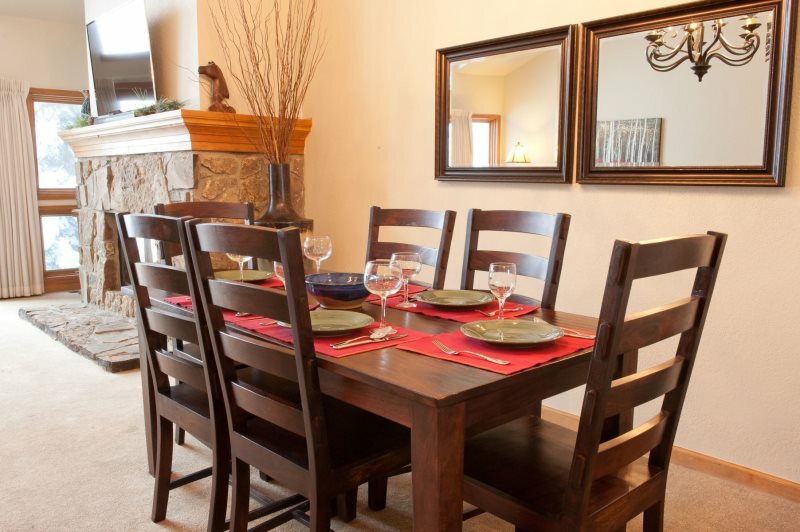 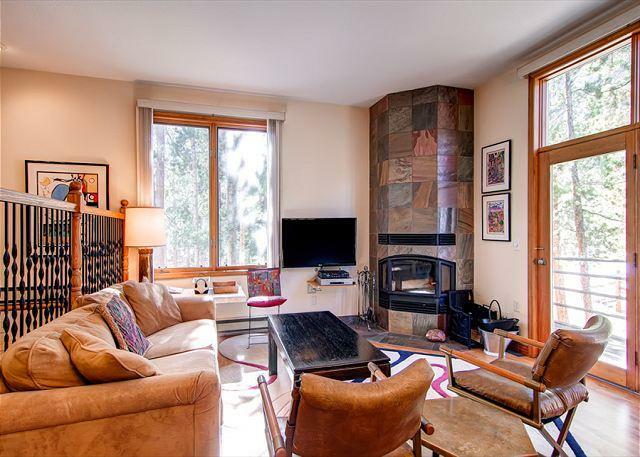 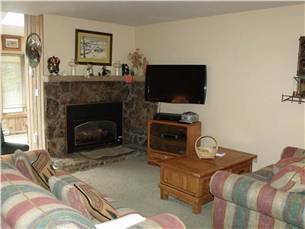 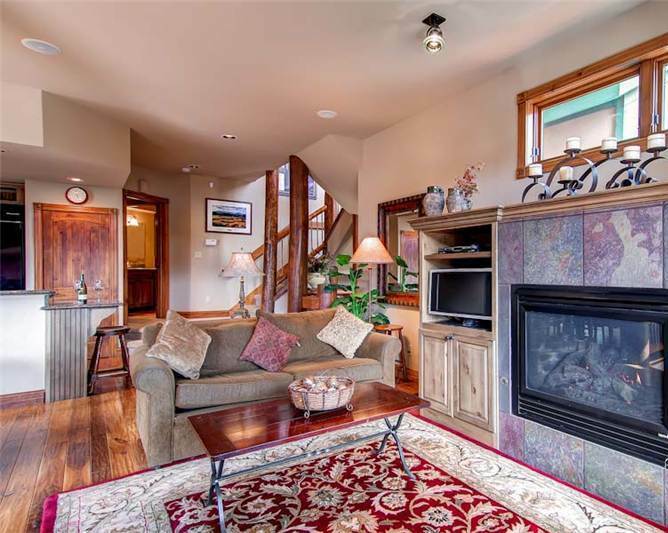 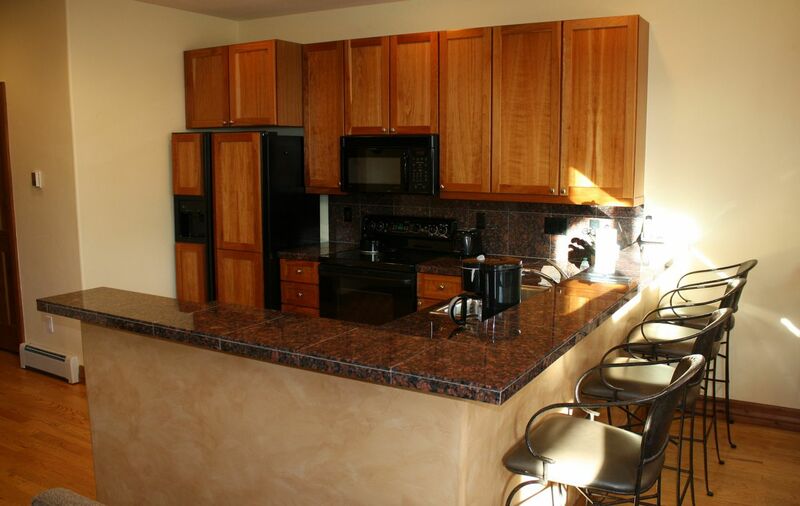 The recently remodeled condo is located within short, easy walking distance to the Quicksilver chairlift and Ski School at Peak 9. 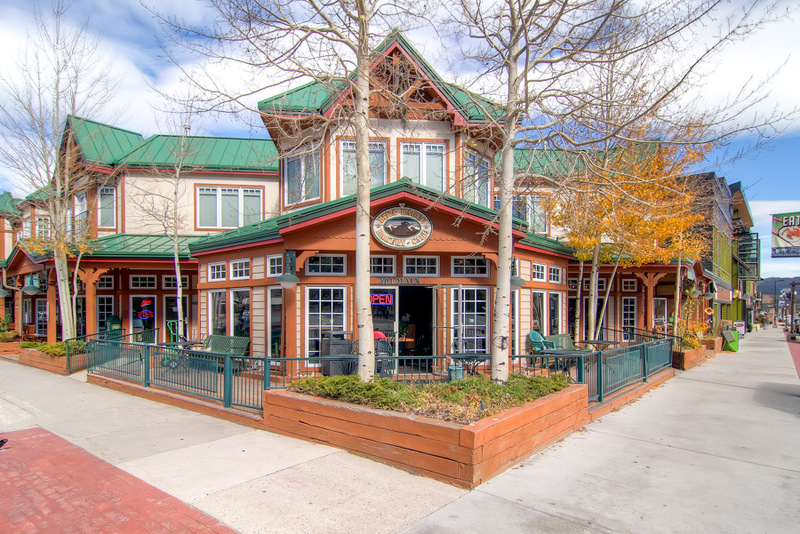 It’s also an easy walk to the shops, restaurants and nightlife on Main Street. 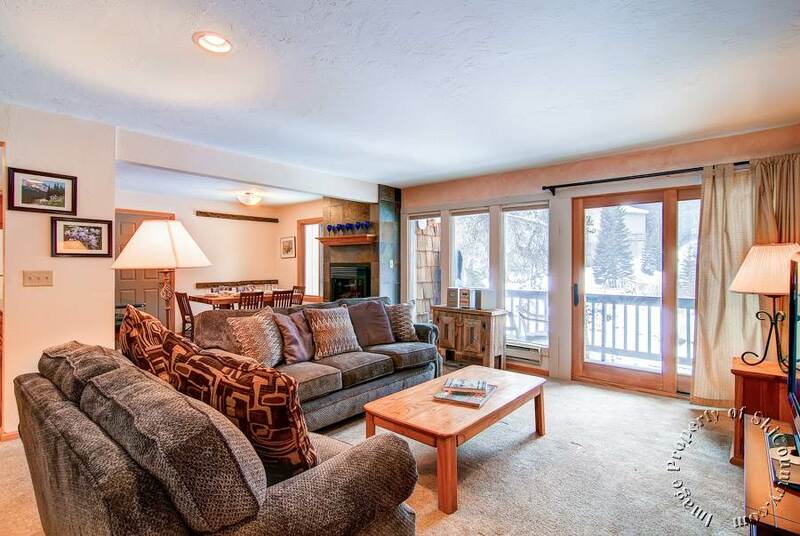 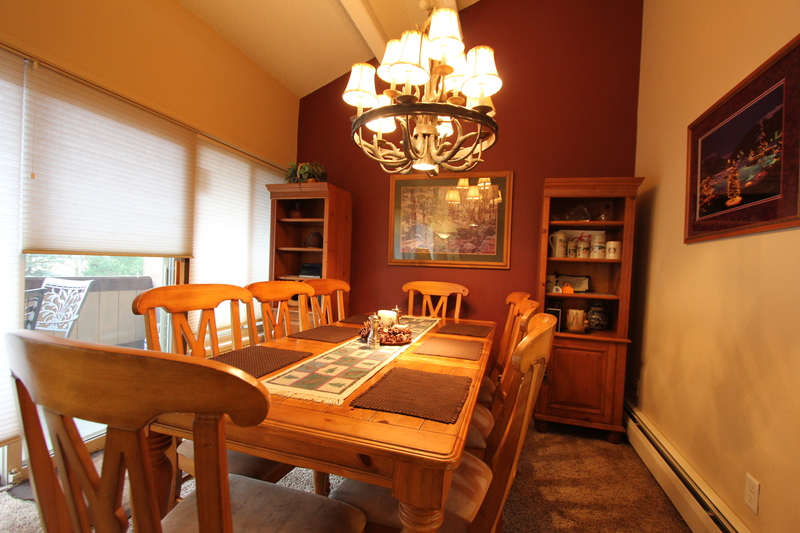 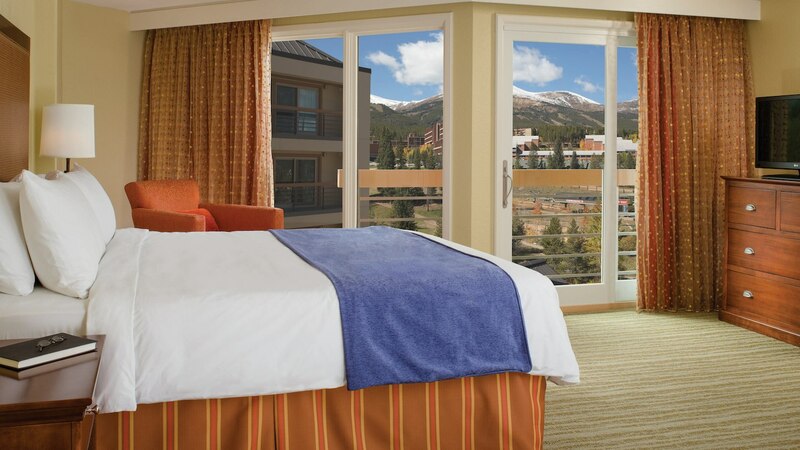 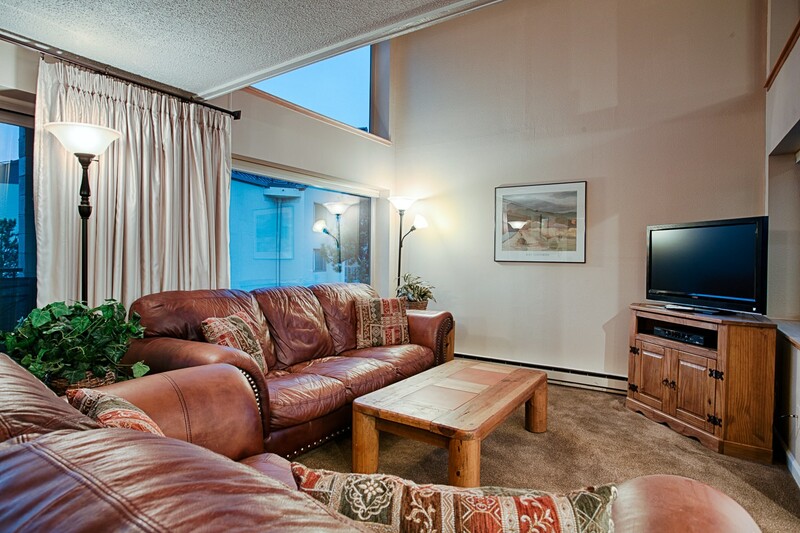 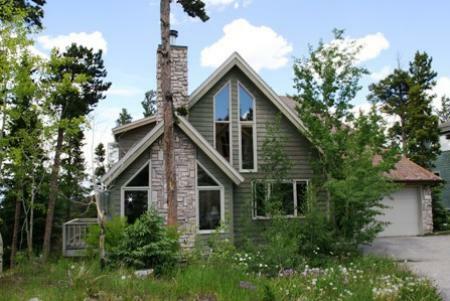 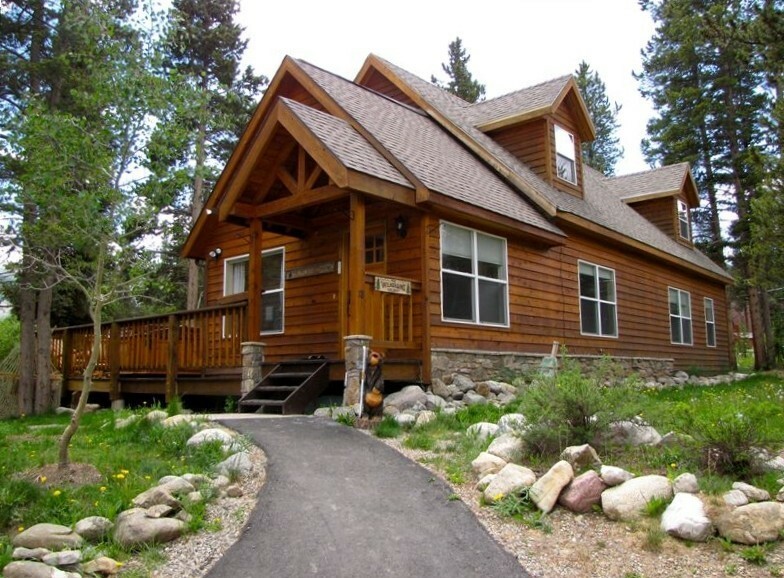 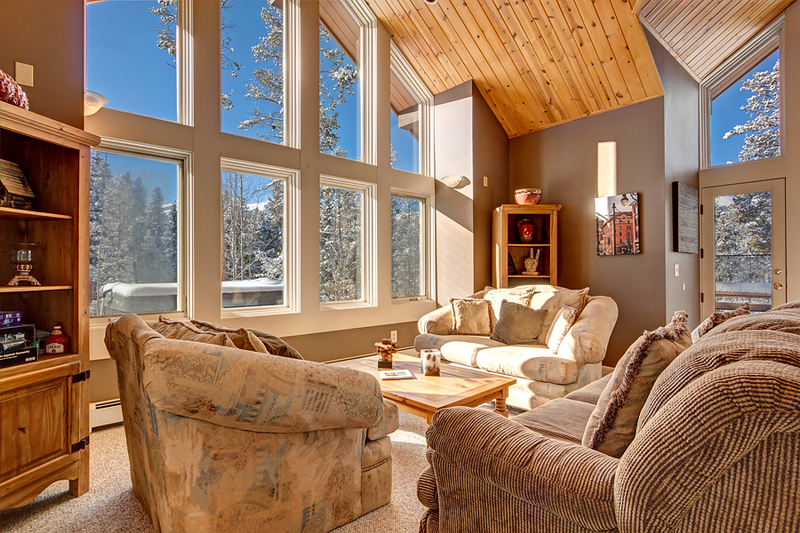 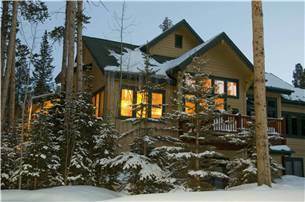 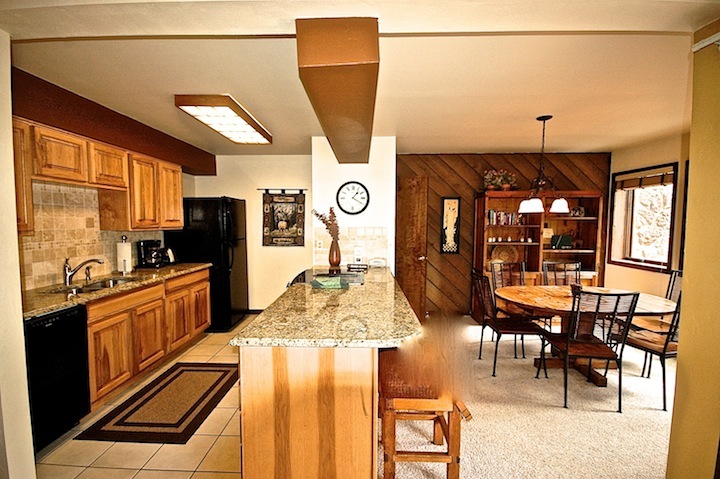 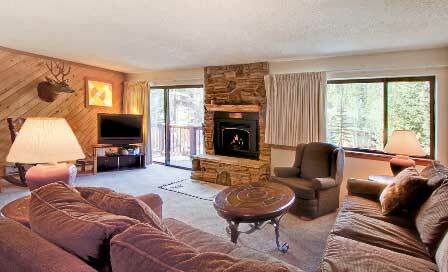 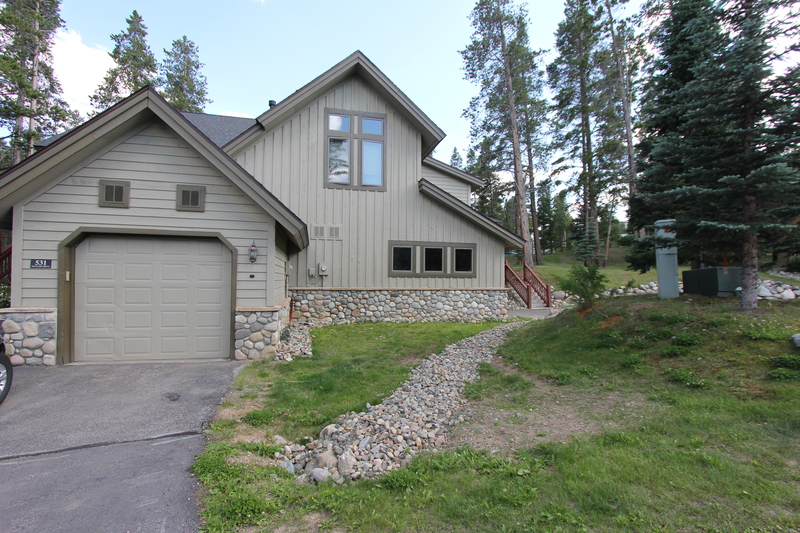 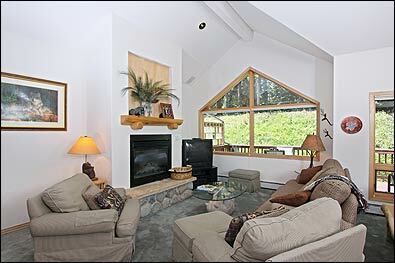 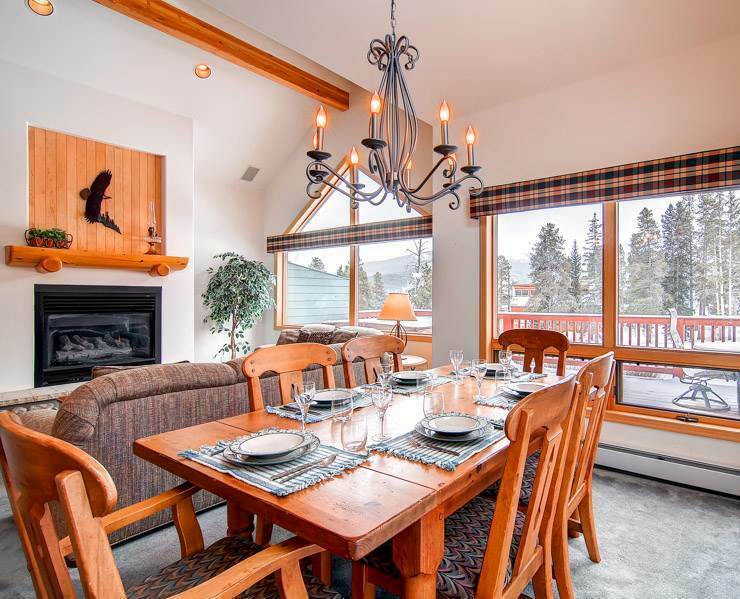 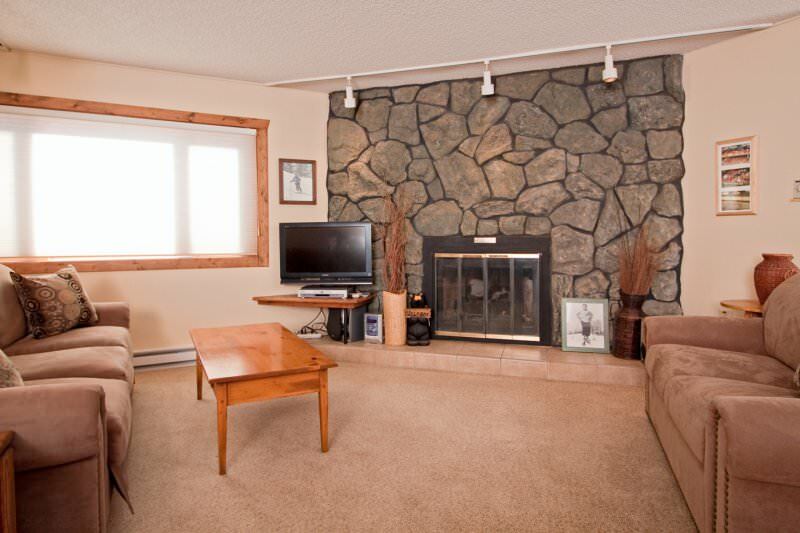 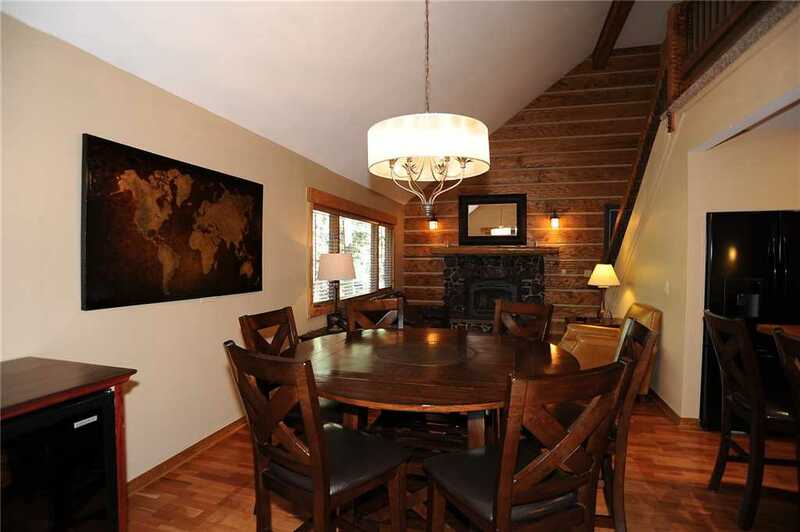 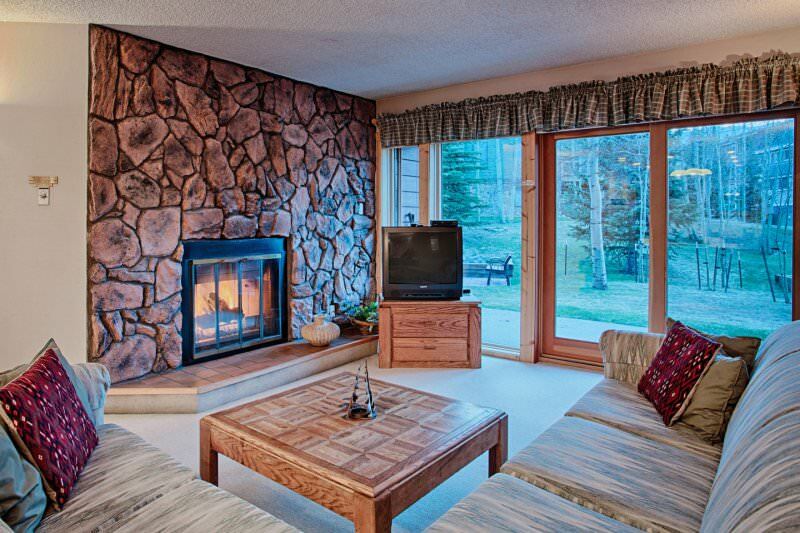 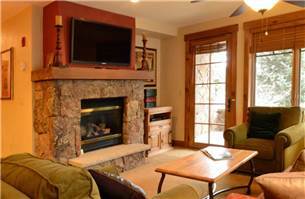 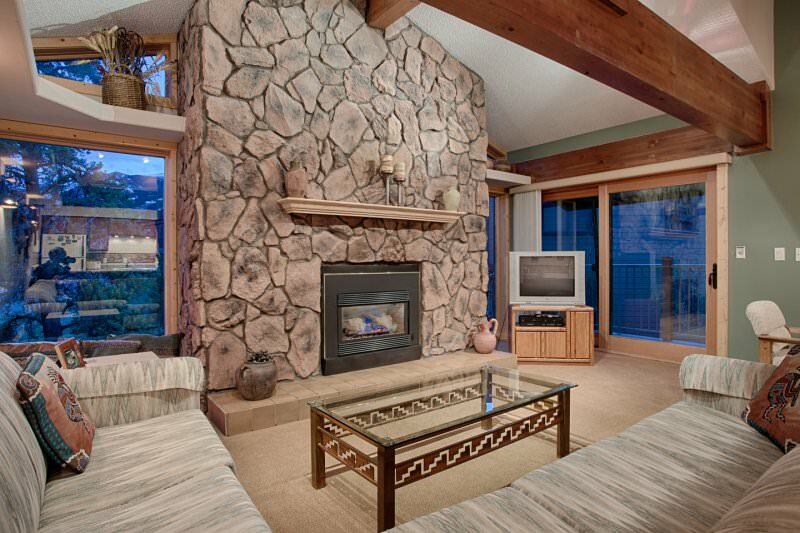 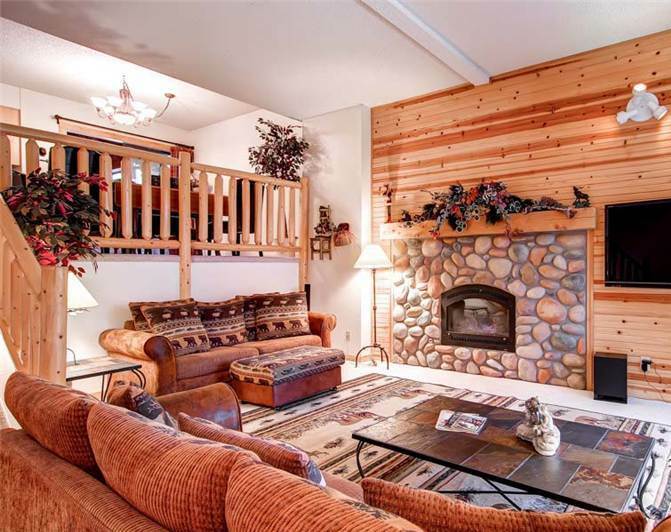 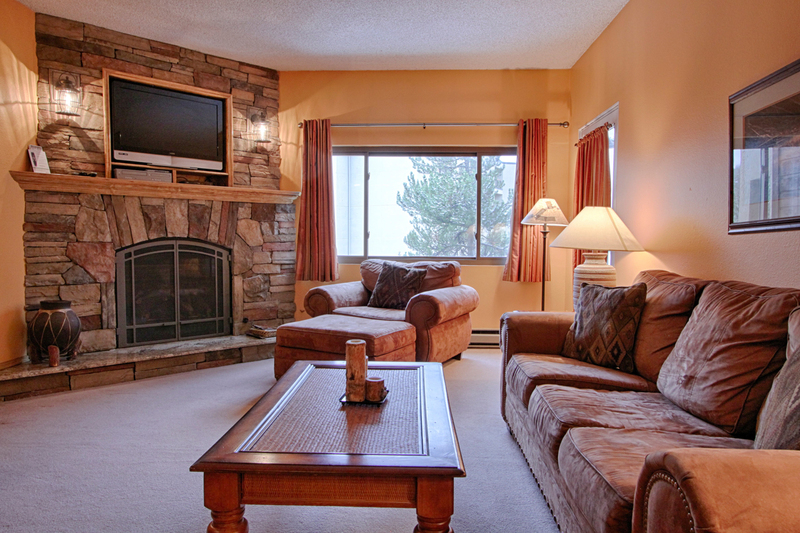 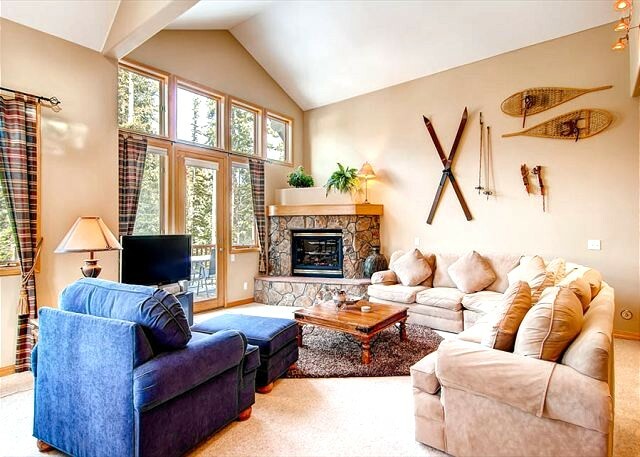 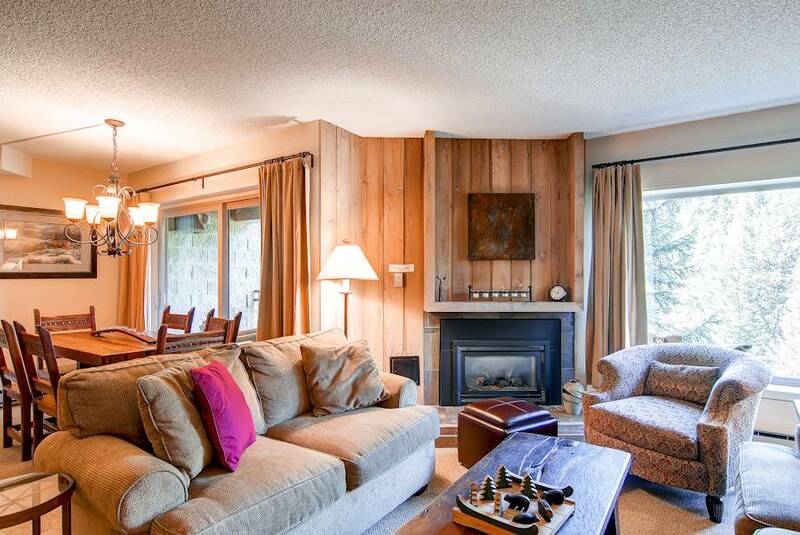 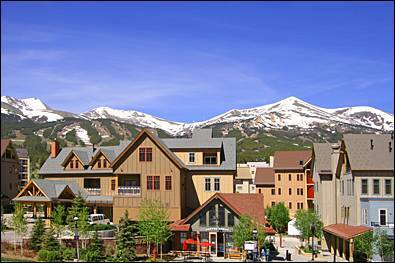 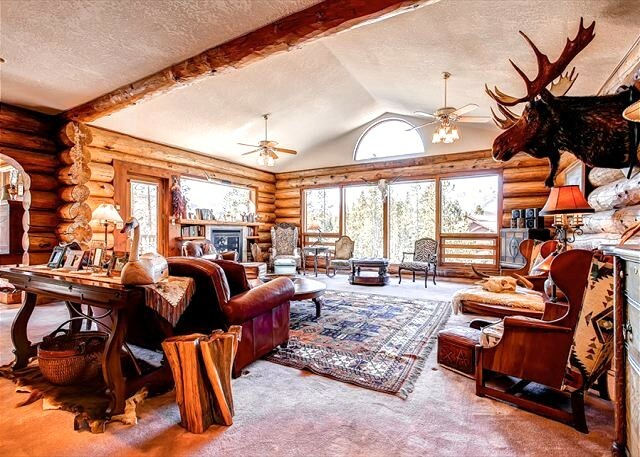 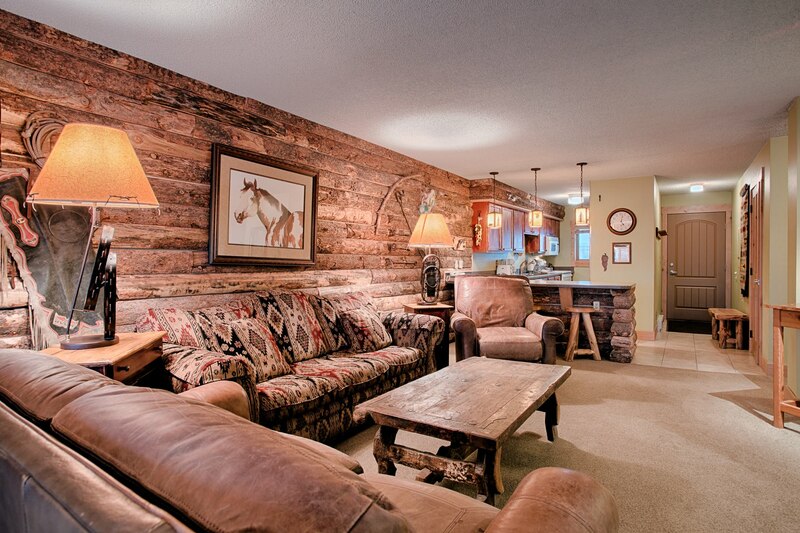 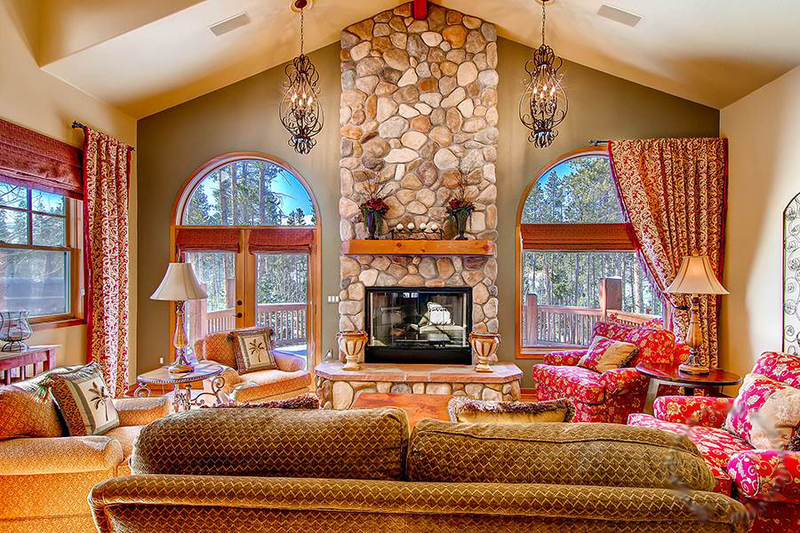 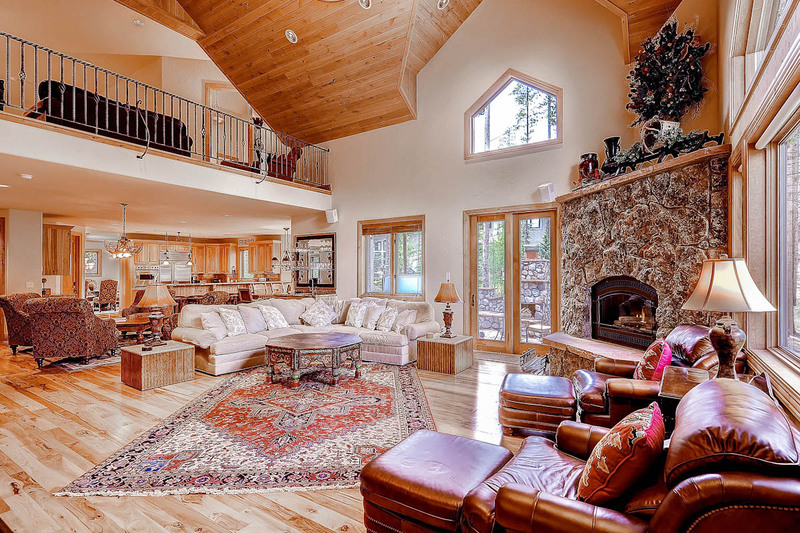 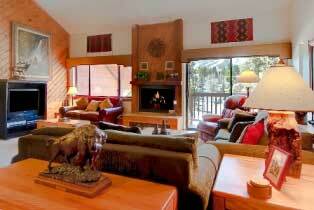 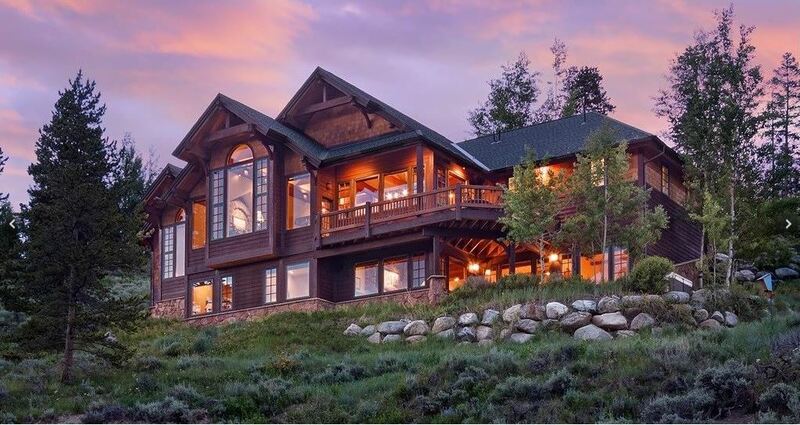 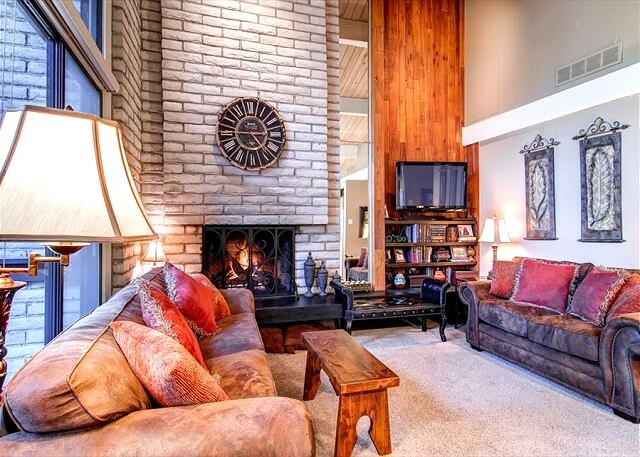 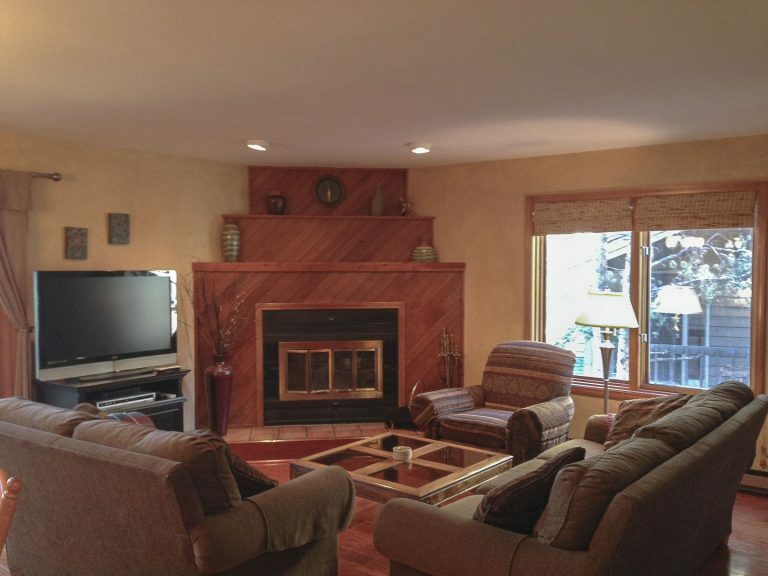 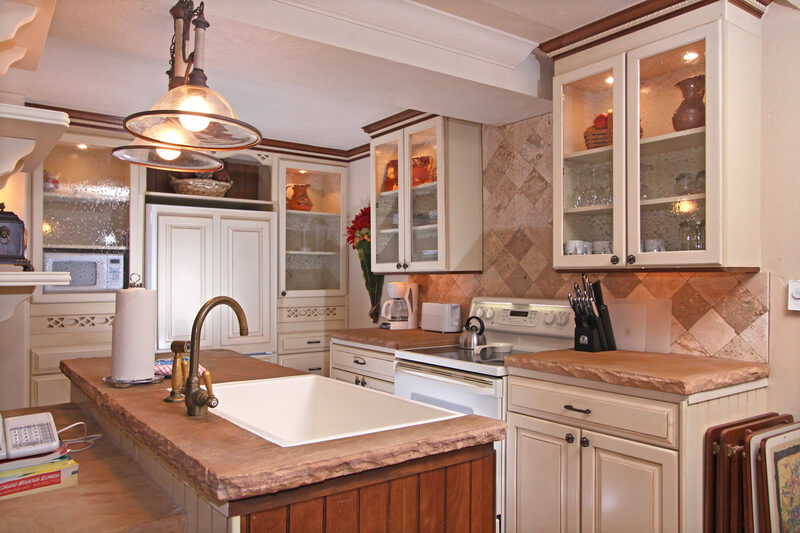 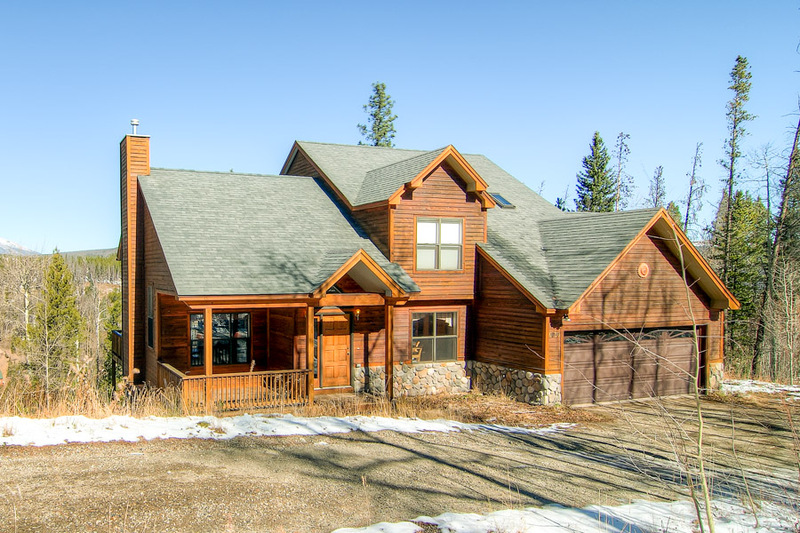 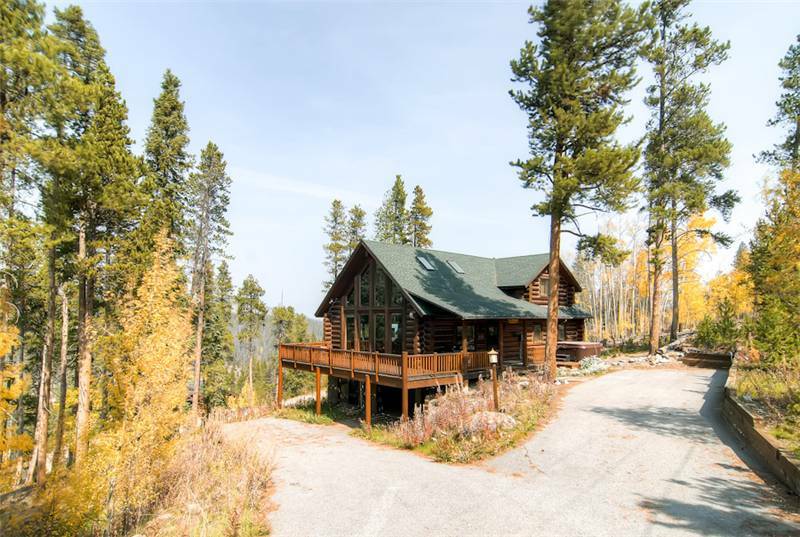 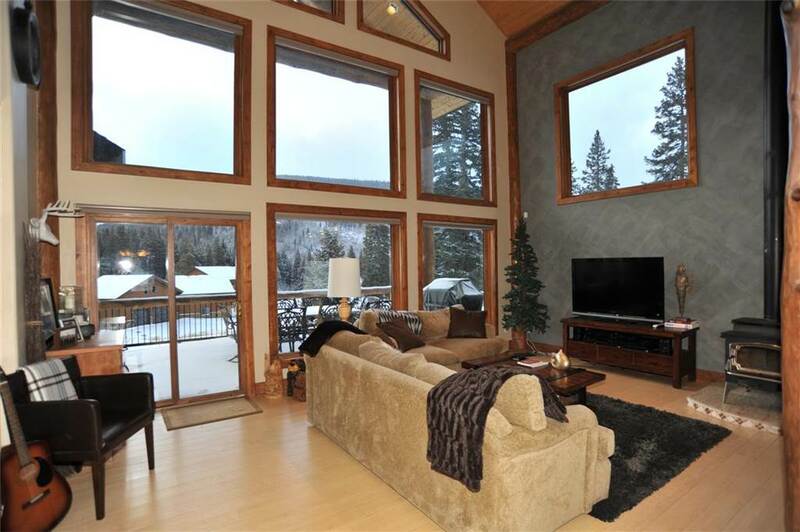 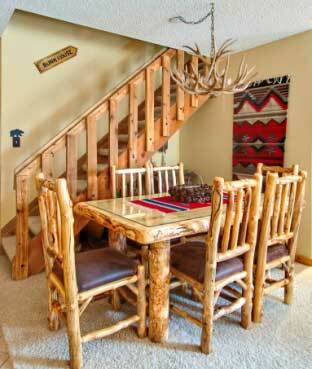 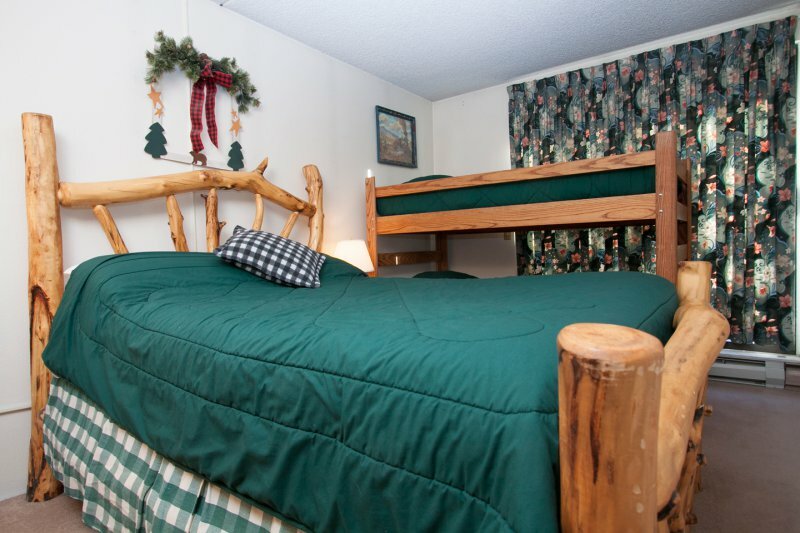 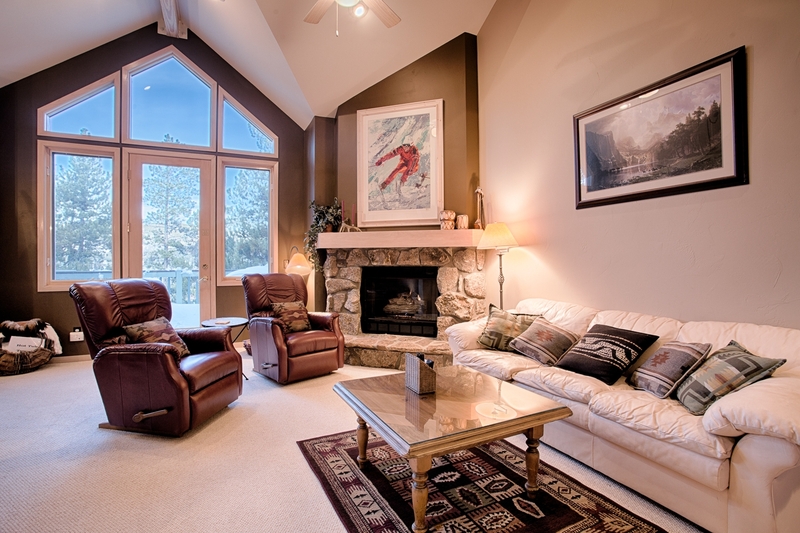 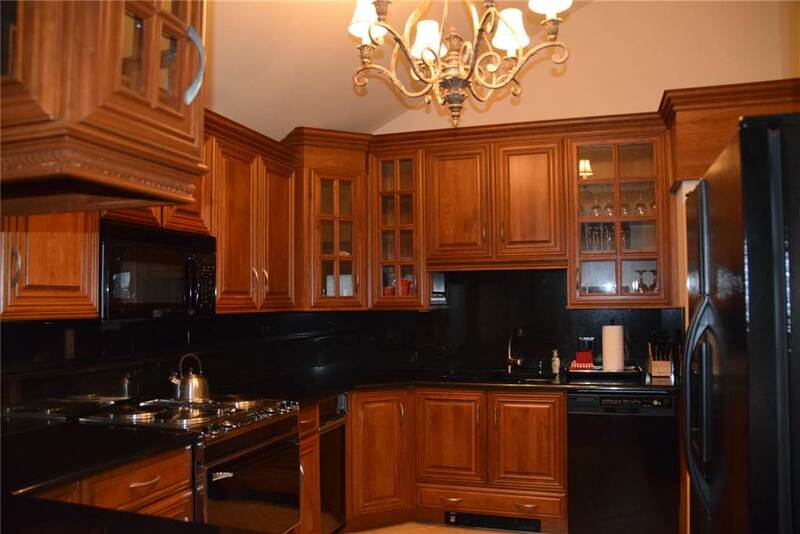 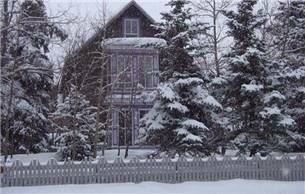 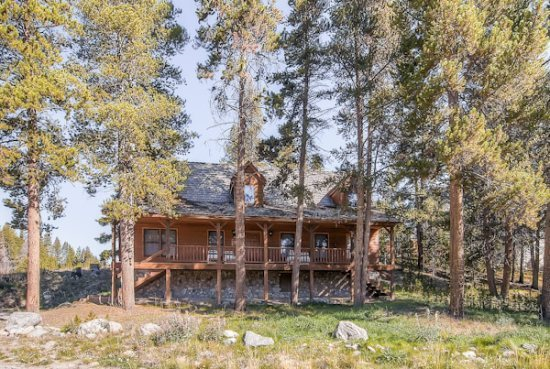 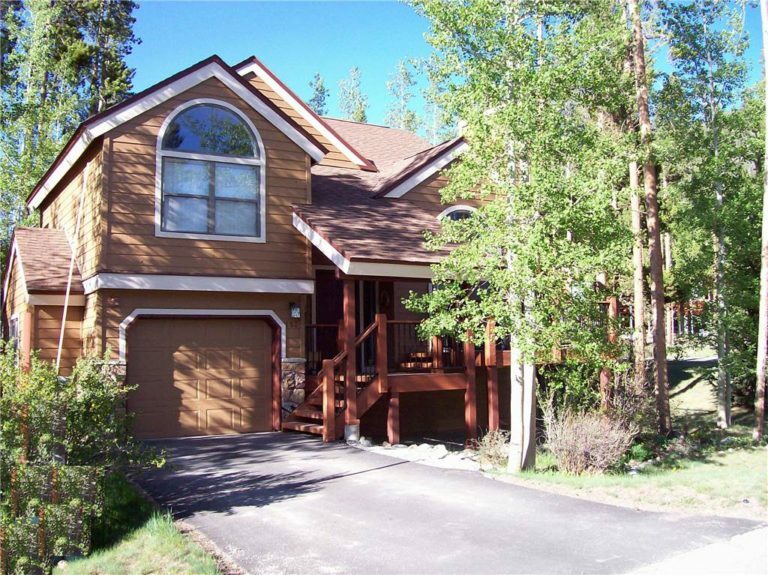 Nor driving or shuttle needed at this location…you can easily walk to the slopes and town! 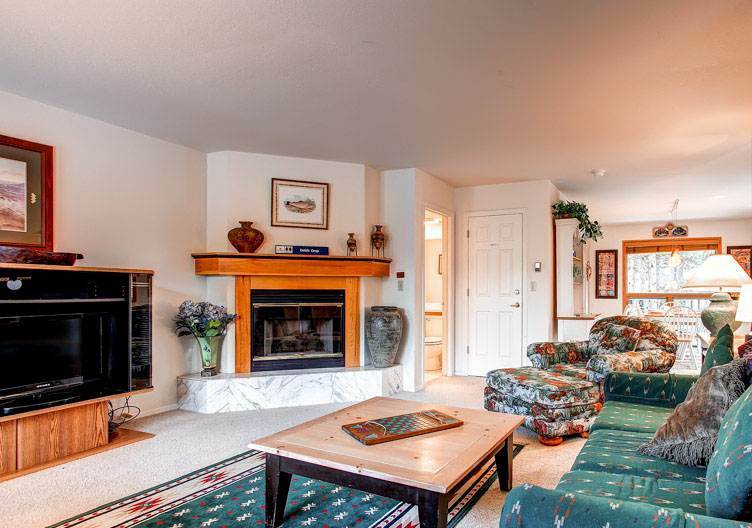 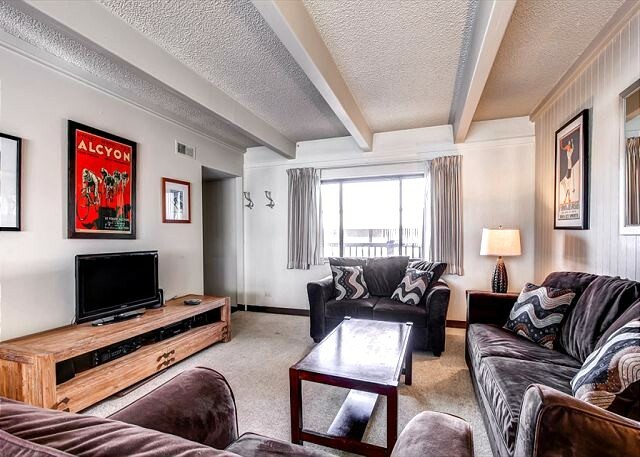 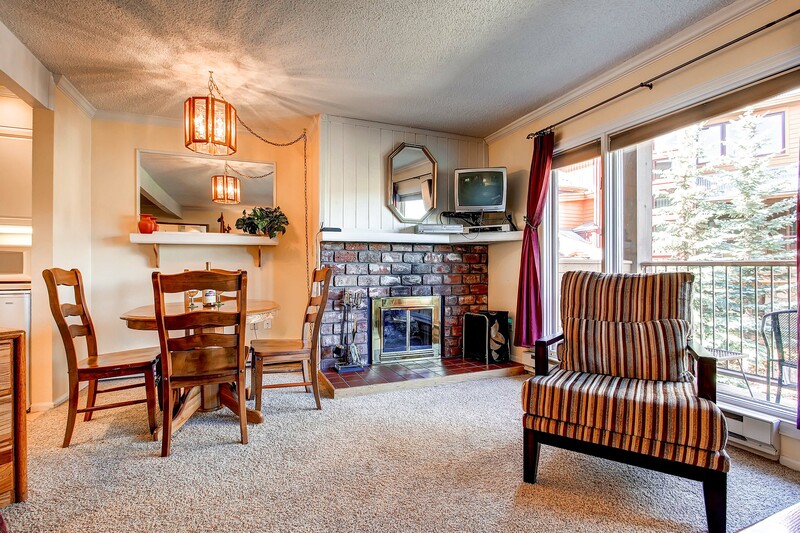 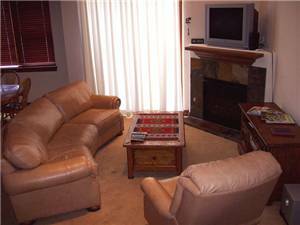 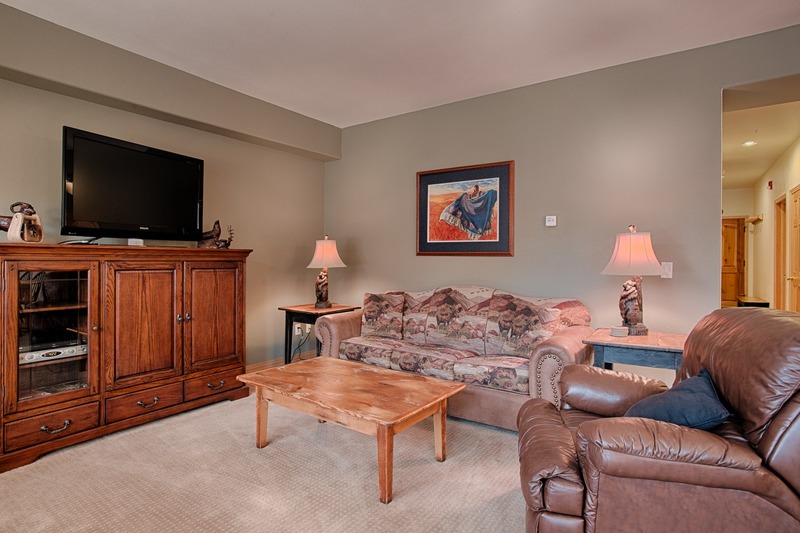 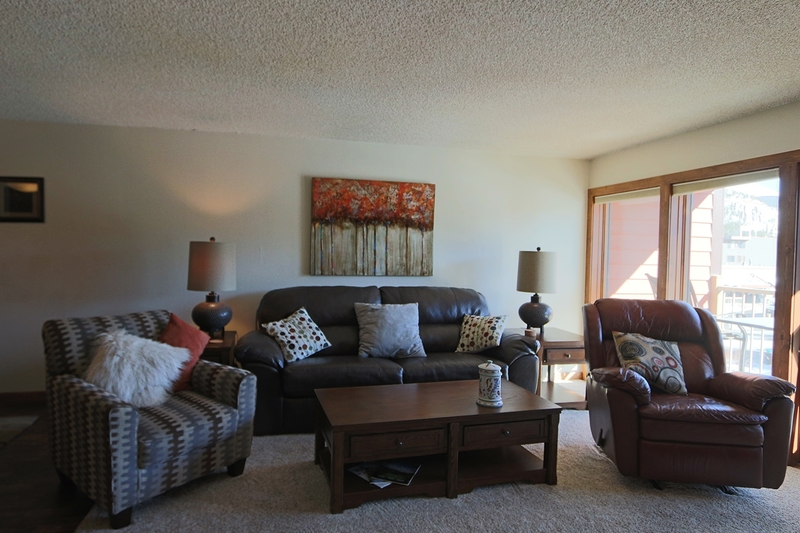 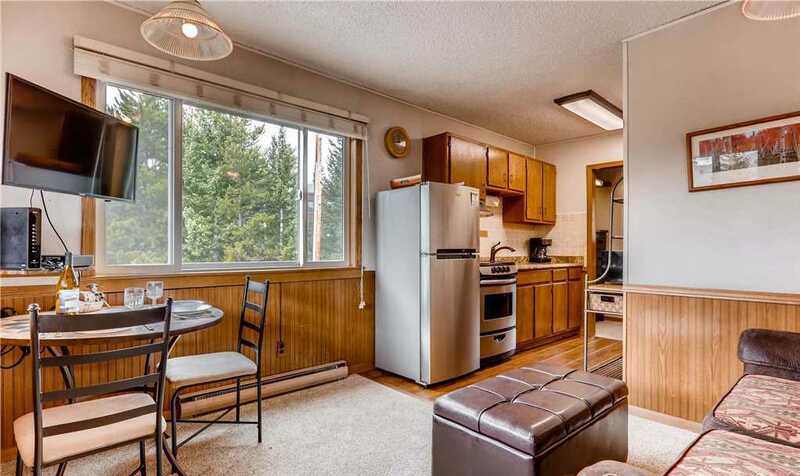 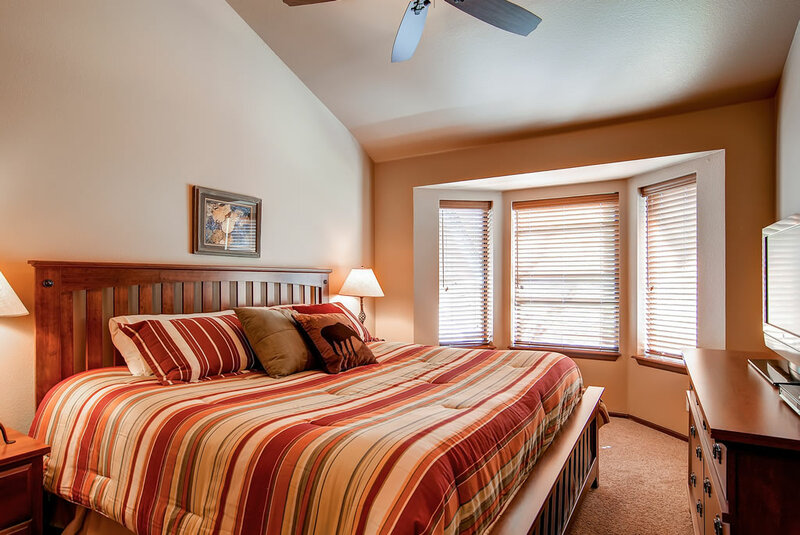 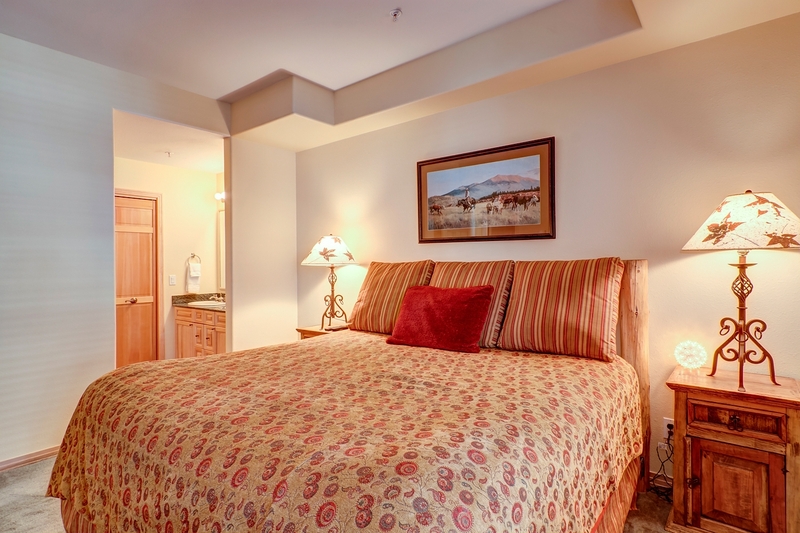 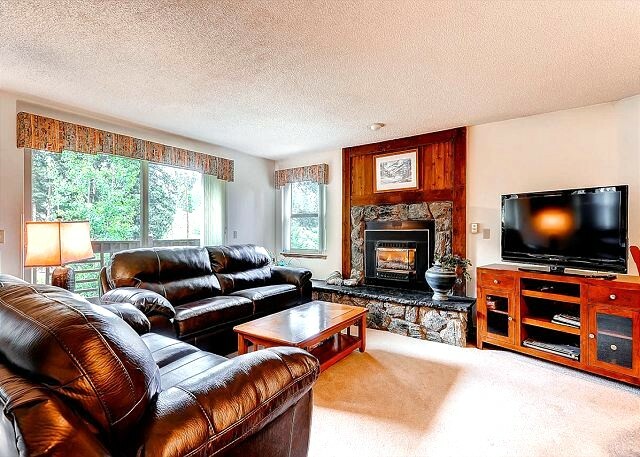 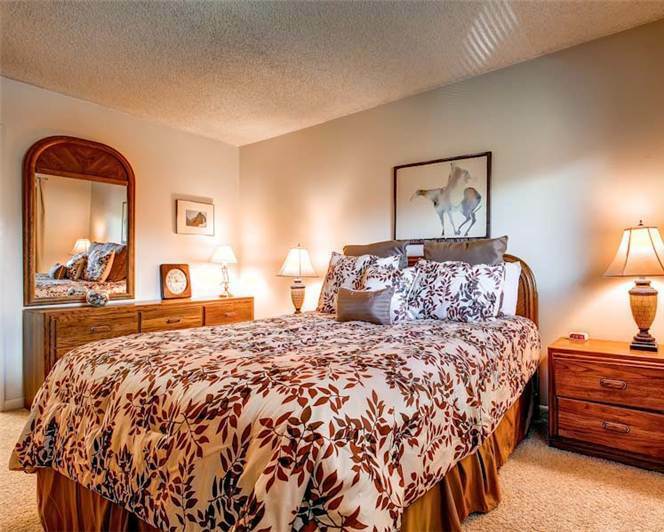 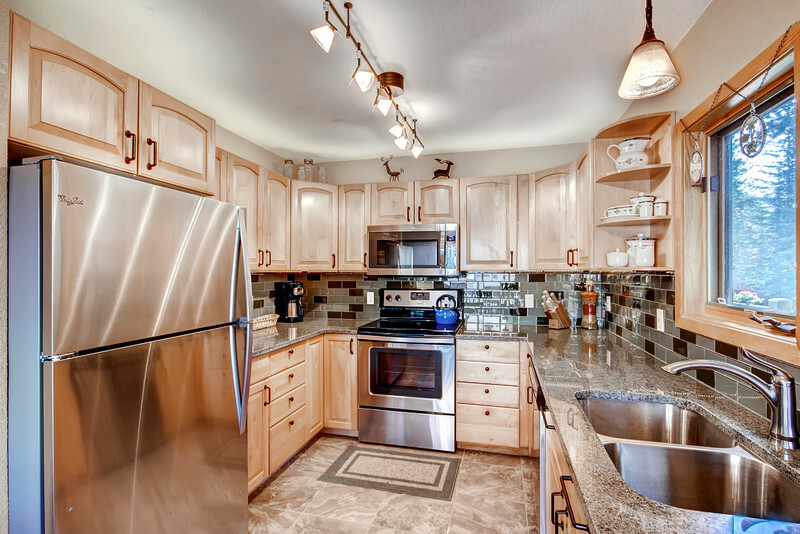 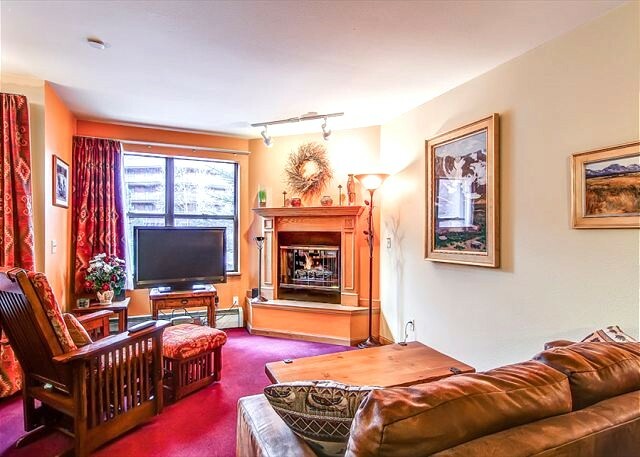 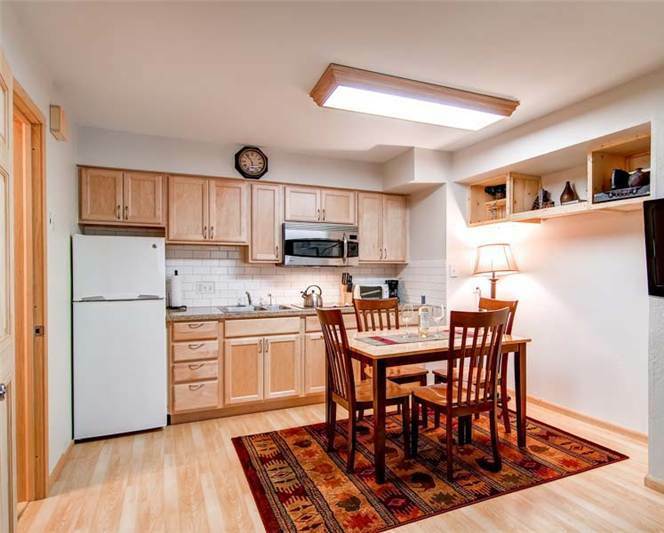 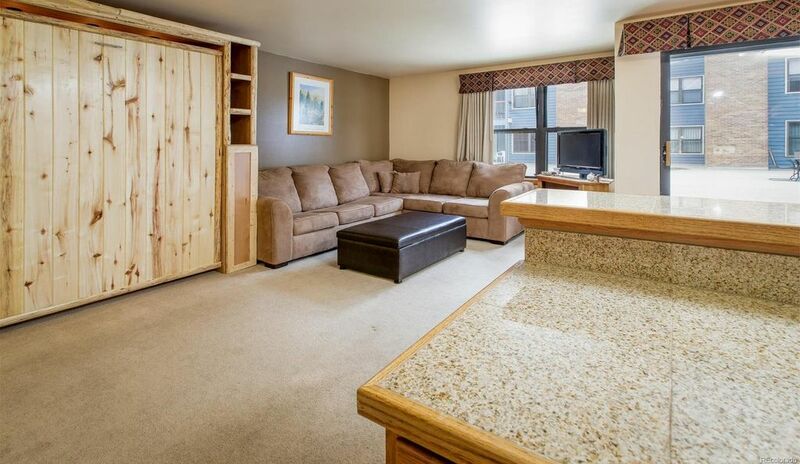 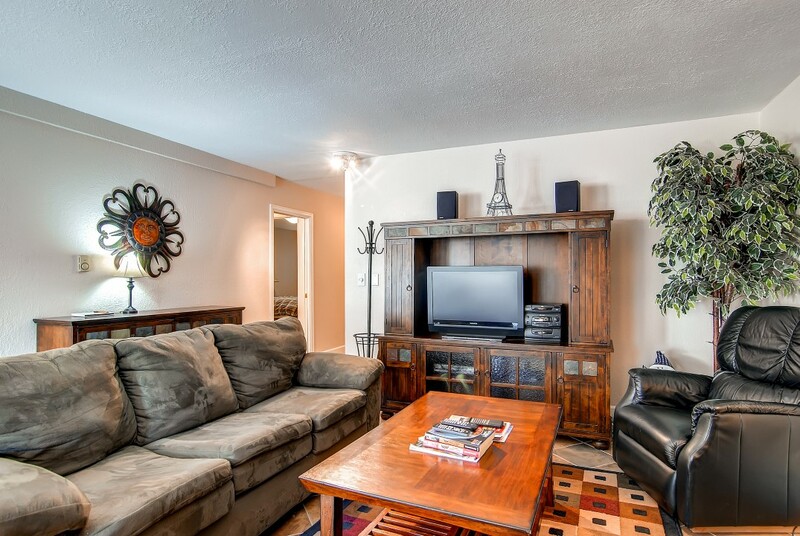 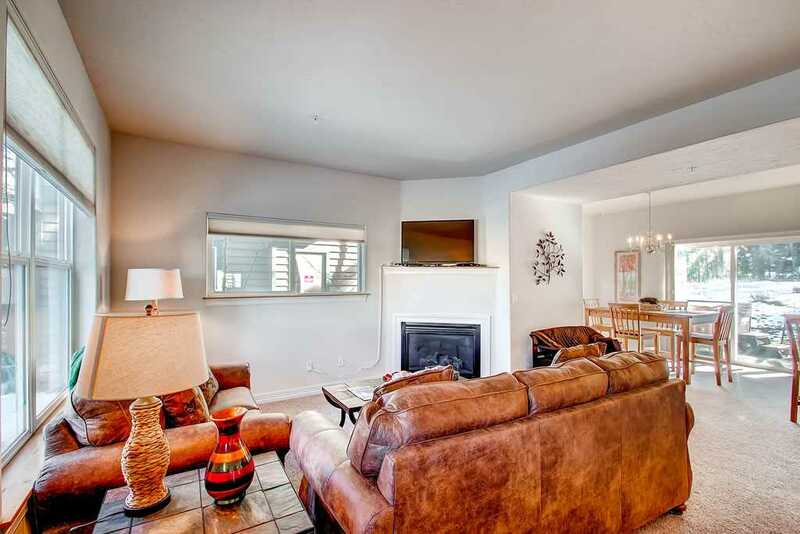 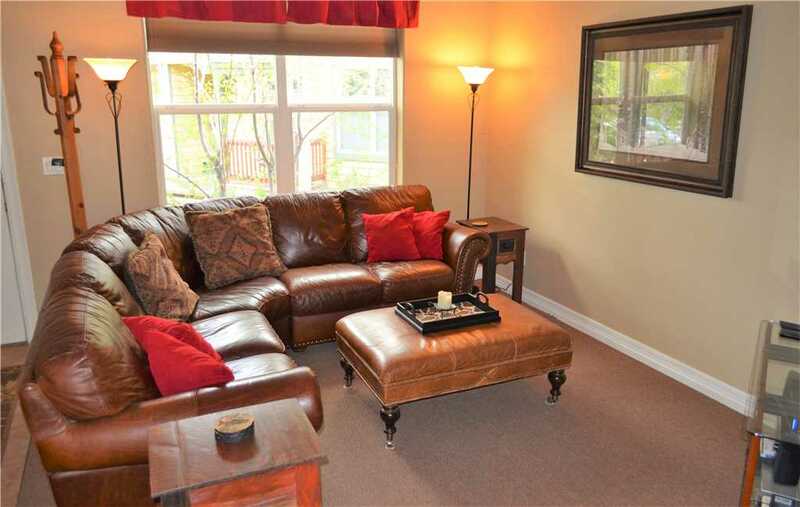 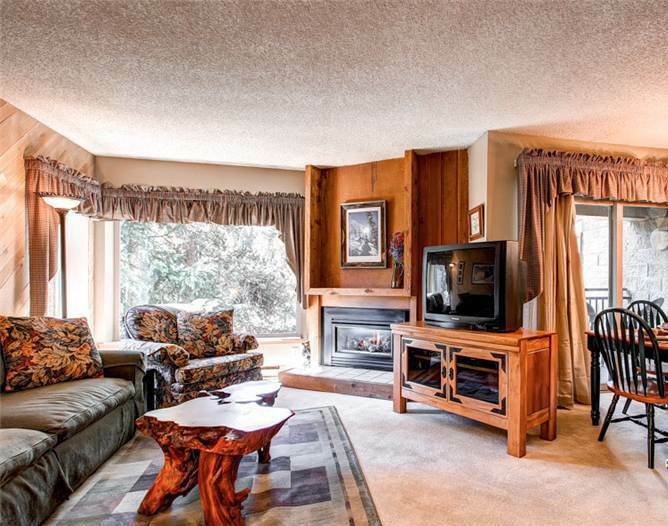 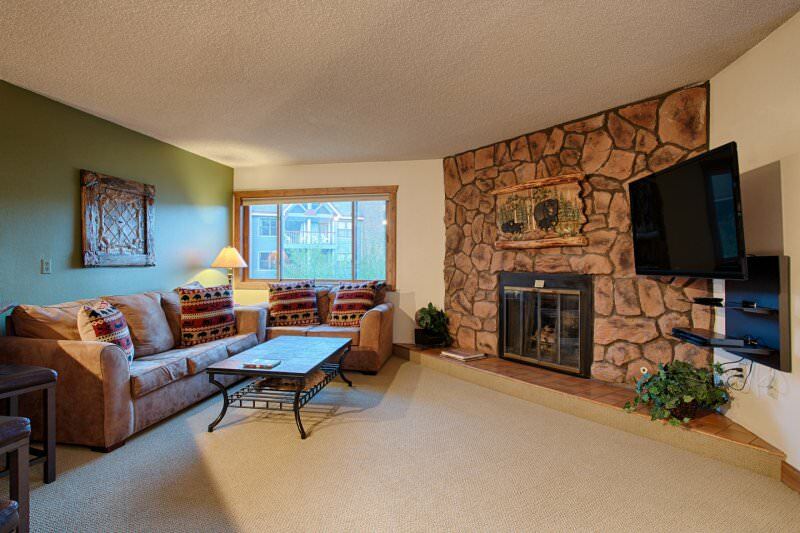 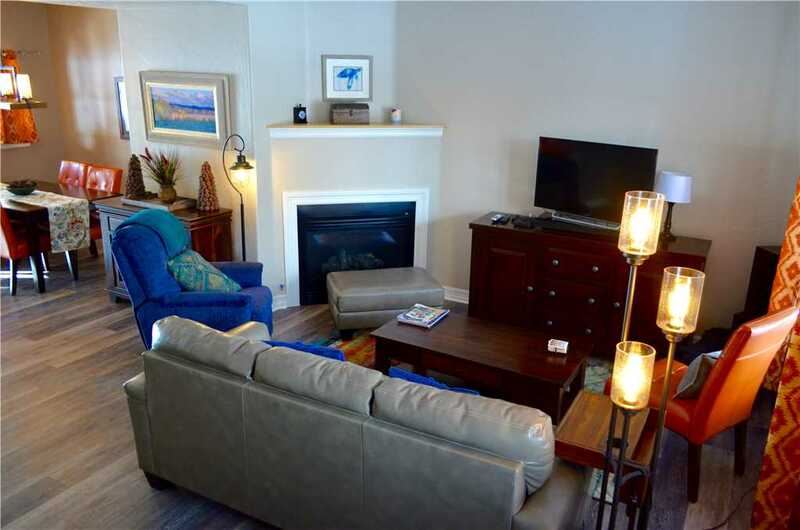 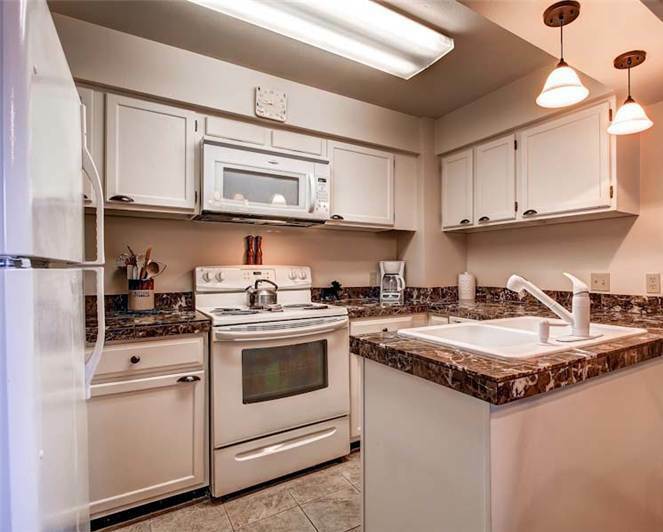 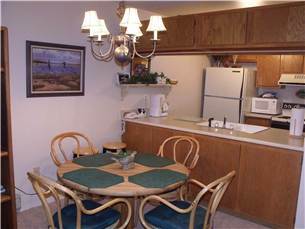 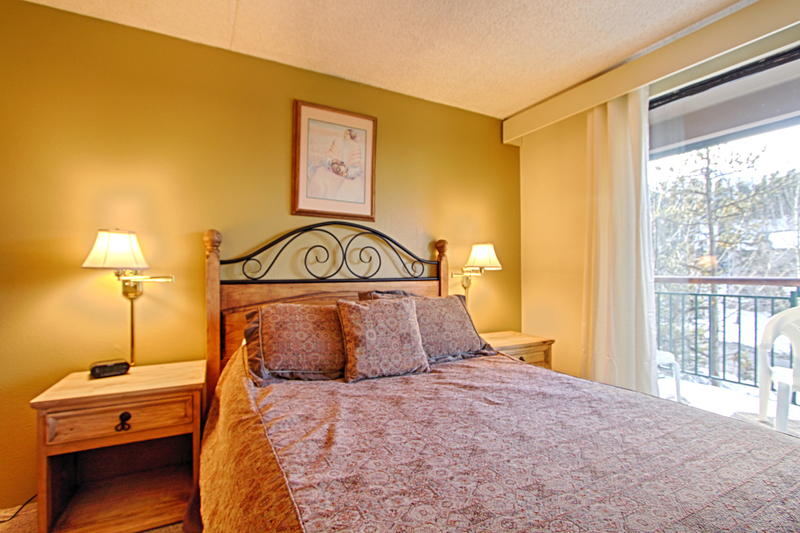 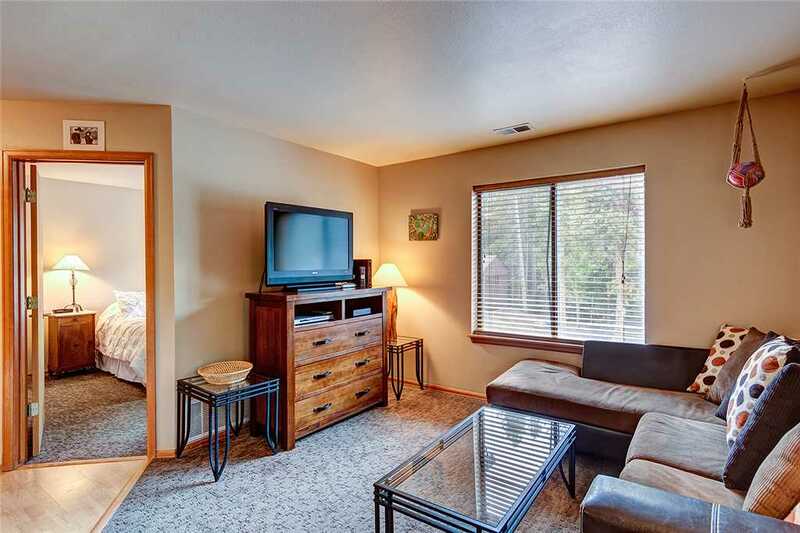 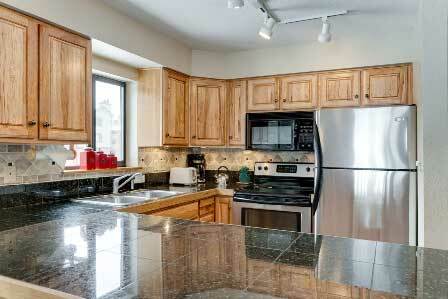 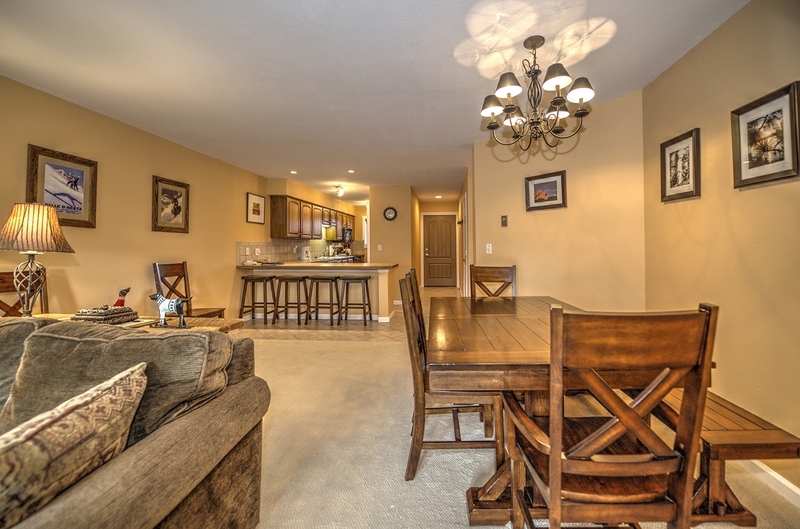 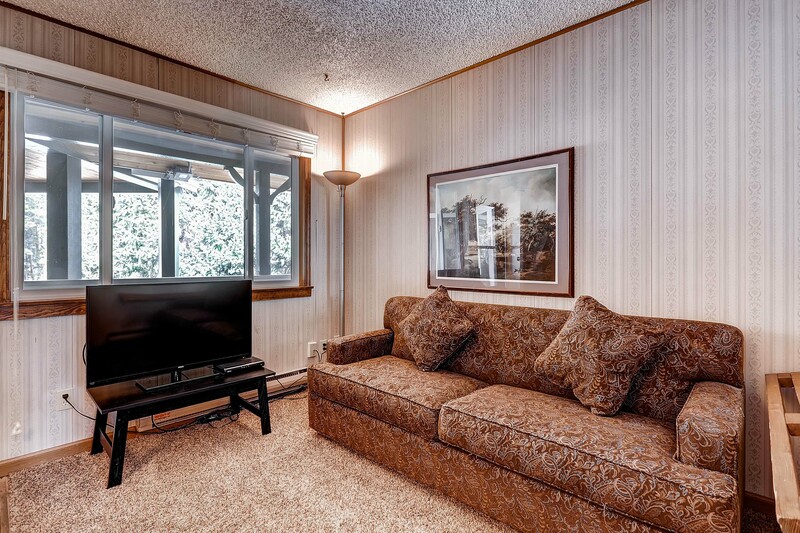 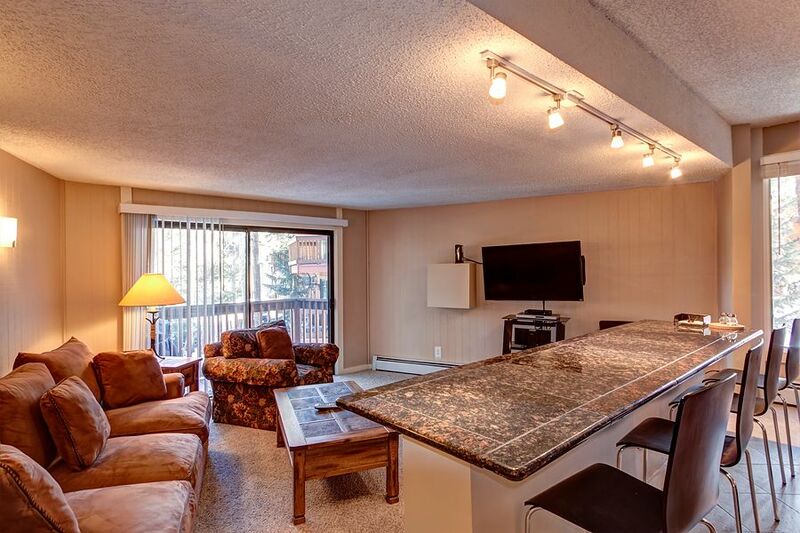 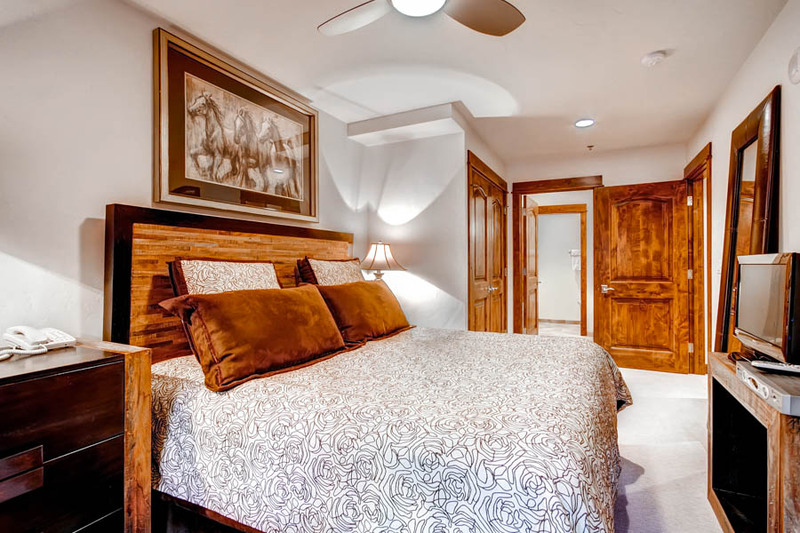 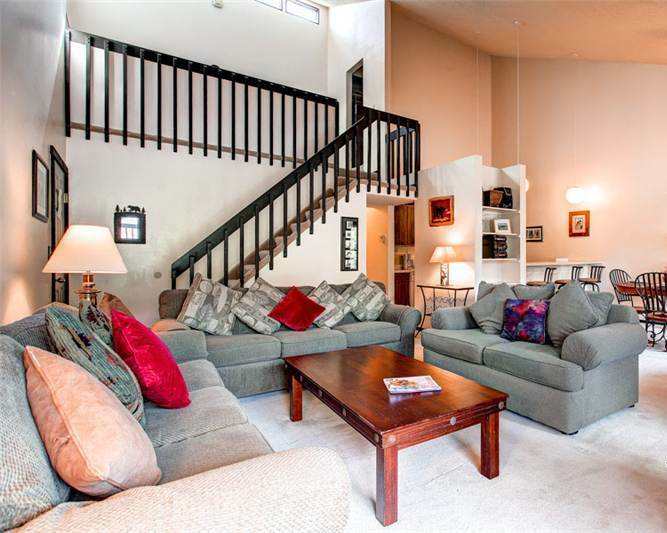 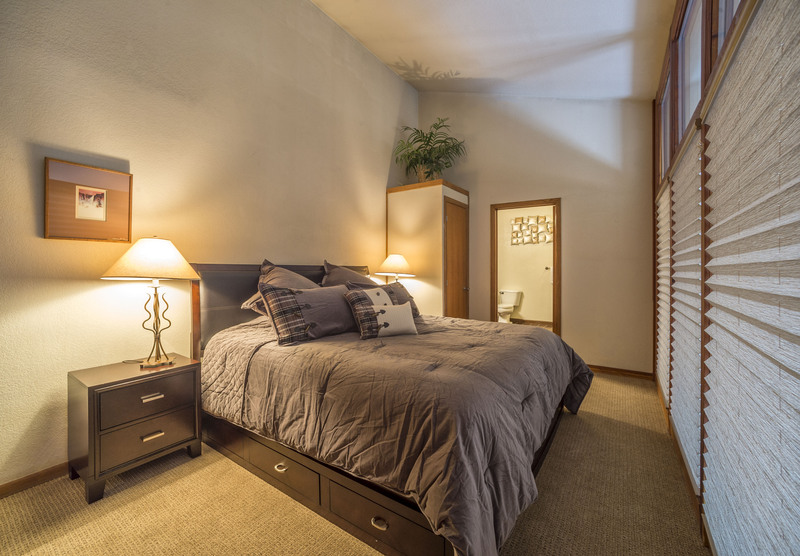 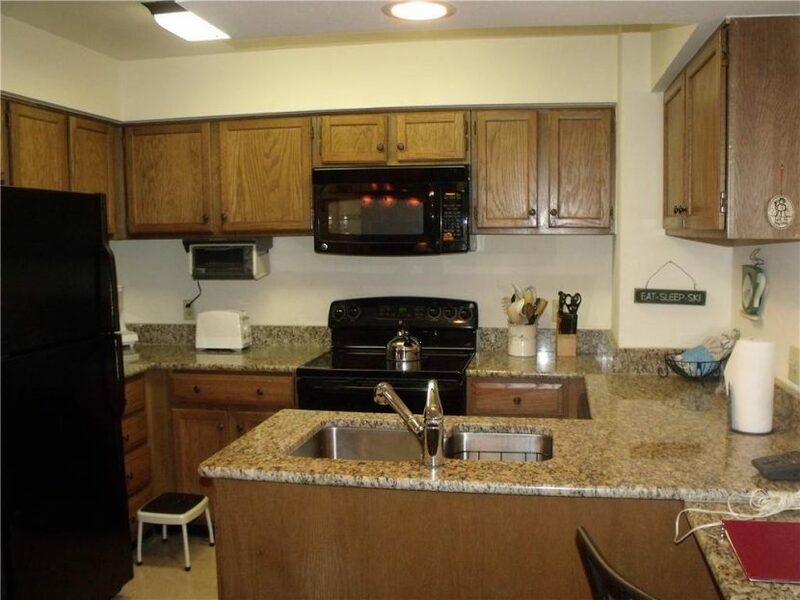 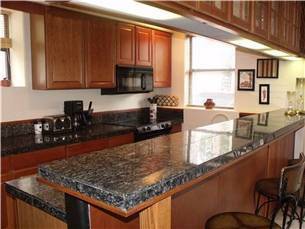 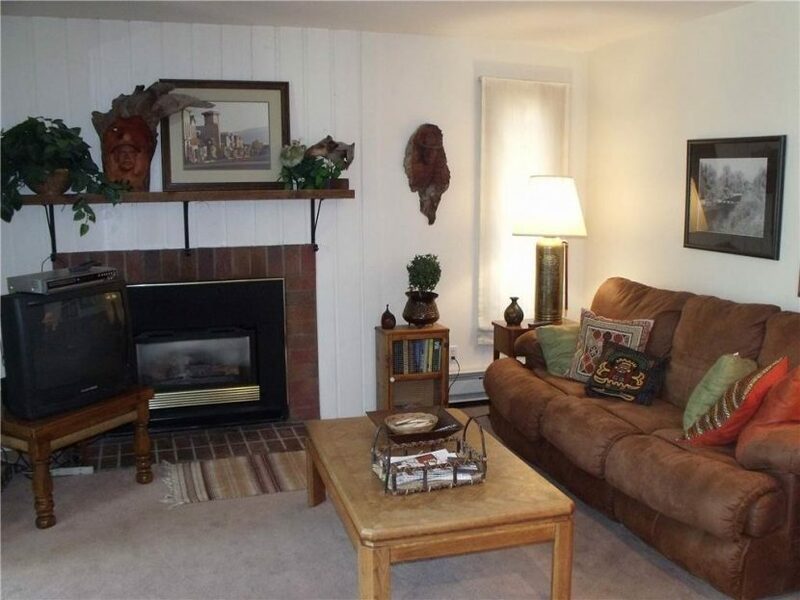 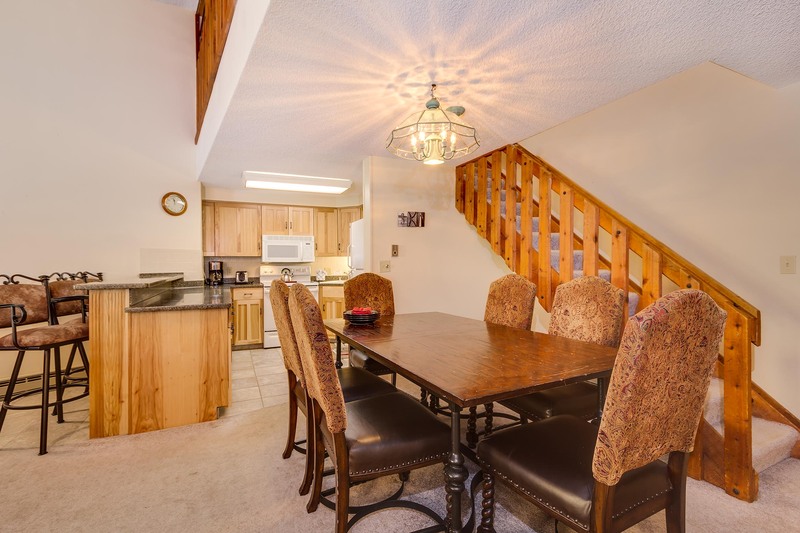 This ground level condo features a new mattress in the bedroom as well as a new sofa sleeper in the living area. 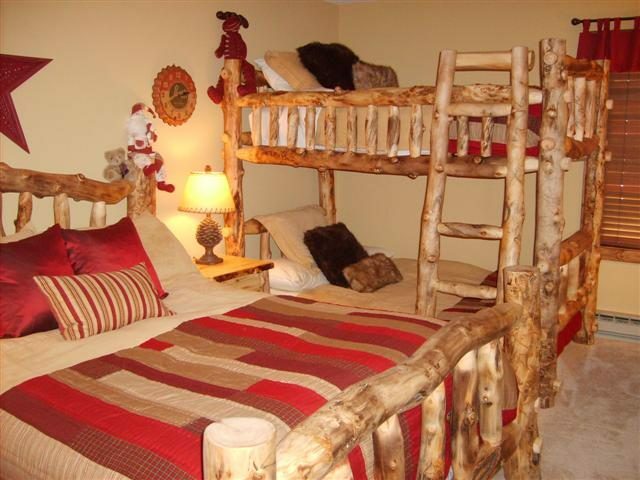 Sleep comfortably! 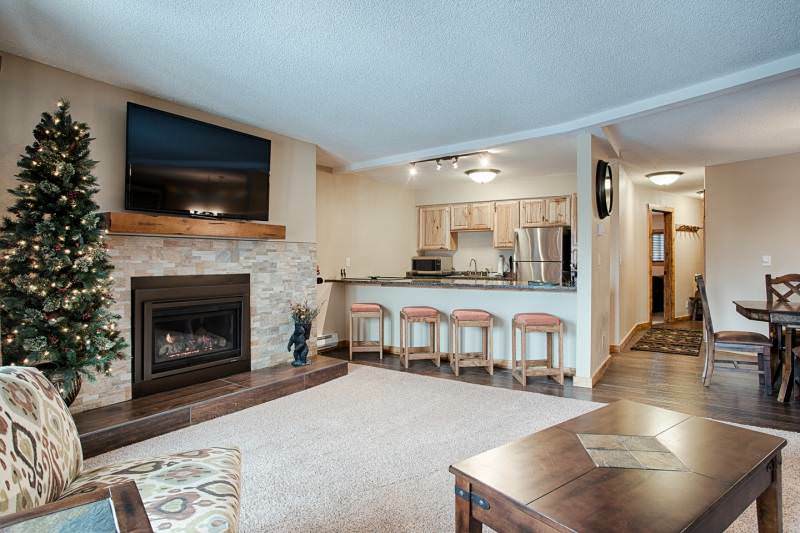 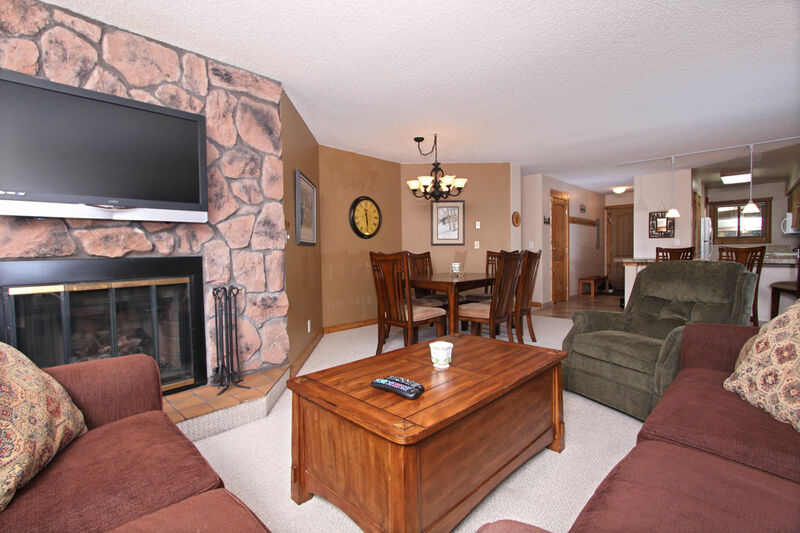 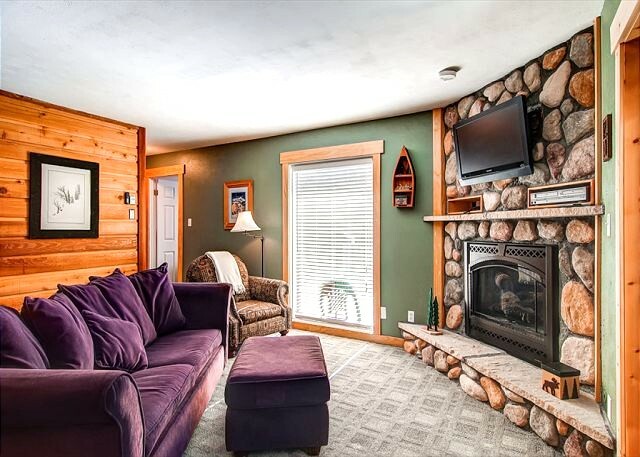 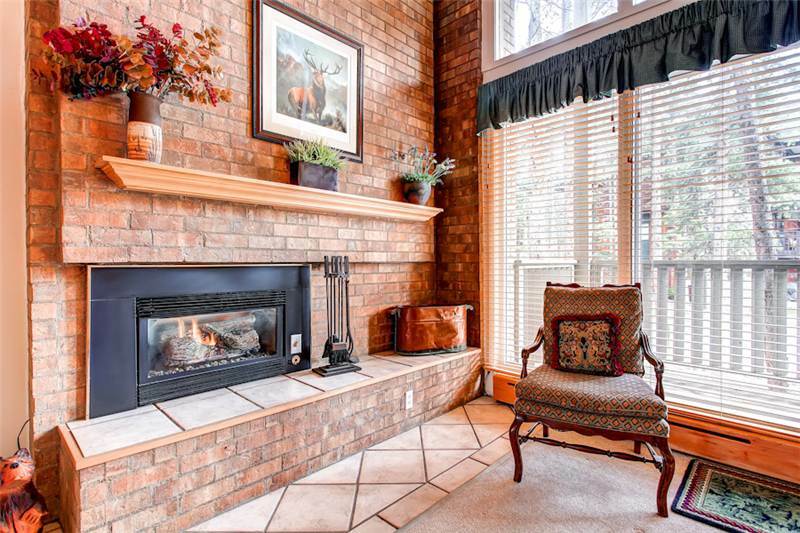 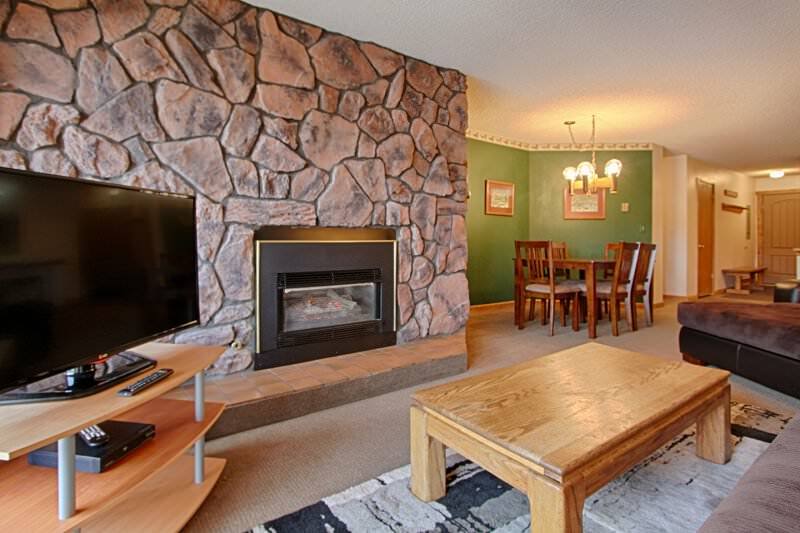 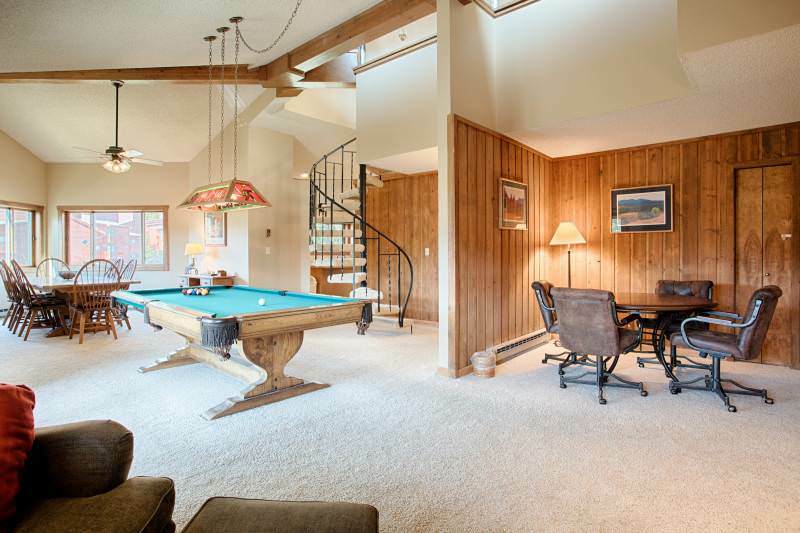 It also has a gas fireplace, multiple TVs, WiFi and access to the clubhouse next door with an outdoor heated pool and 2-indoor/2-outdoor hot tubs.